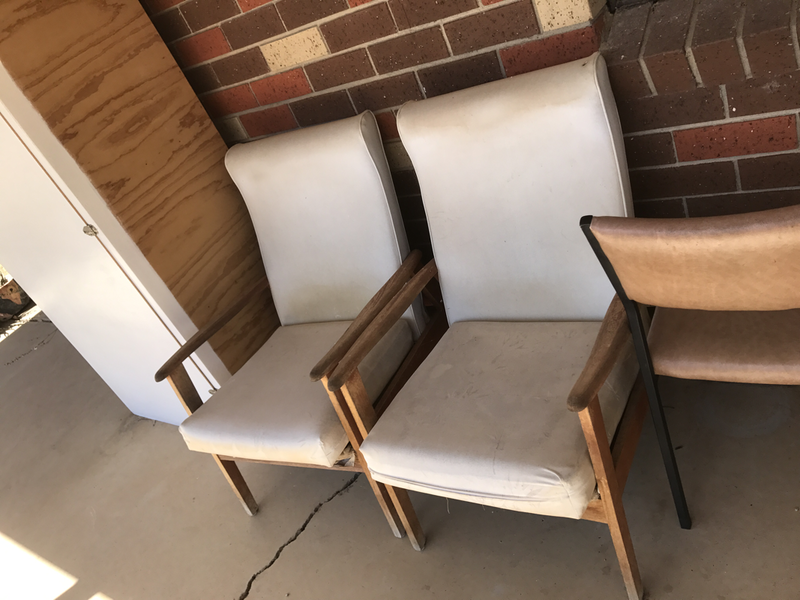 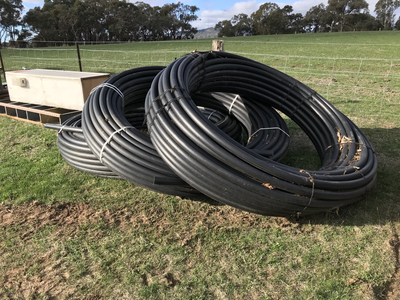 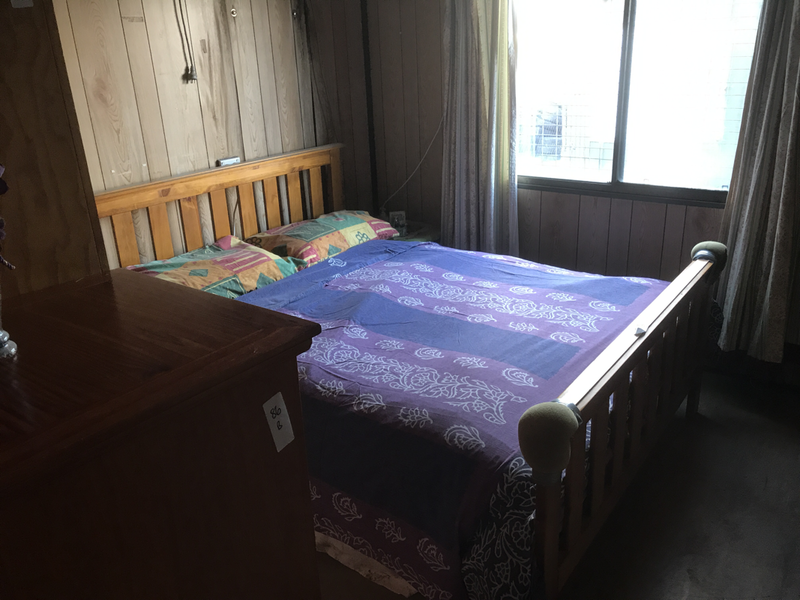 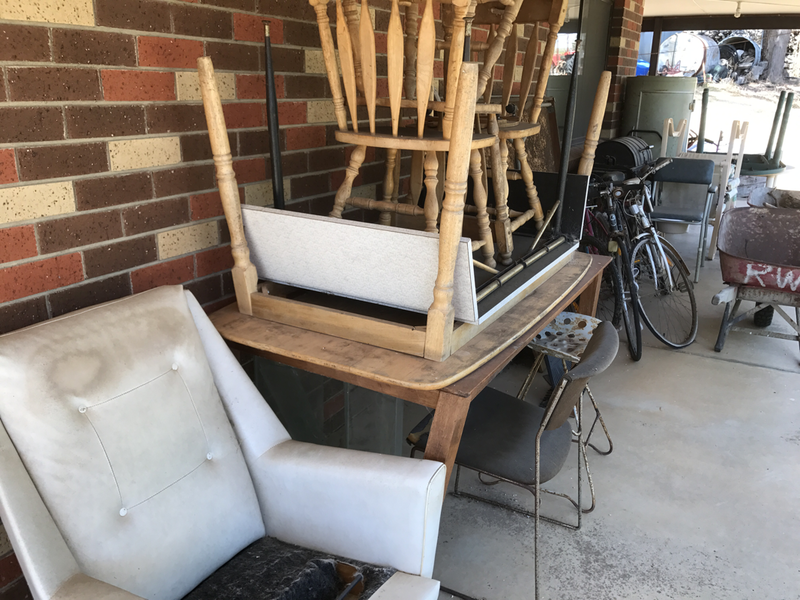 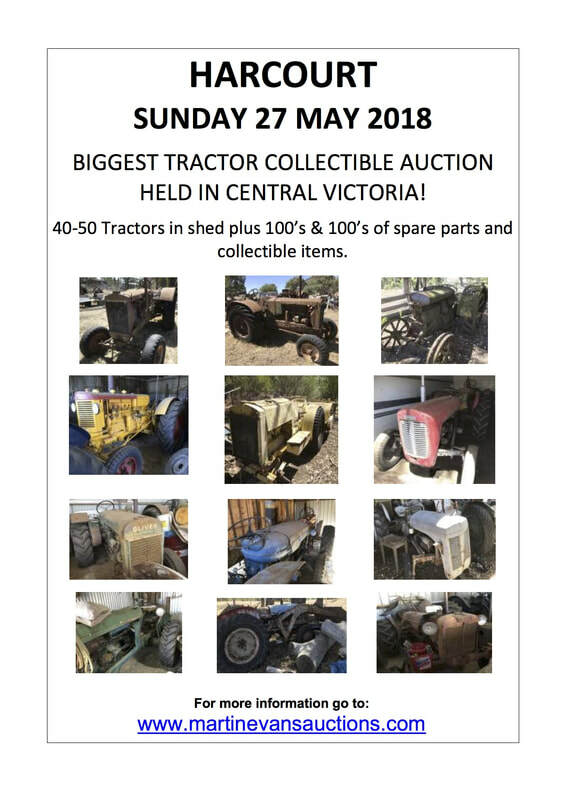 MASSIVE ONE DAY AUCTION !!!! 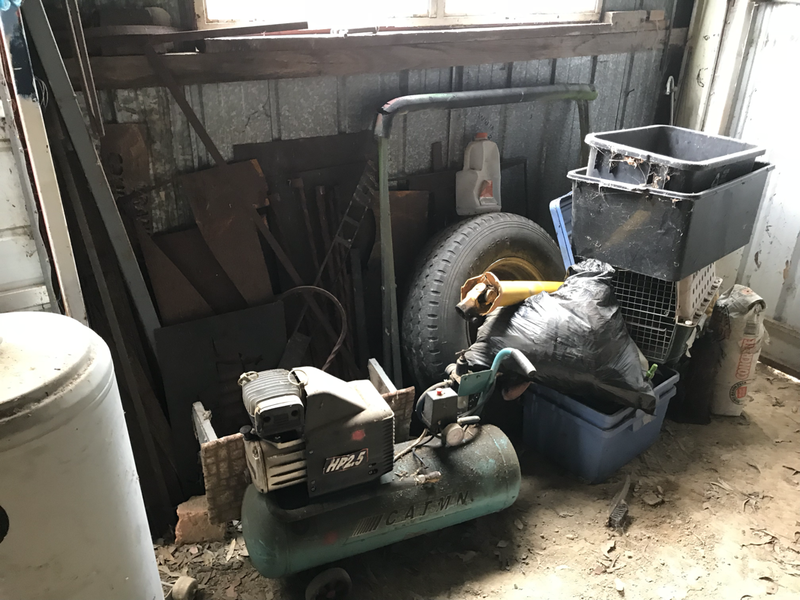 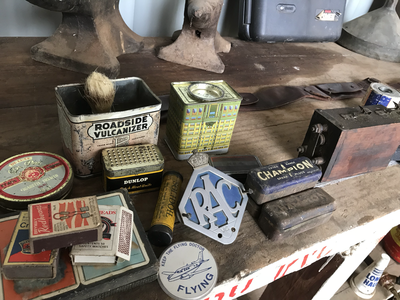 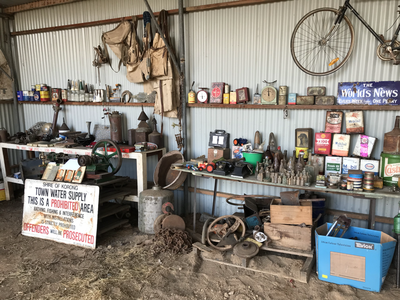 Mr. Adams was an astute collector of Tractors, Stationary Engines, Steel, Wheels, Parts, Manuals, Tools, Trinkets, Collectables, Workshop & items. 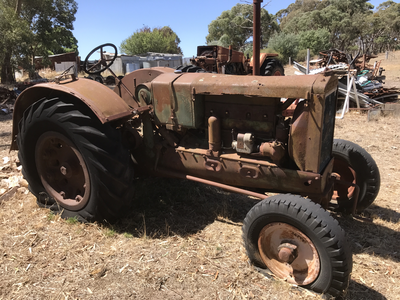 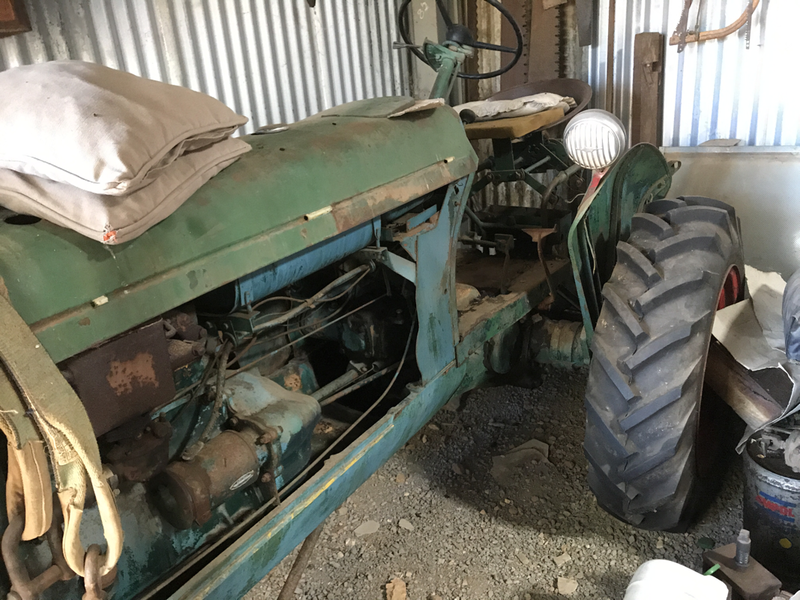 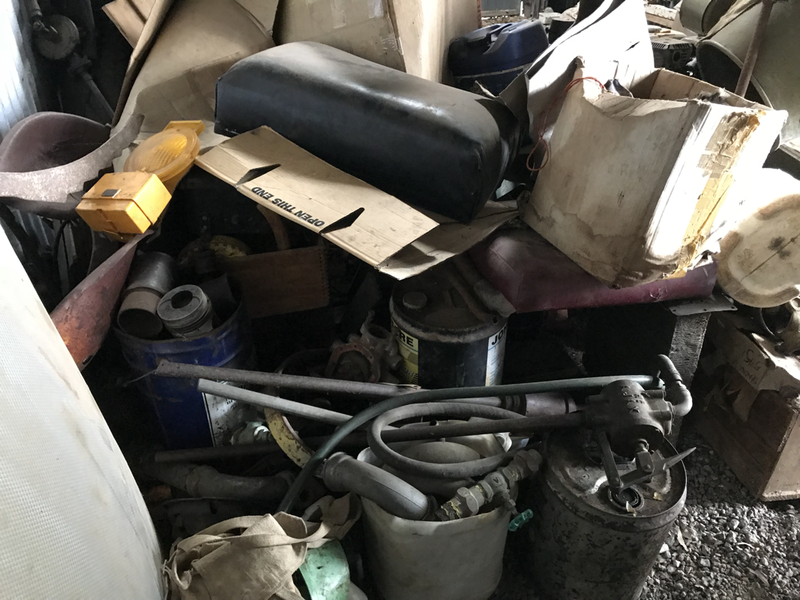 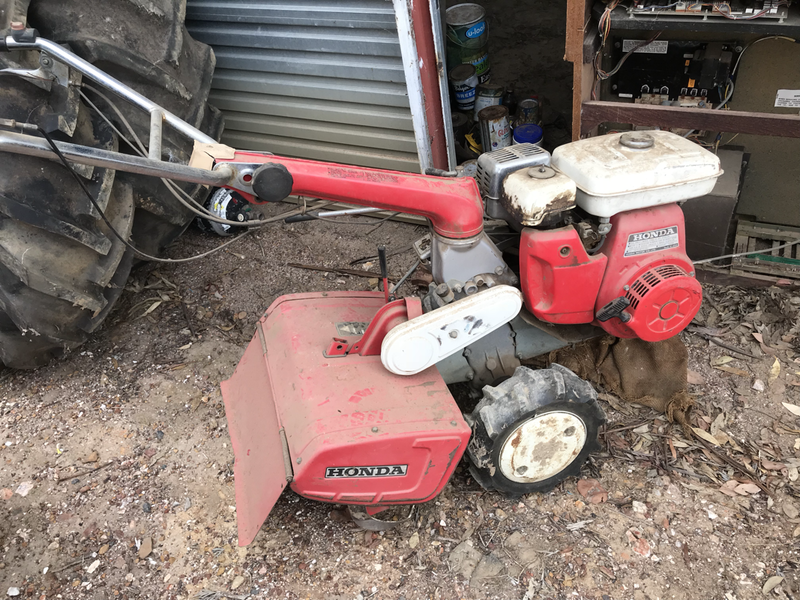 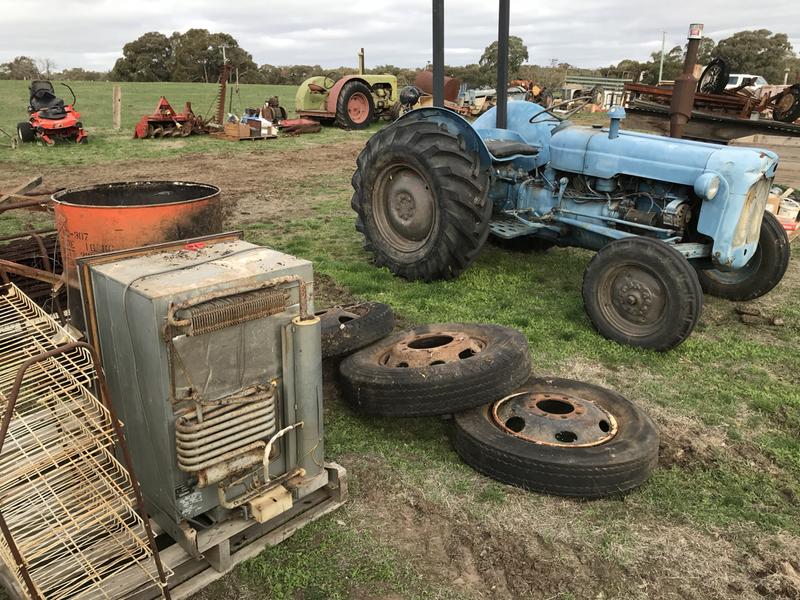 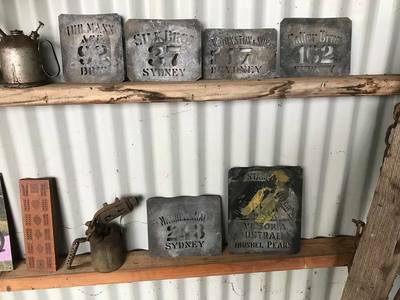 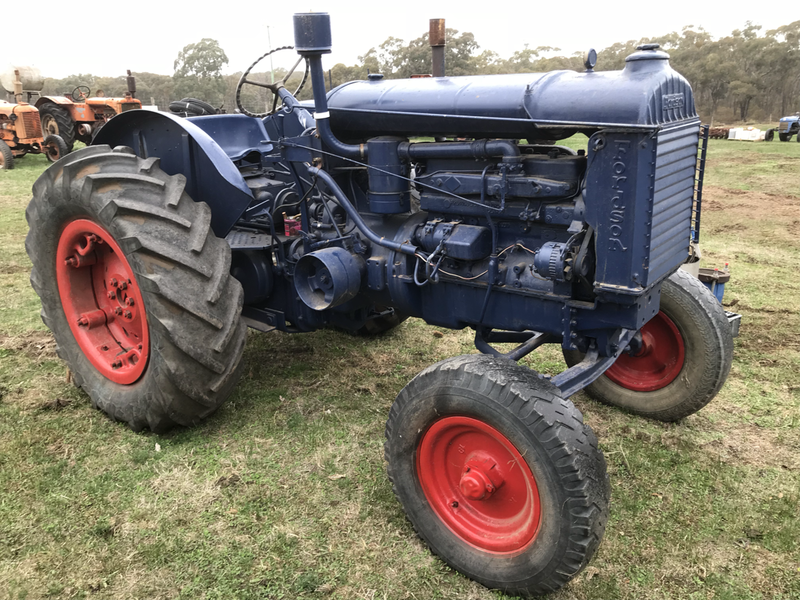 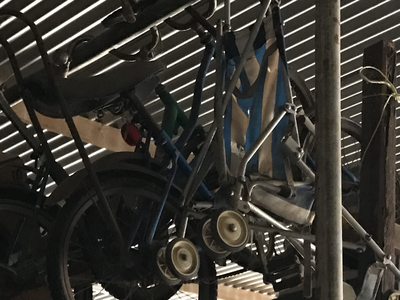 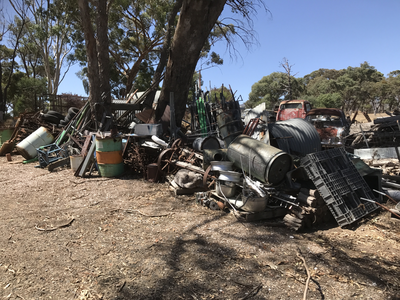 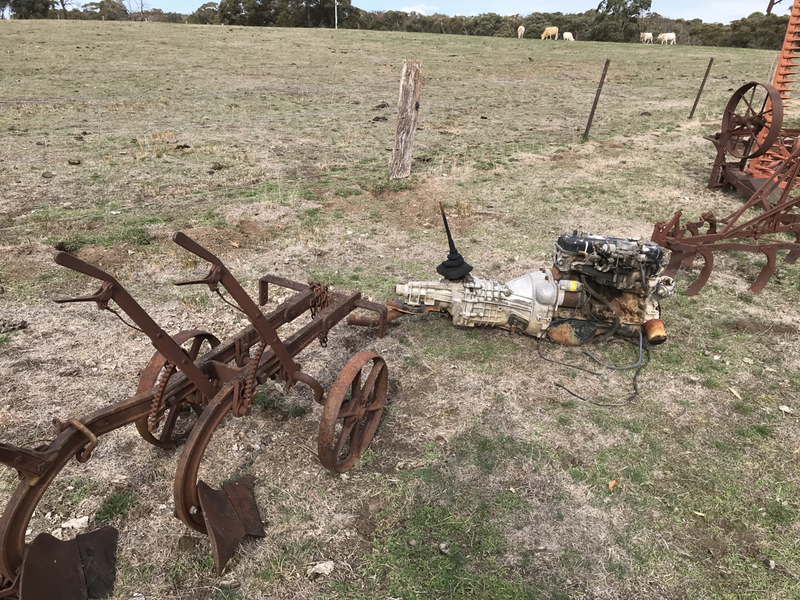 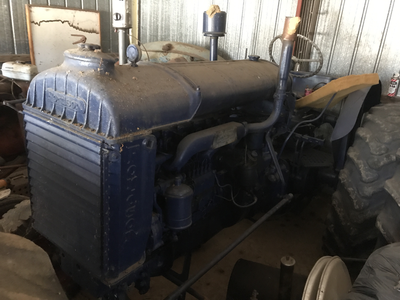 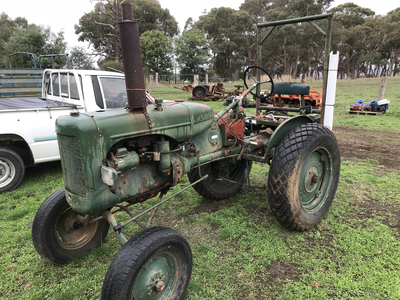 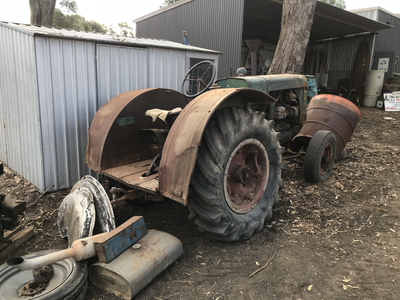 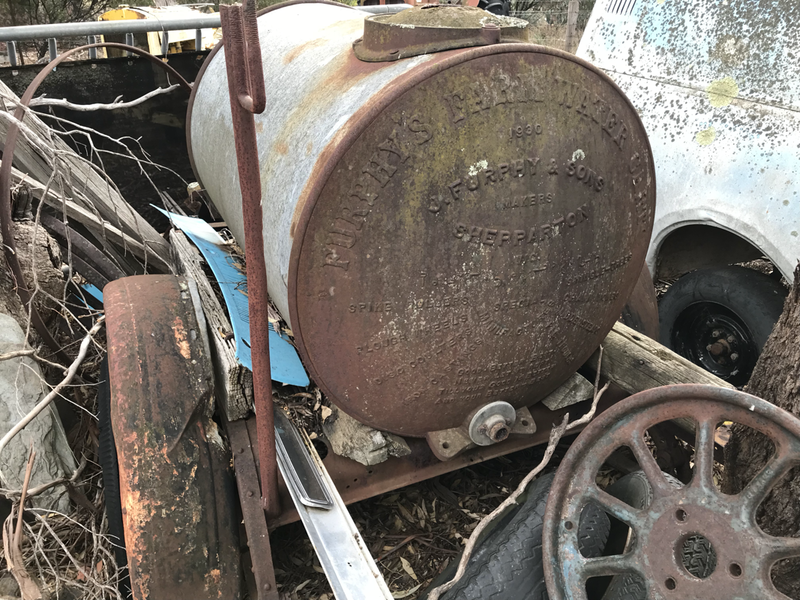 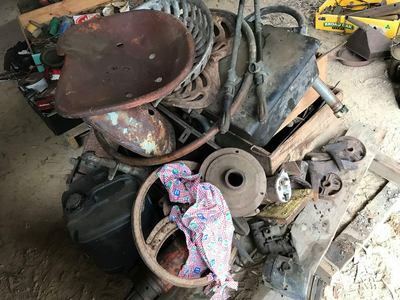 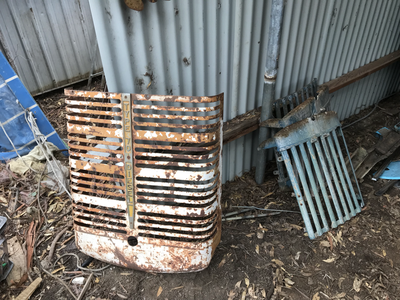 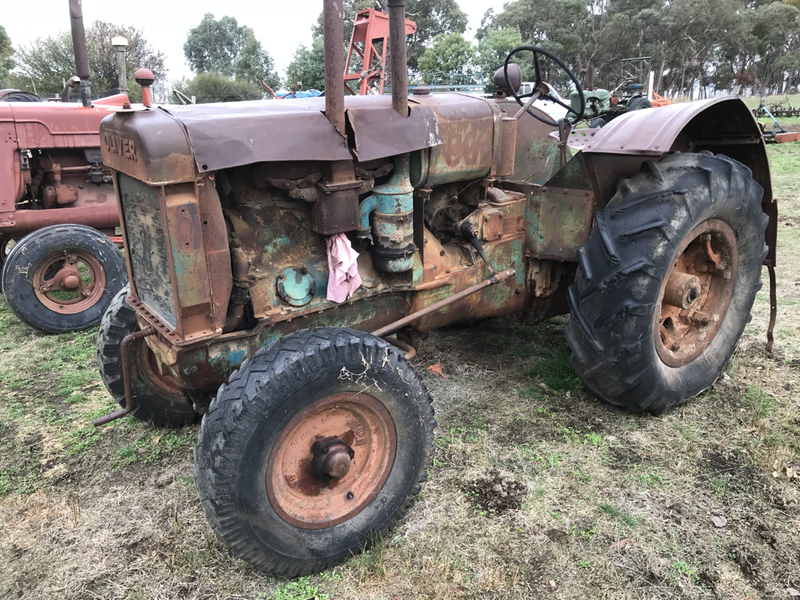 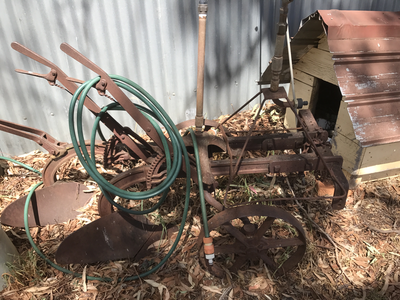 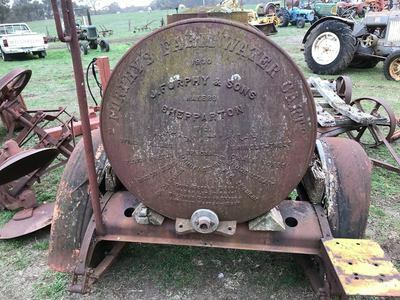 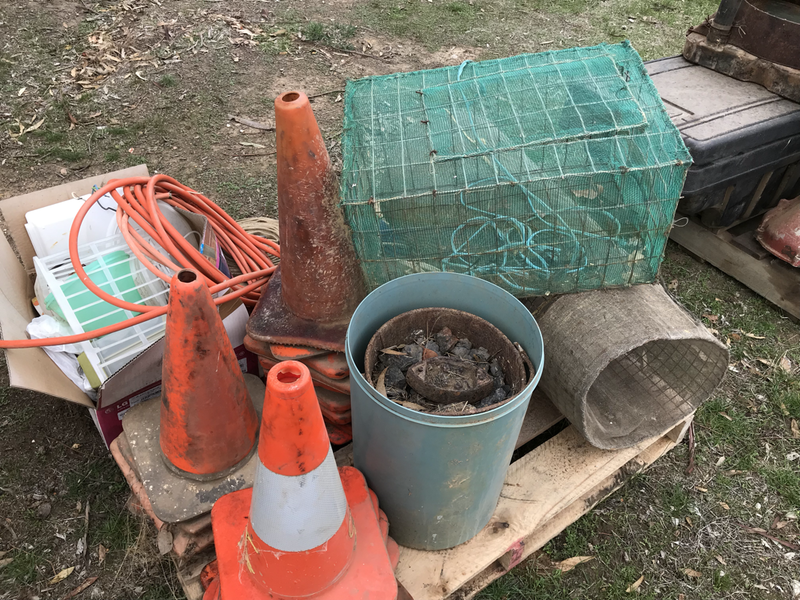 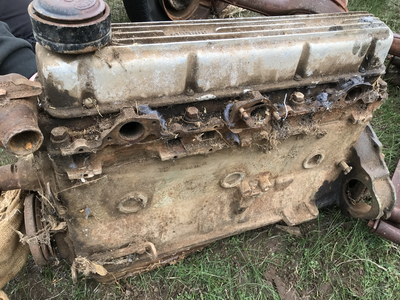 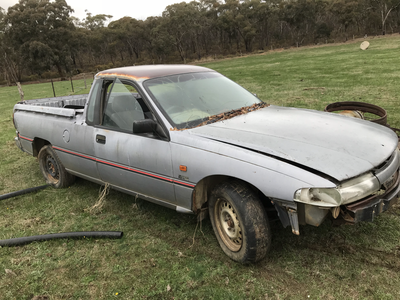 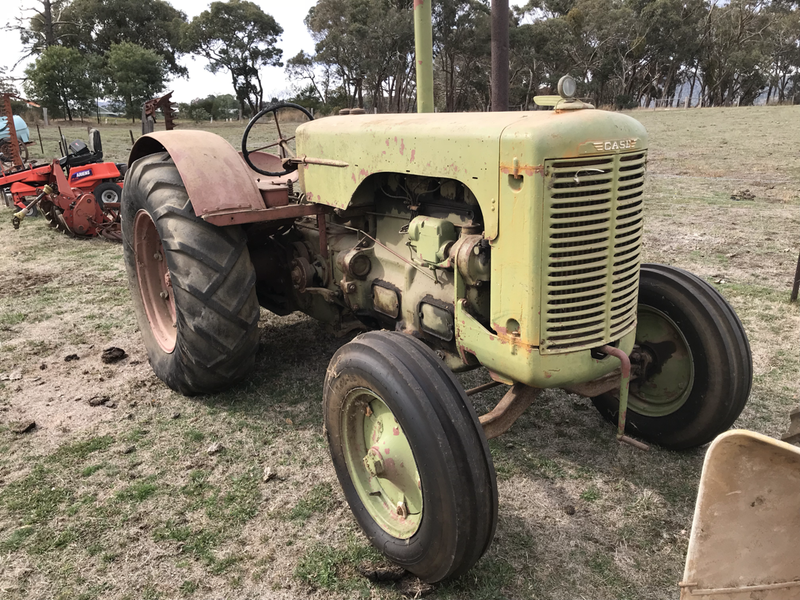 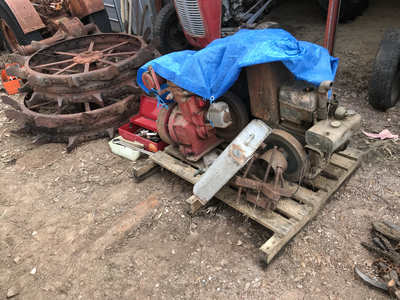 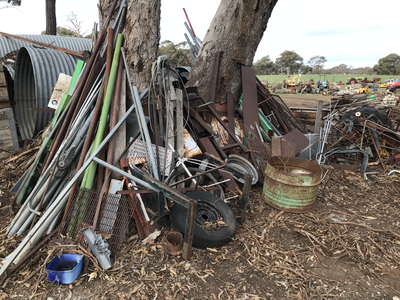 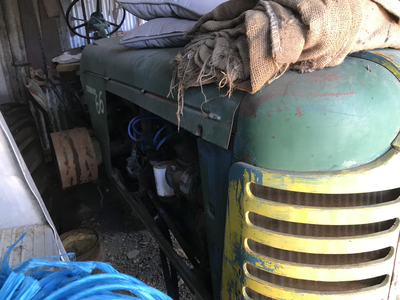 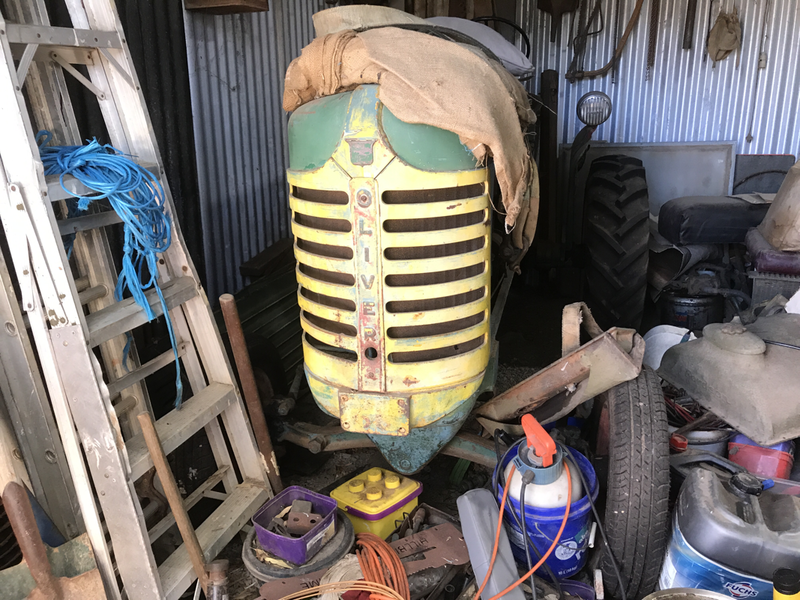 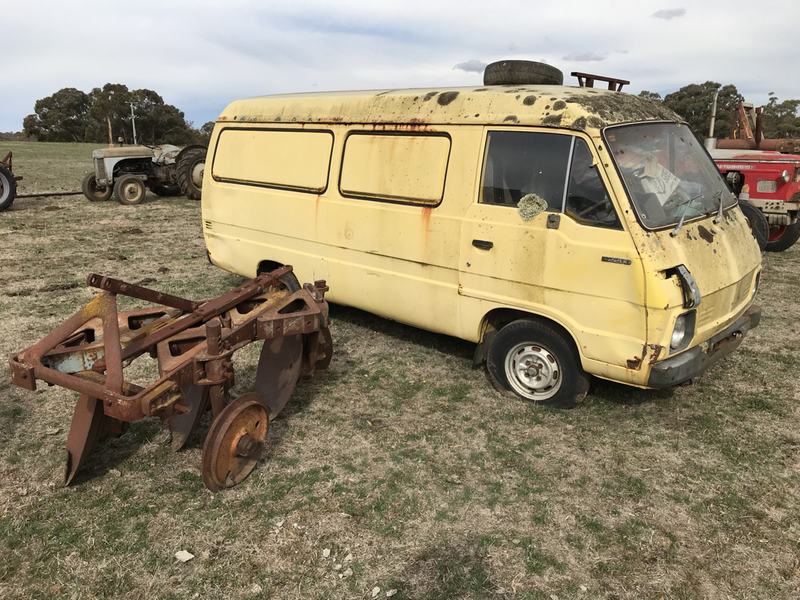 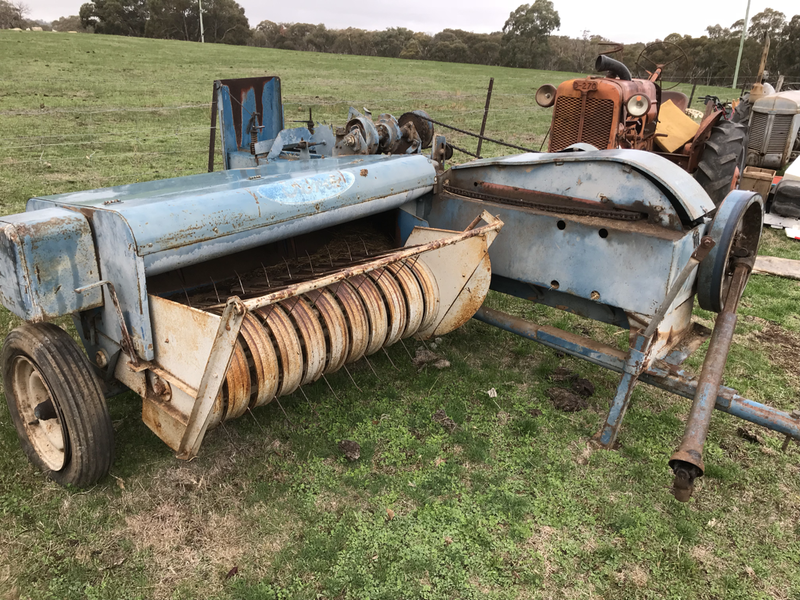 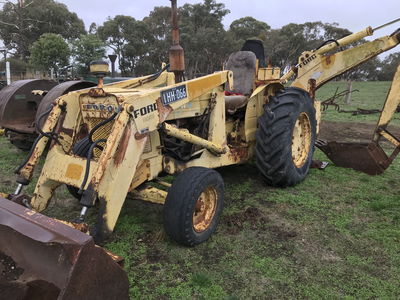 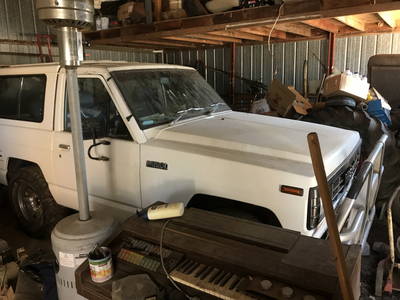 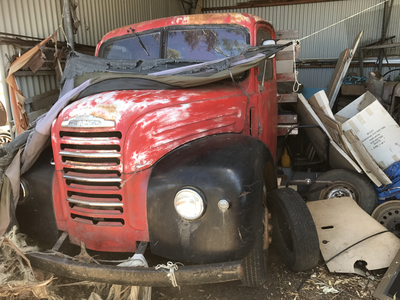 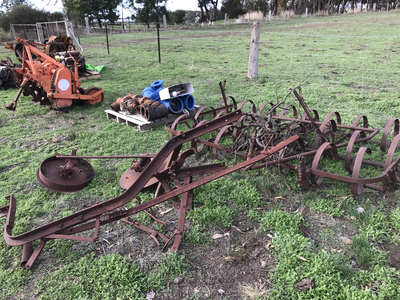 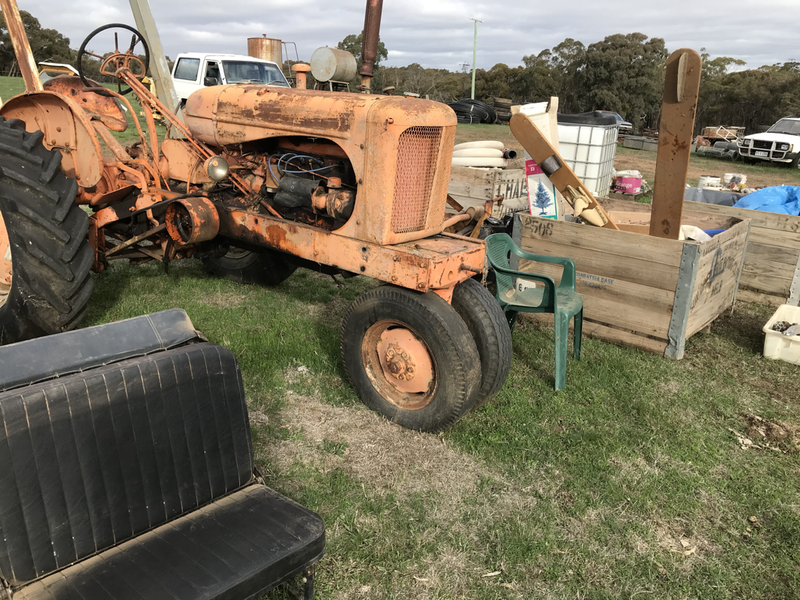 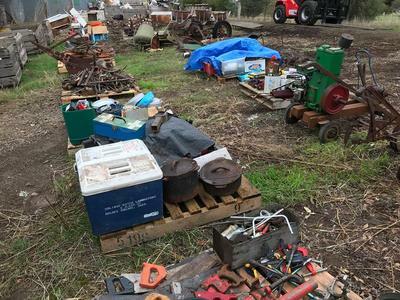 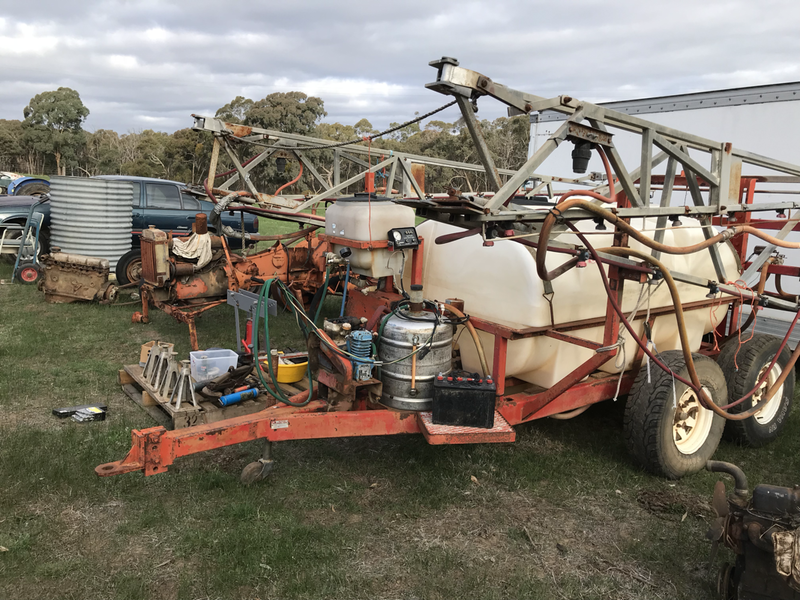 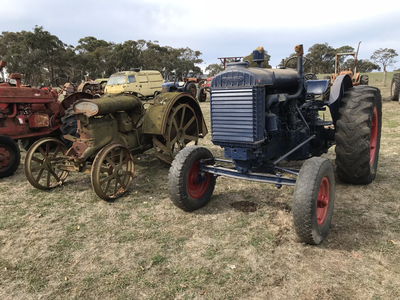 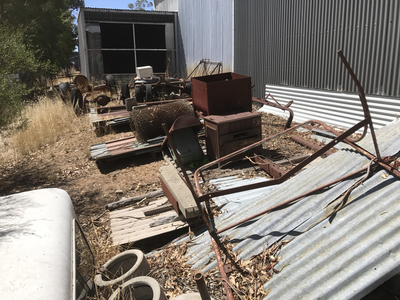 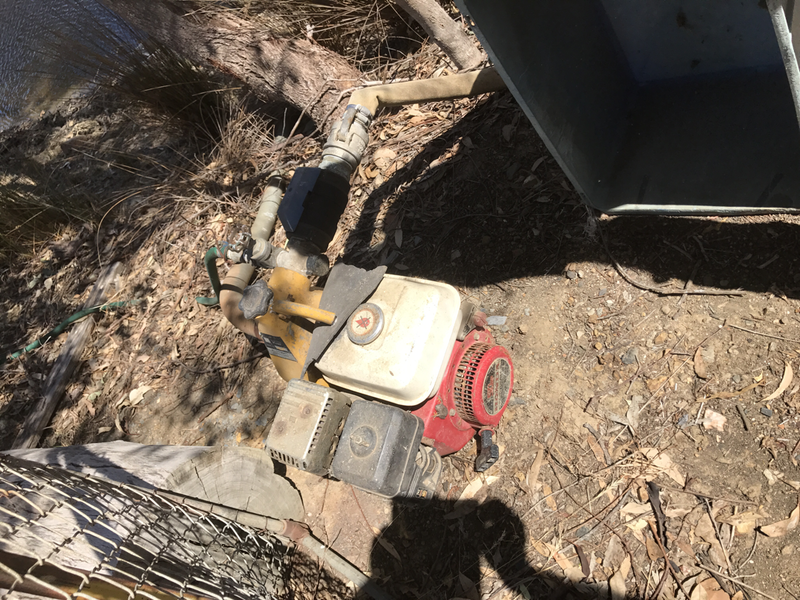 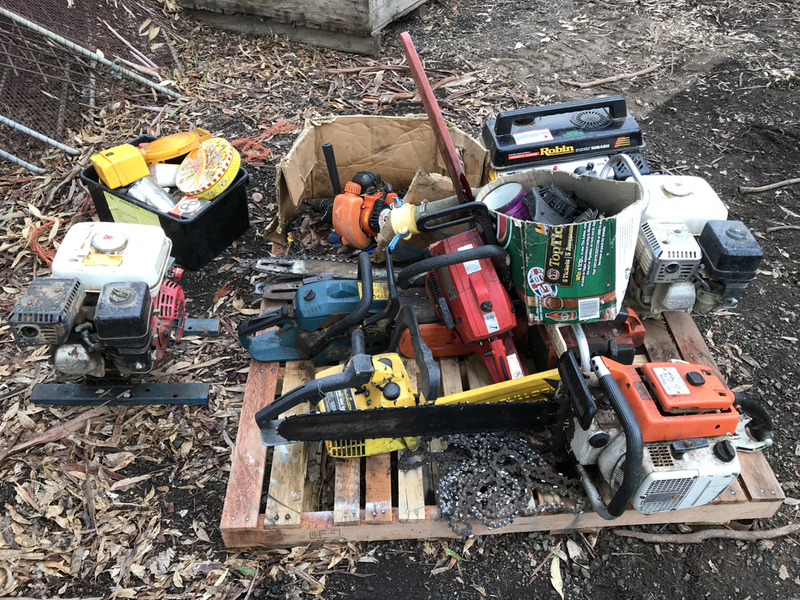 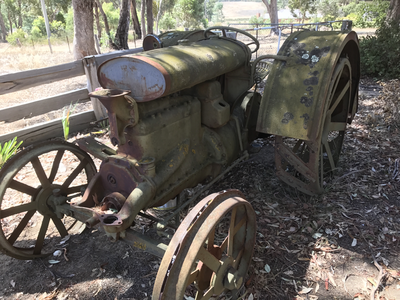 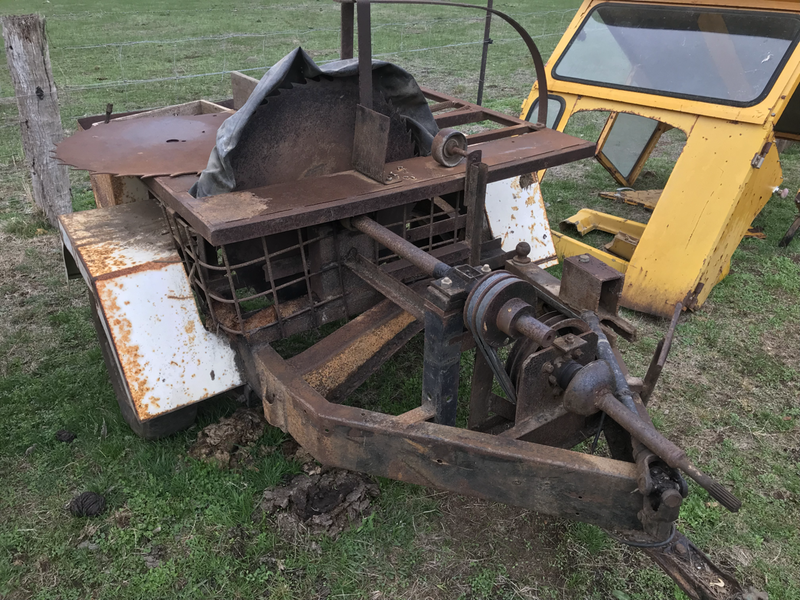 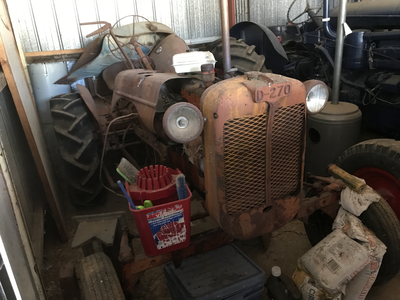 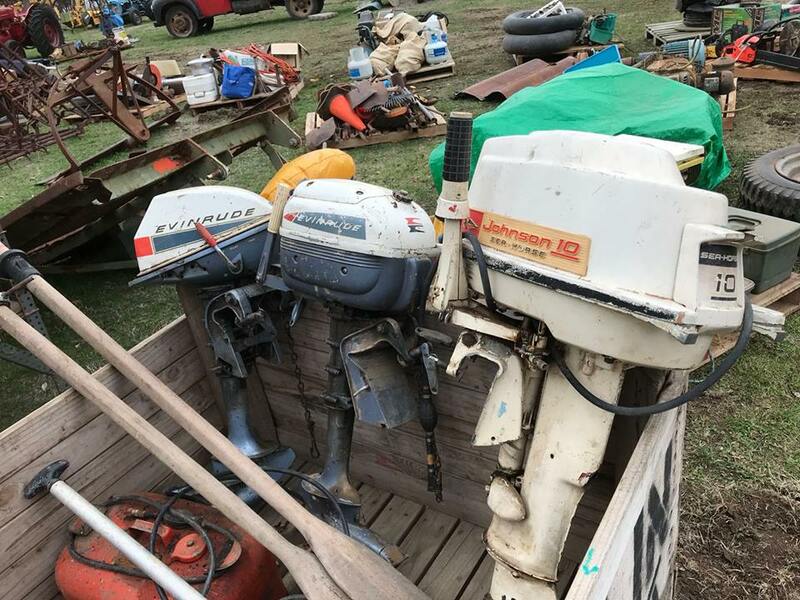 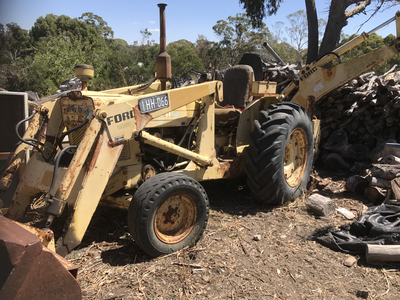 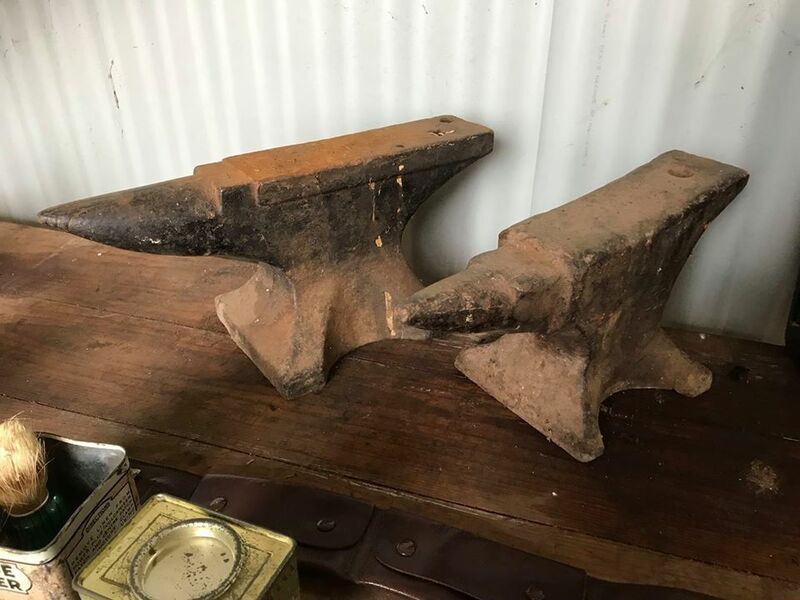 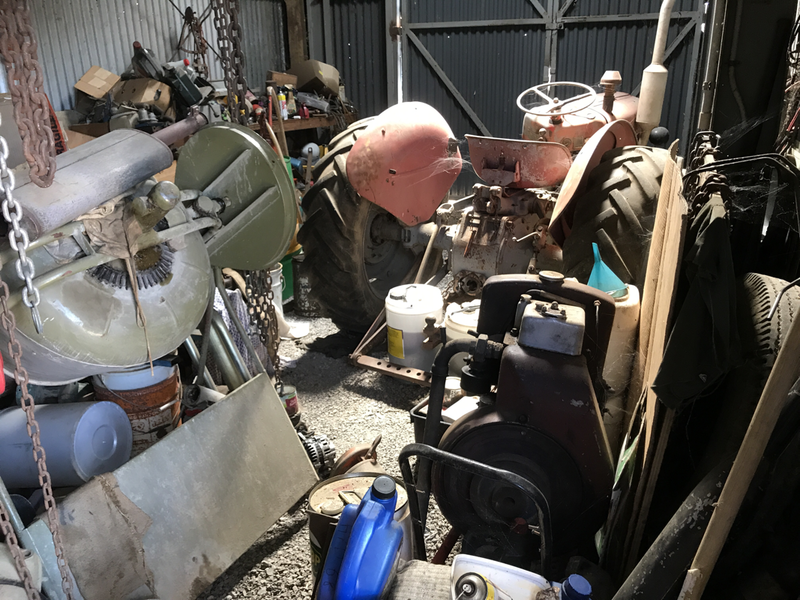 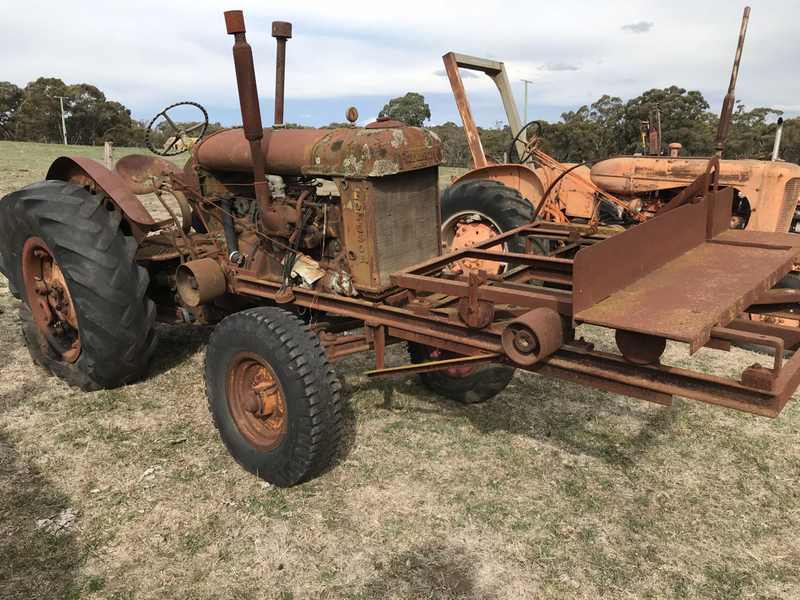 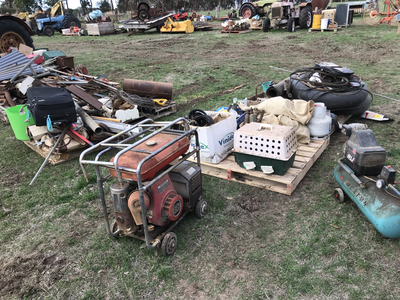 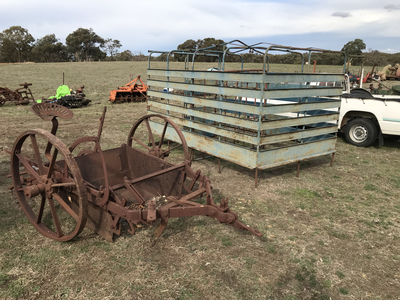 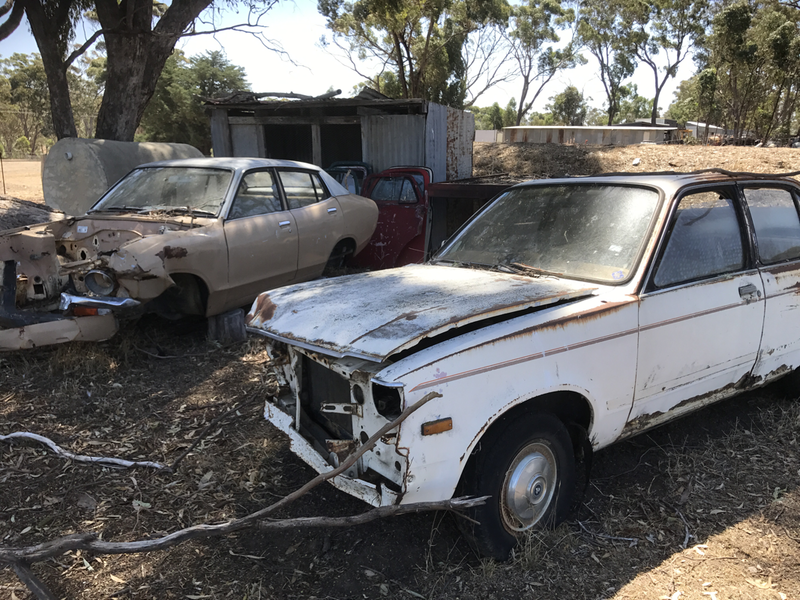 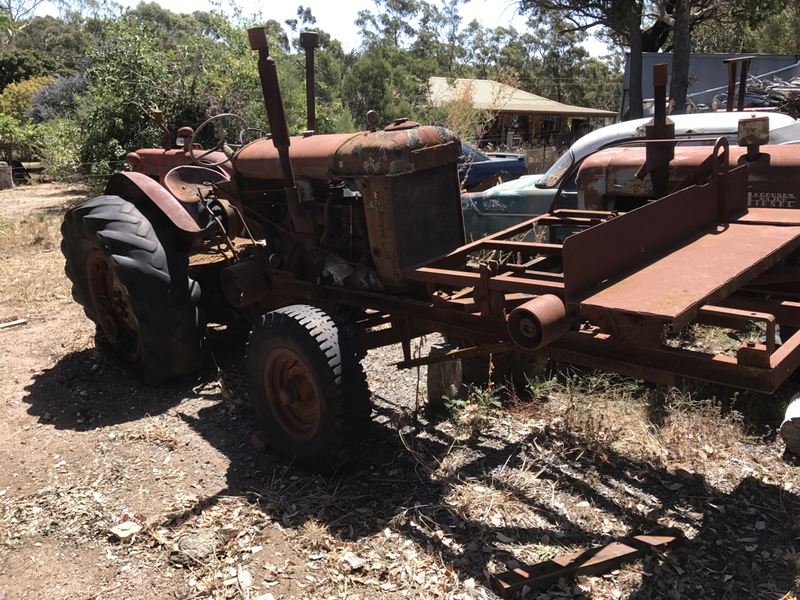 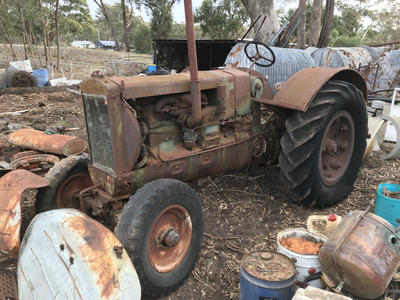 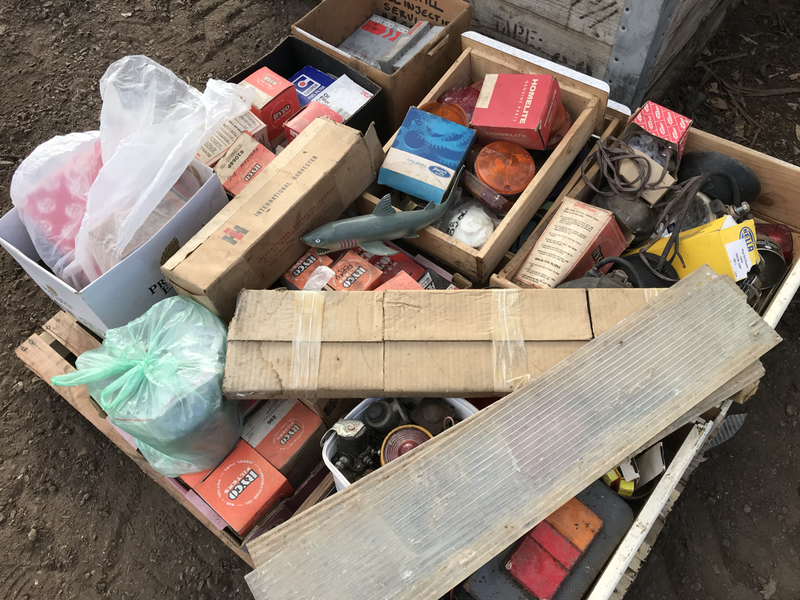 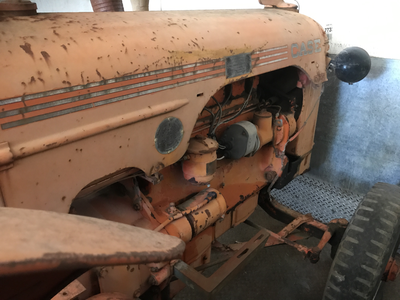 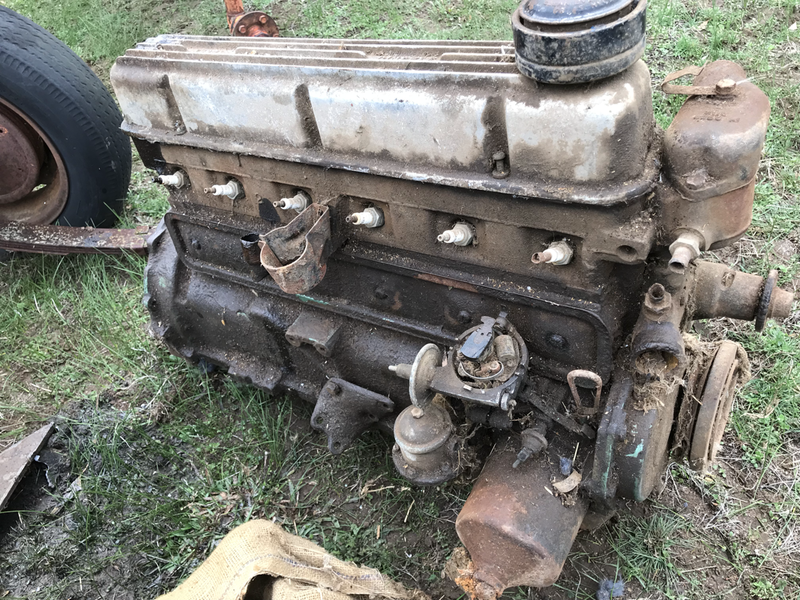 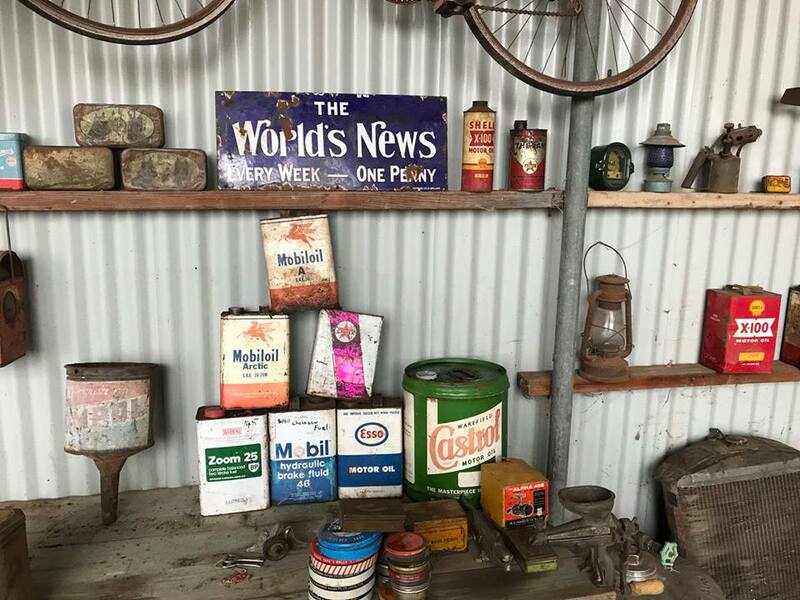 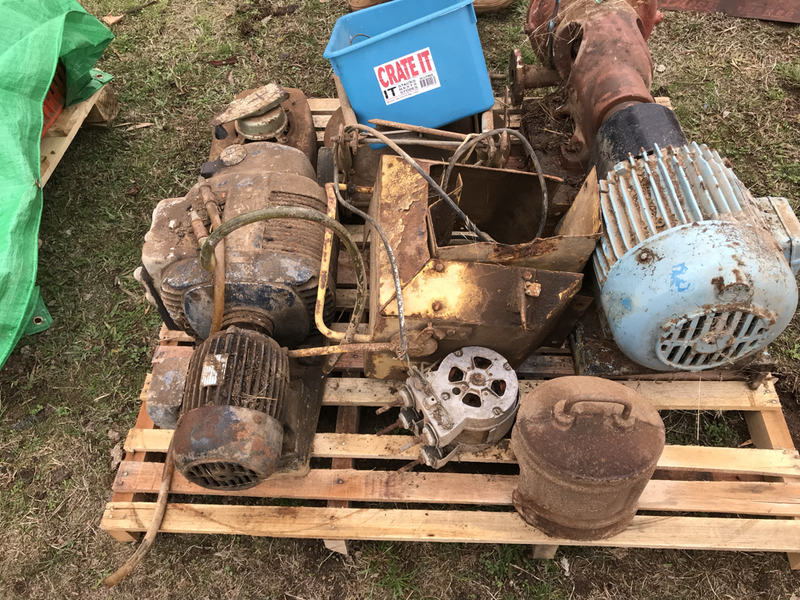 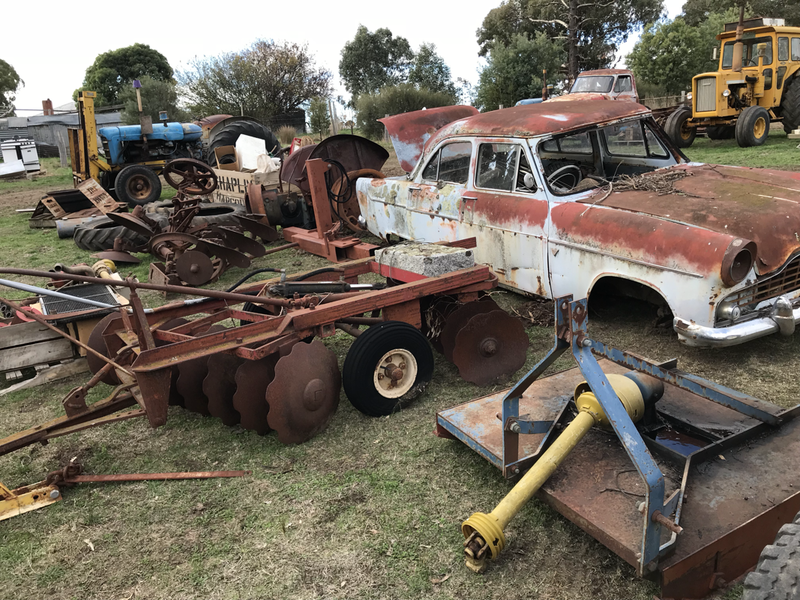 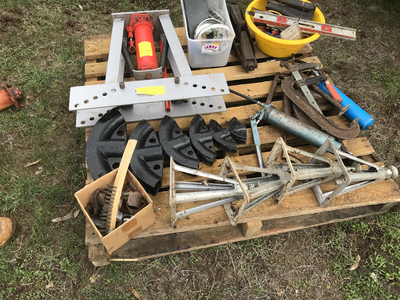 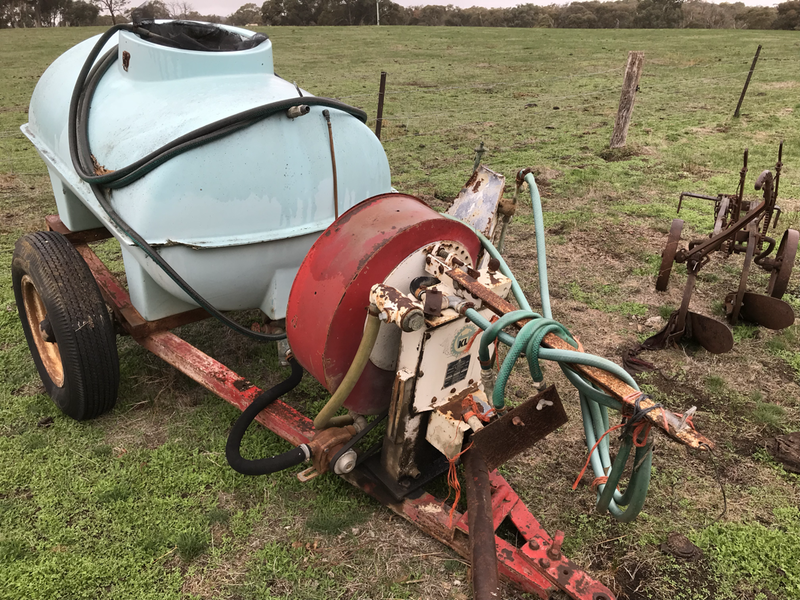 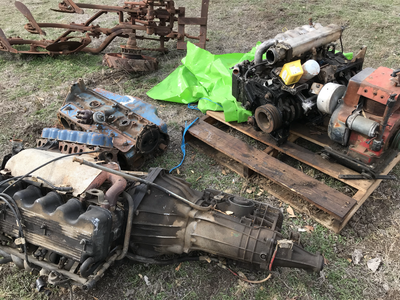 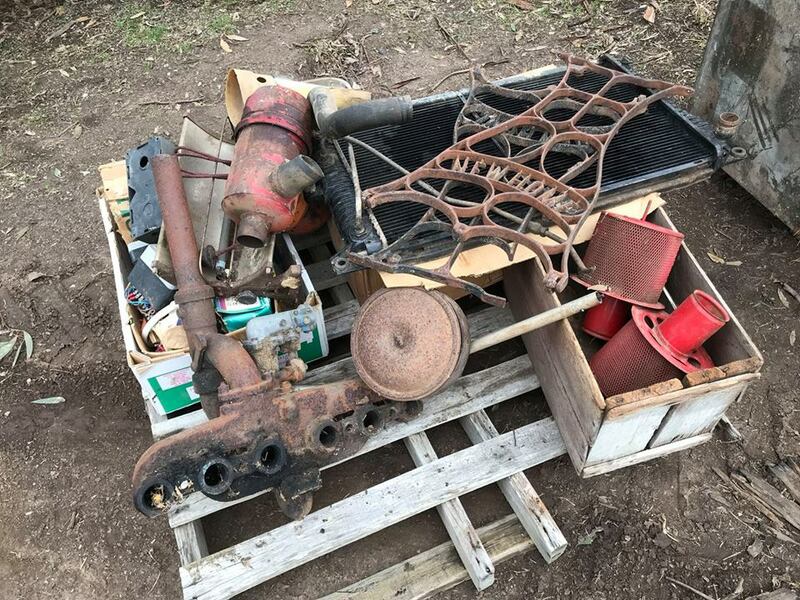 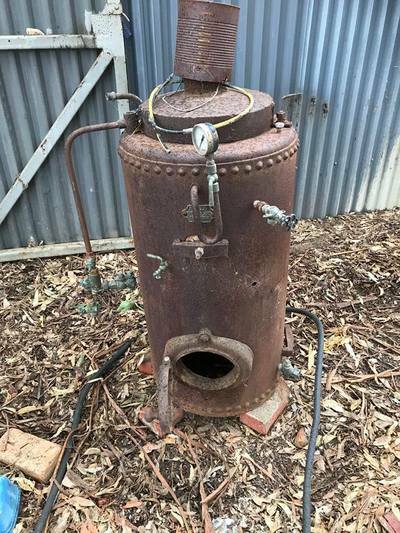 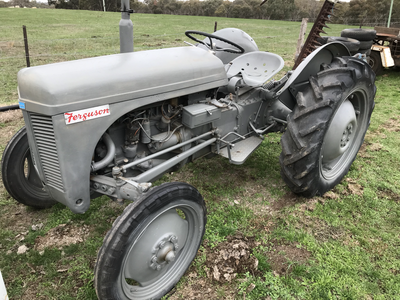 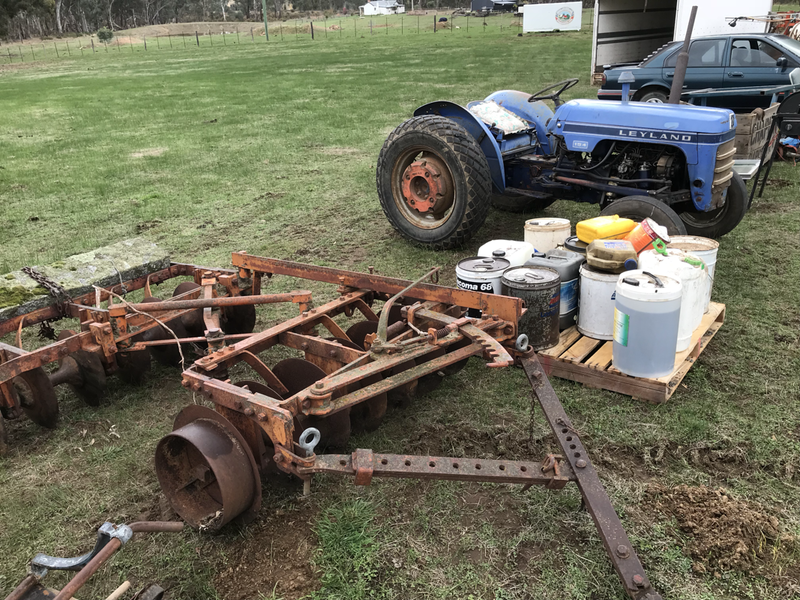 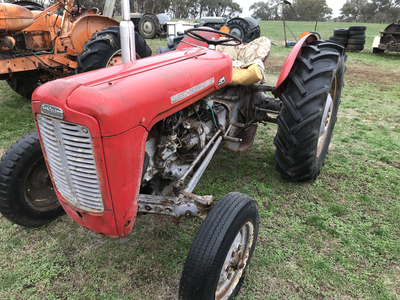 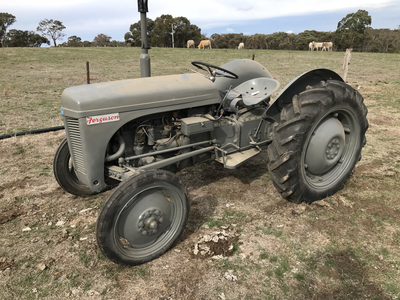 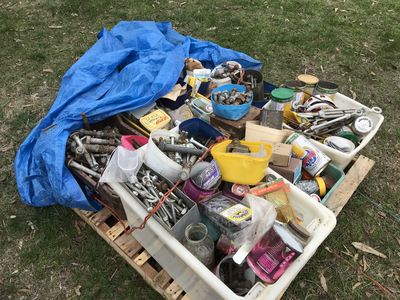 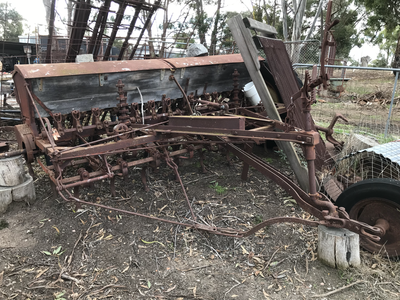 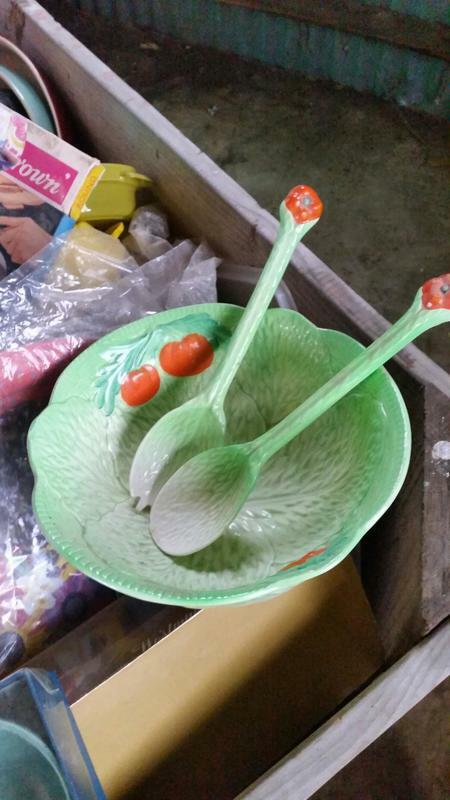 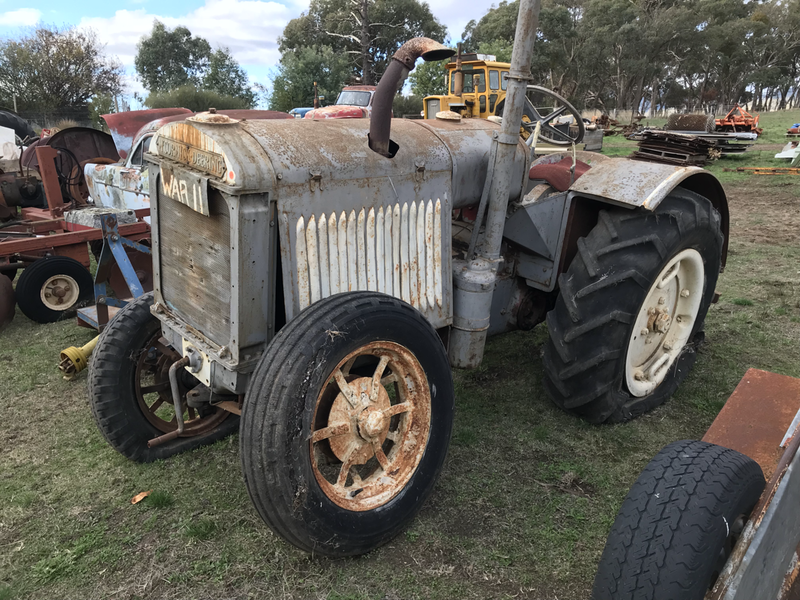 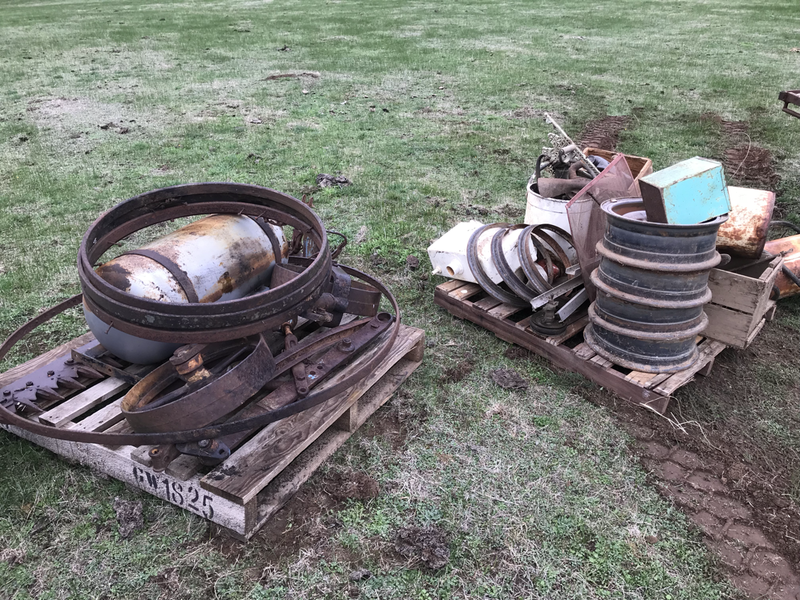 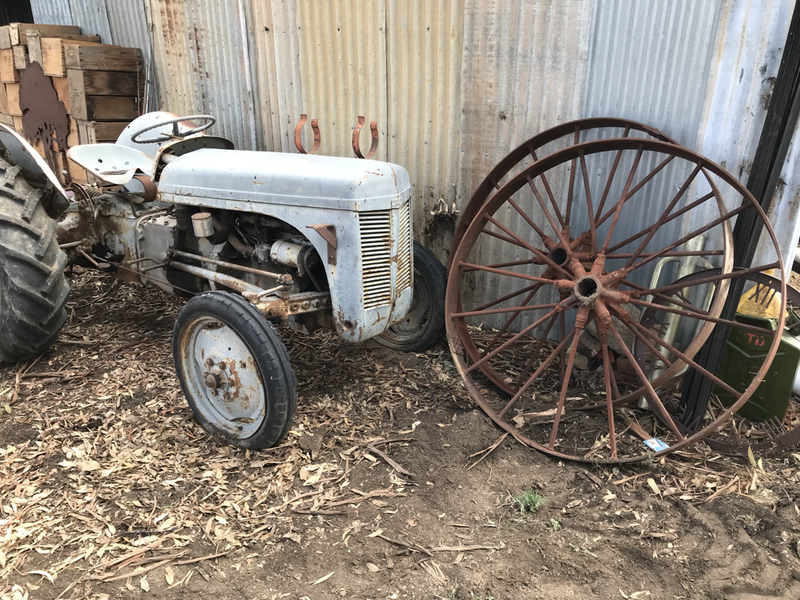 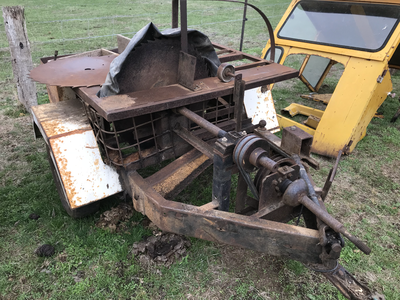 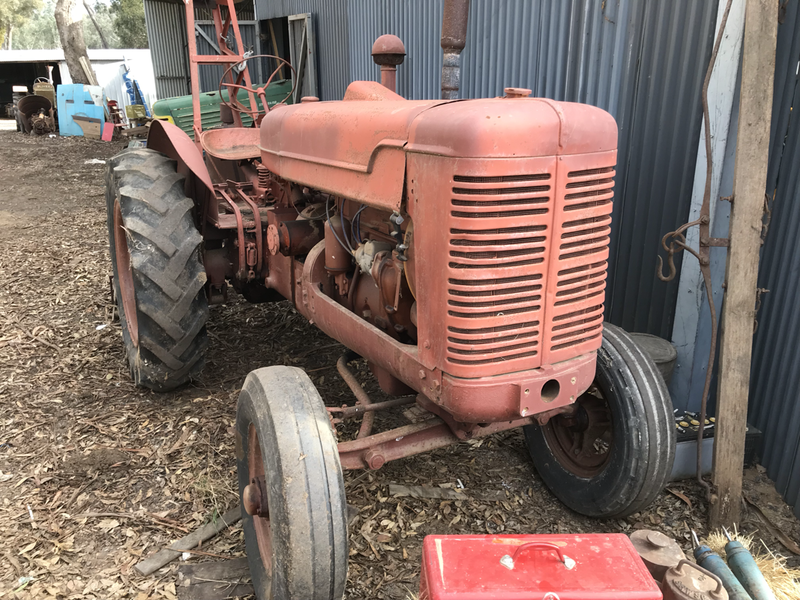 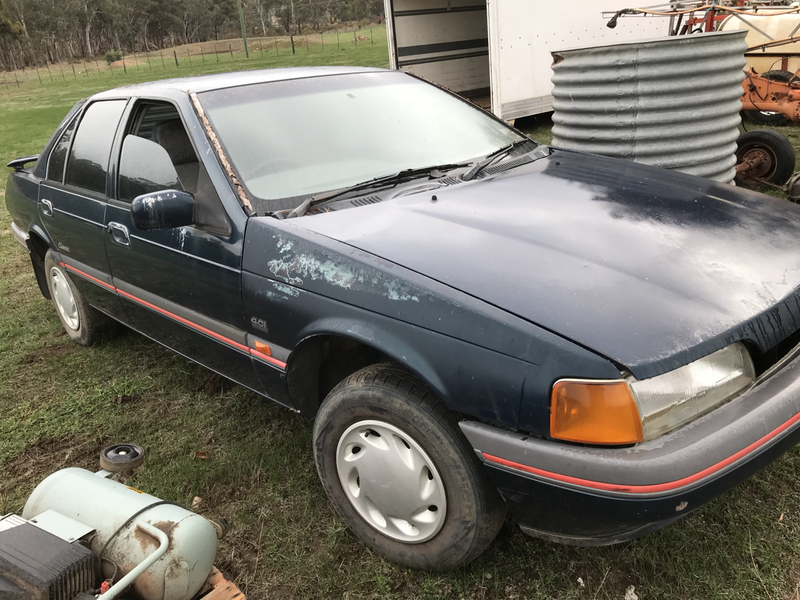 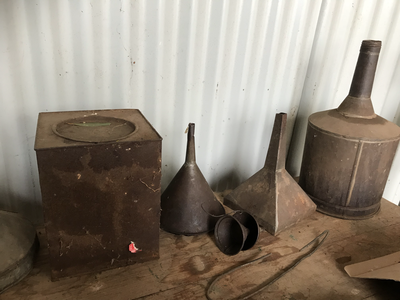 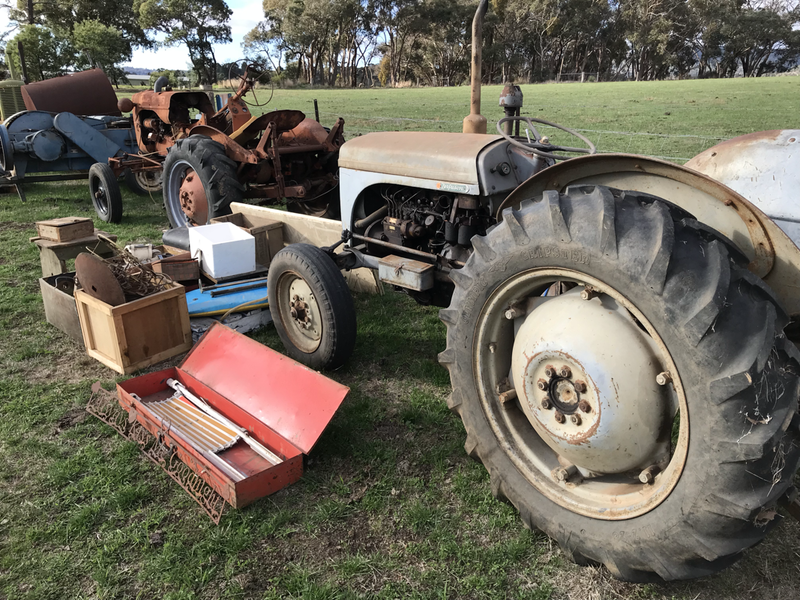 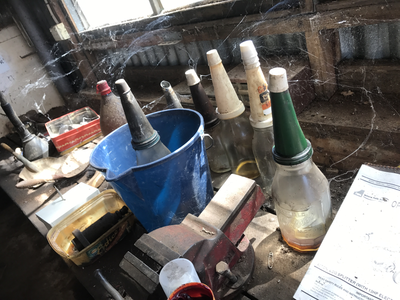 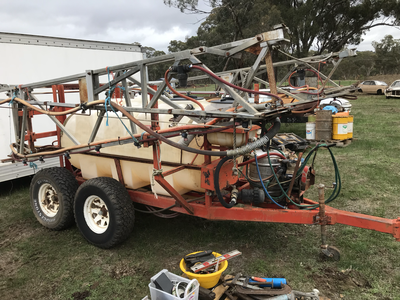 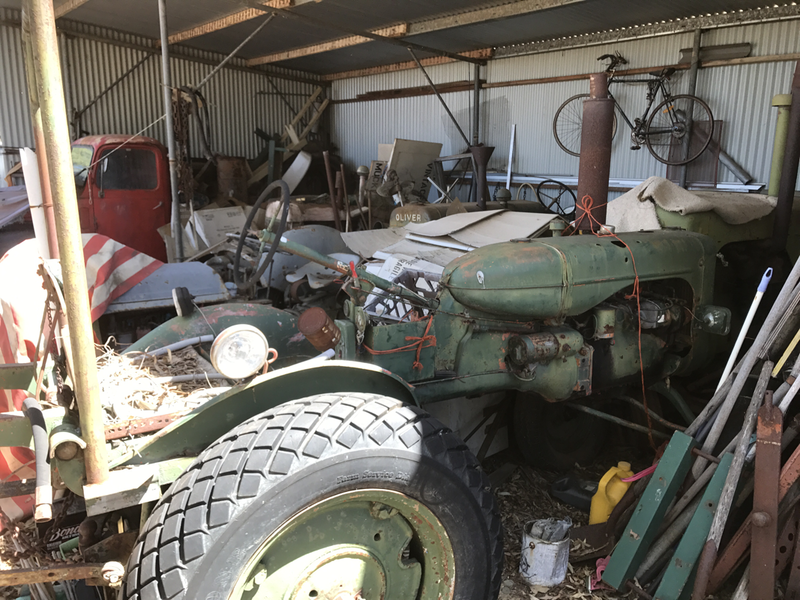 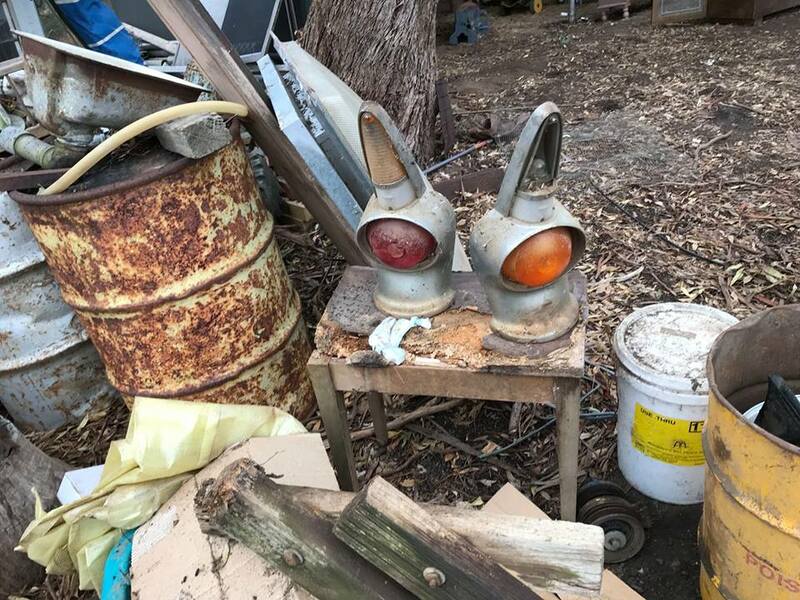 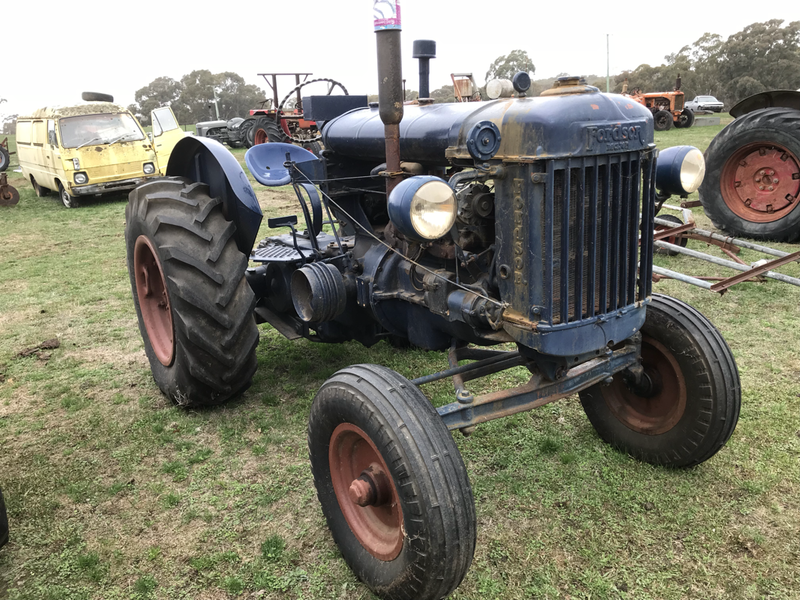 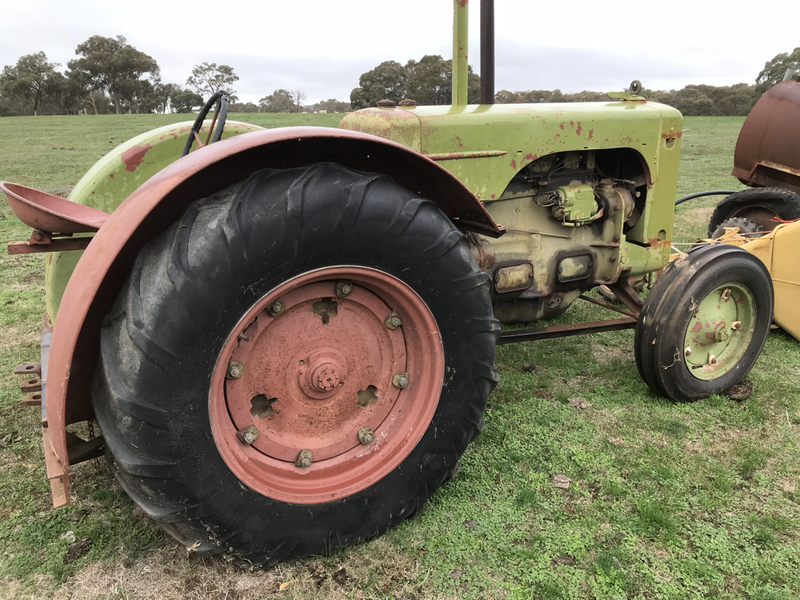 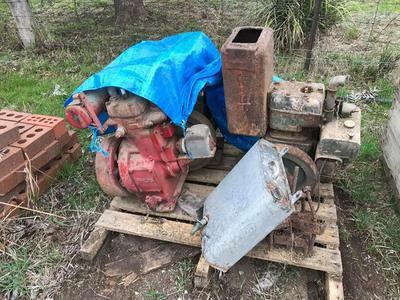 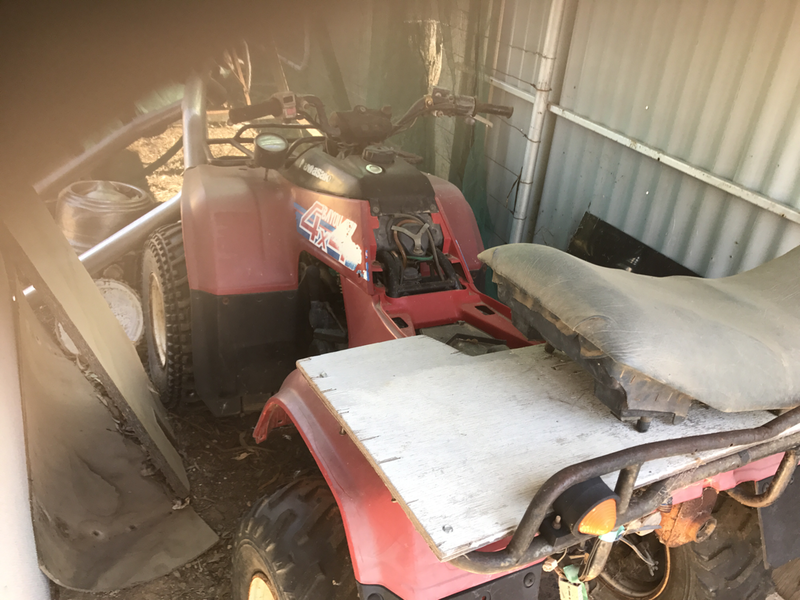 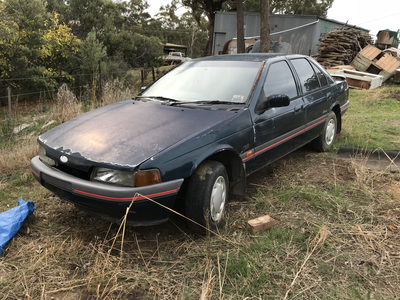 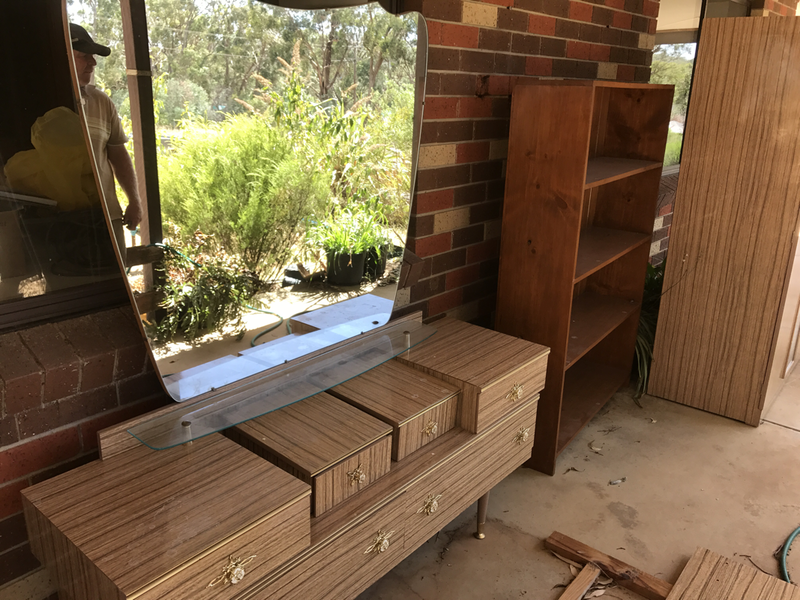 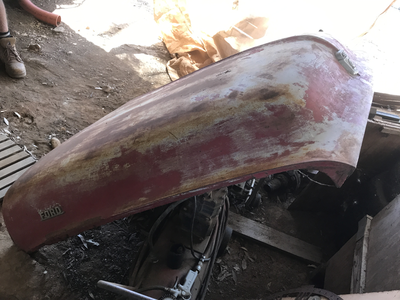 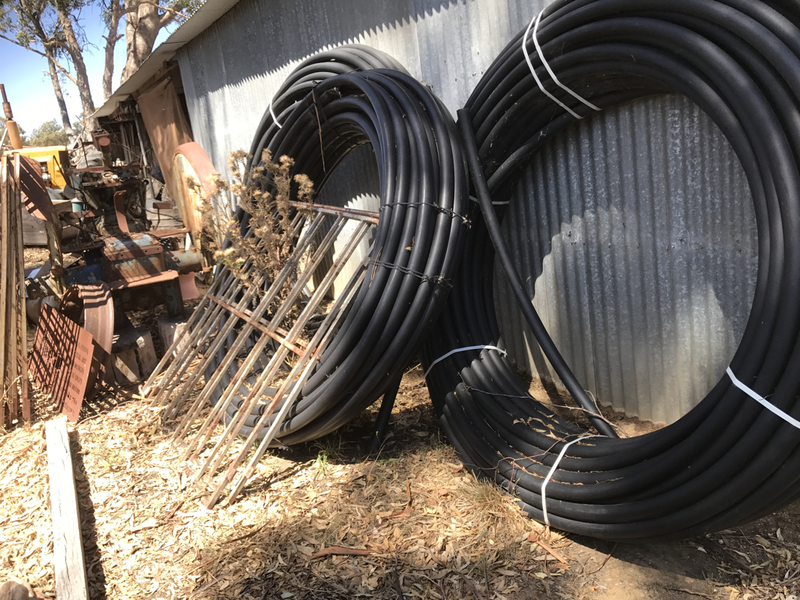 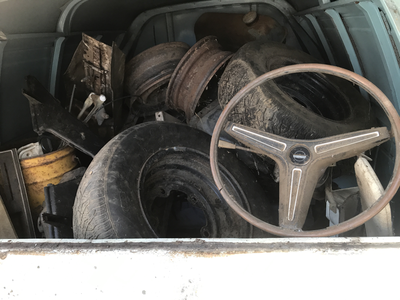 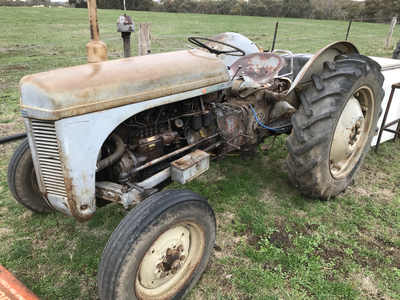 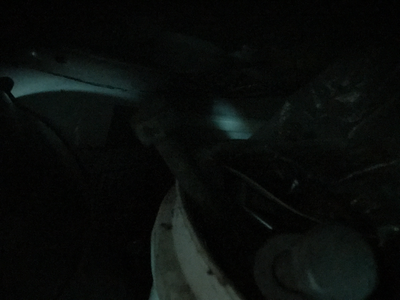 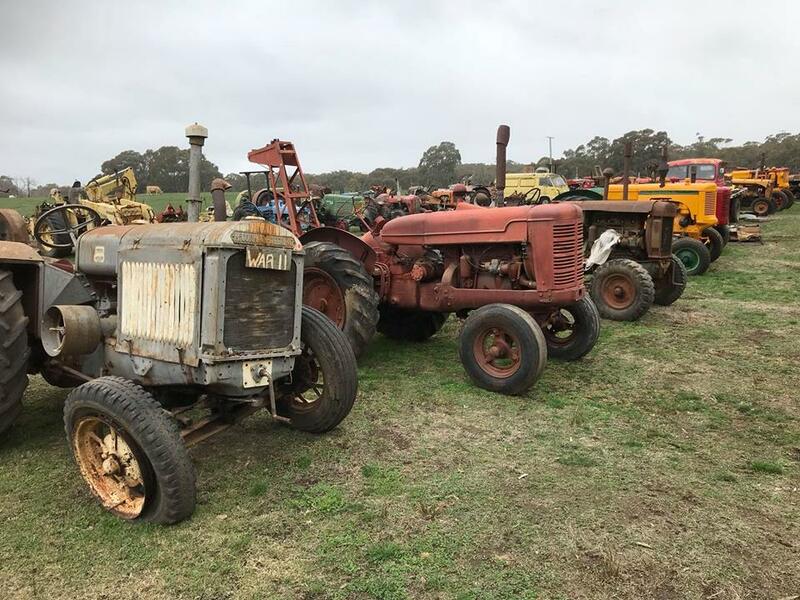 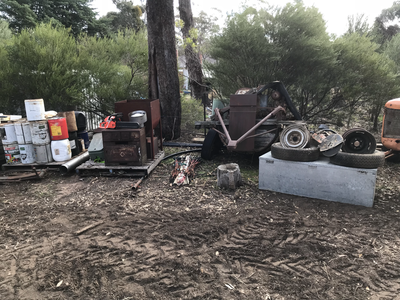 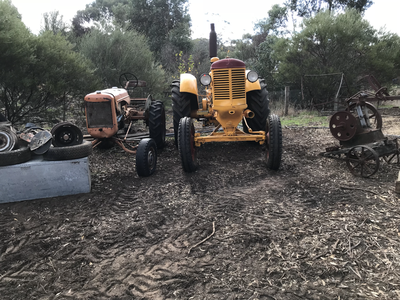 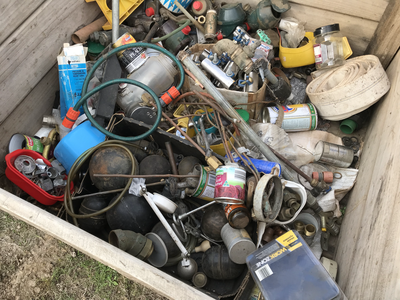 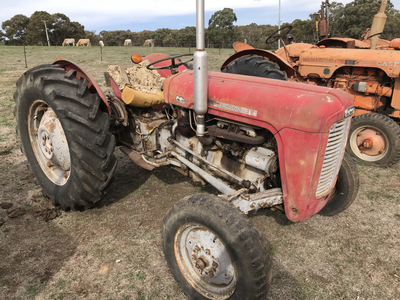 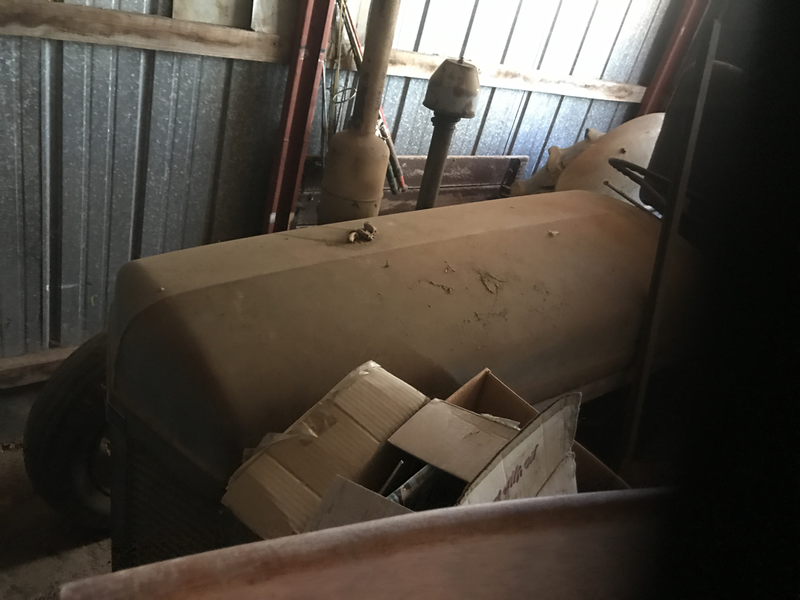 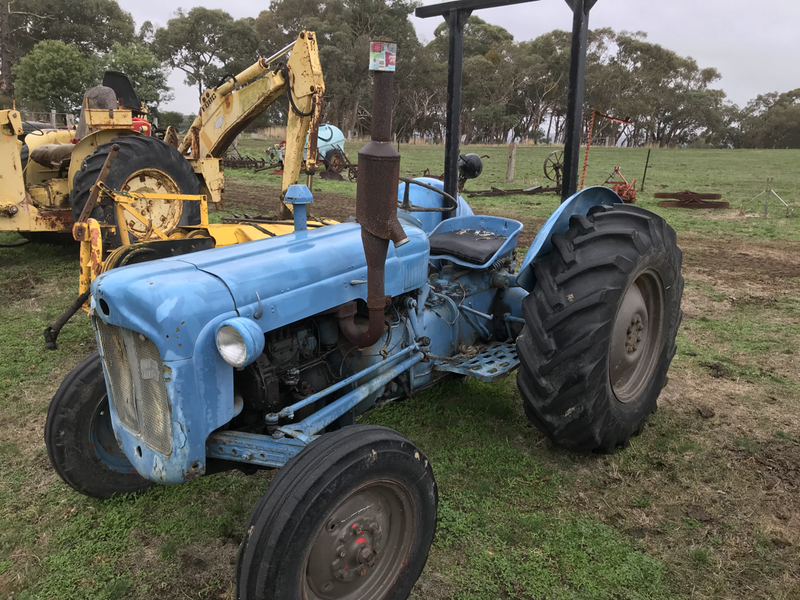 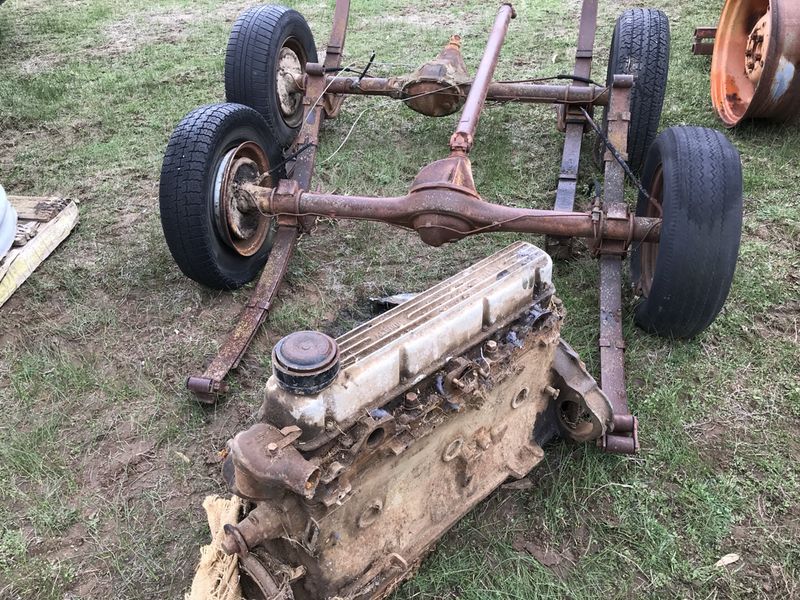 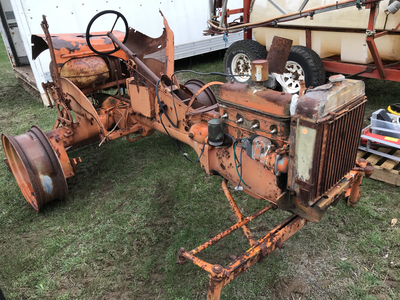 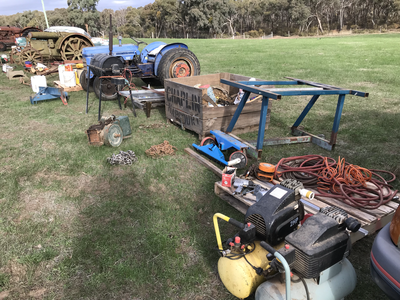 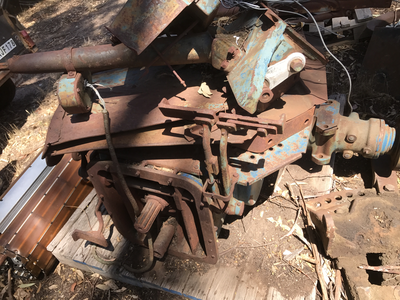 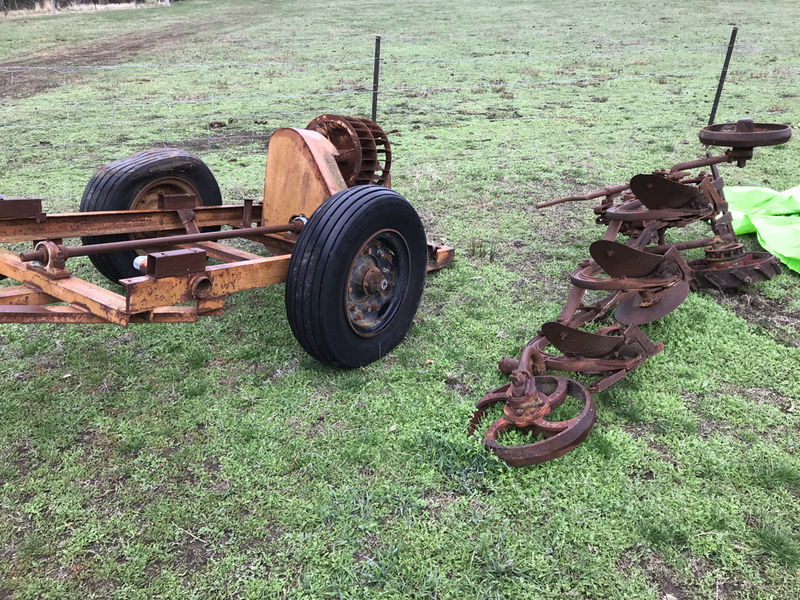 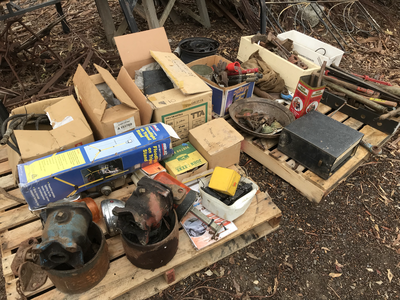 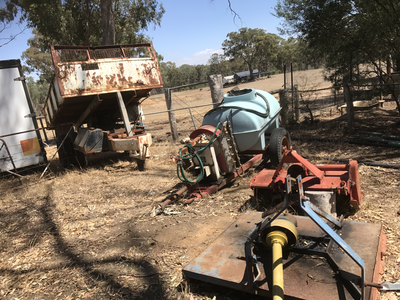 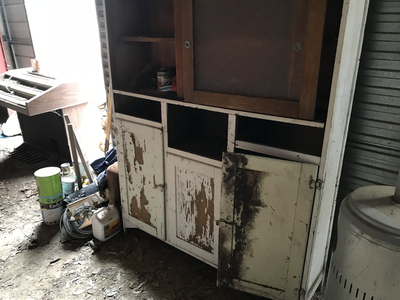 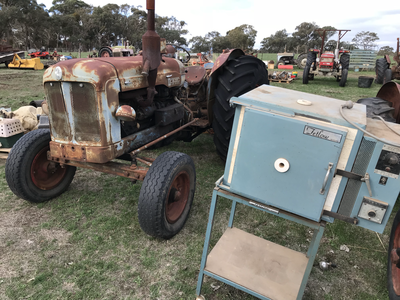 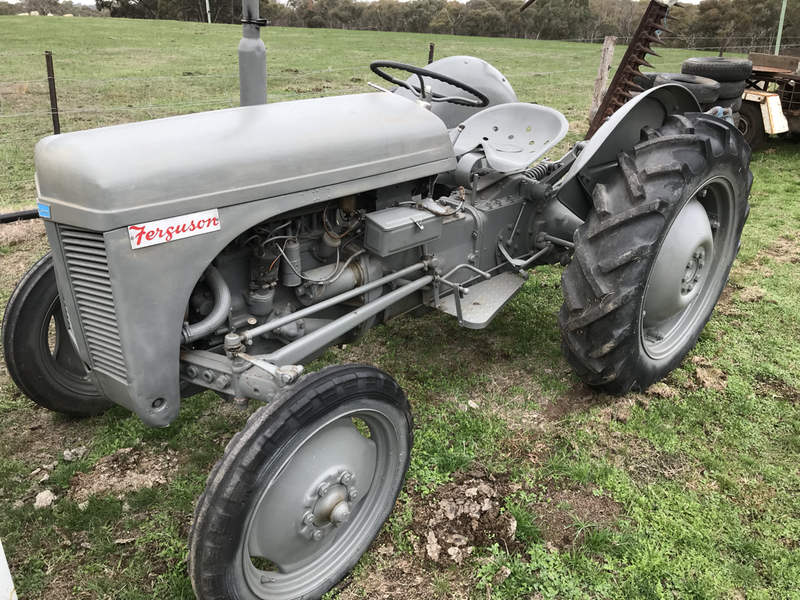 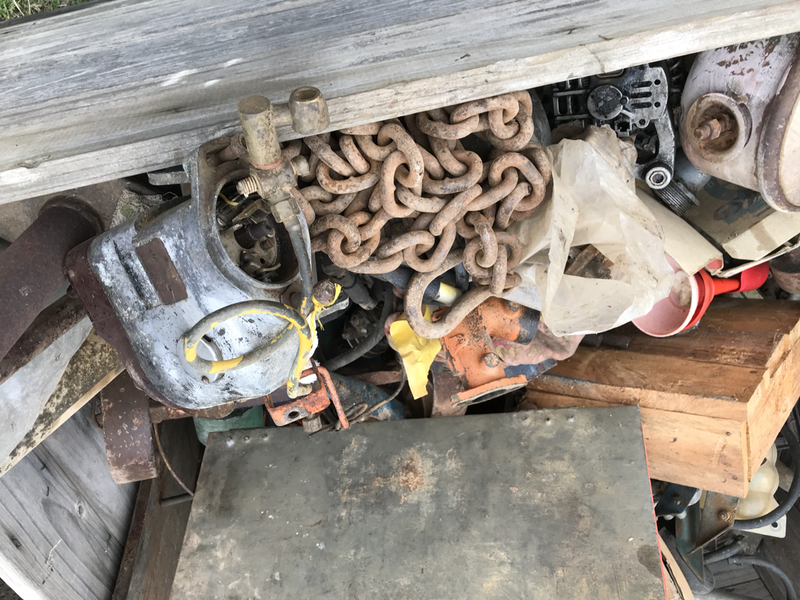 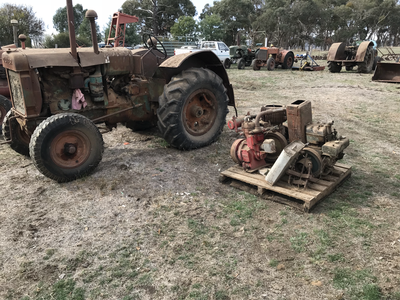 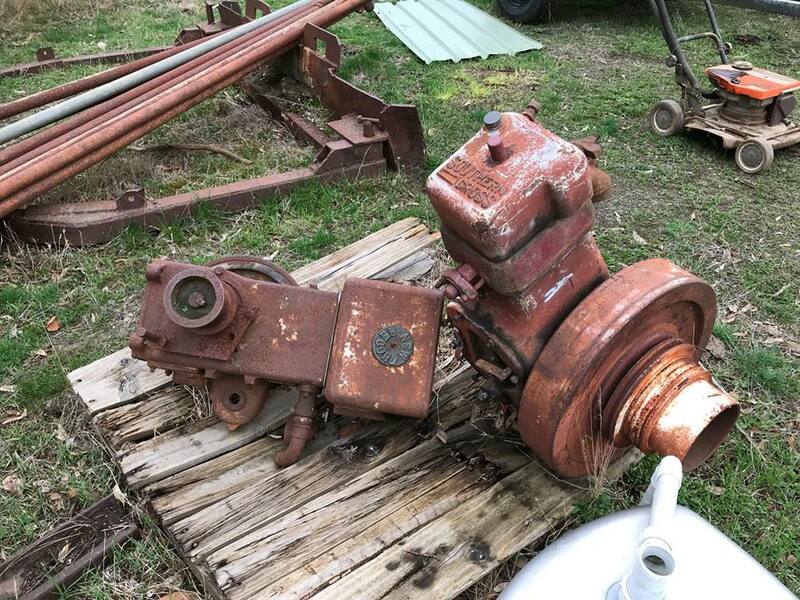 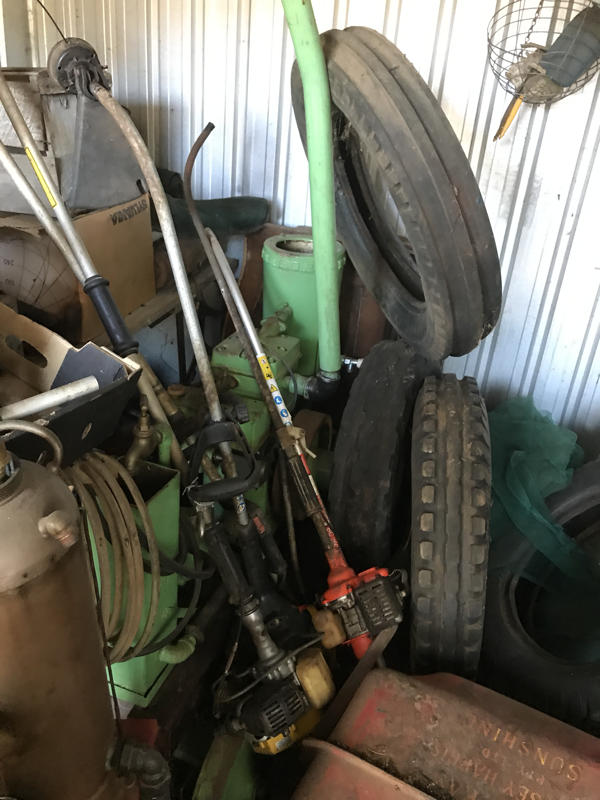 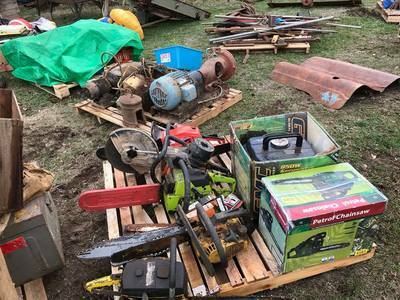 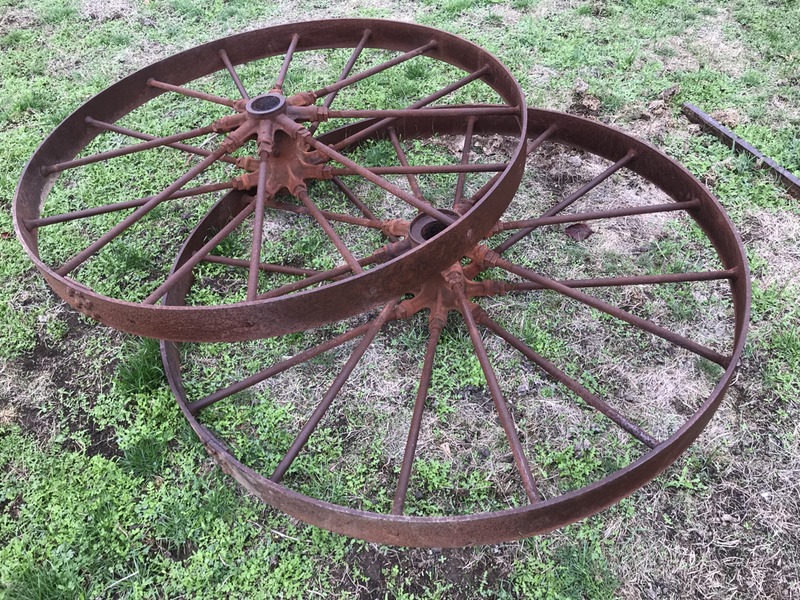 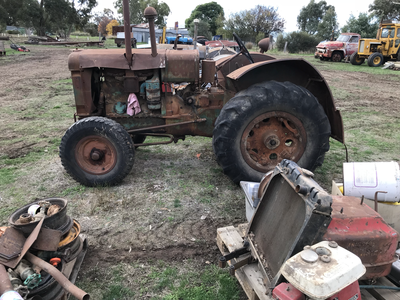 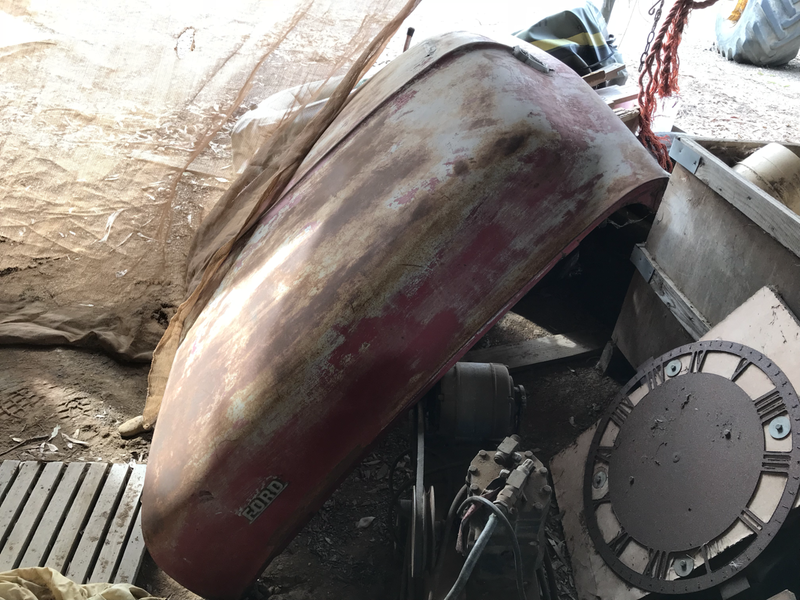 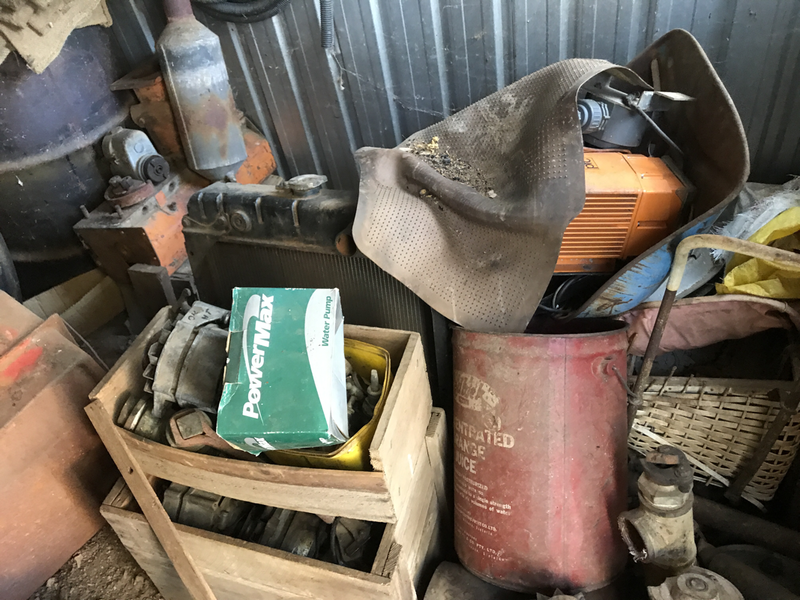 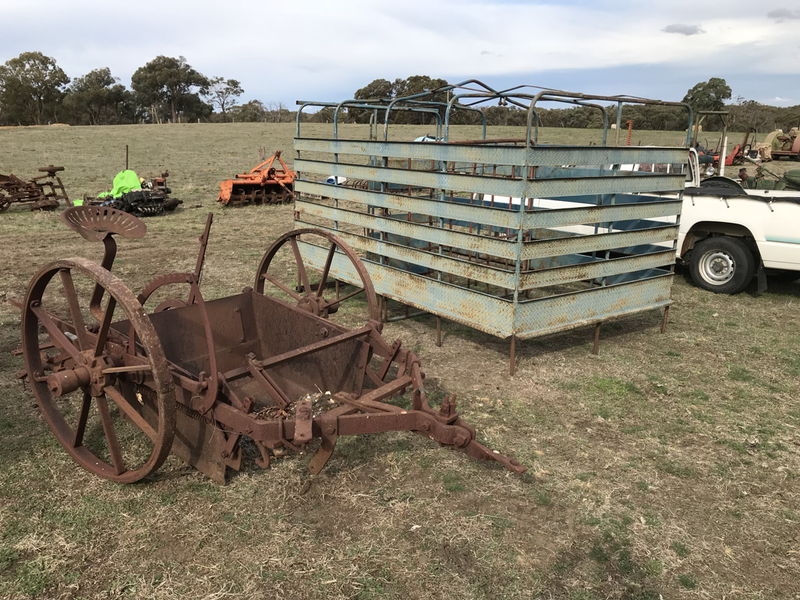 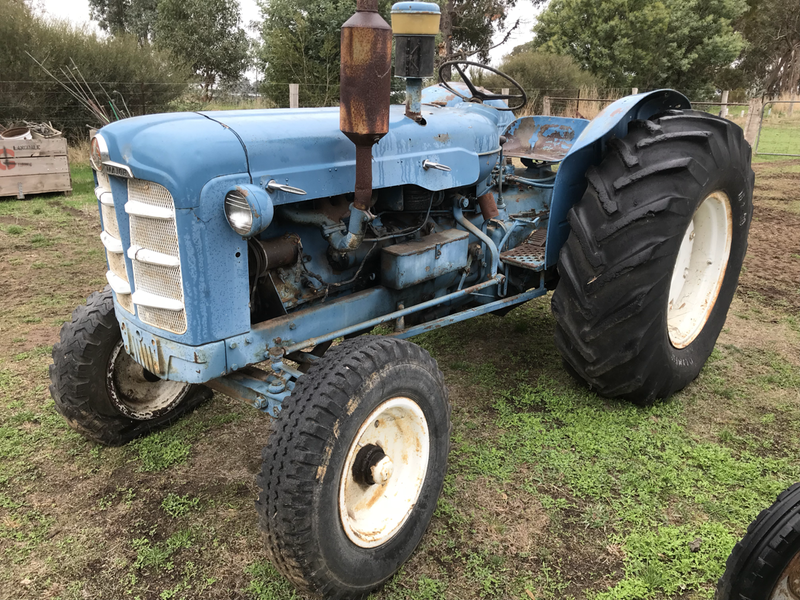 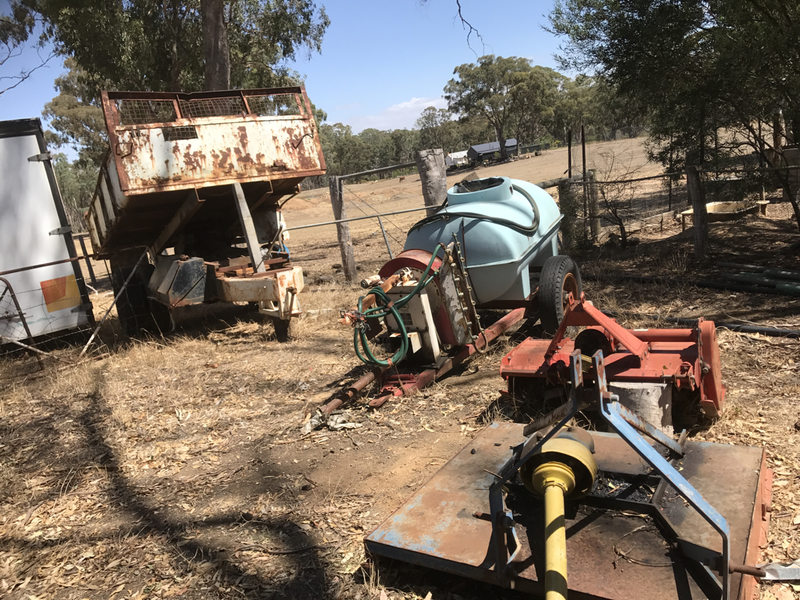 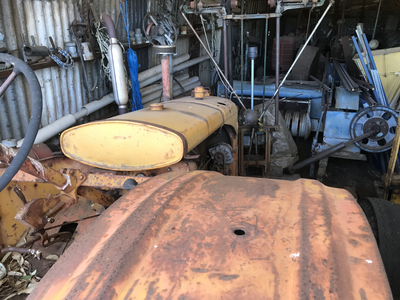 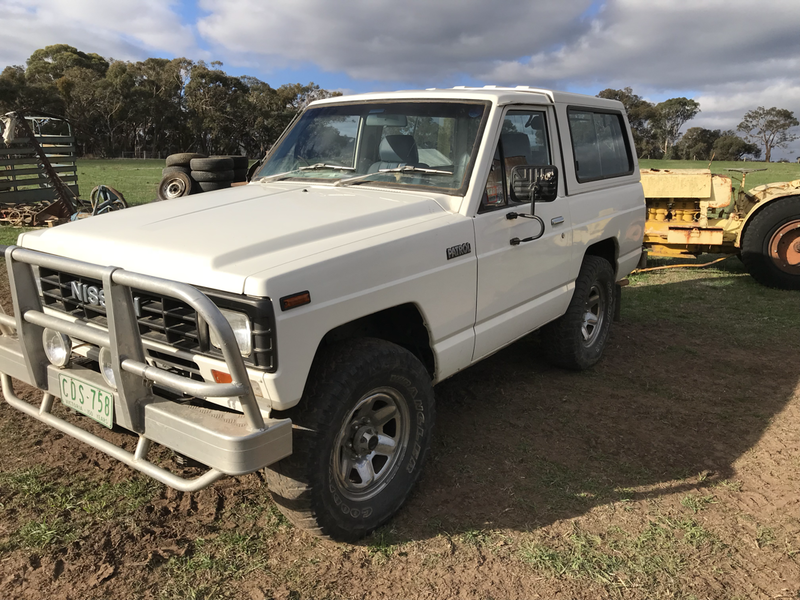 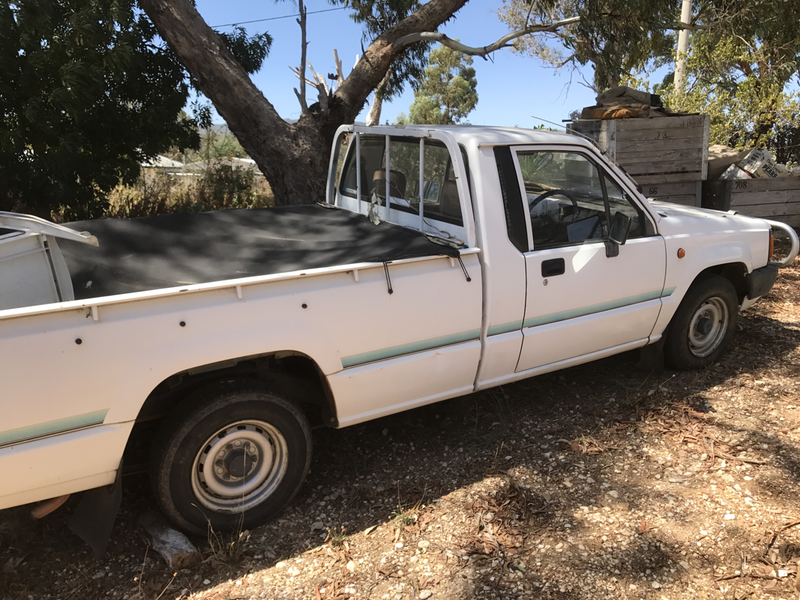 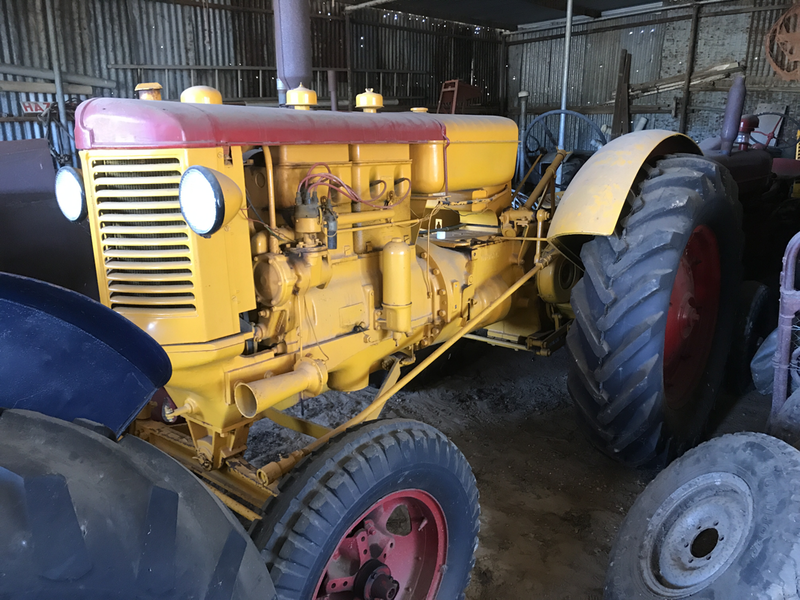 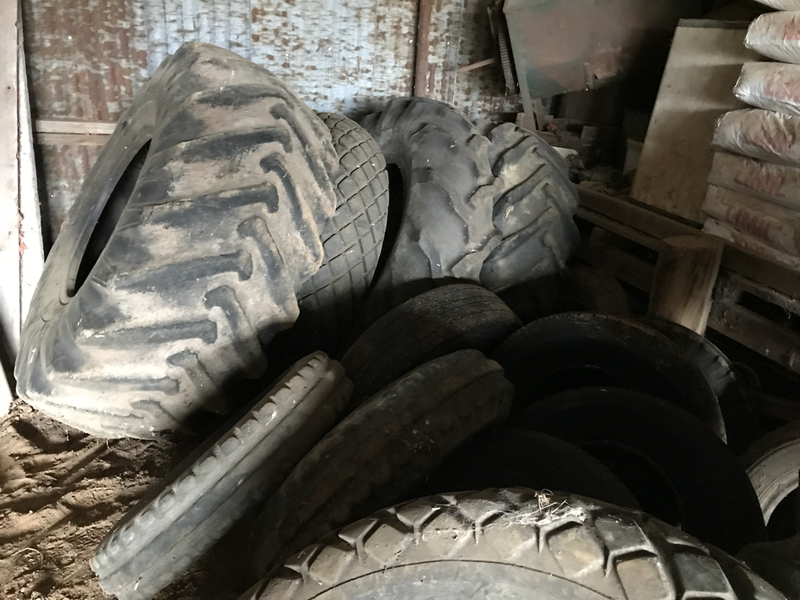 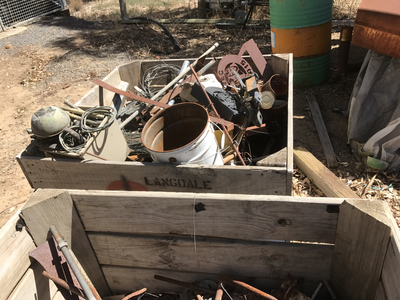 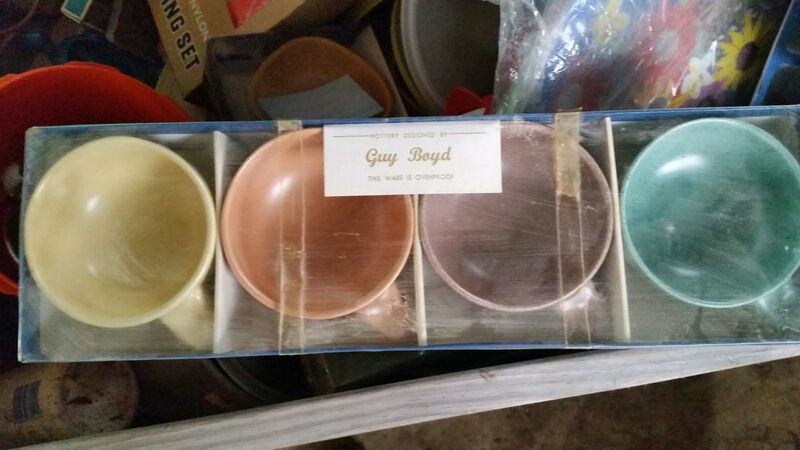 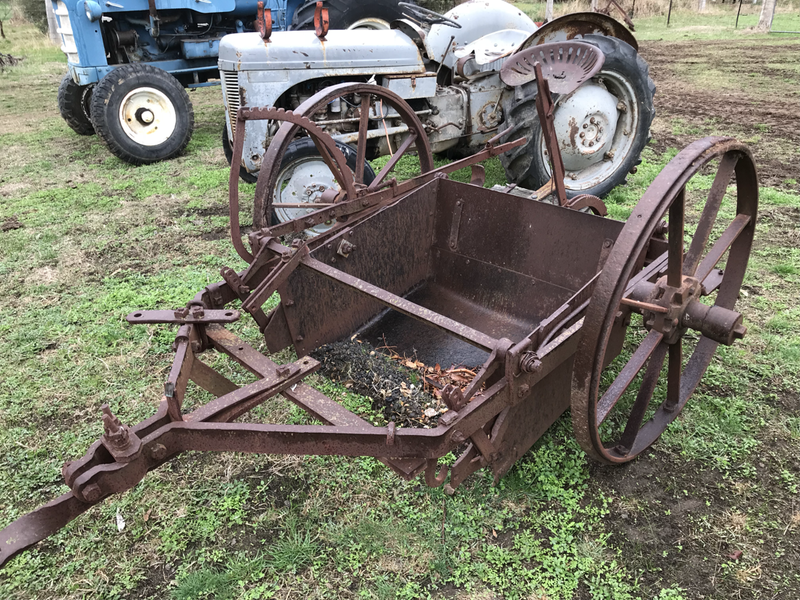 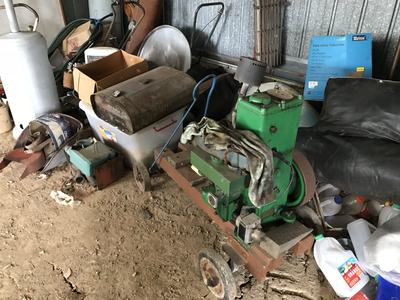 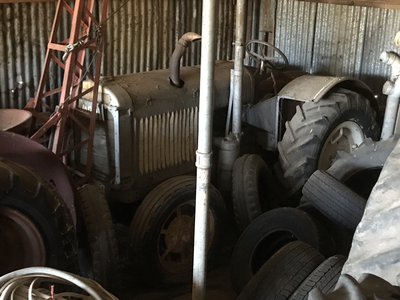 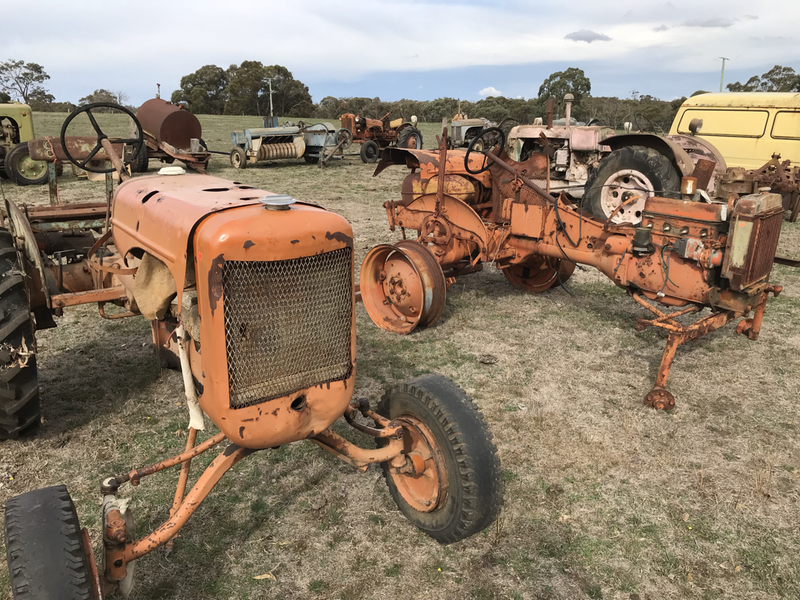 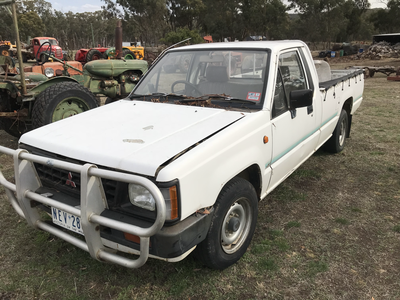 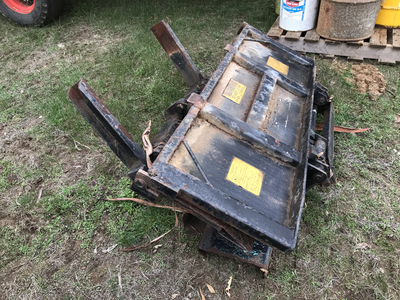 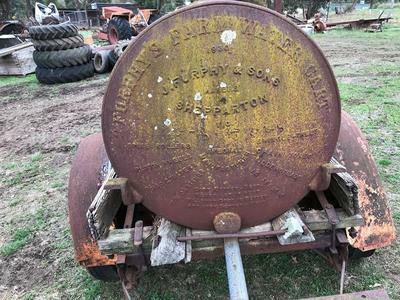 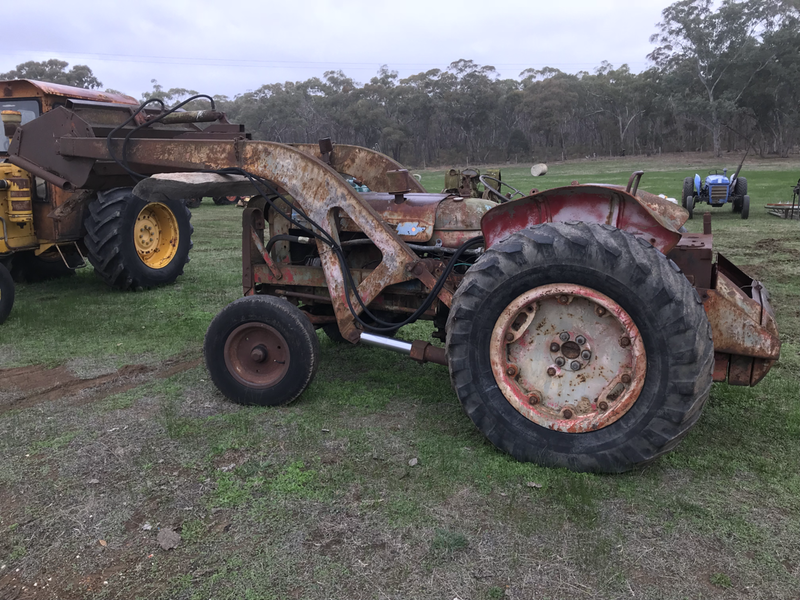 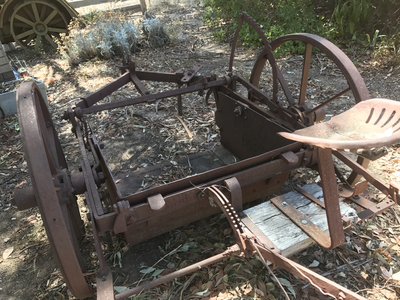 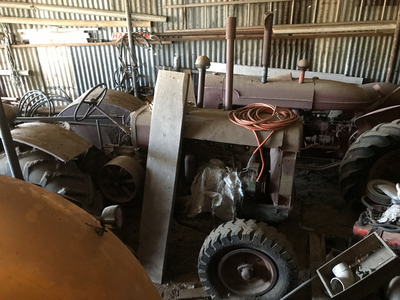 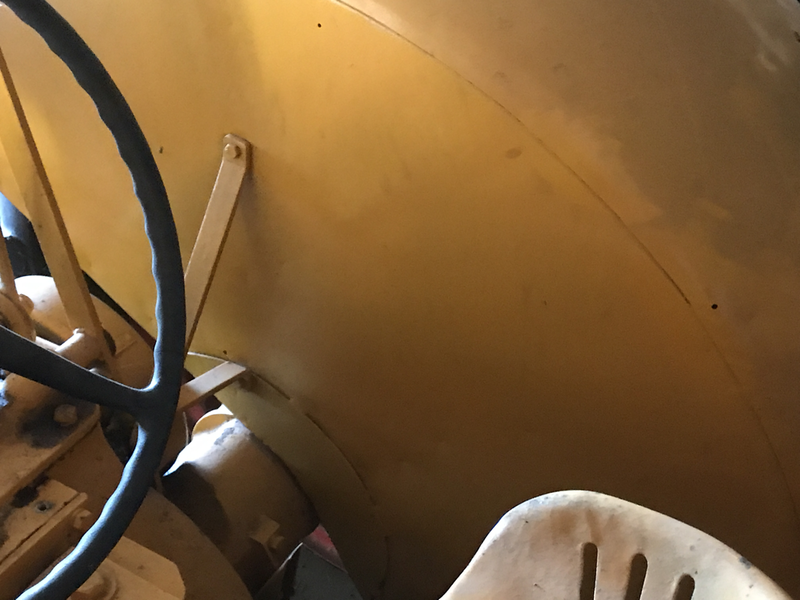 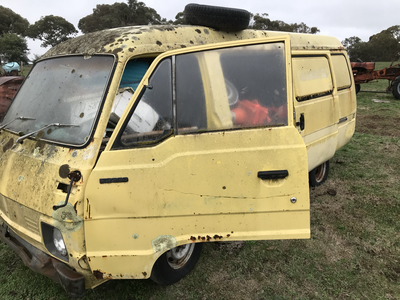 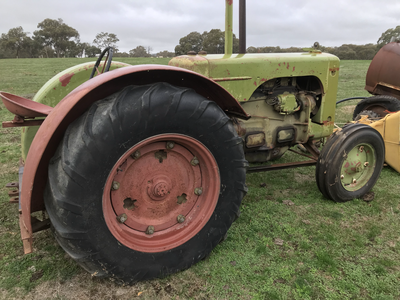 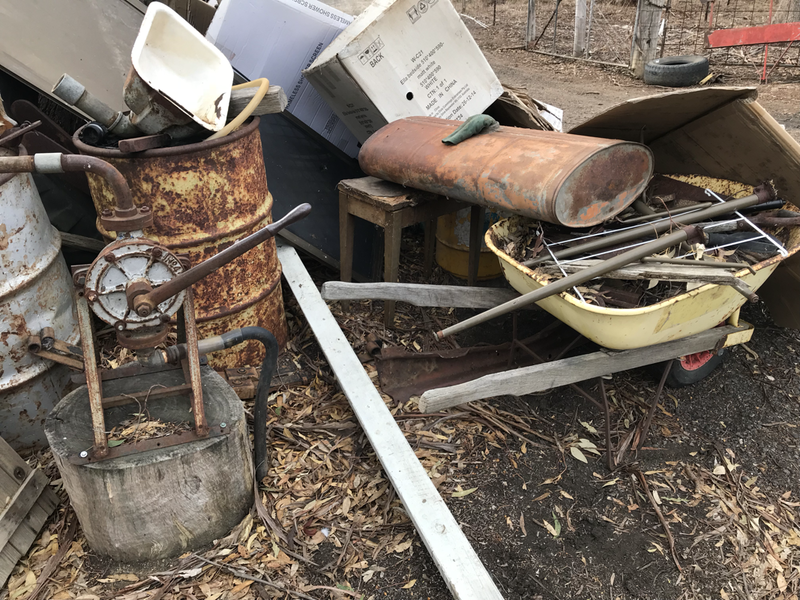 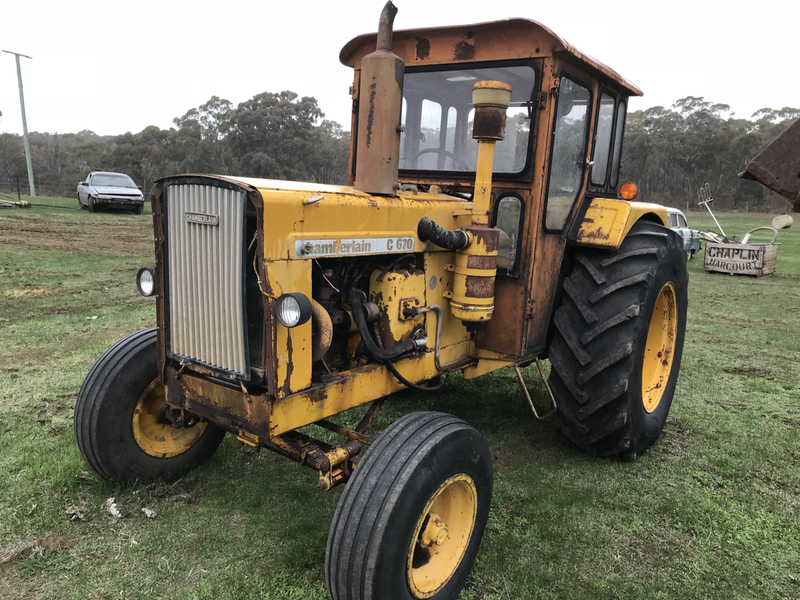 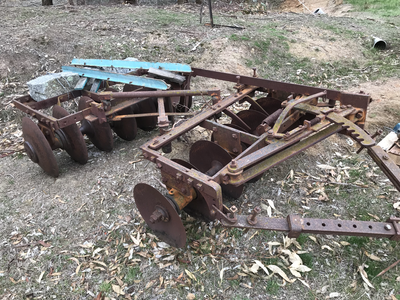 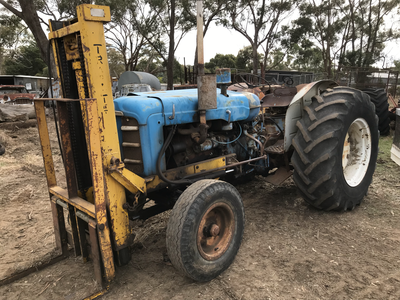 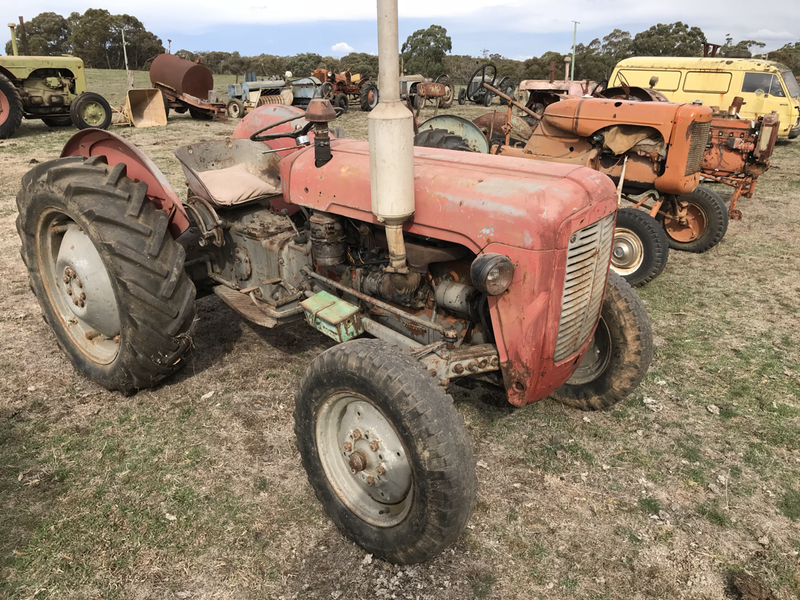 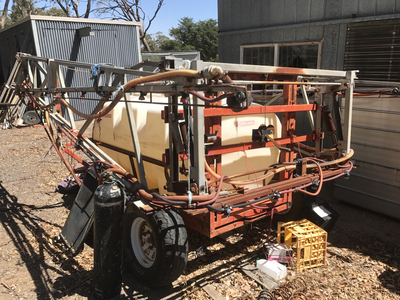 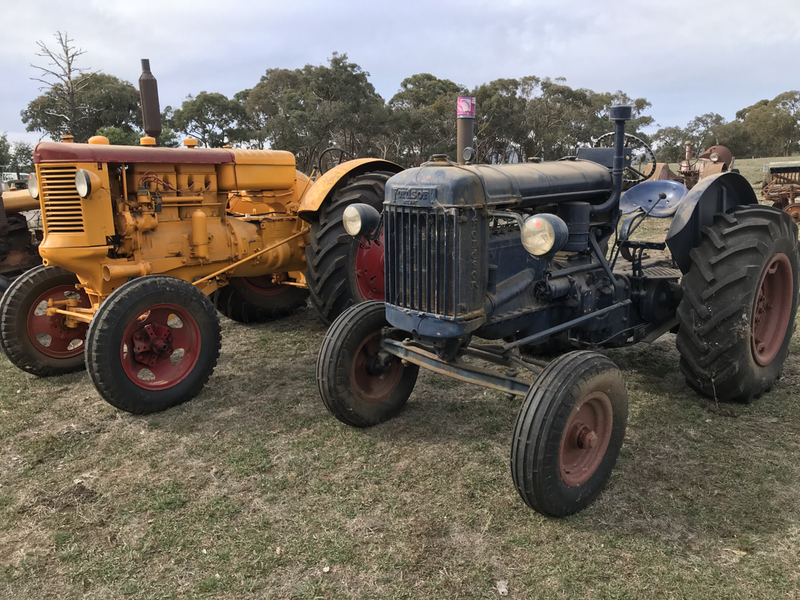 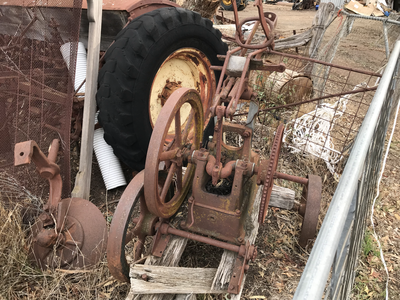 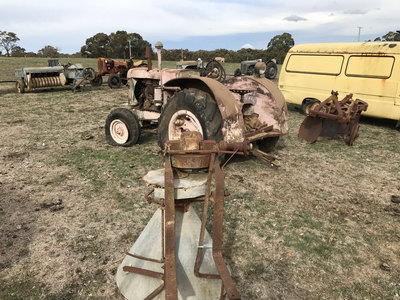 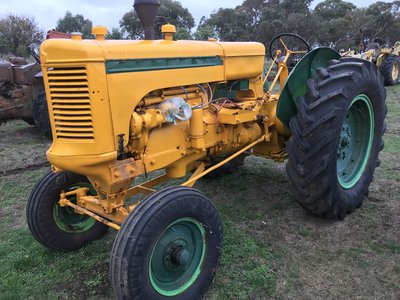 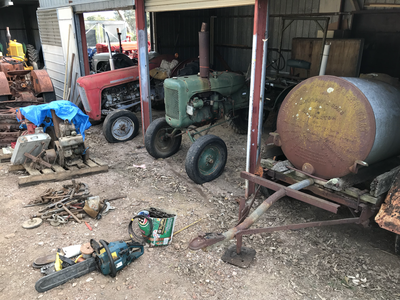 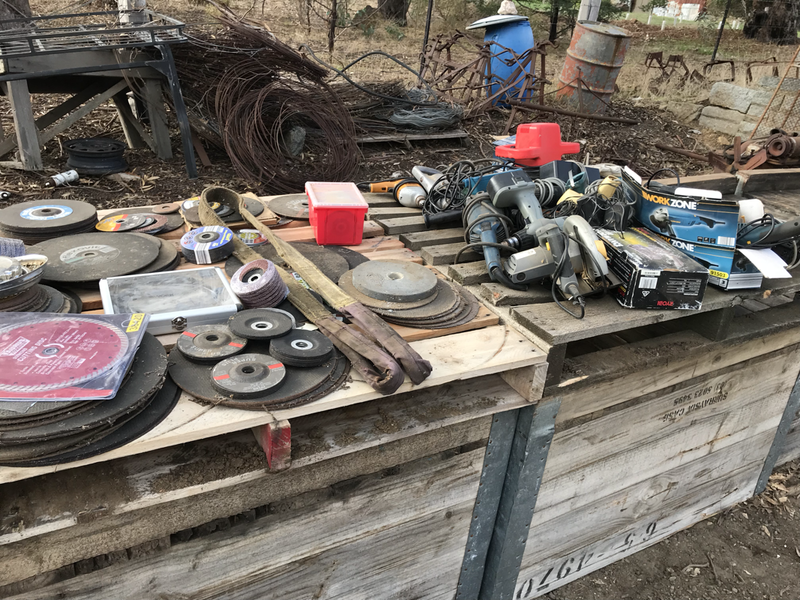 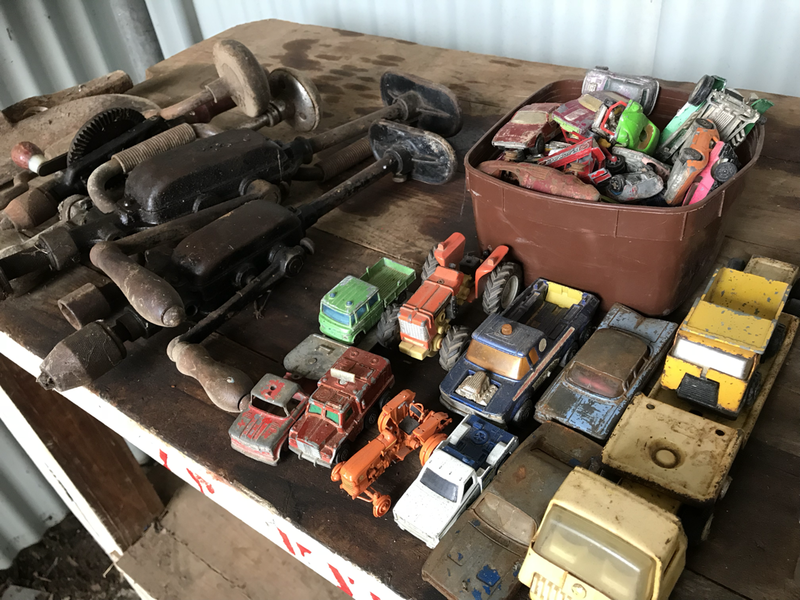 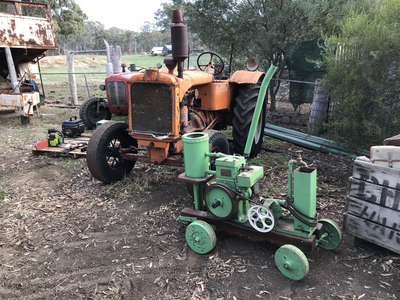 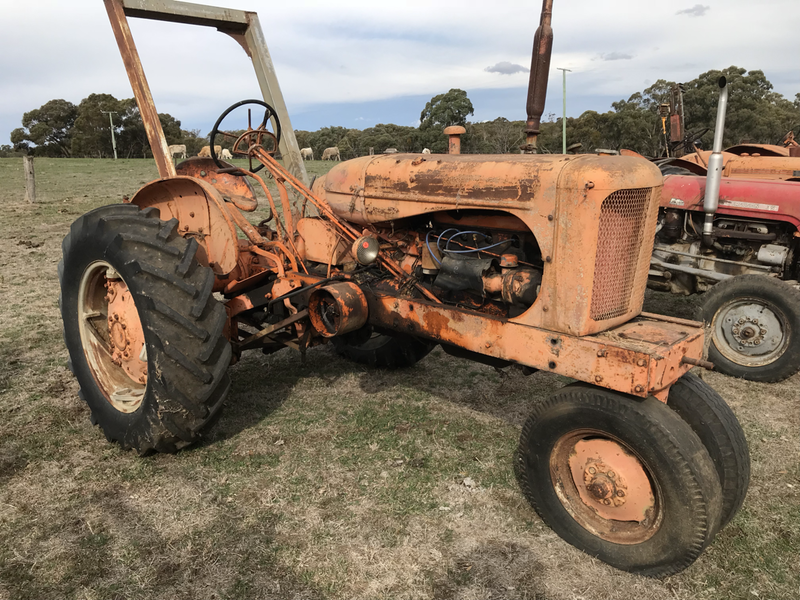 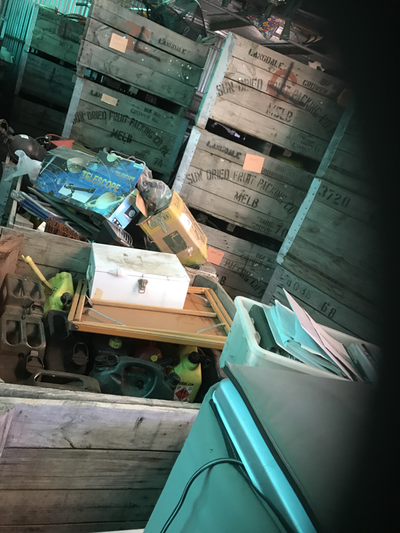 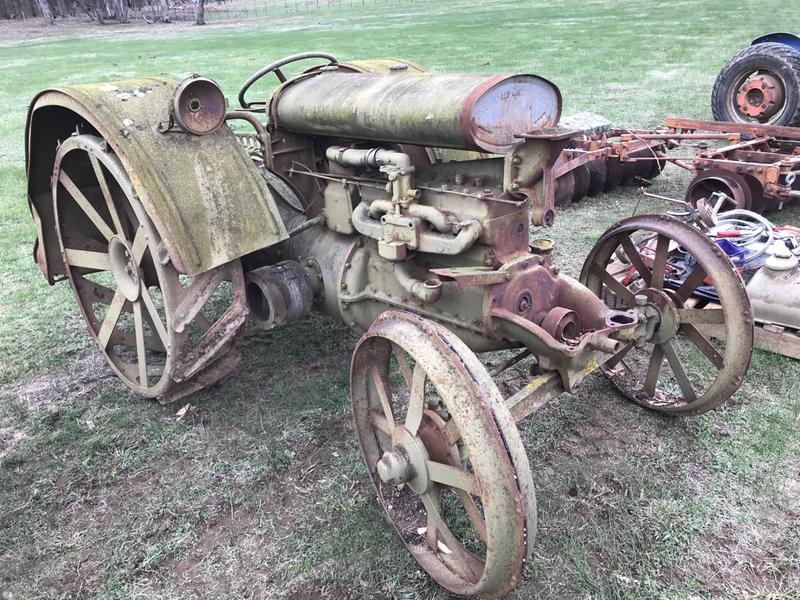 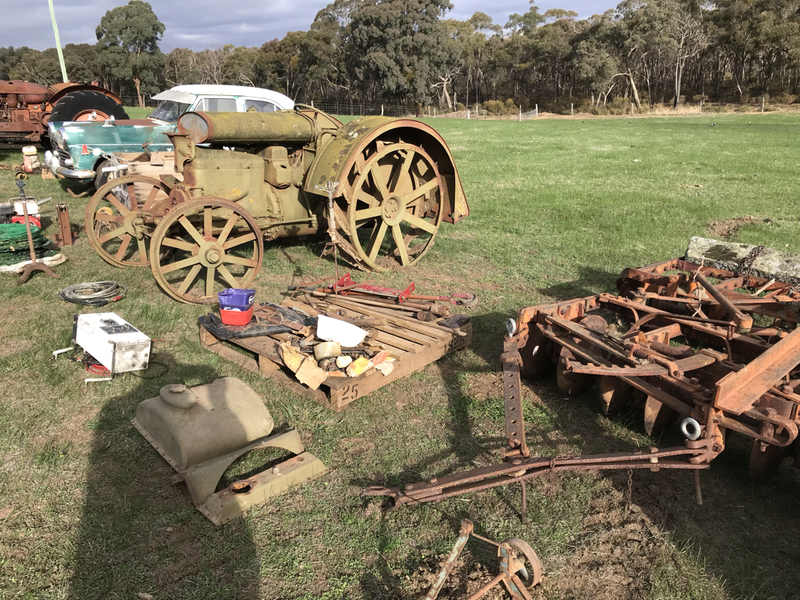 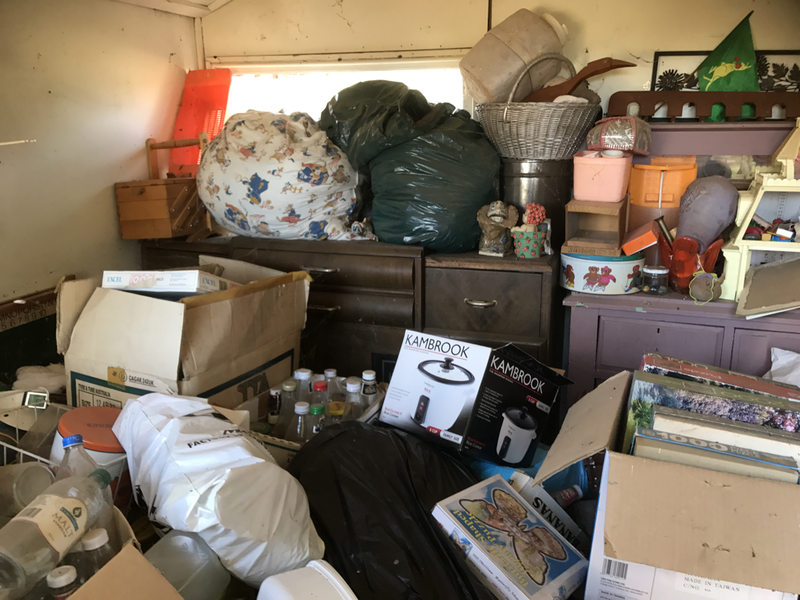 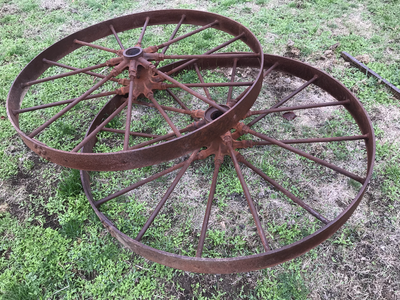 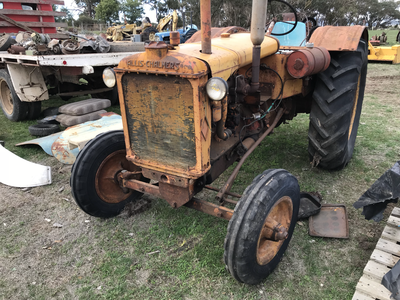 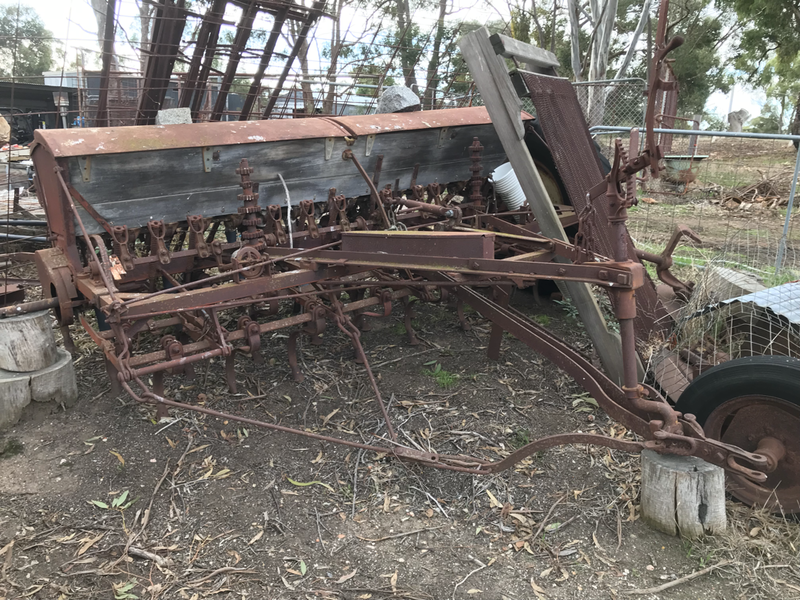 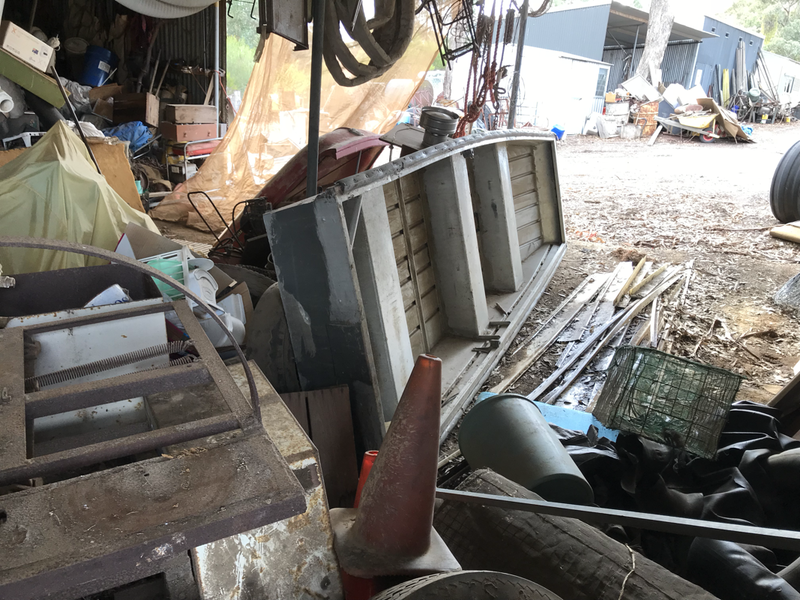 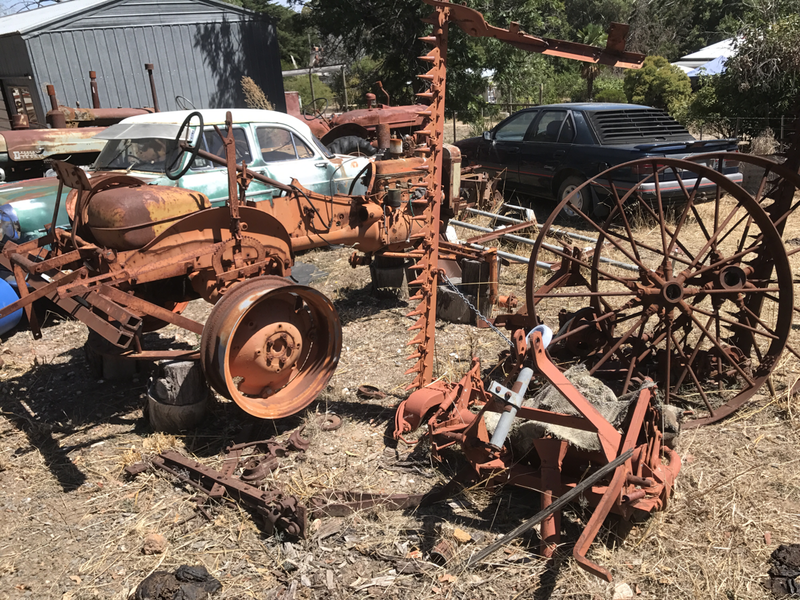 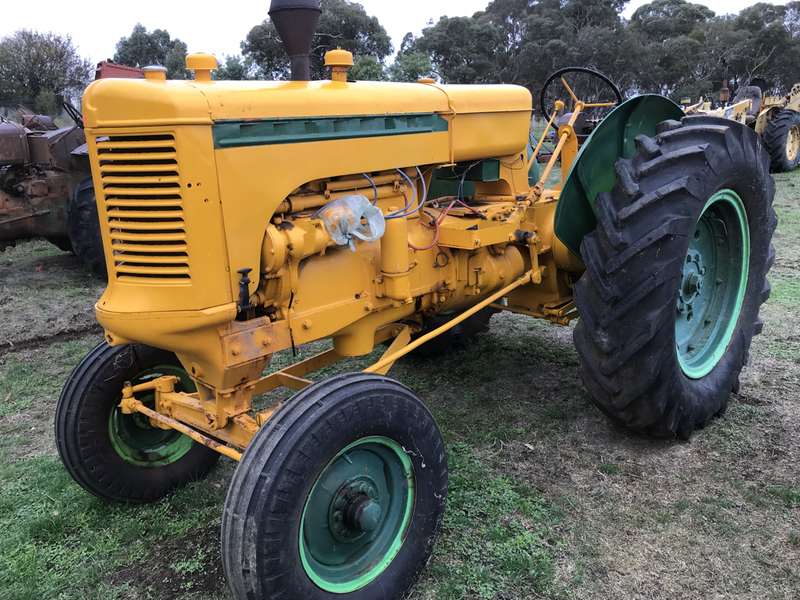 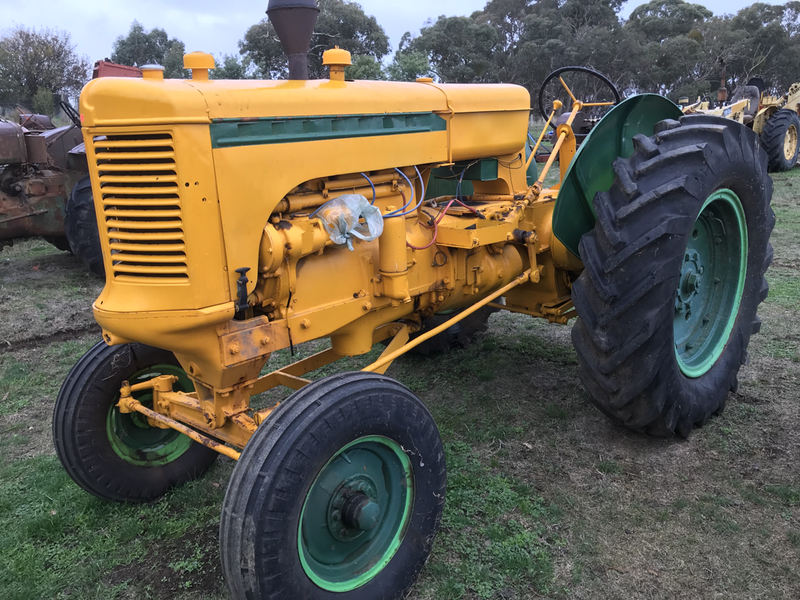 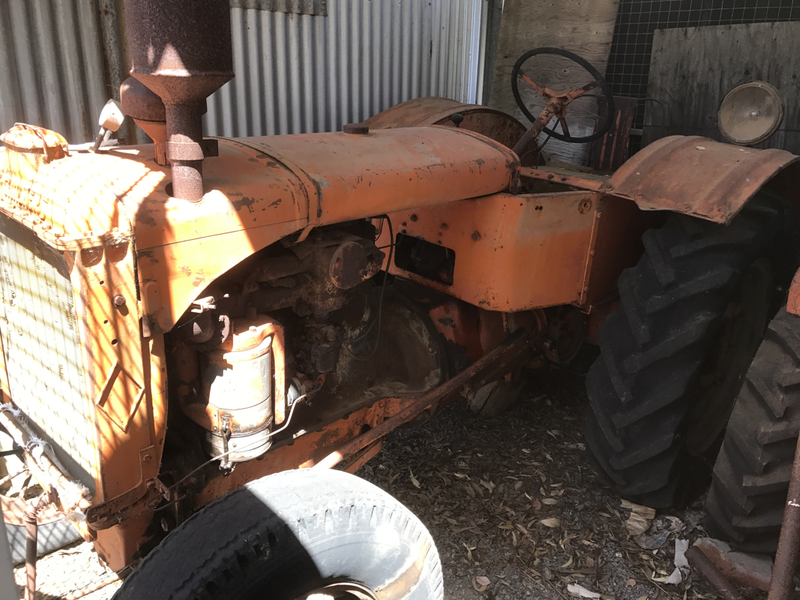 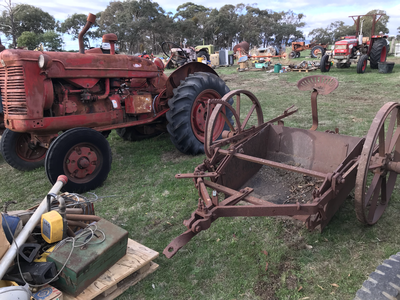 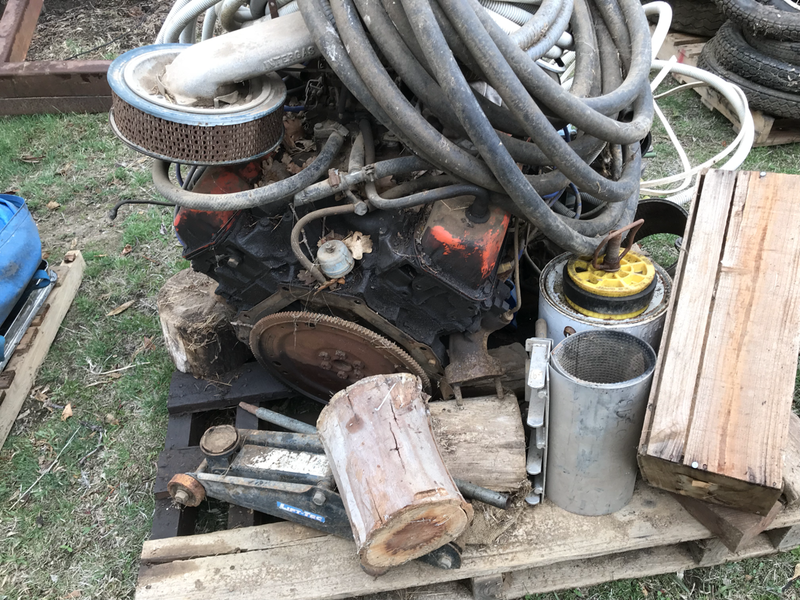 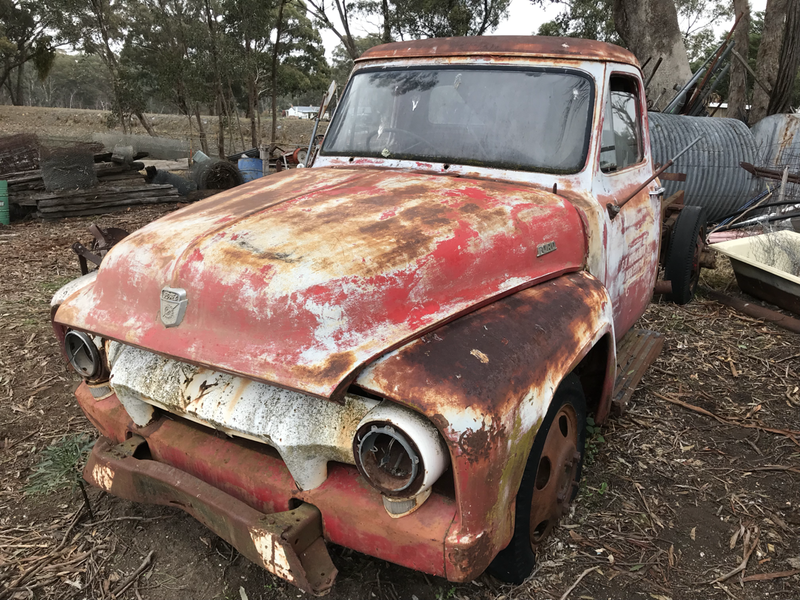 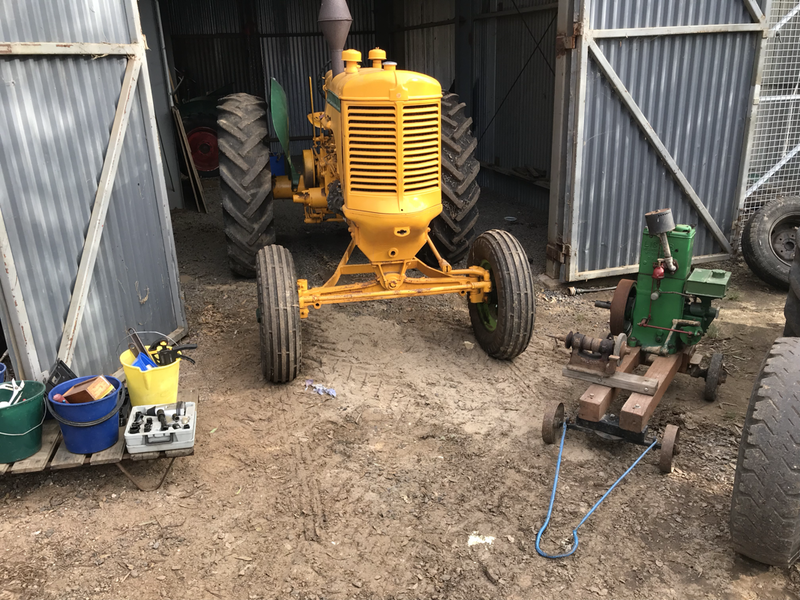 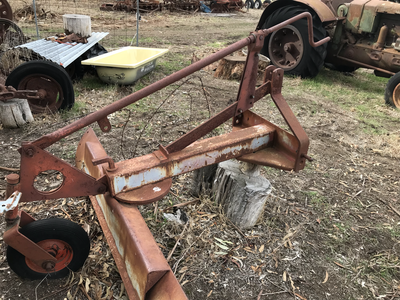 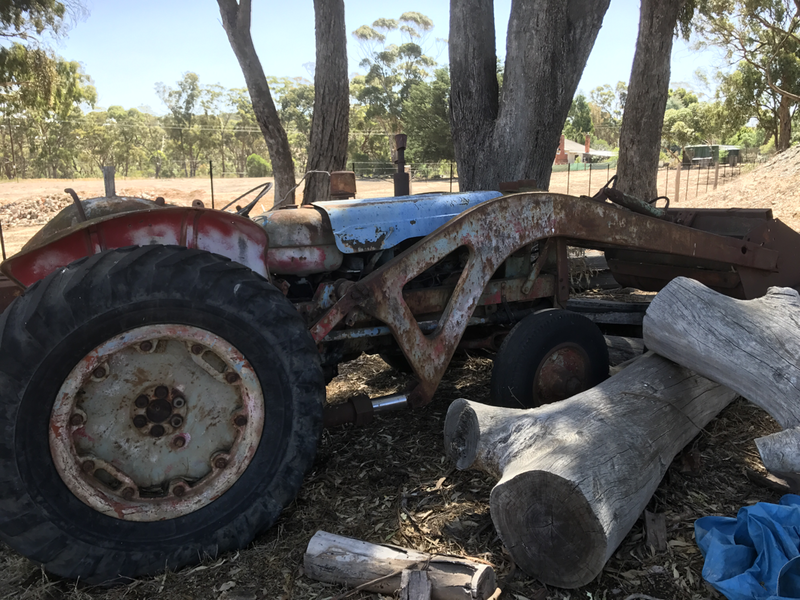 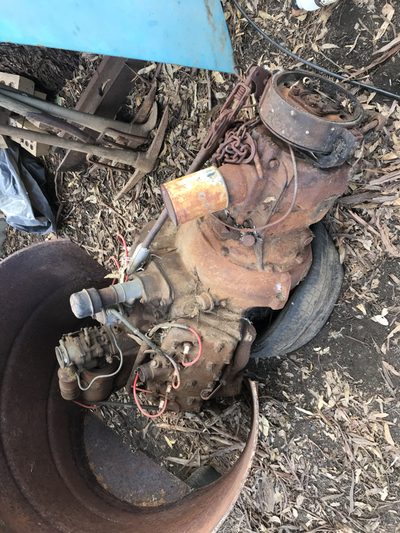 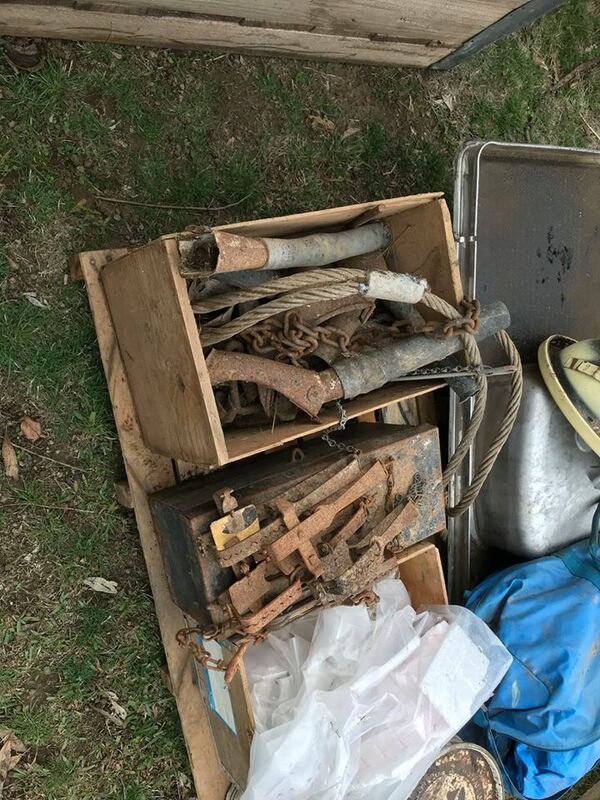 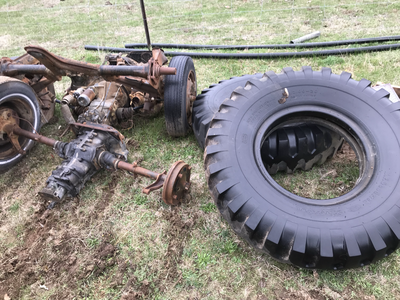 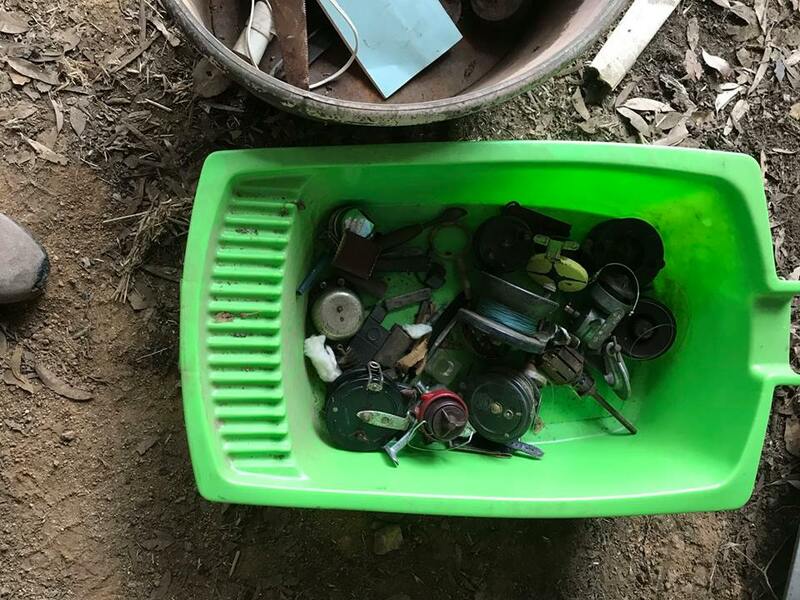 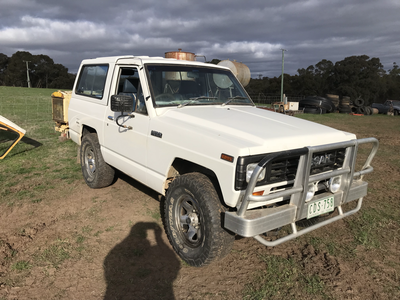 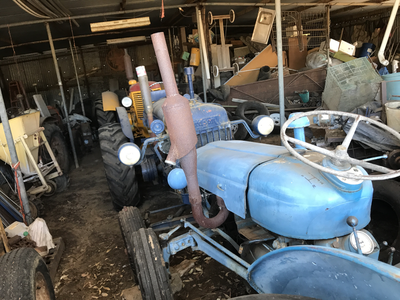 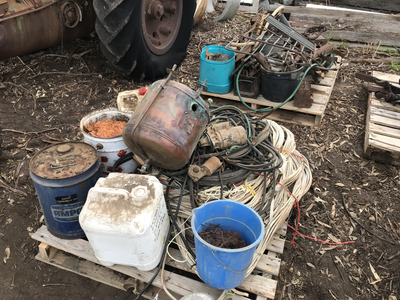 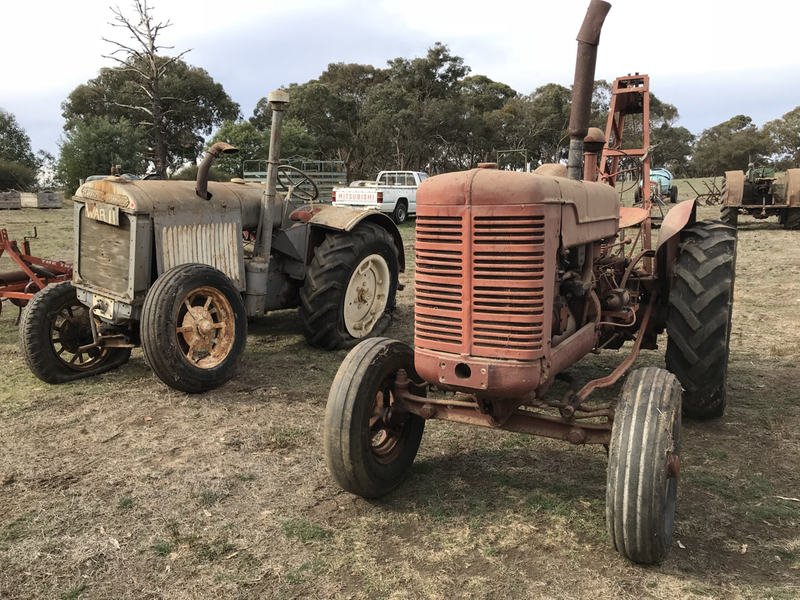 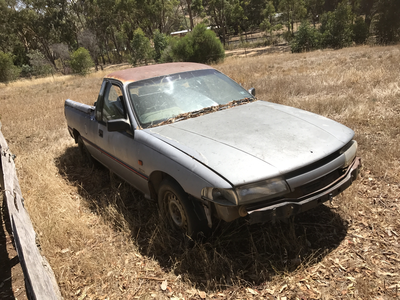 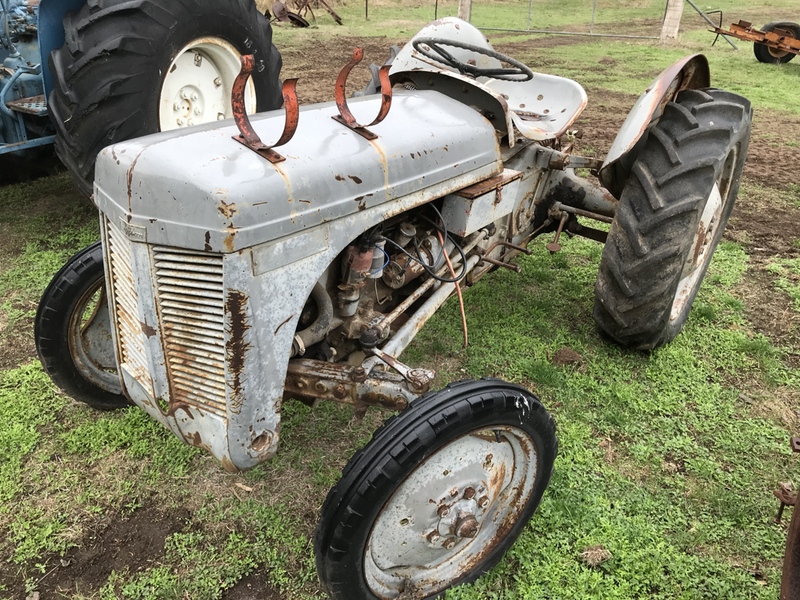 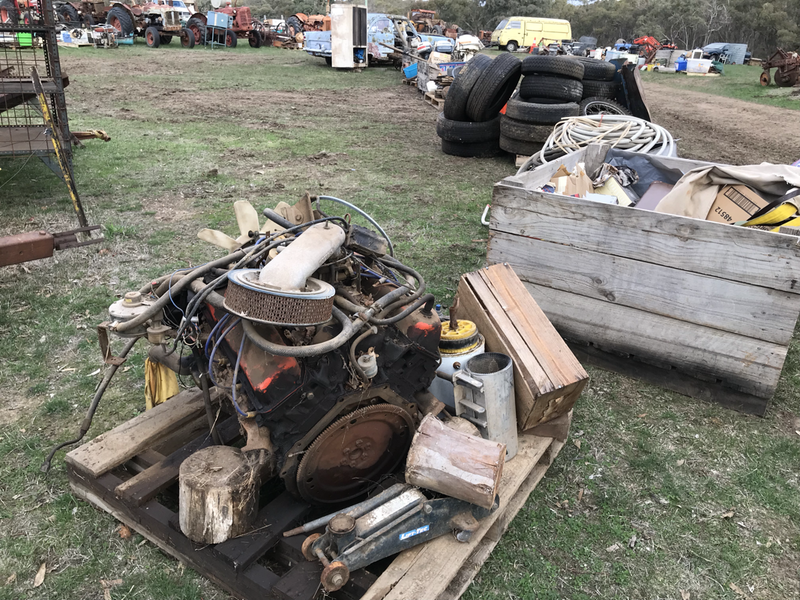 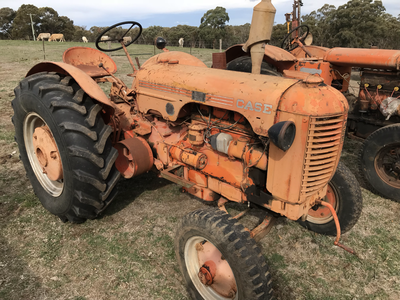 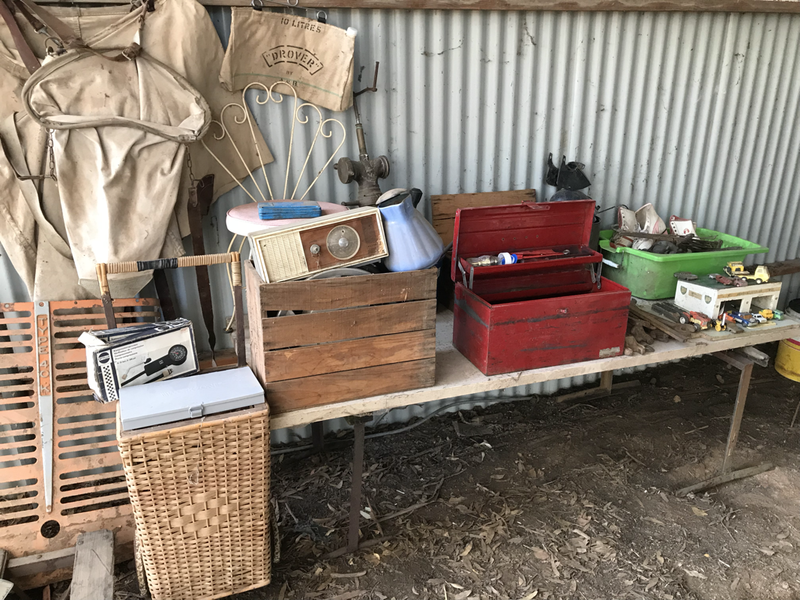 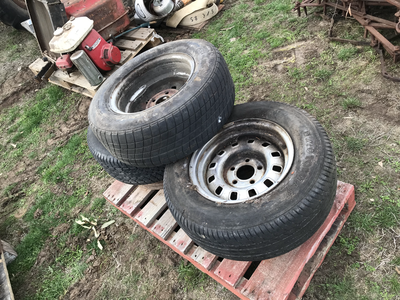 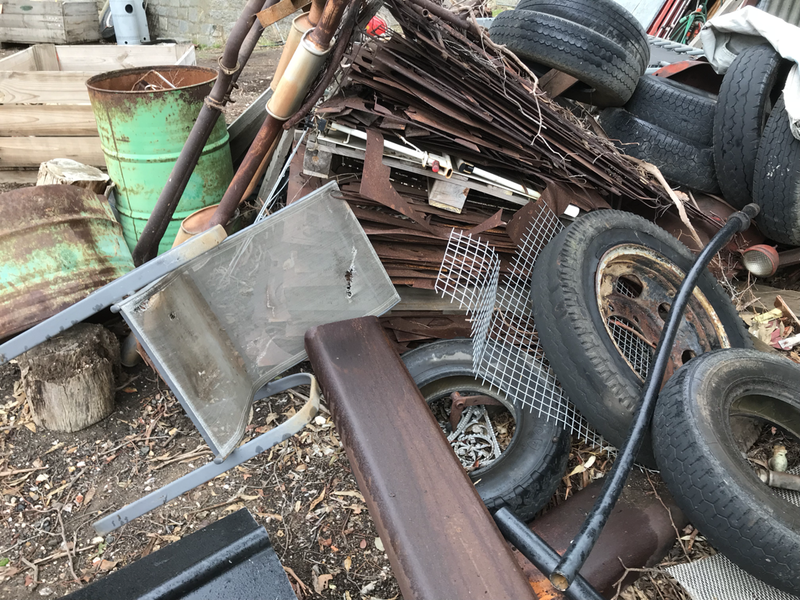 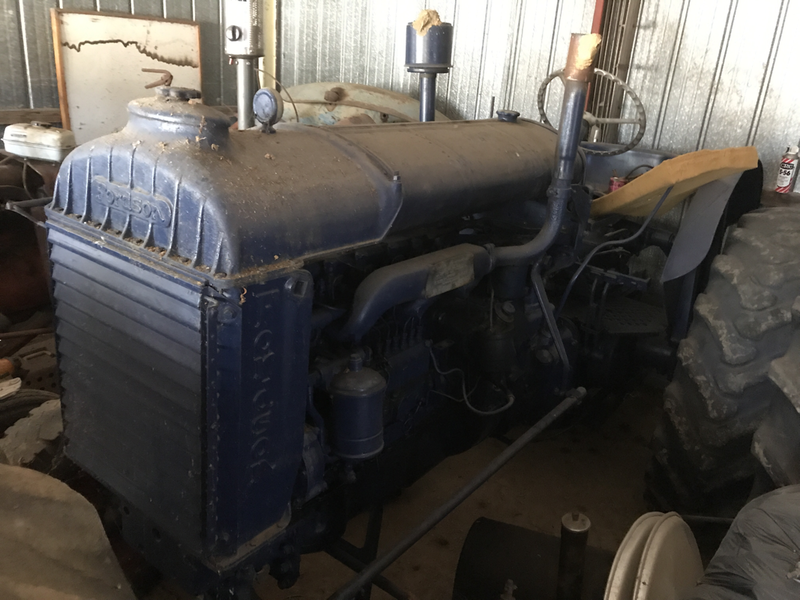 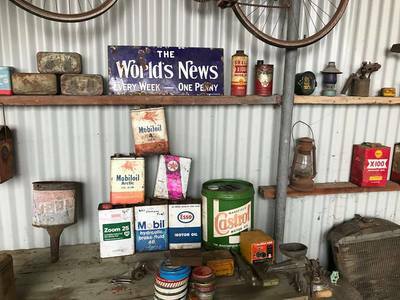 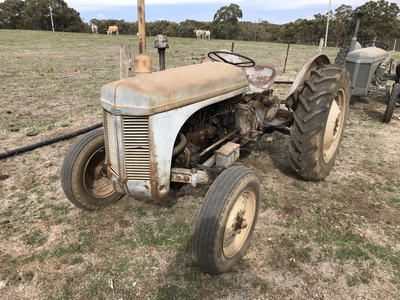 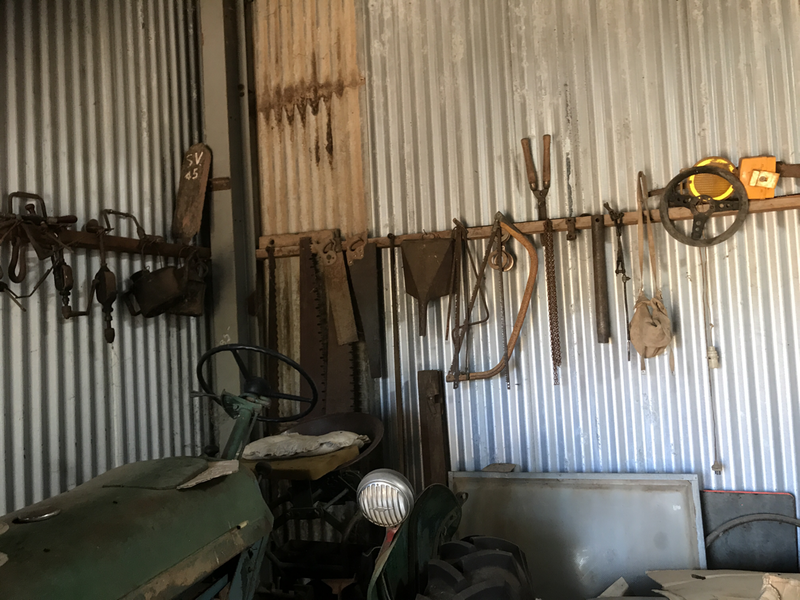 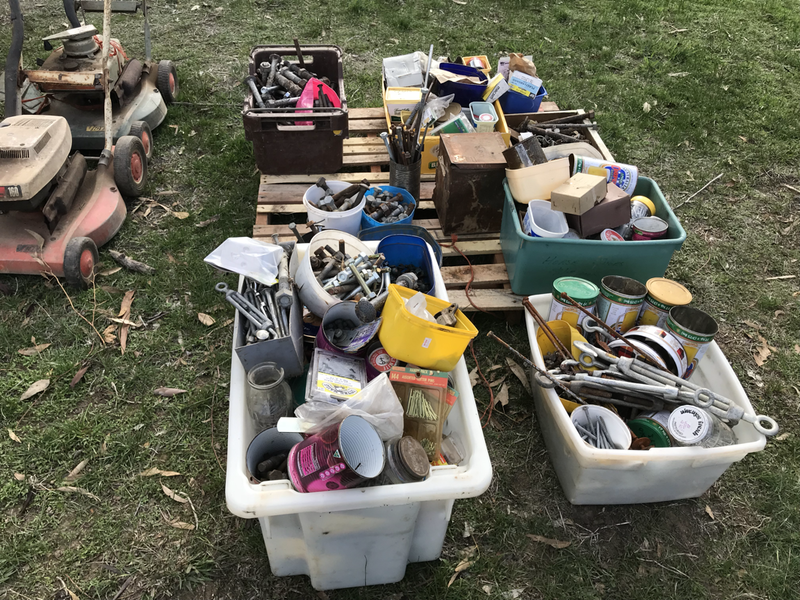 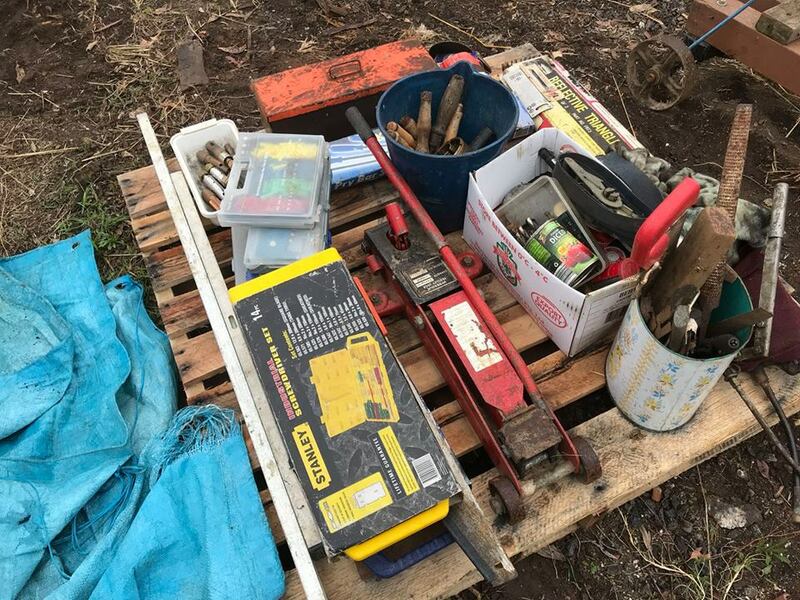 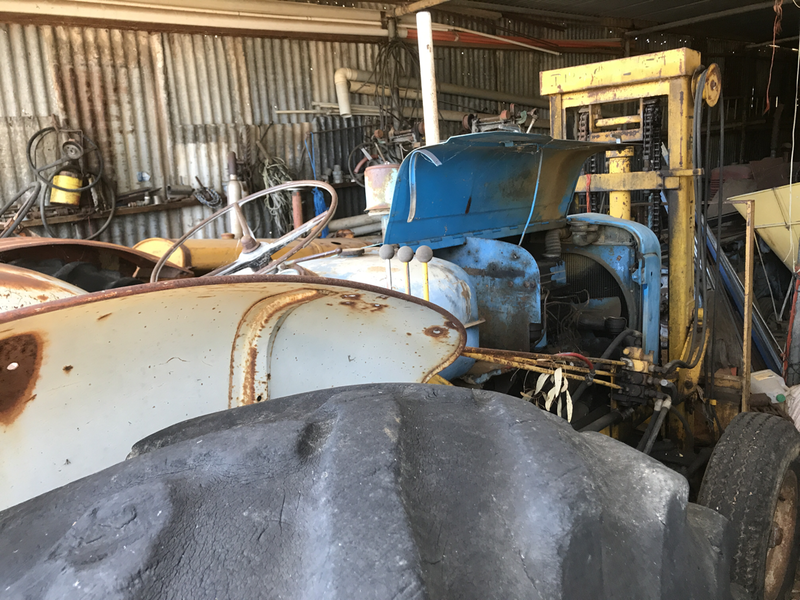 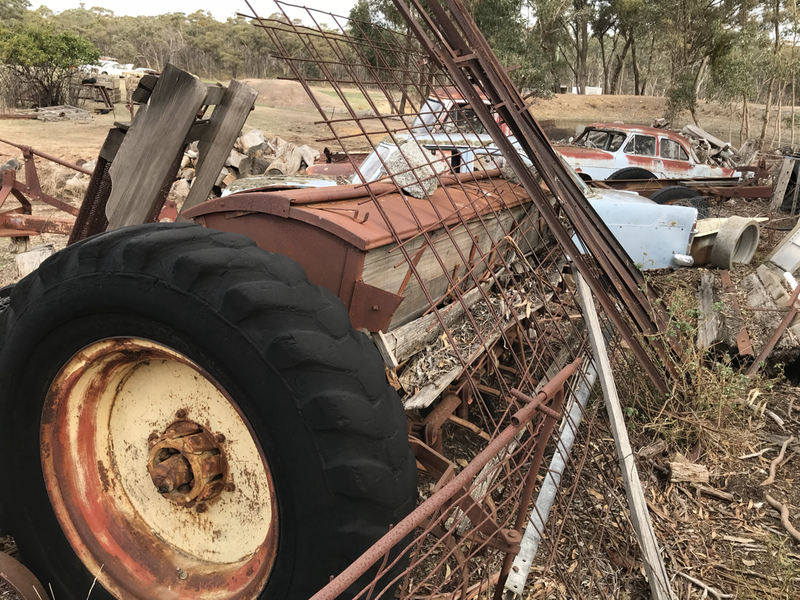 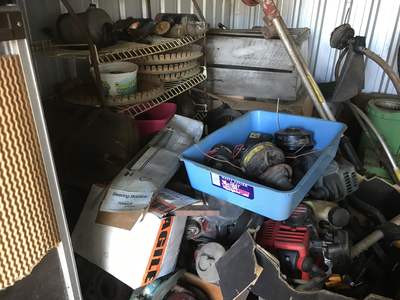 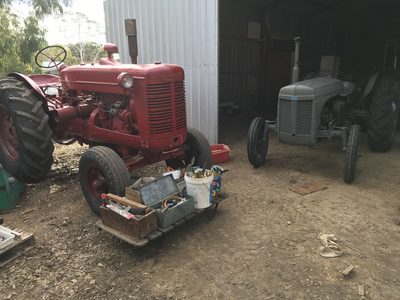 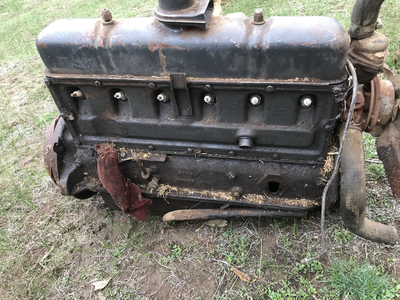 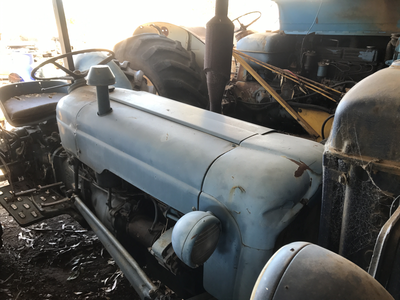 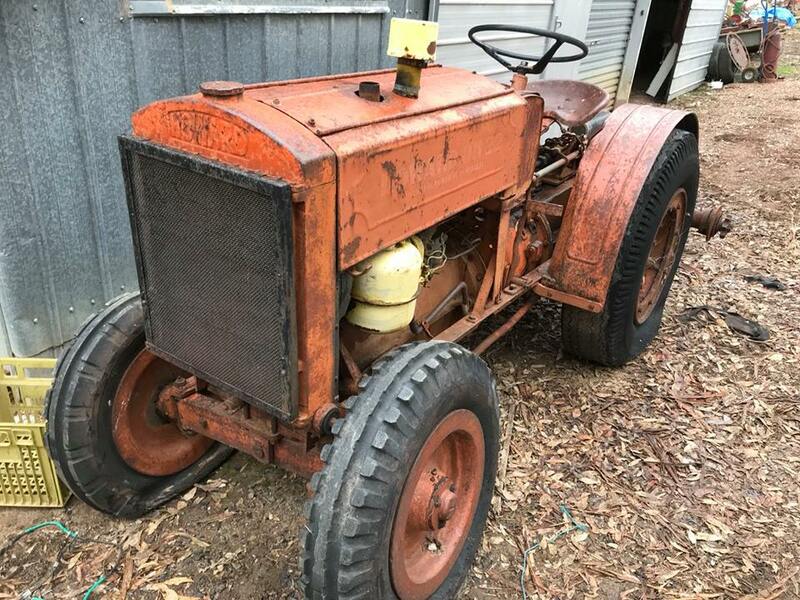 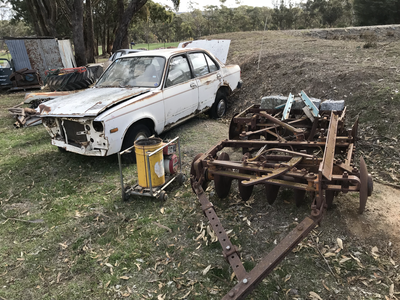 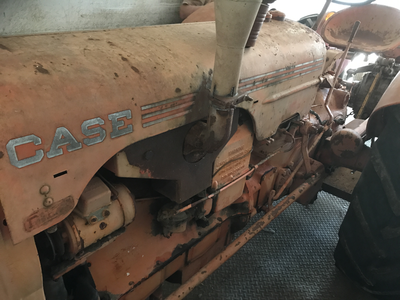 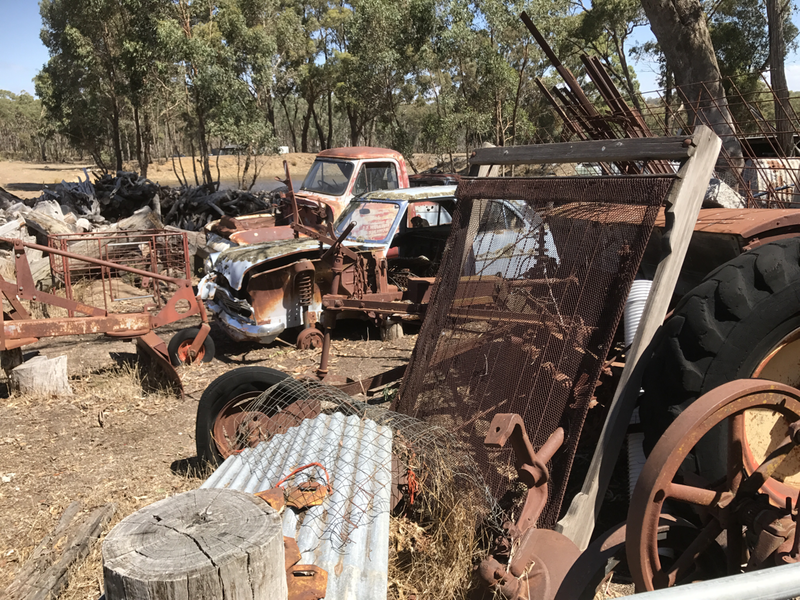 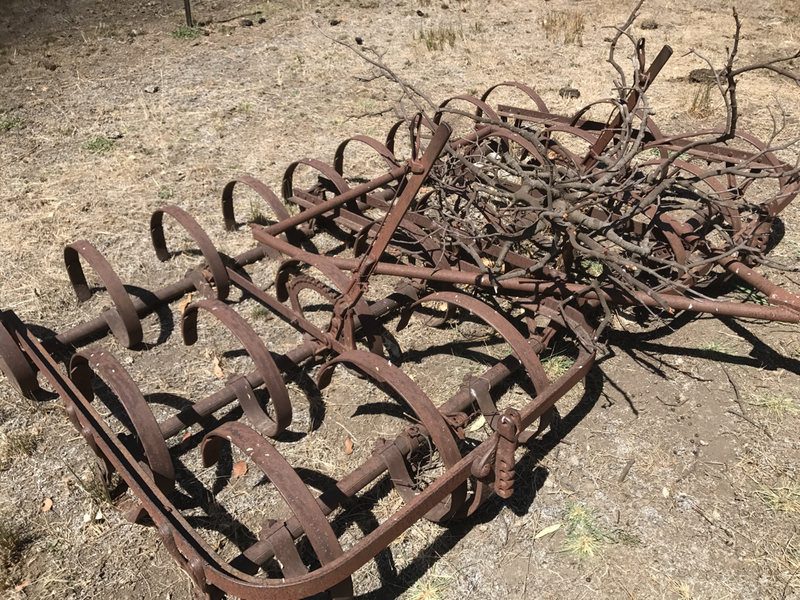 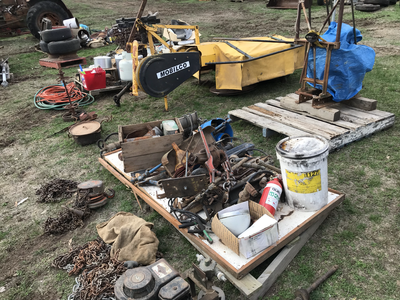 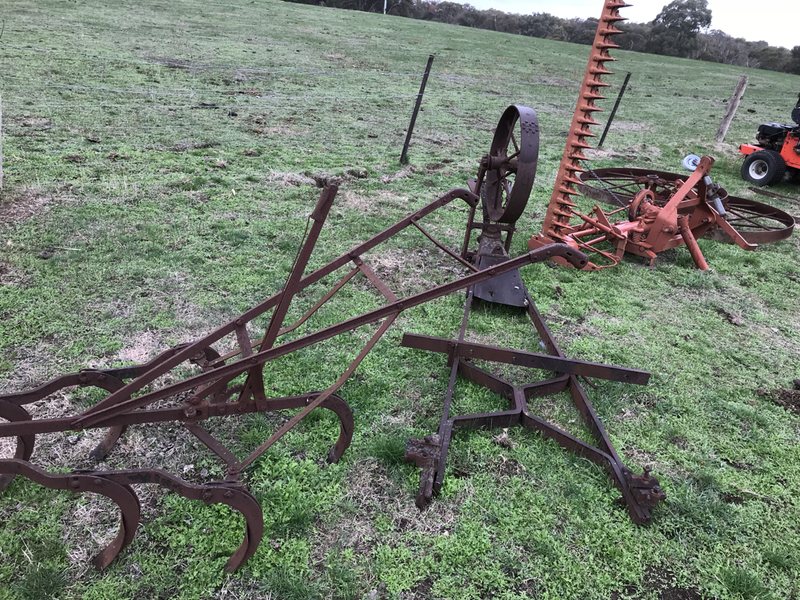 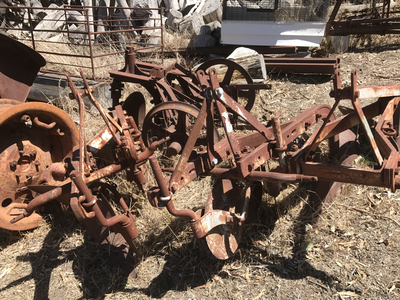 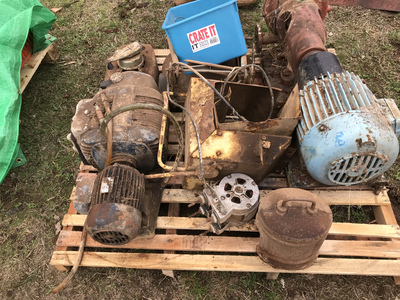 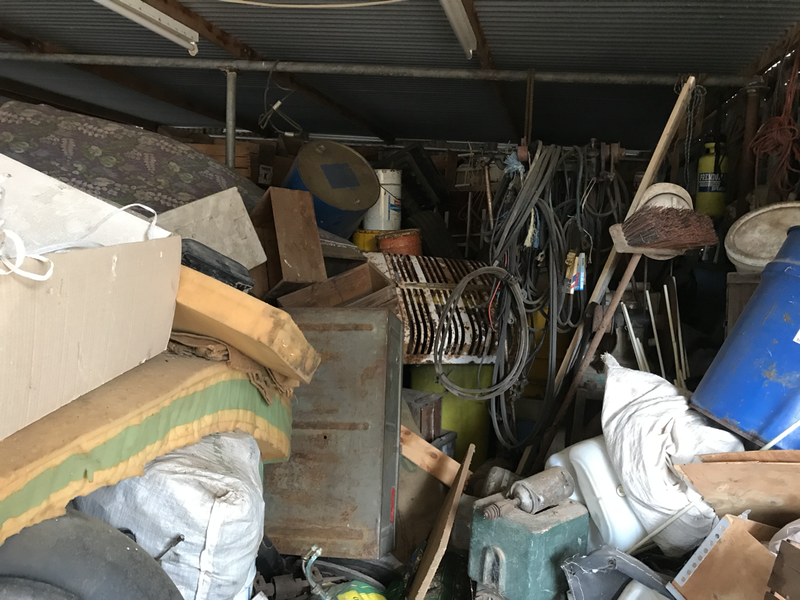 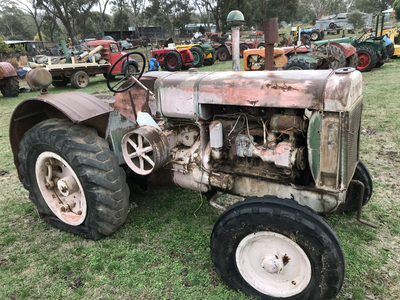 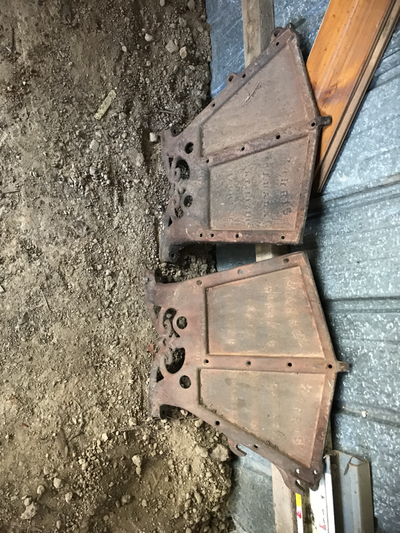 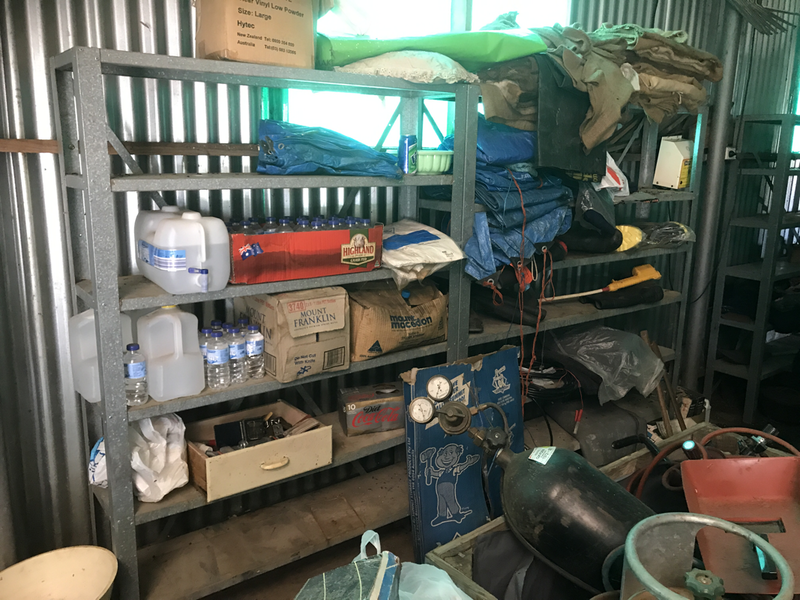 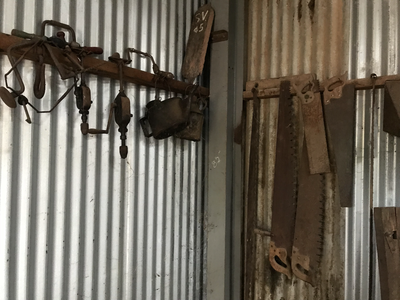 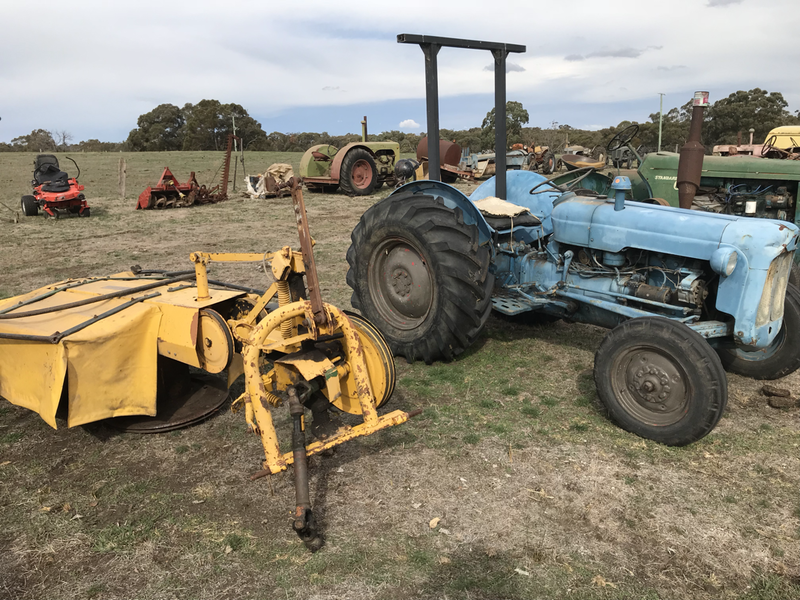 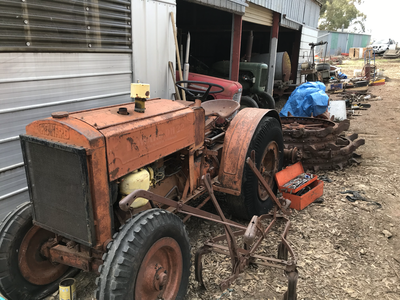 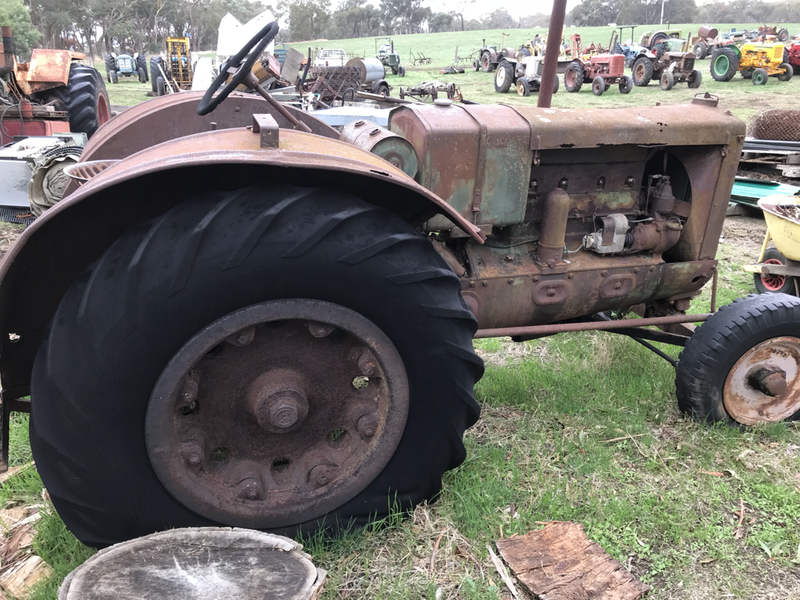 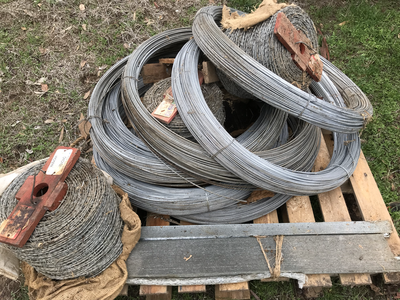 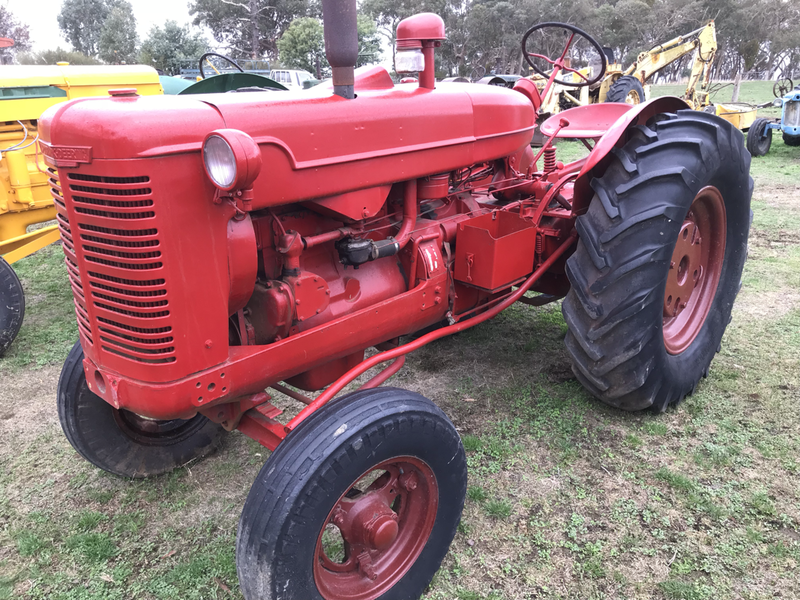 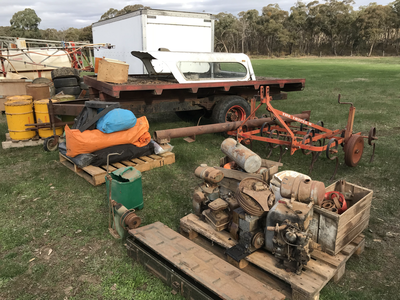 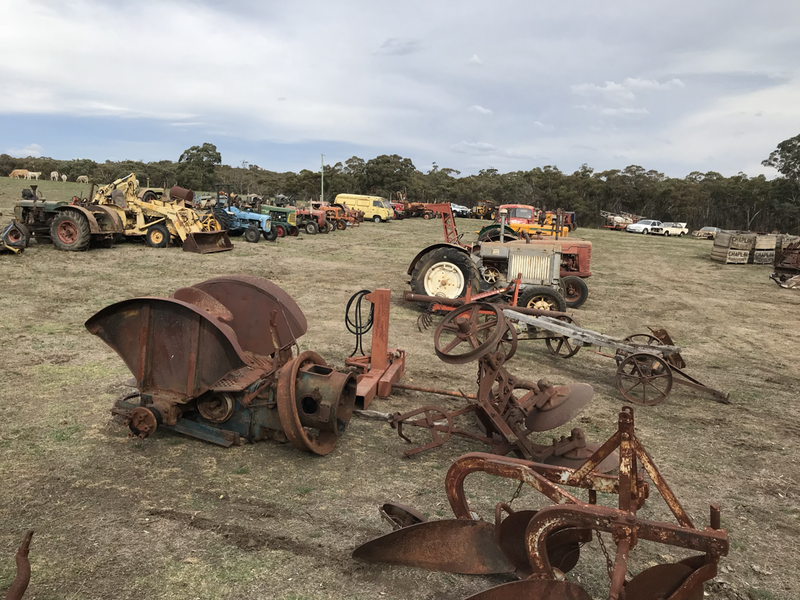 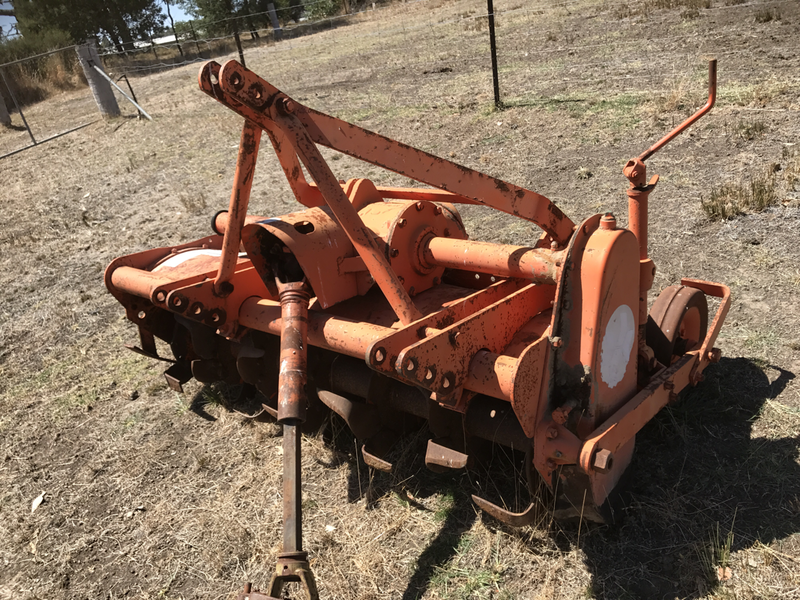 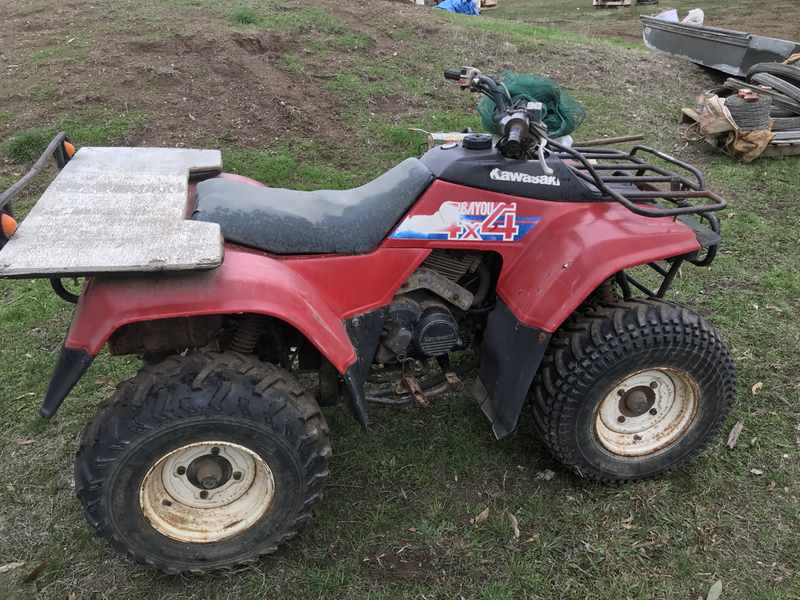 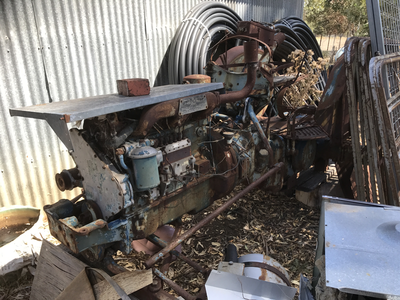 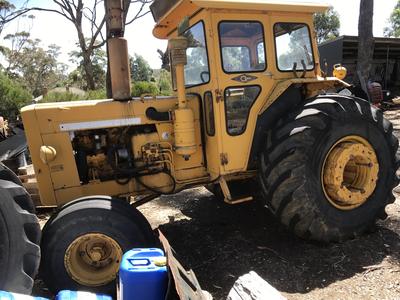 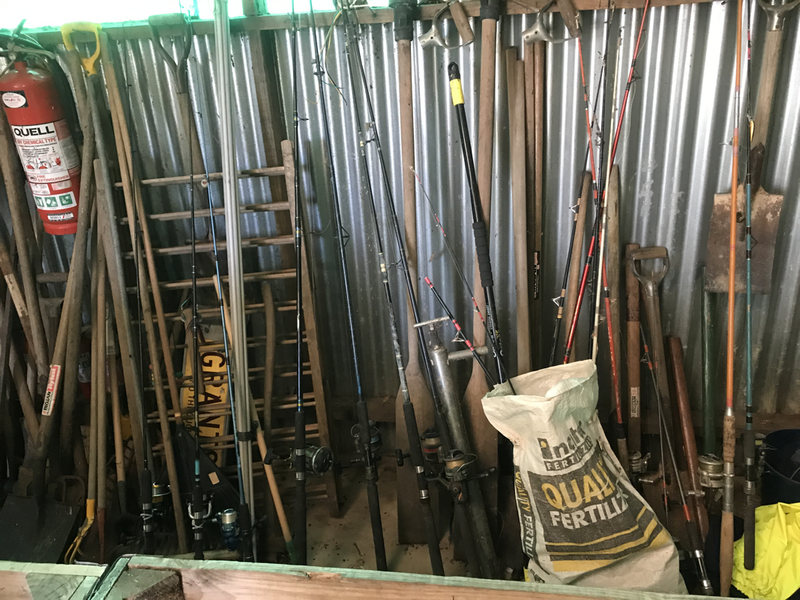 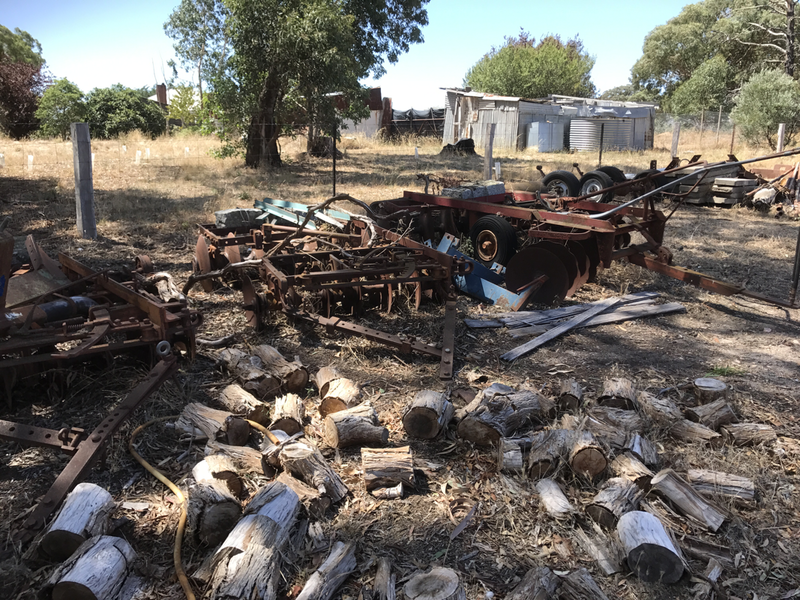 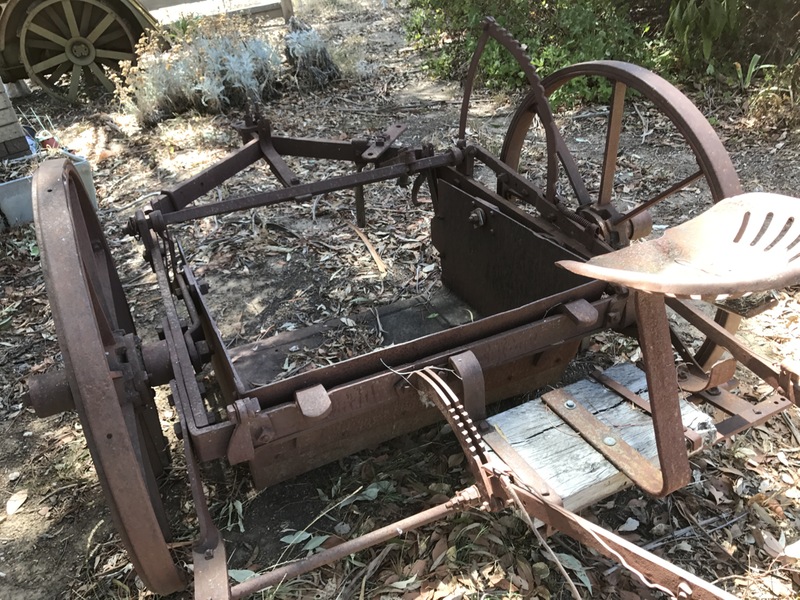 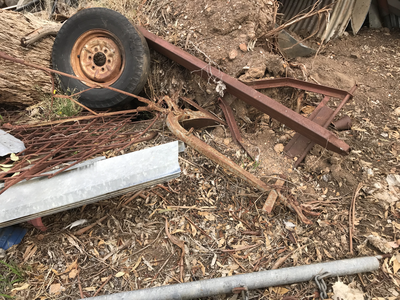 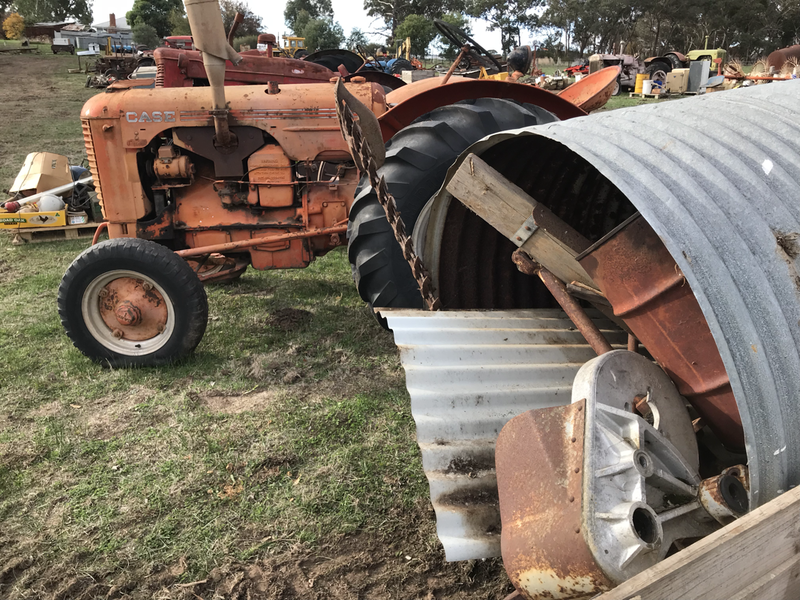 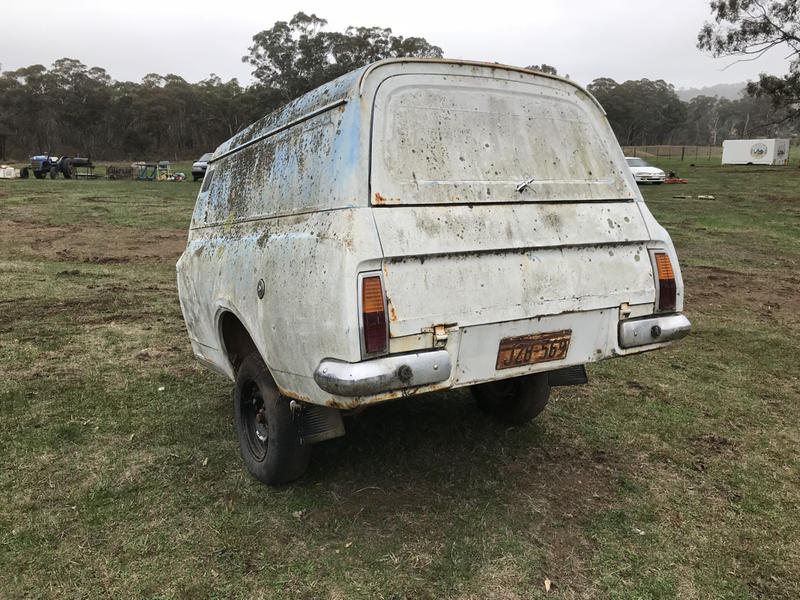 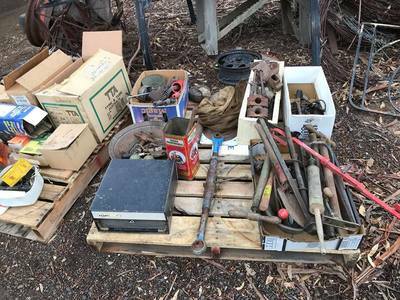 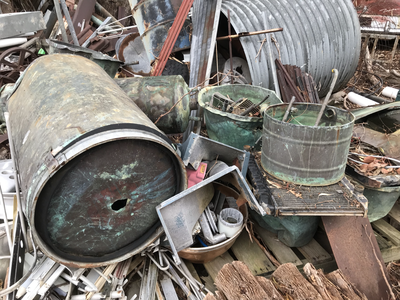 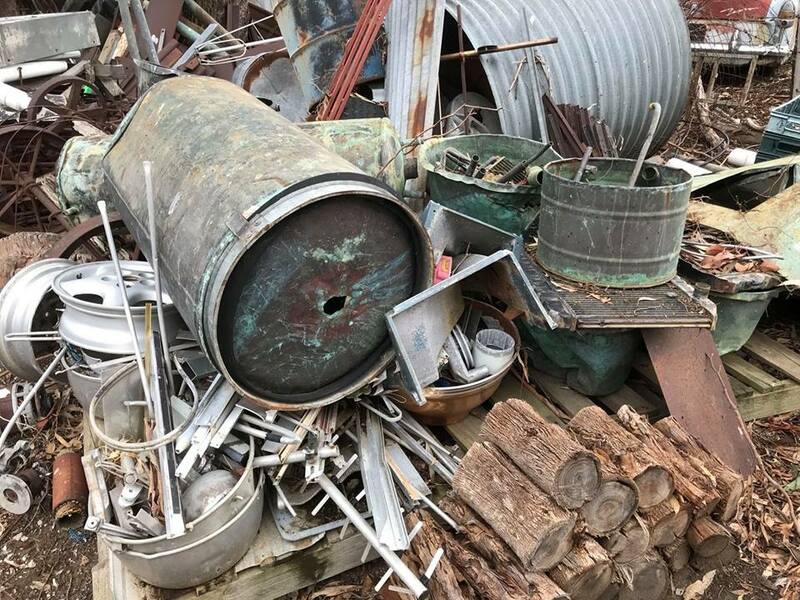 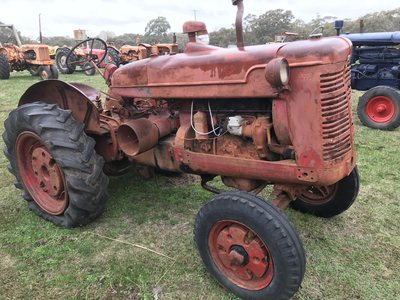 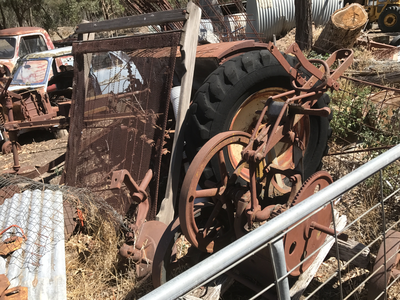 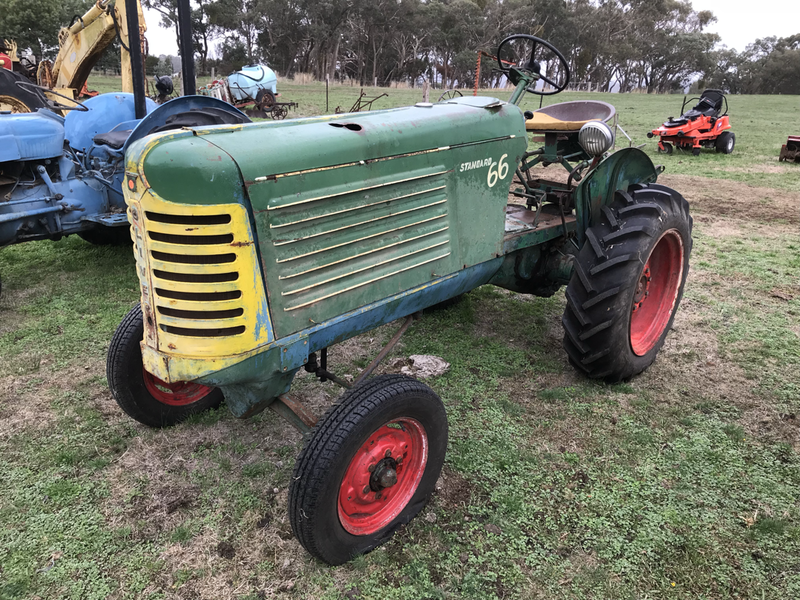 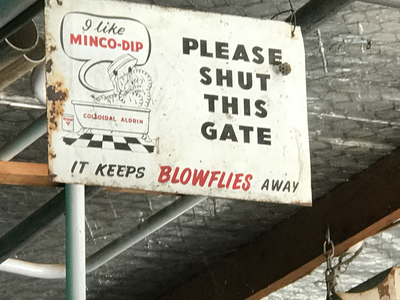 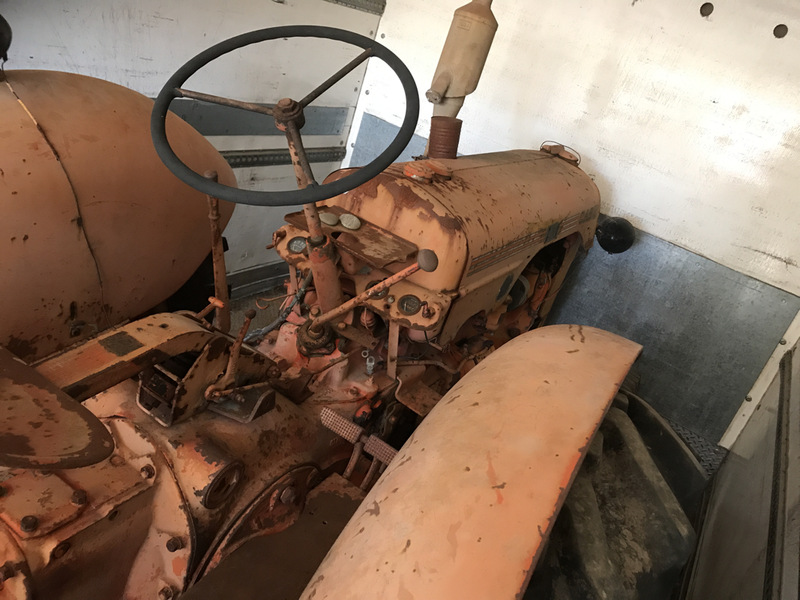 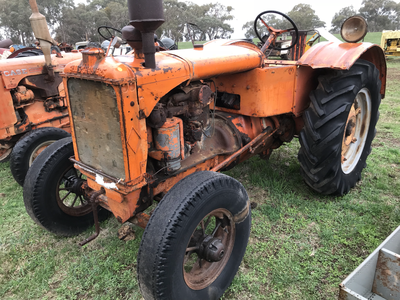 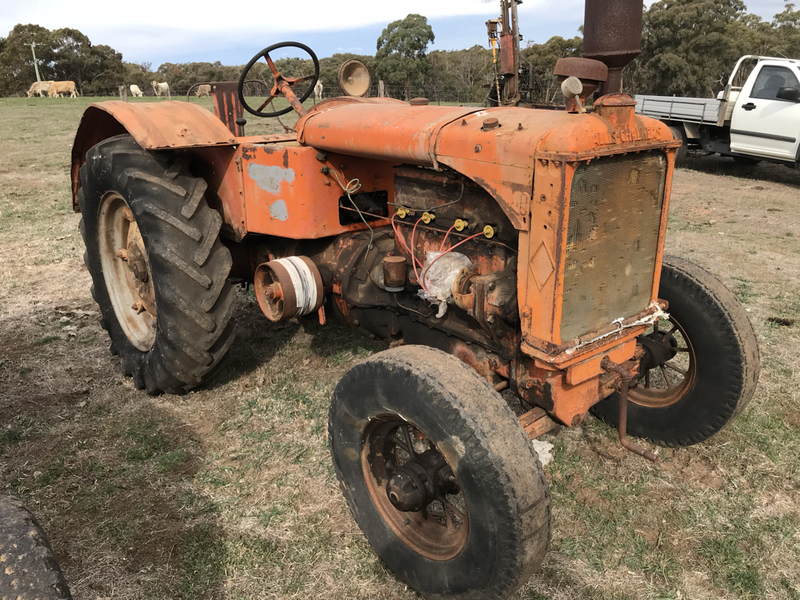 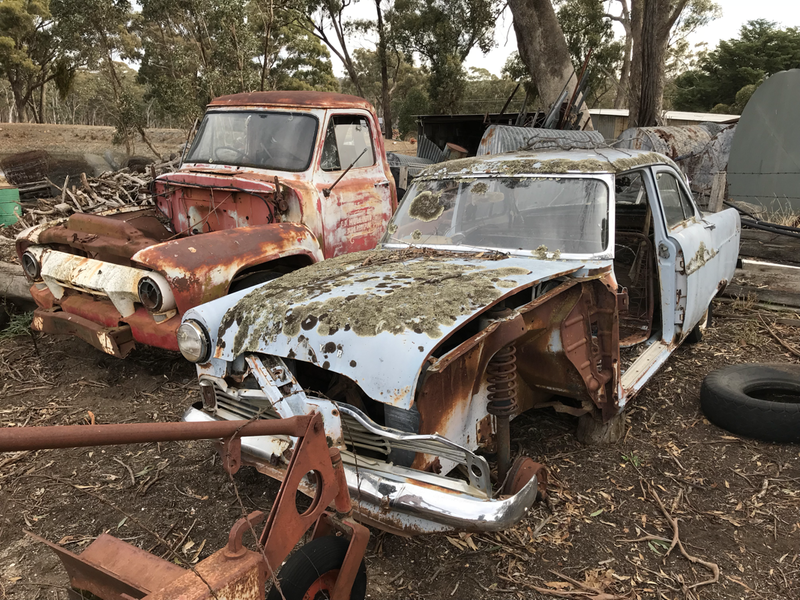 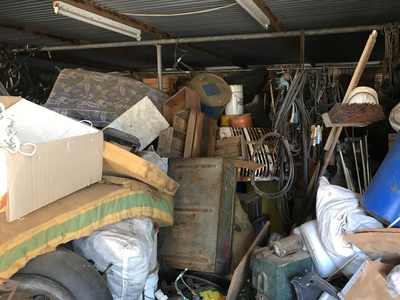 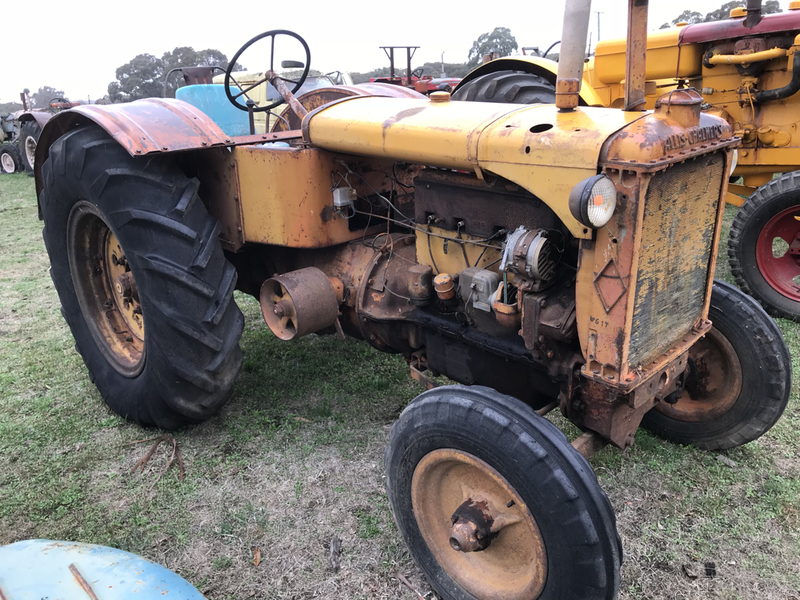 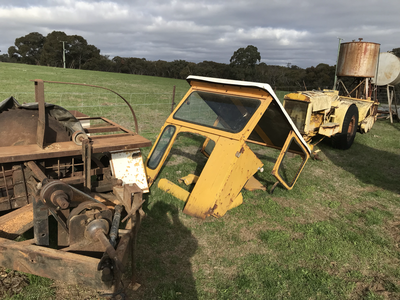 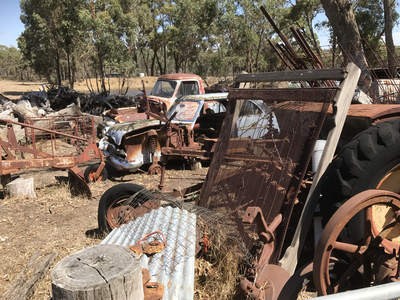 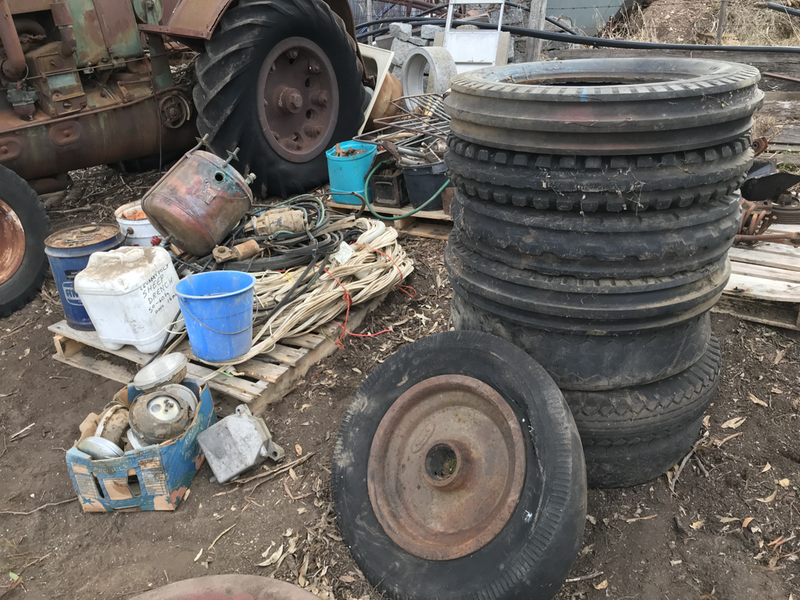 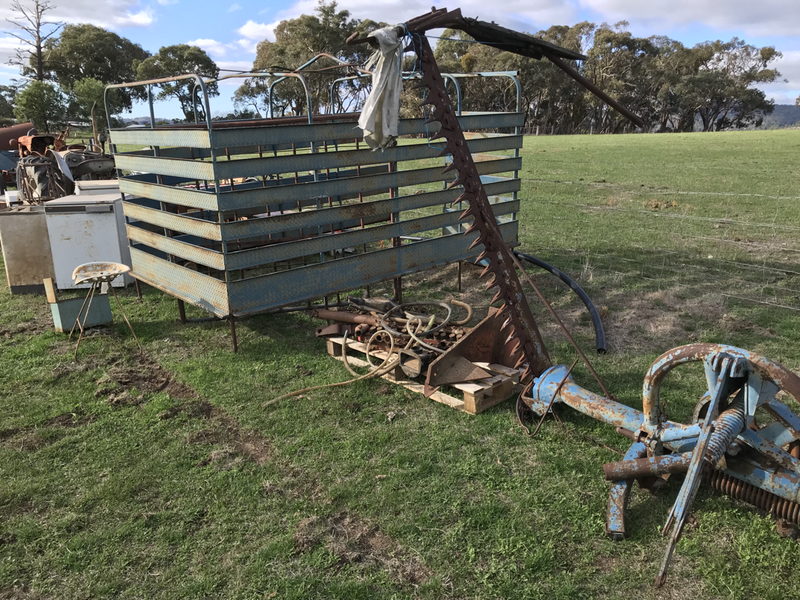 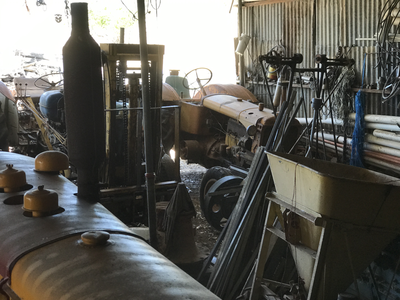 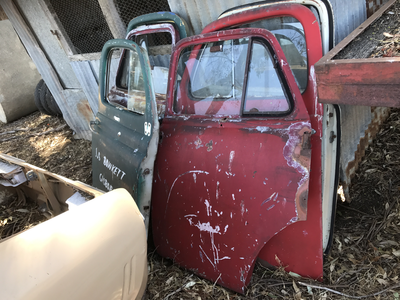 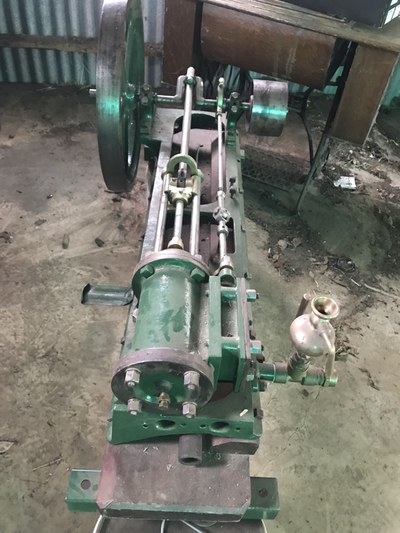 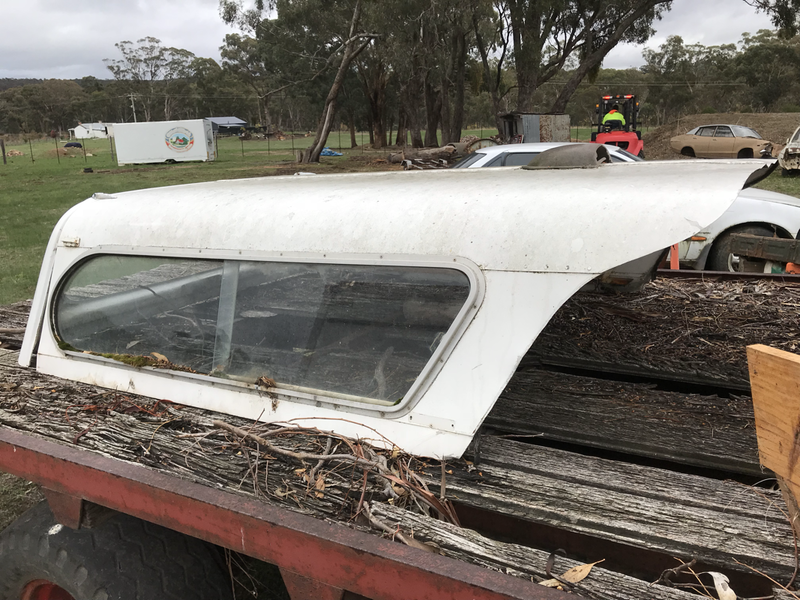 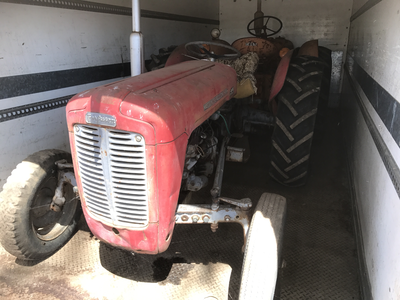 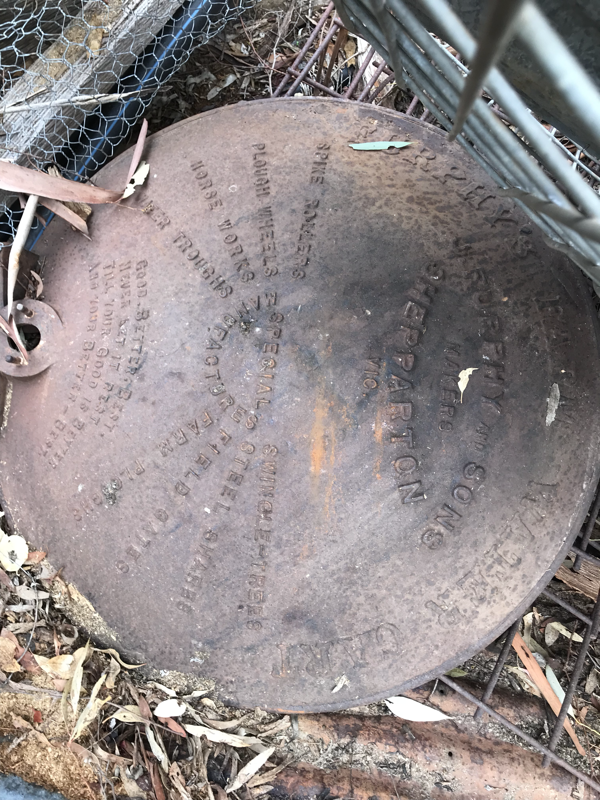 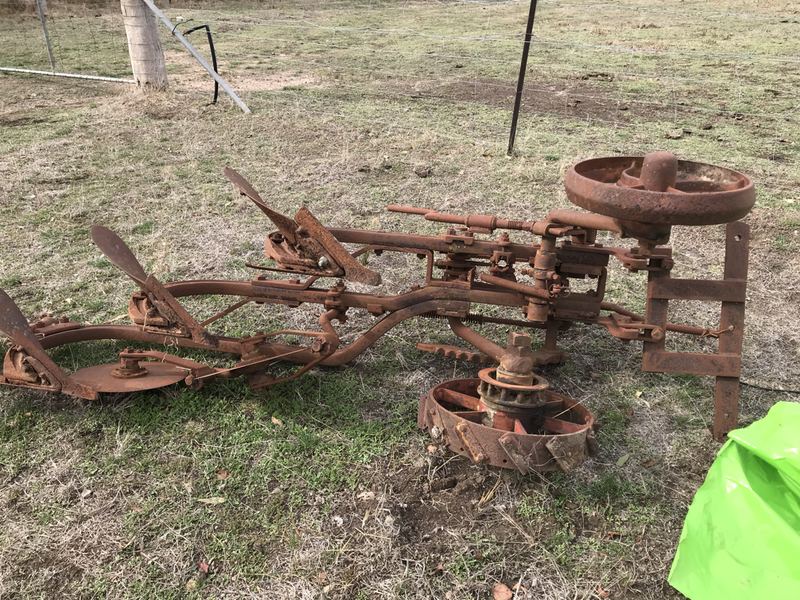 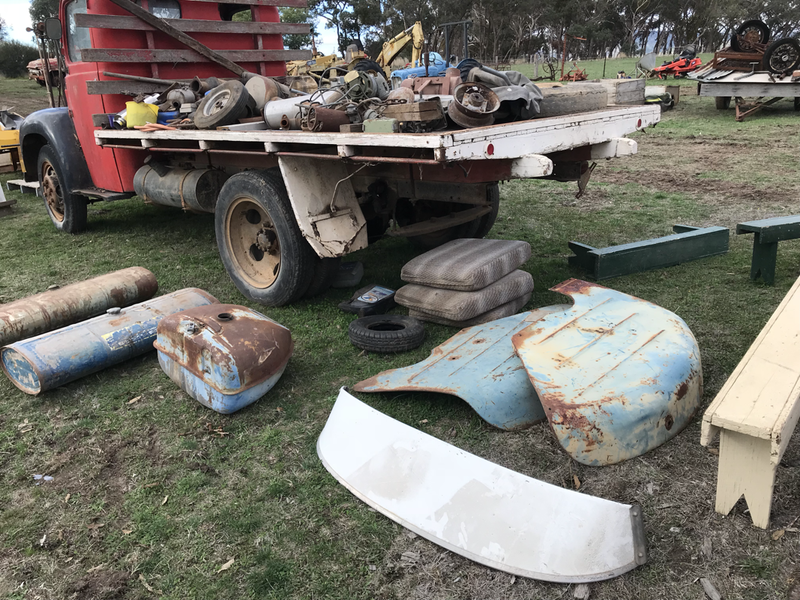 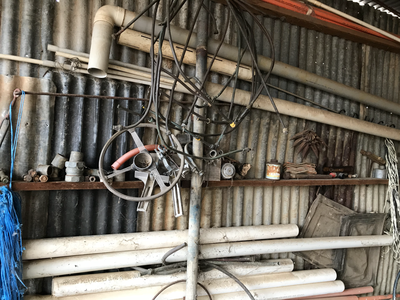 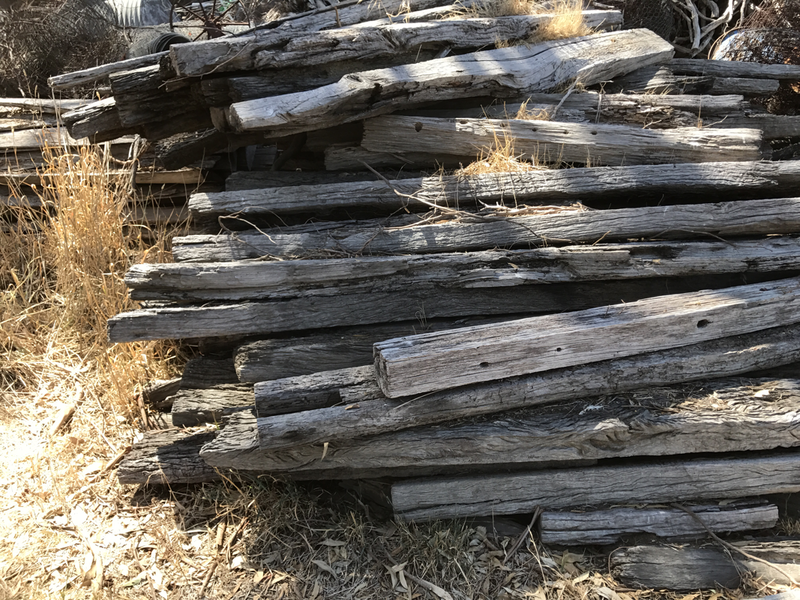 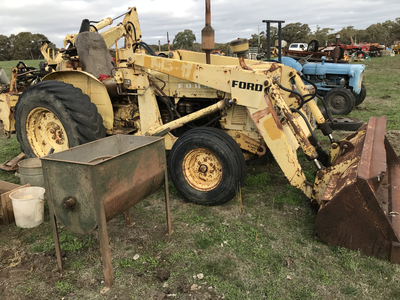 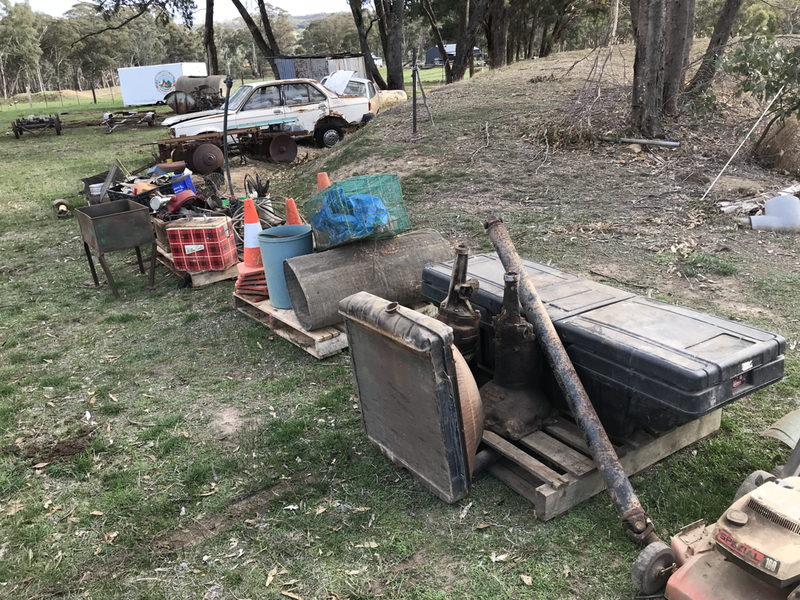 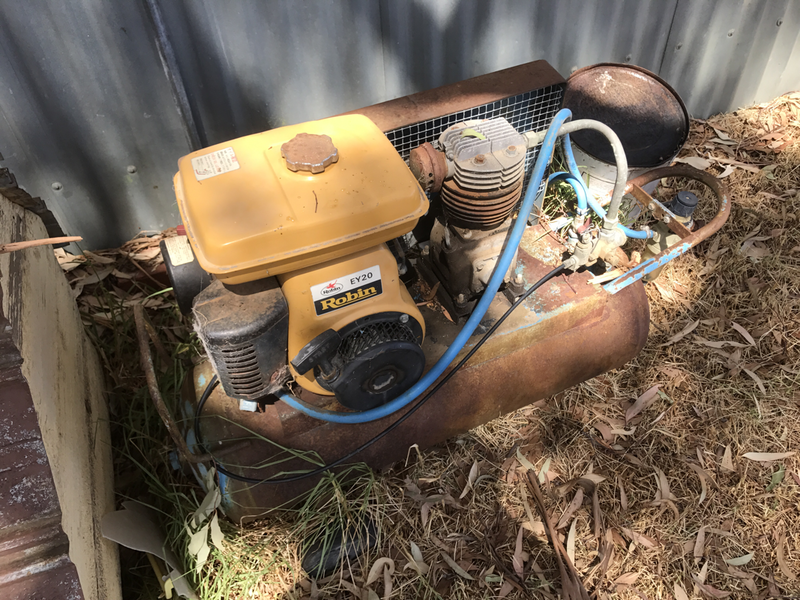 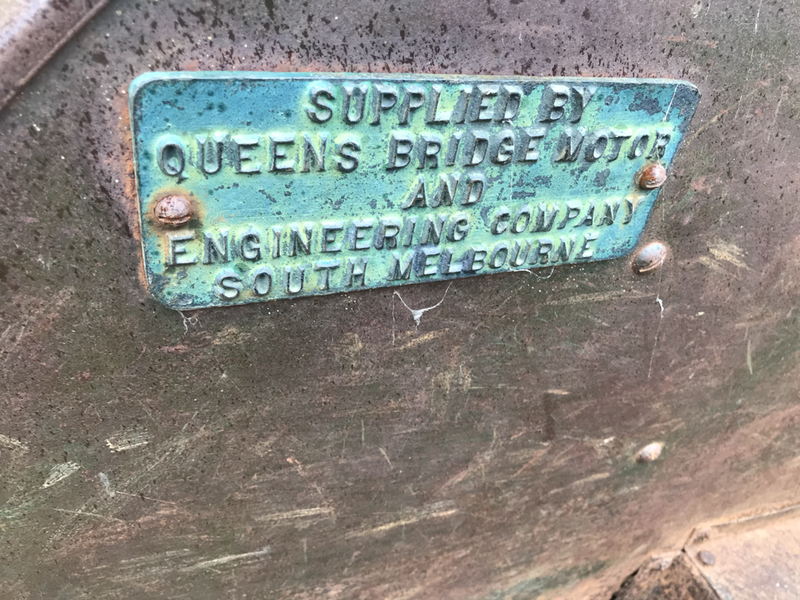 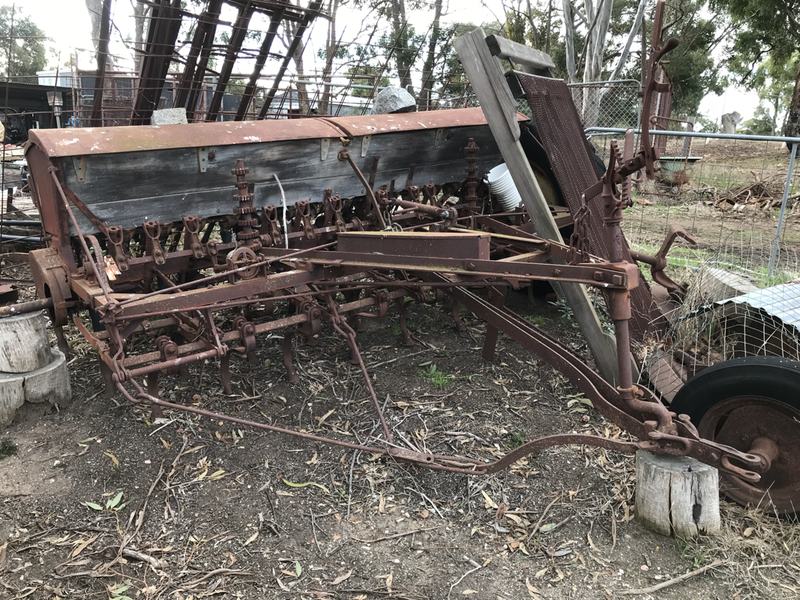 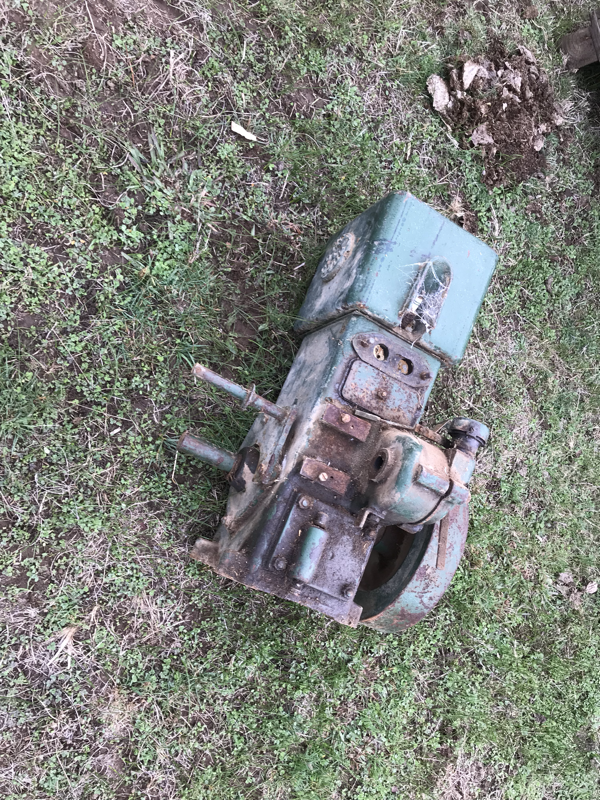 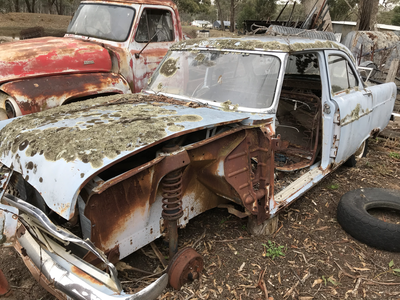 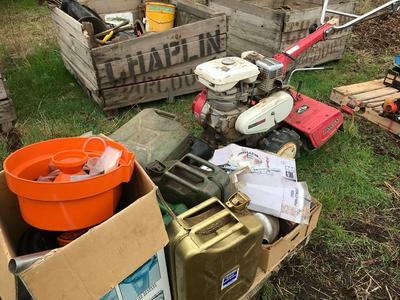 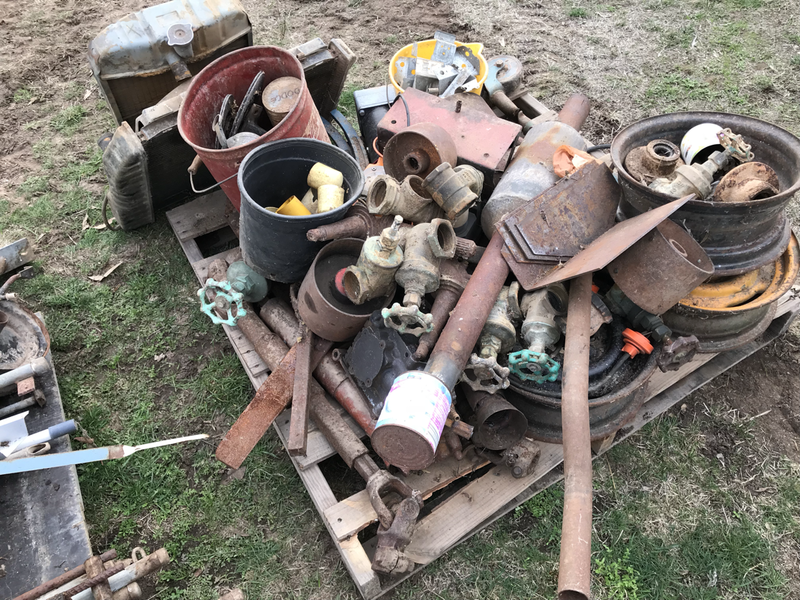 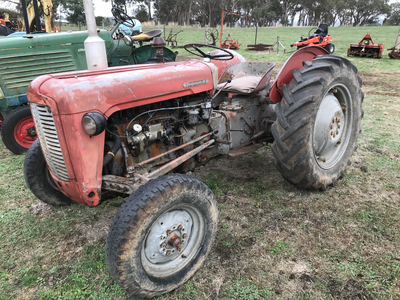 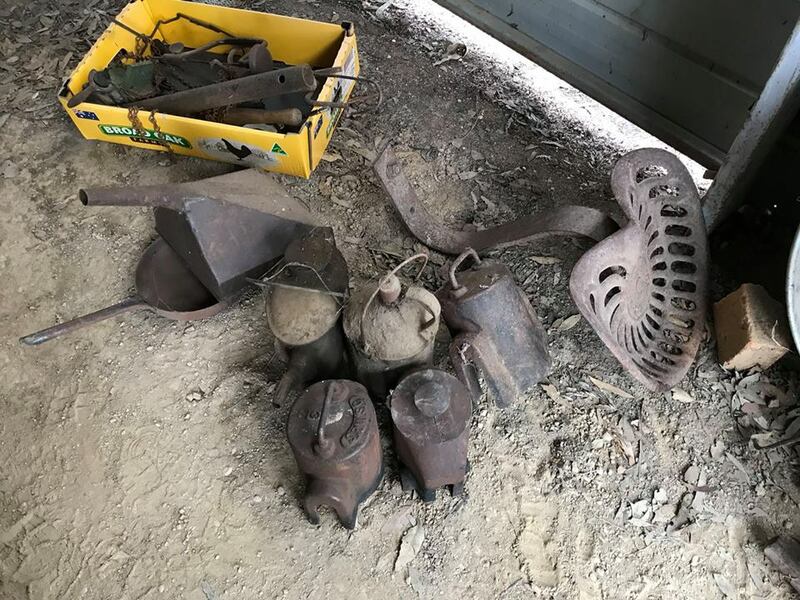 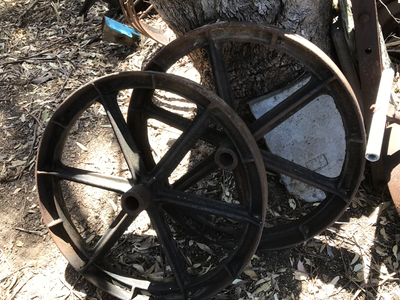 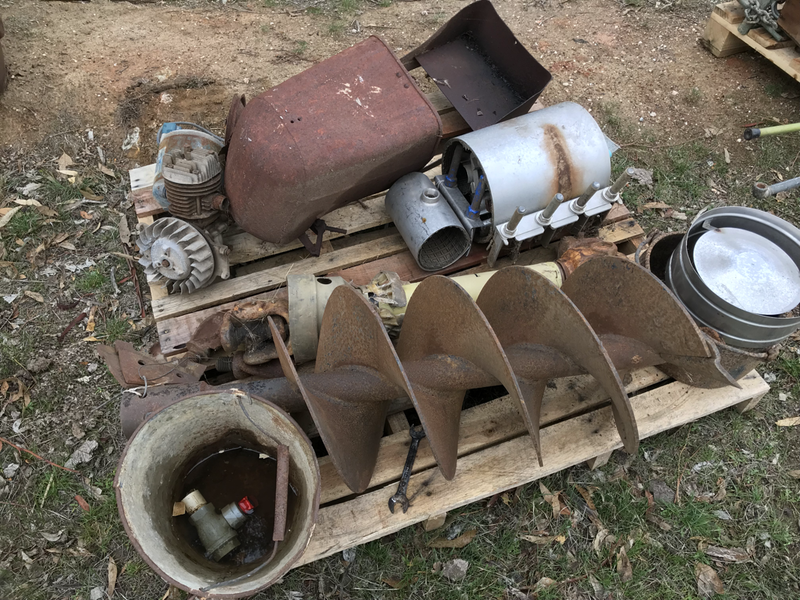 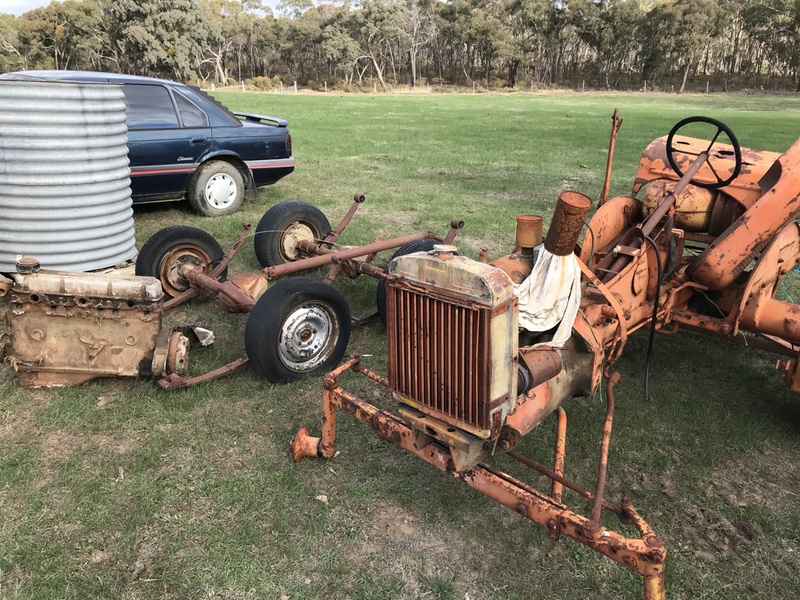 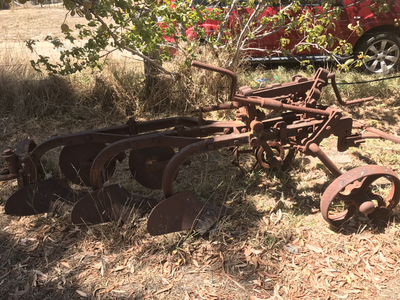 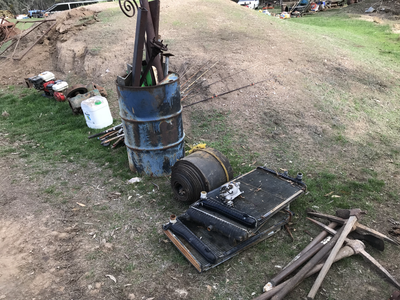 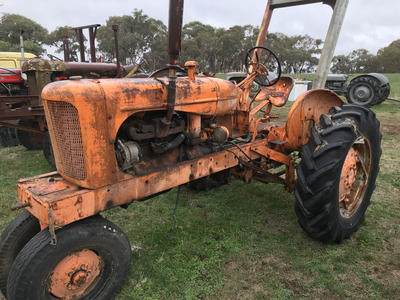 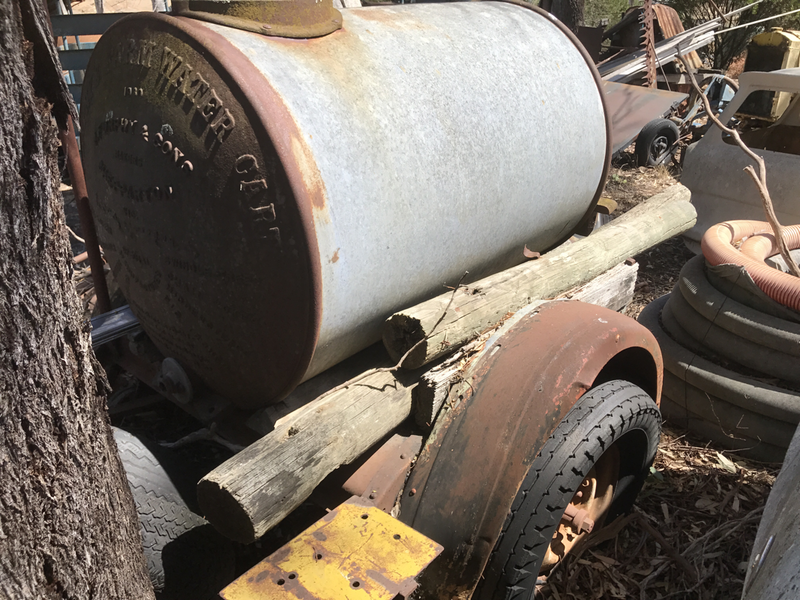 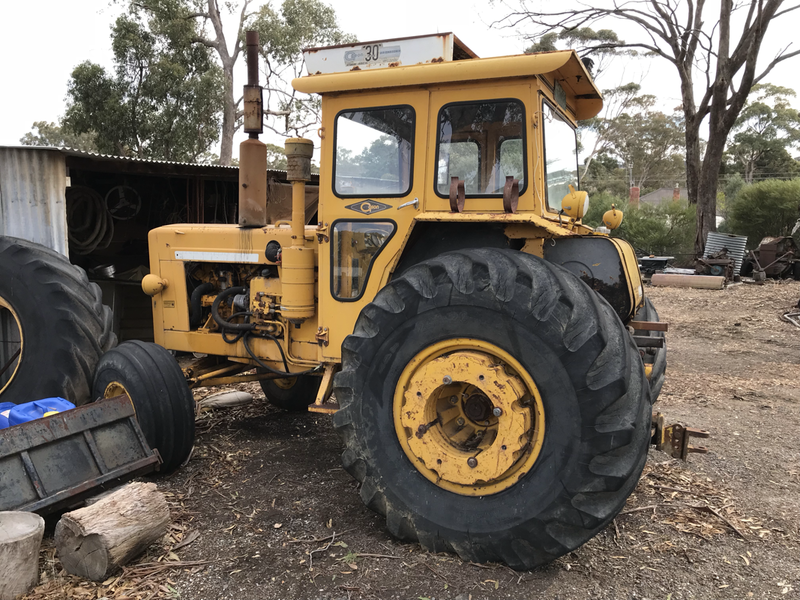 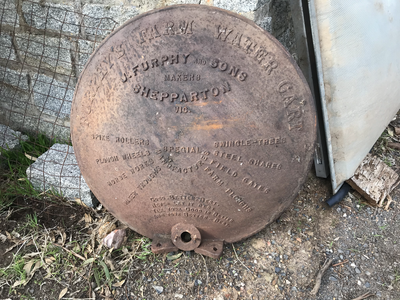 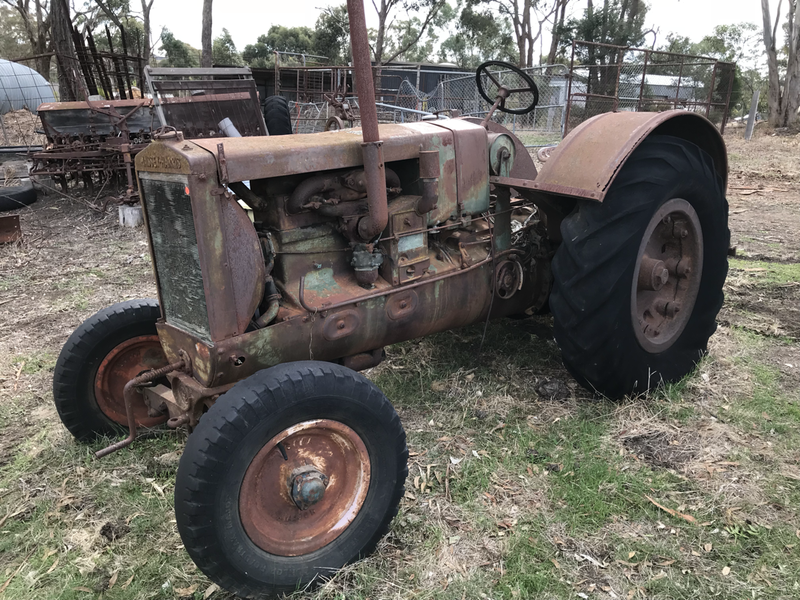 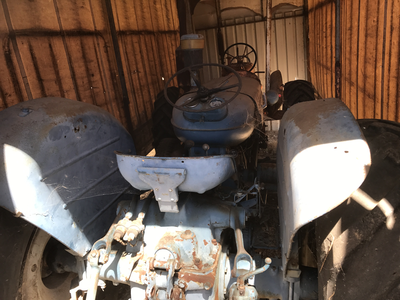 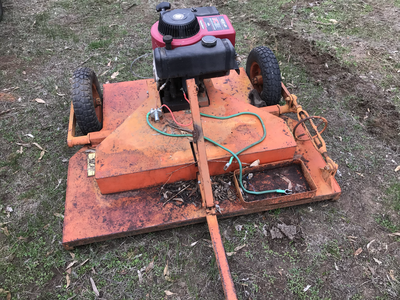 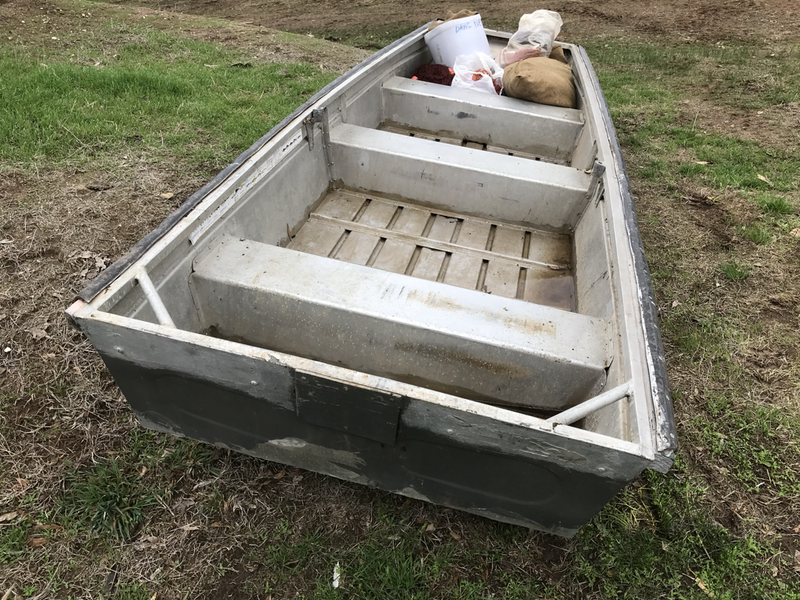 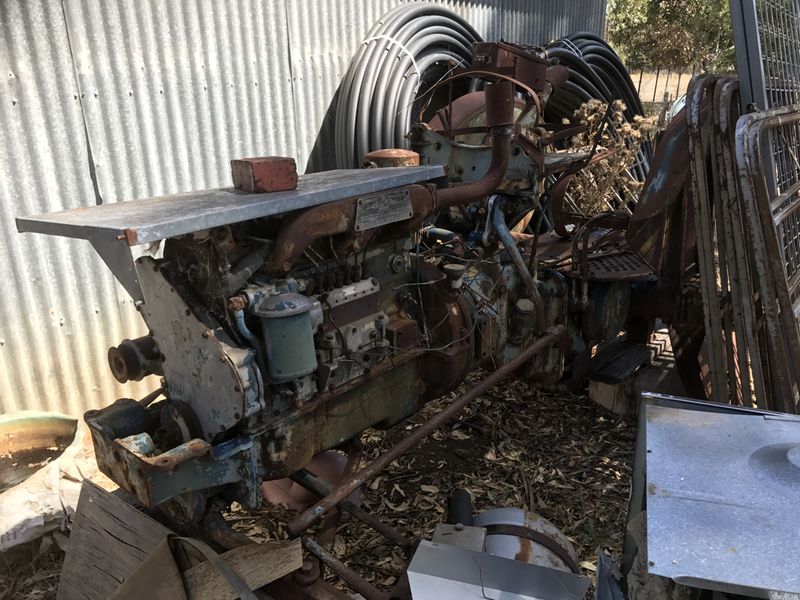 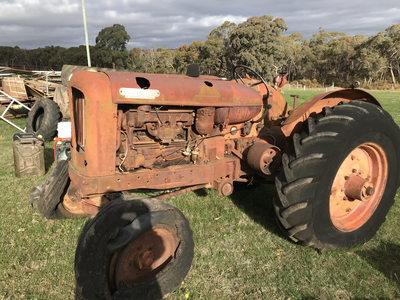 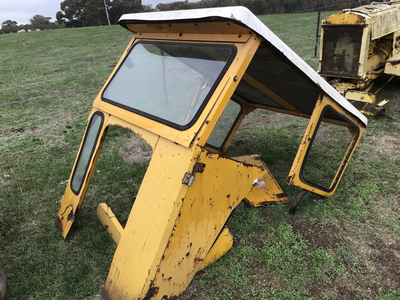 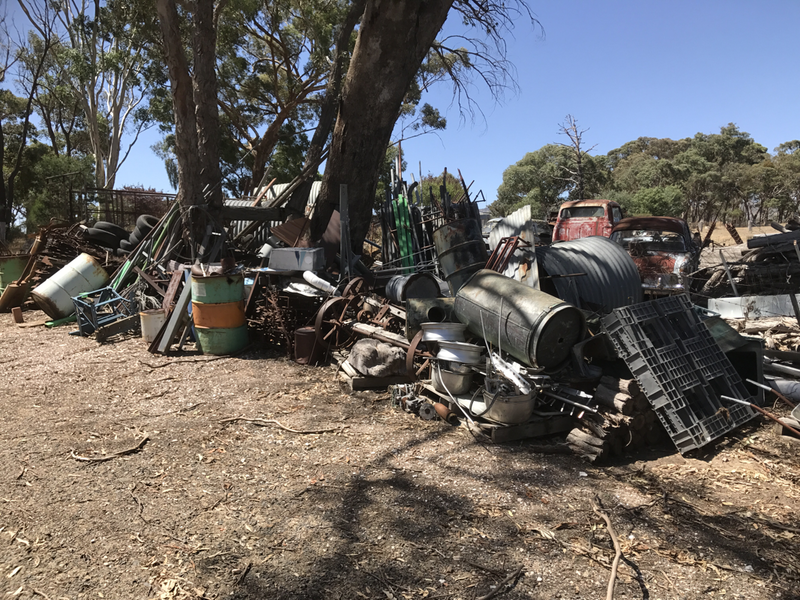 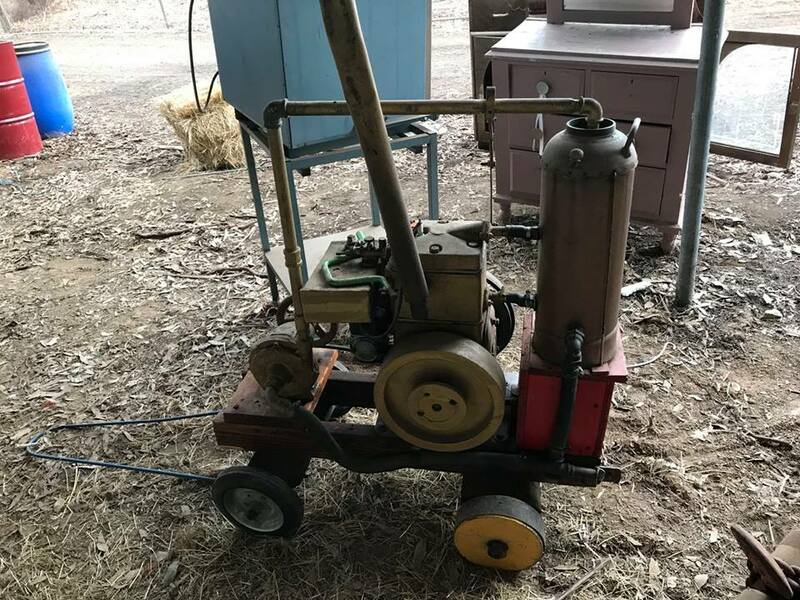 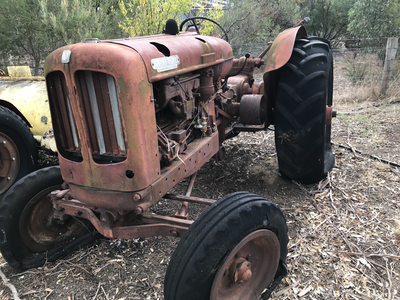 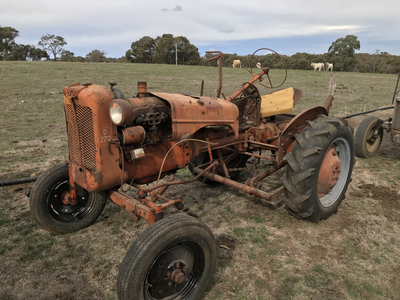 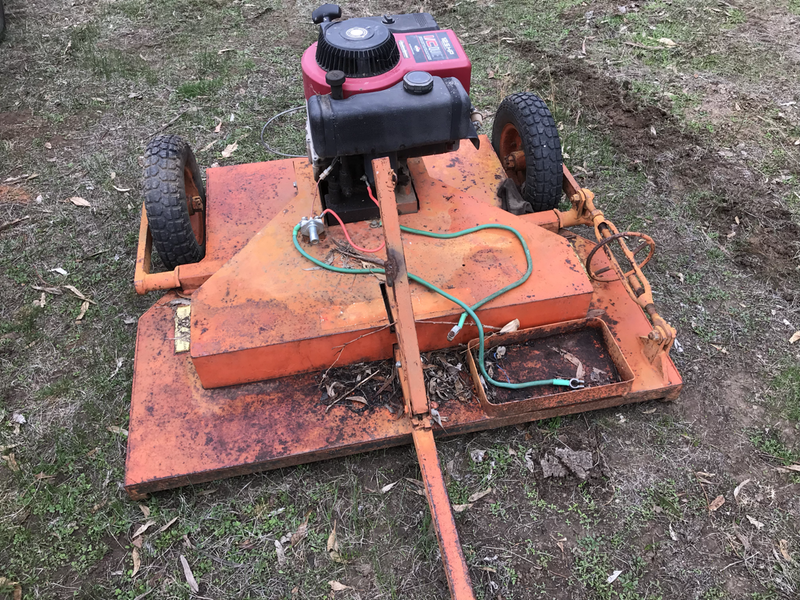 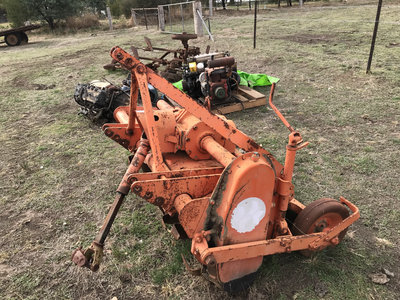 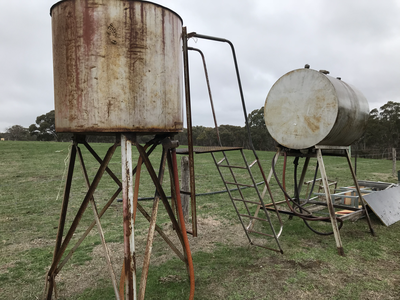 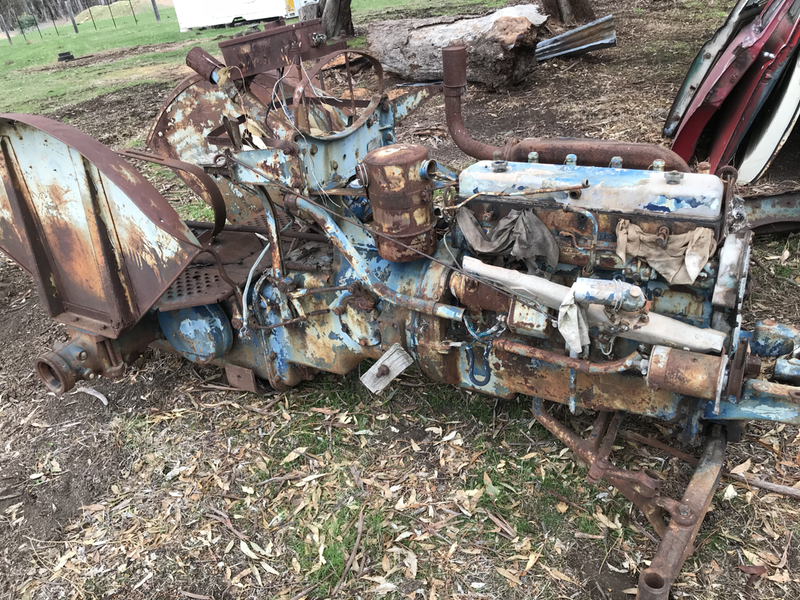 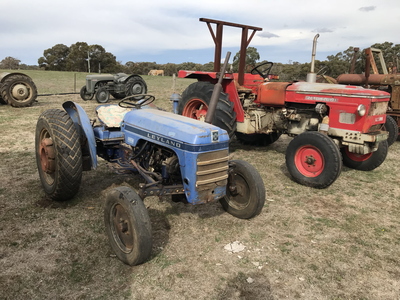 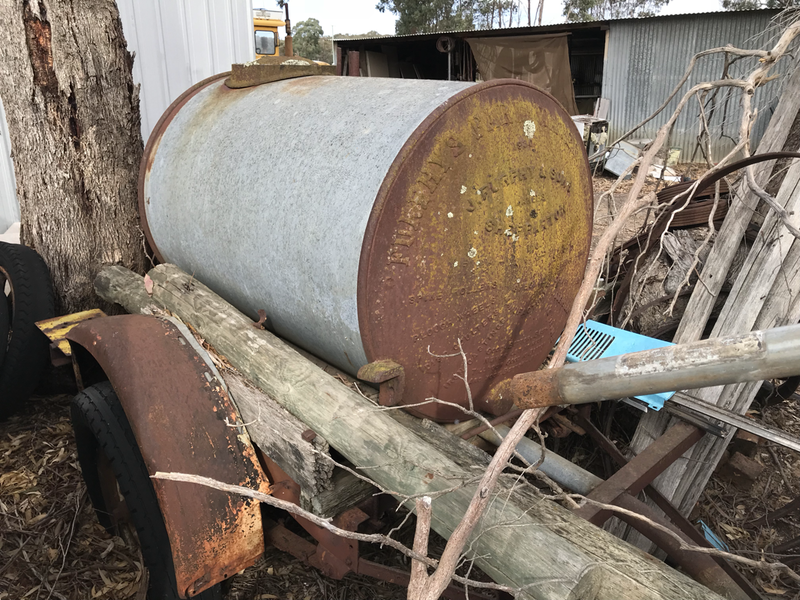 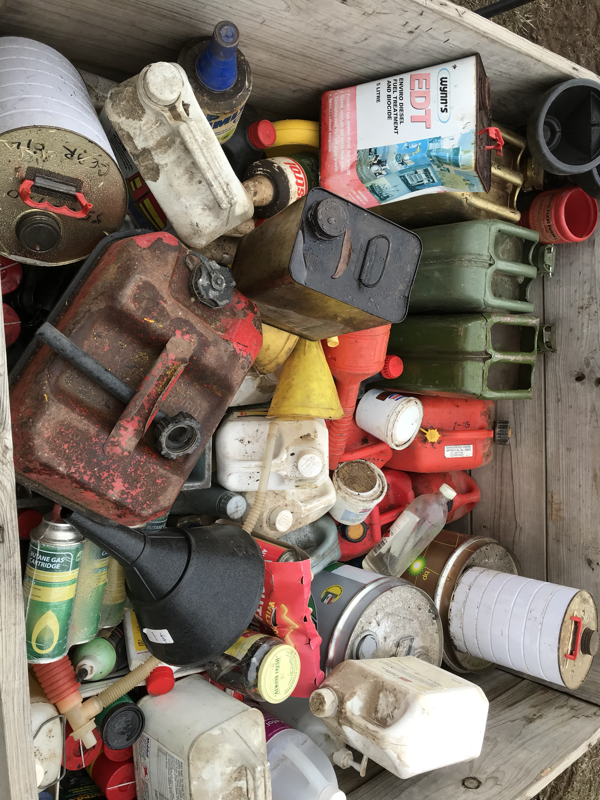 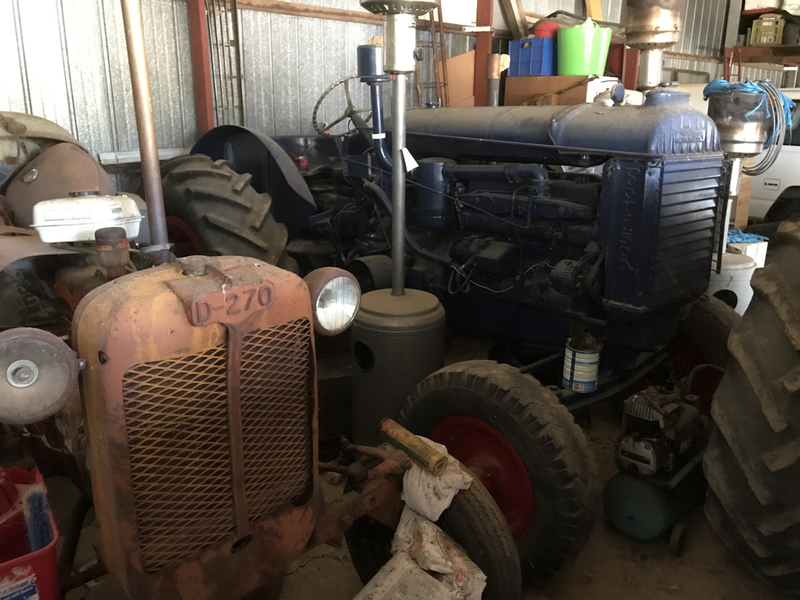 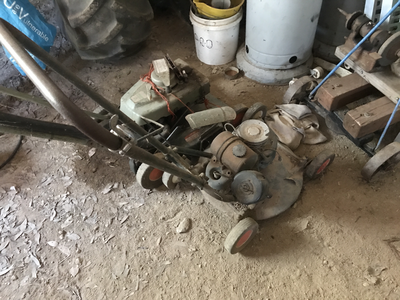 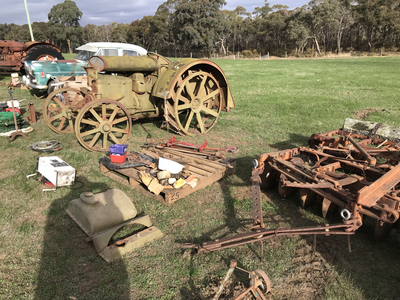 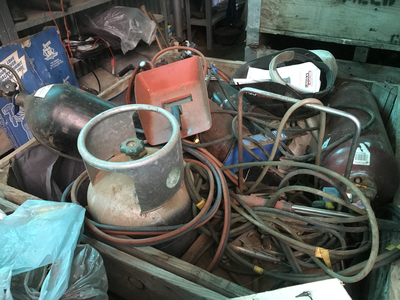 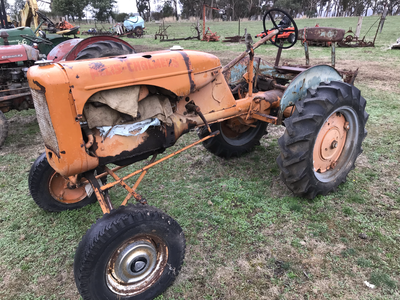 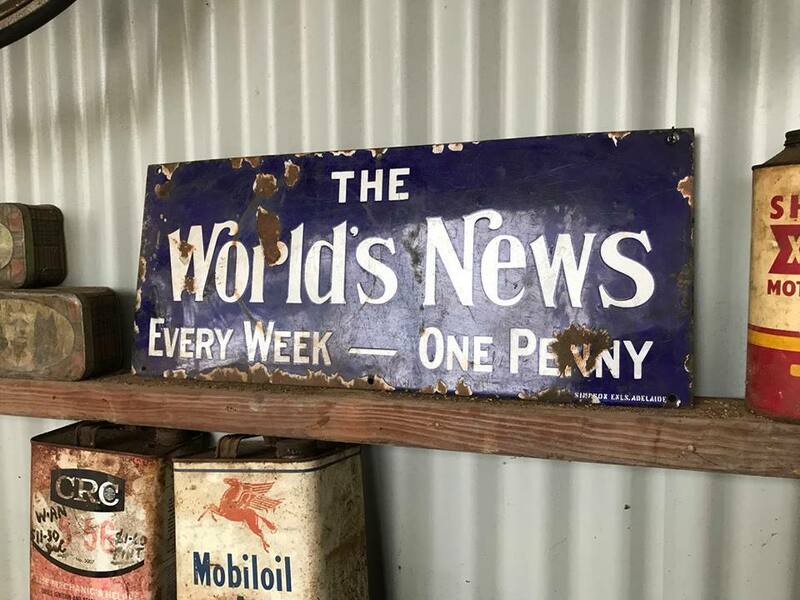 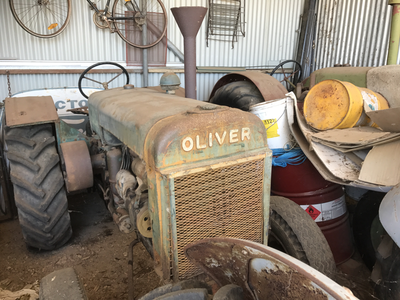 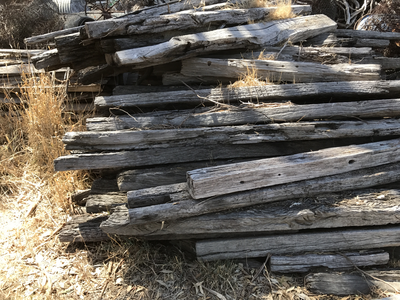 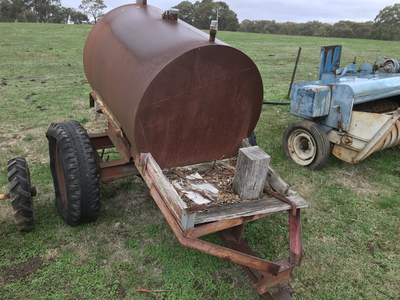 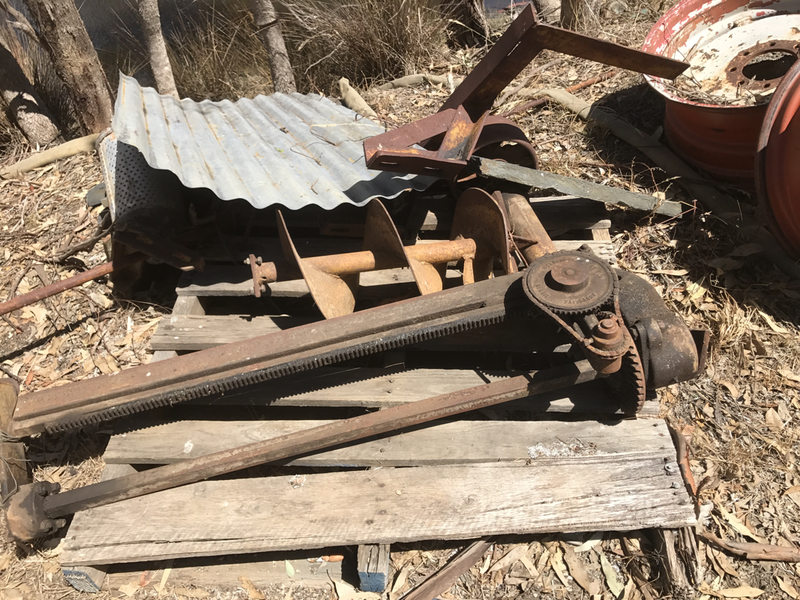 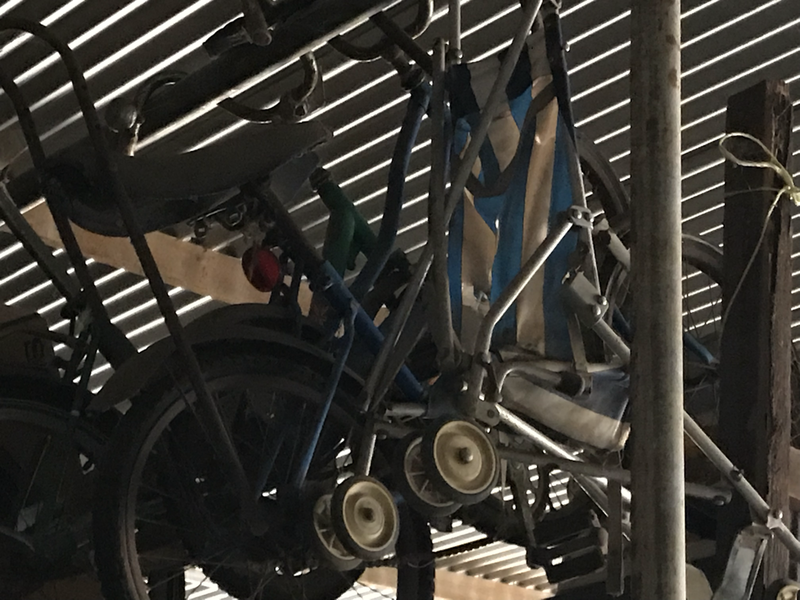 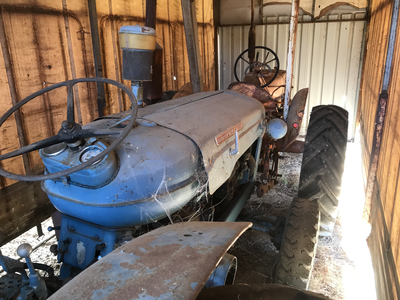 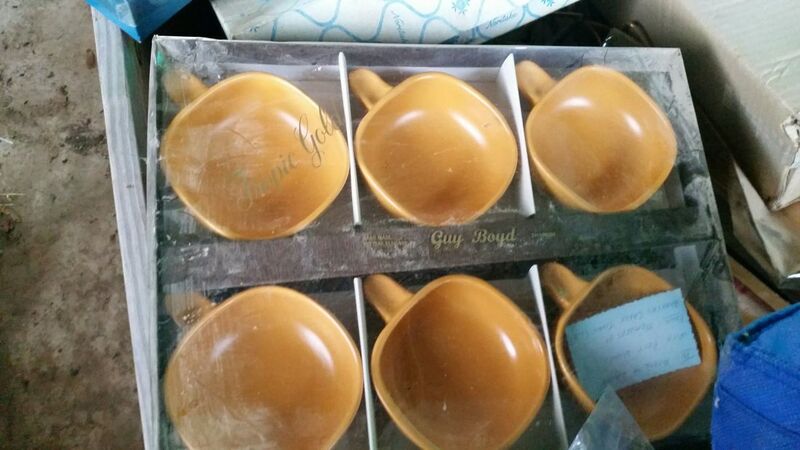 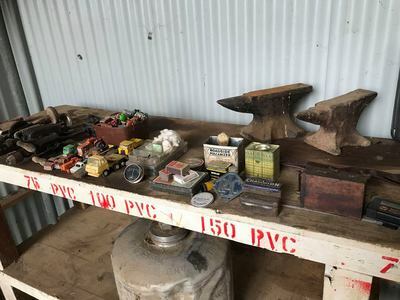 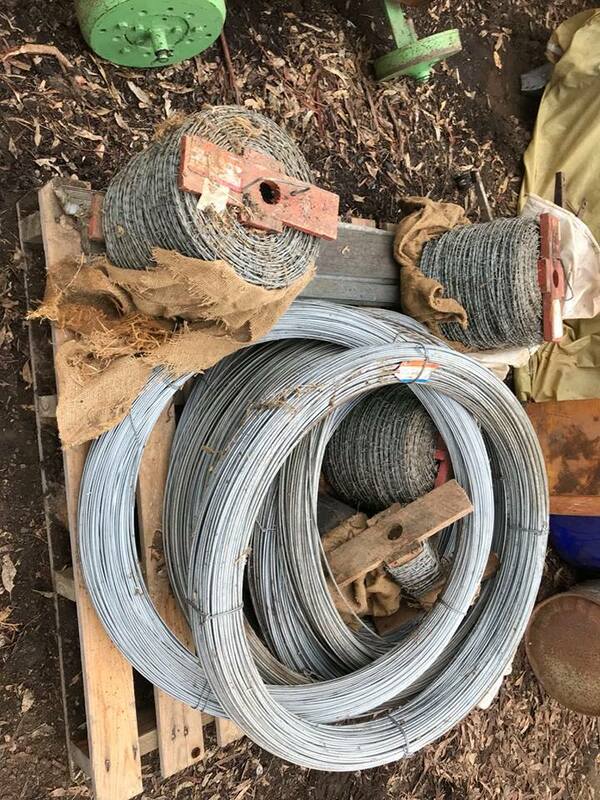 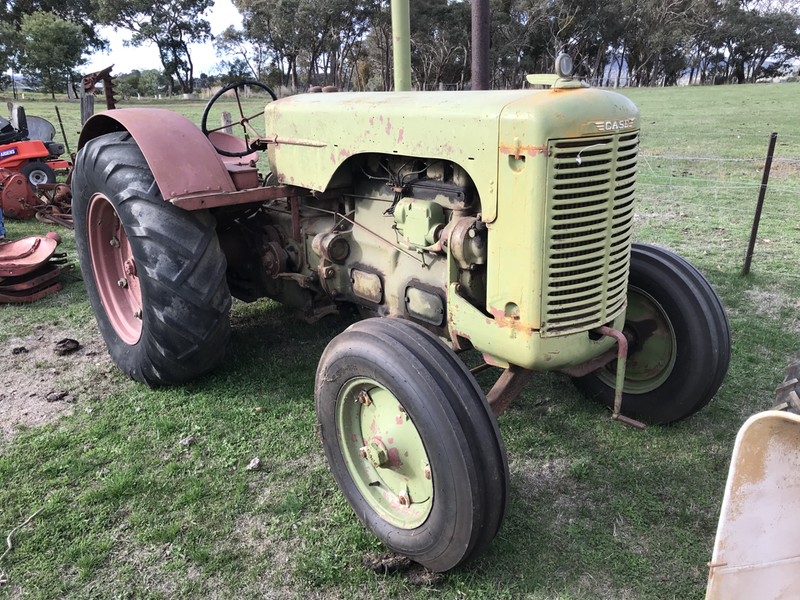 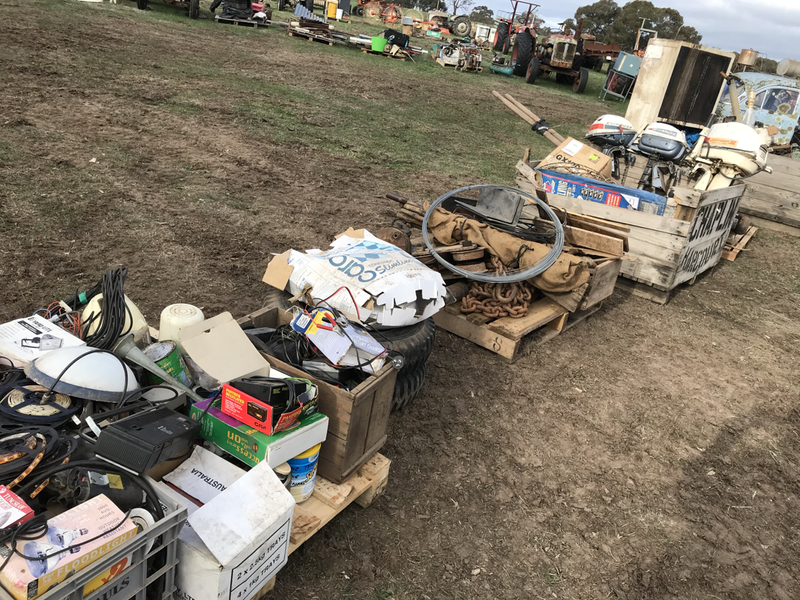 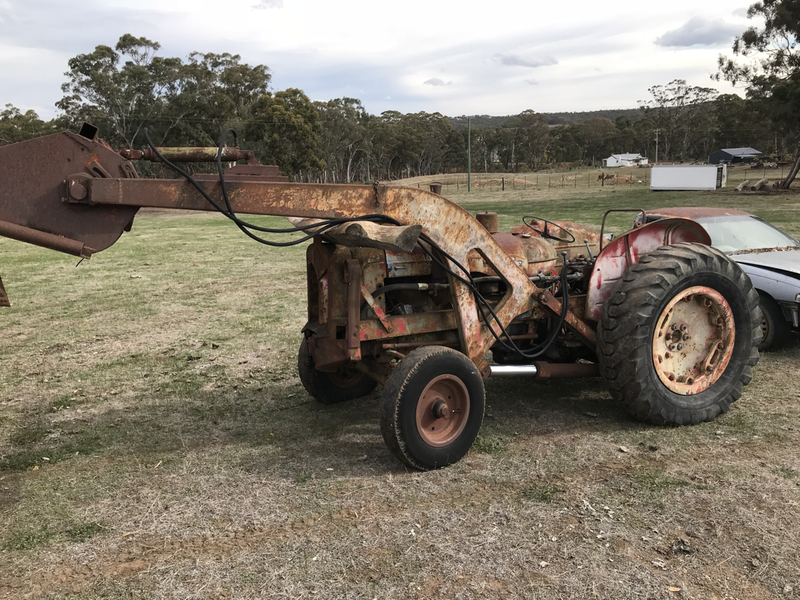 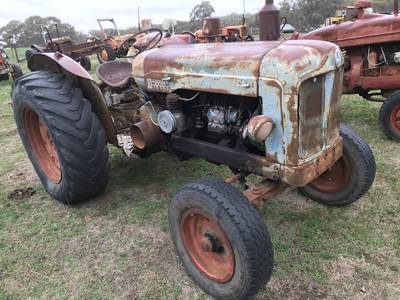 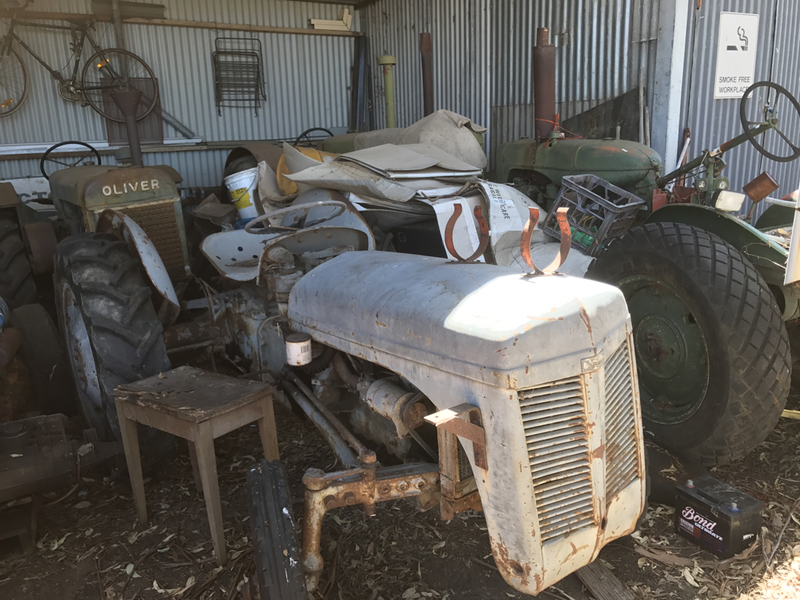 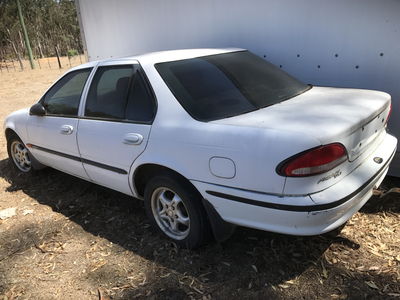 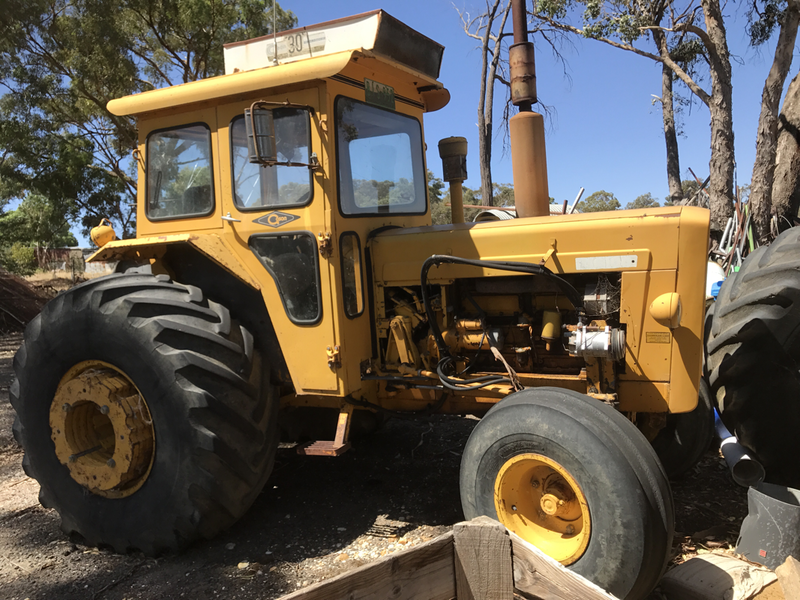 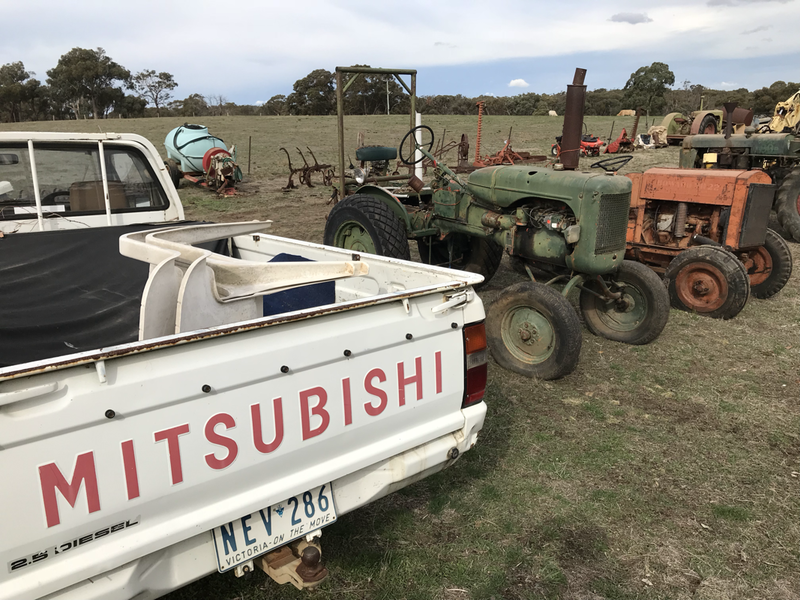 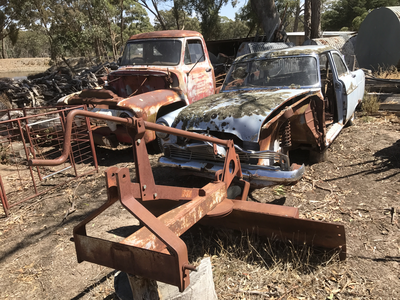 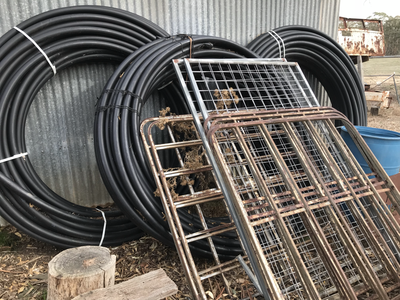 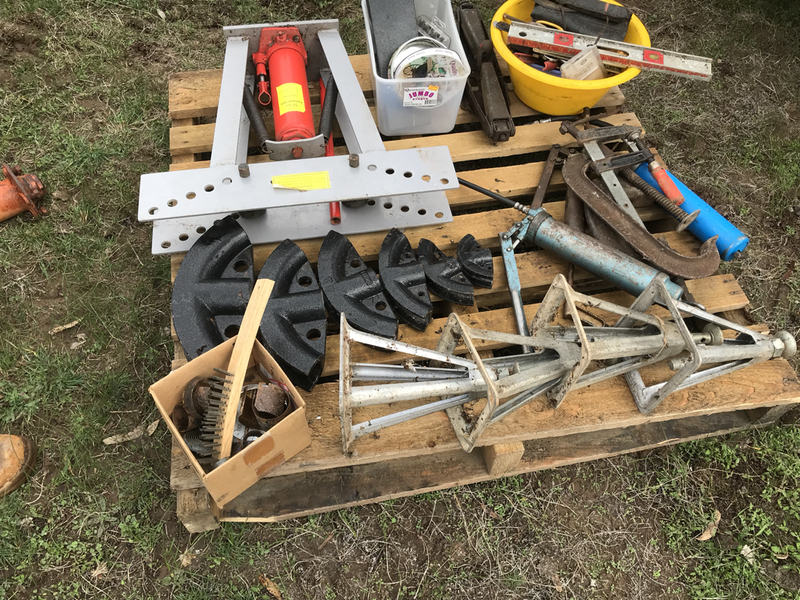 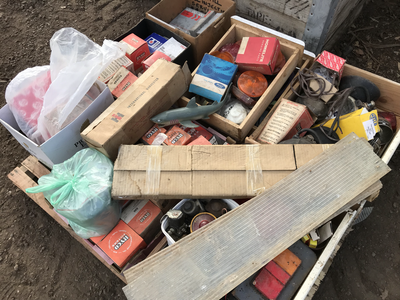 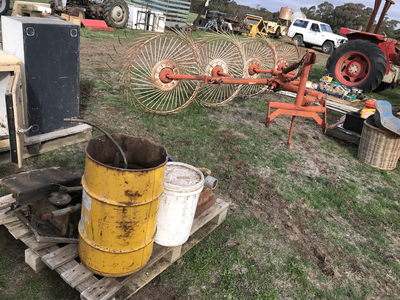 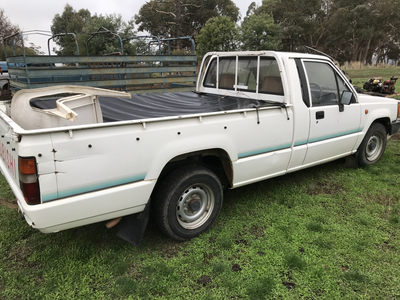 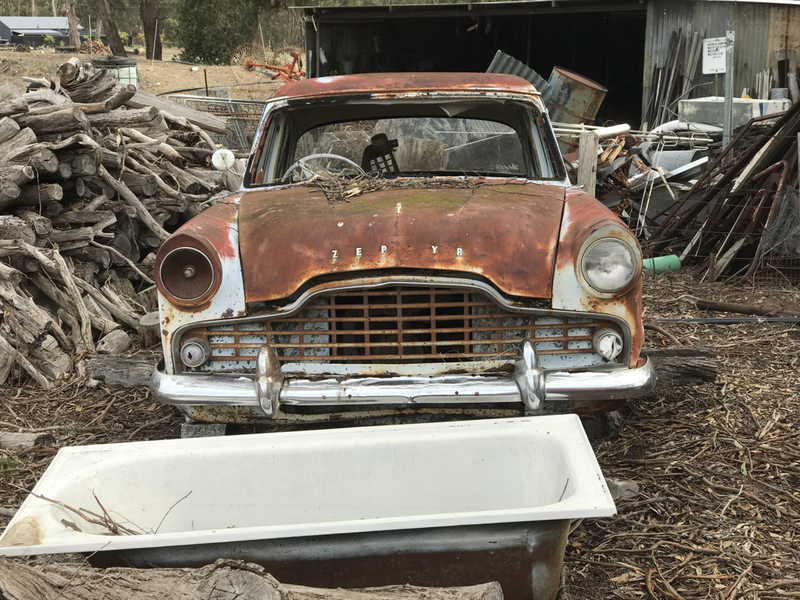 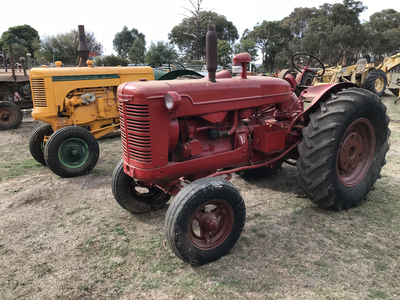 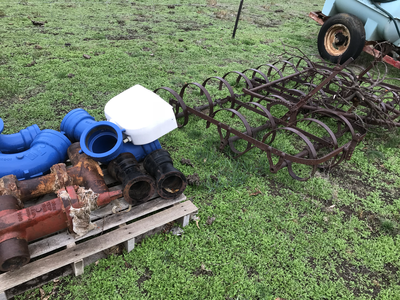 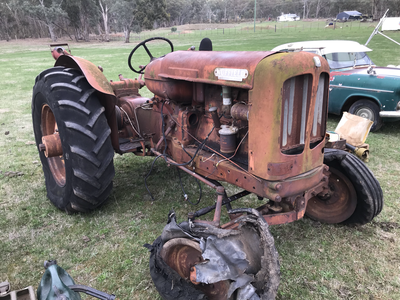 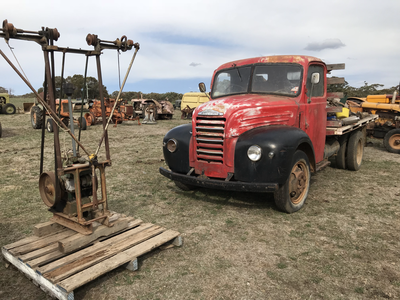 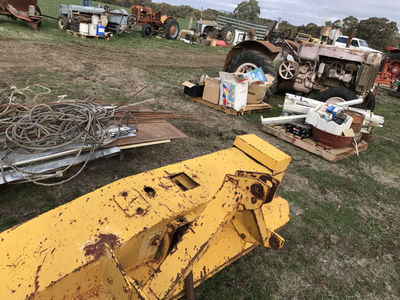 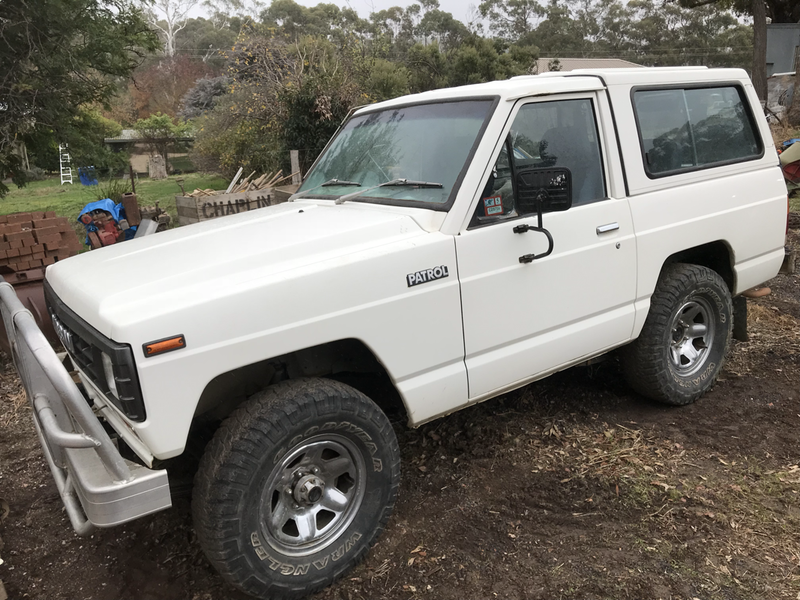 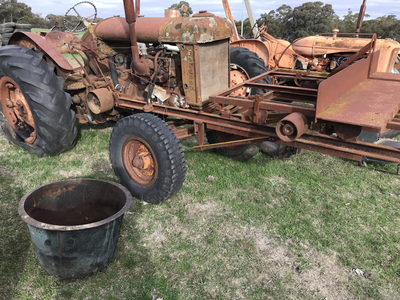 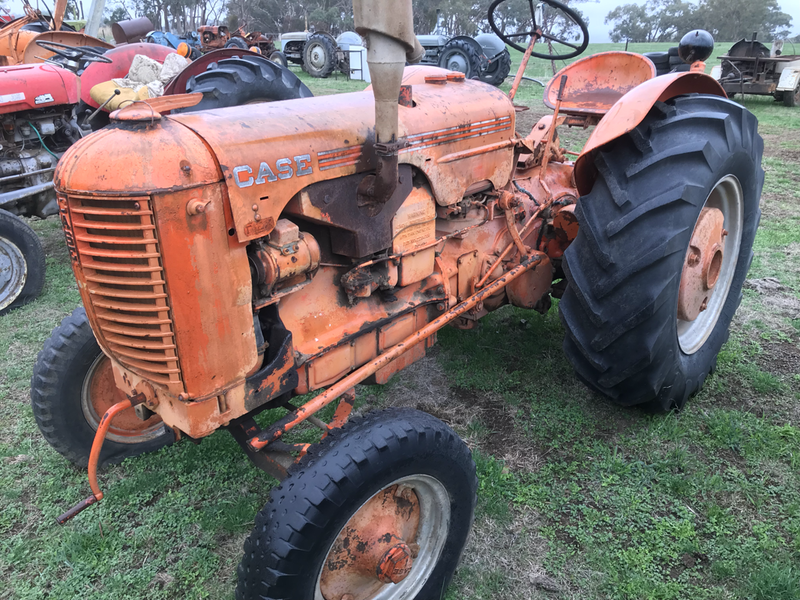 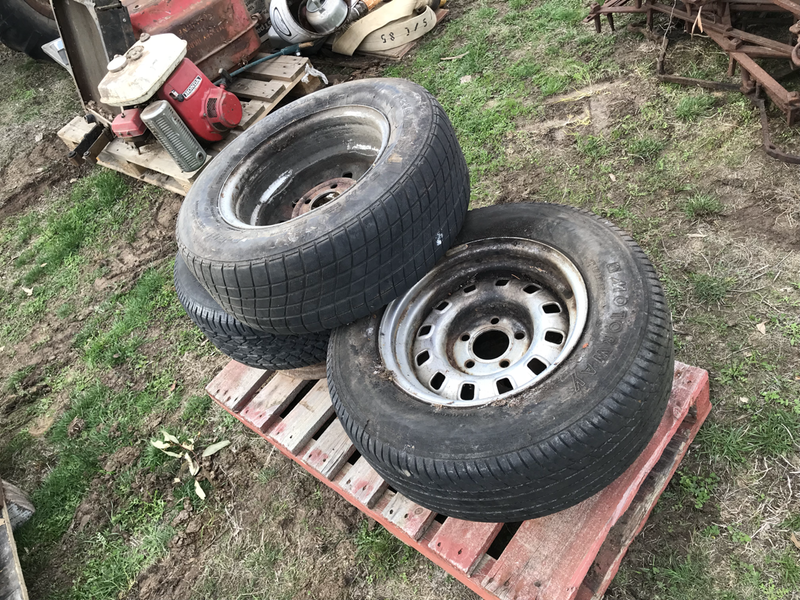 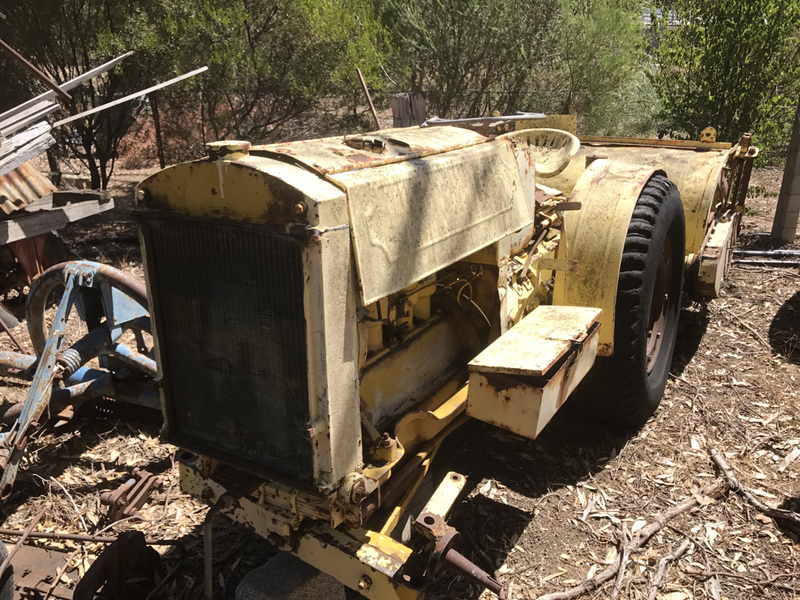 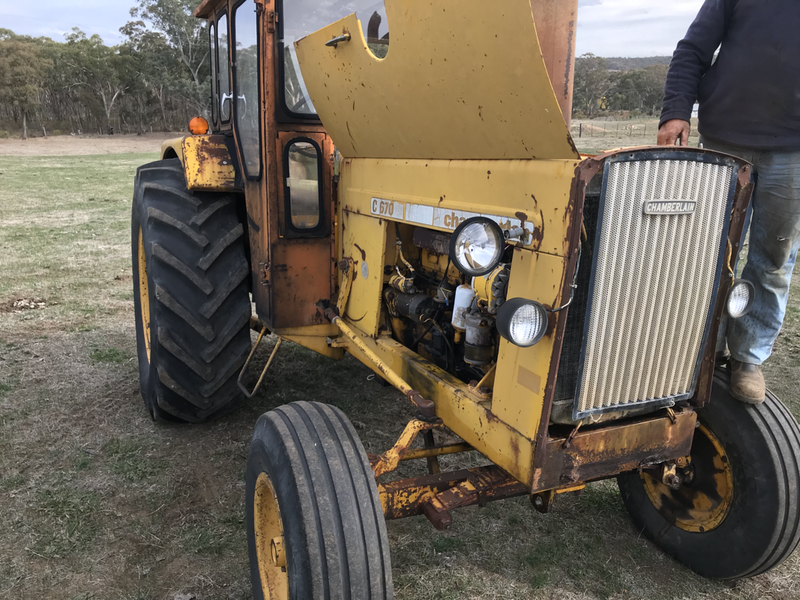 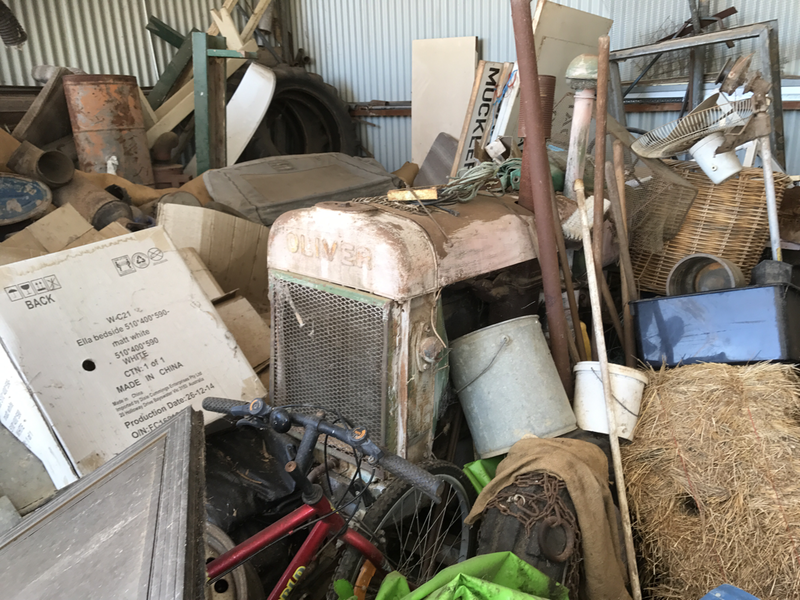 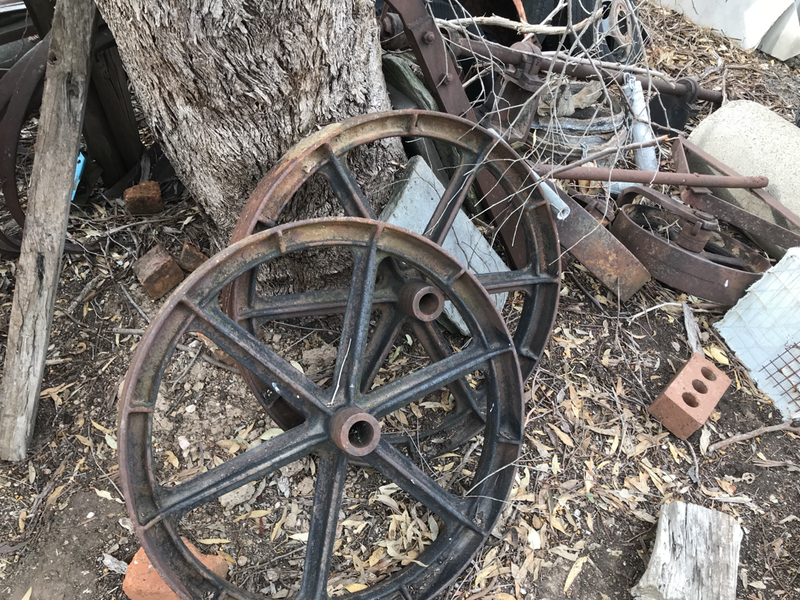 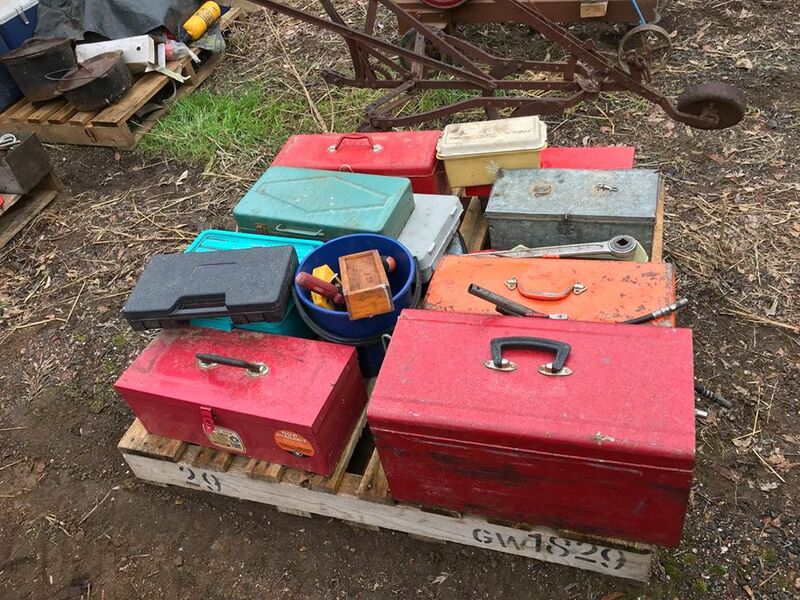 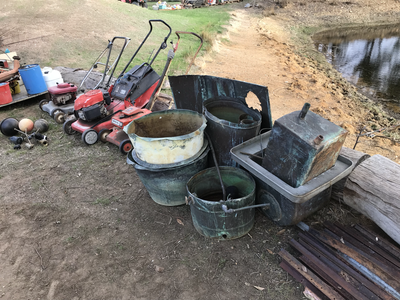 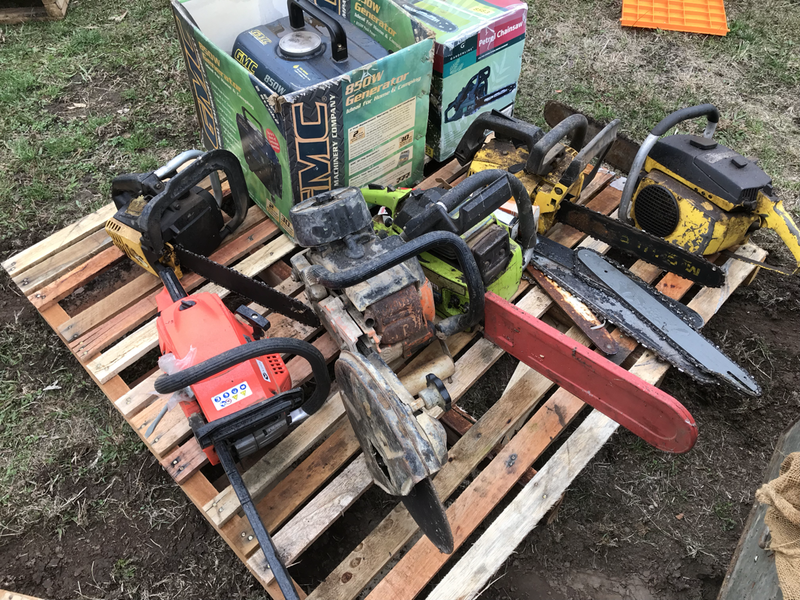 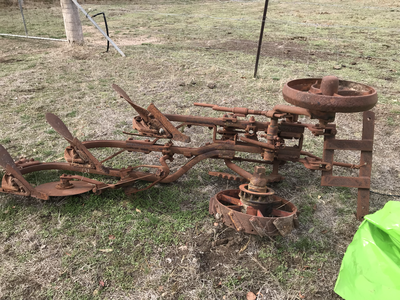 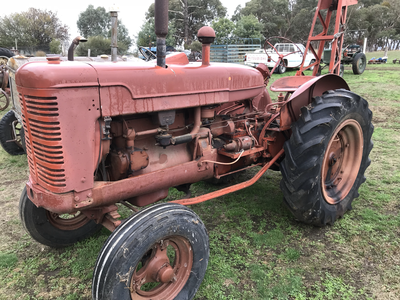 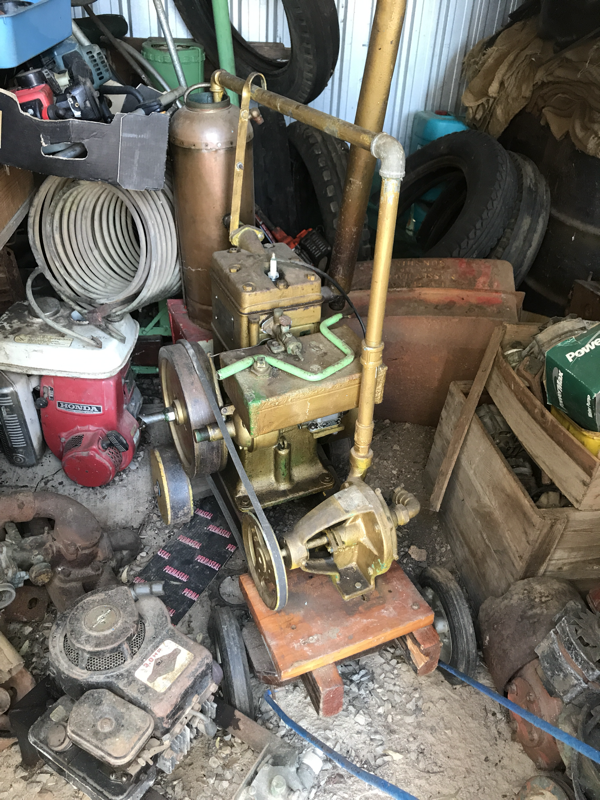 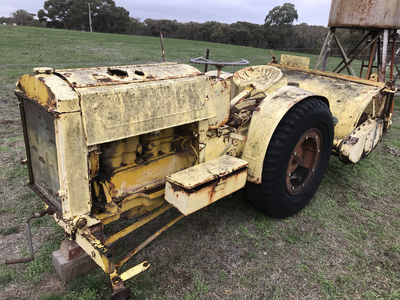 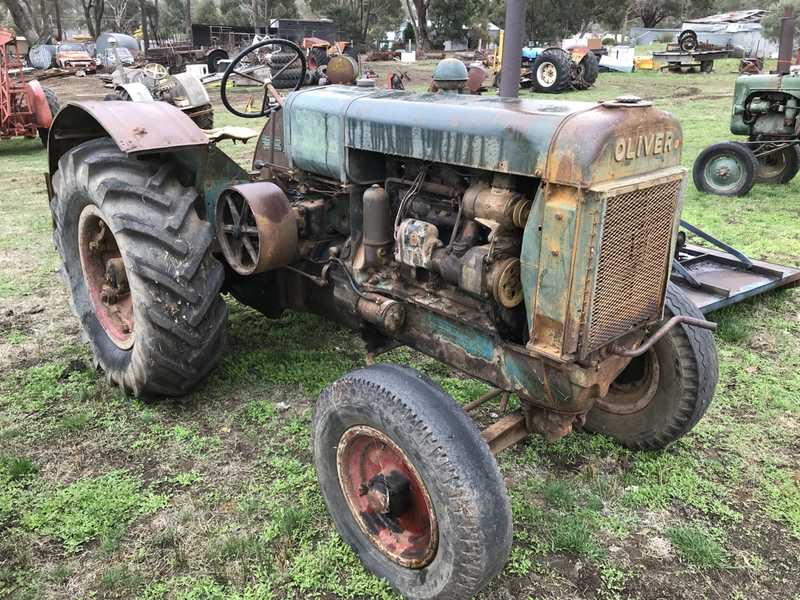 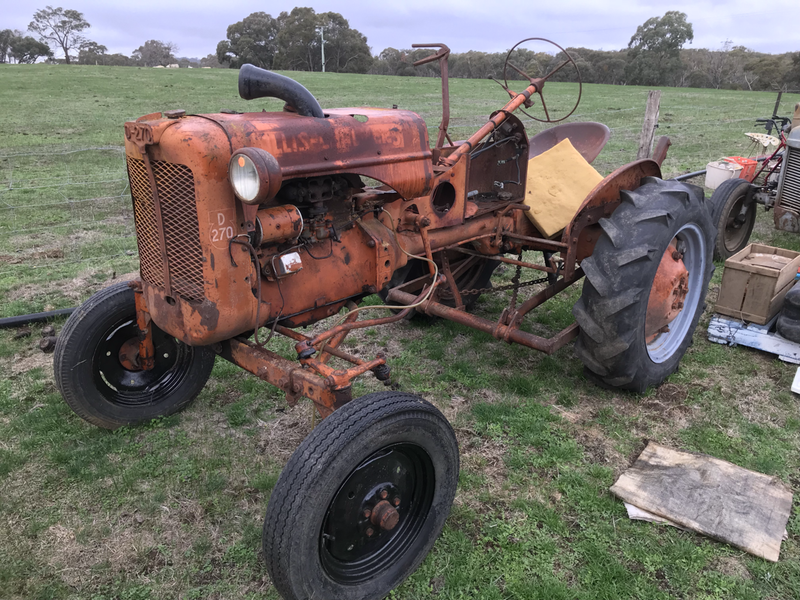 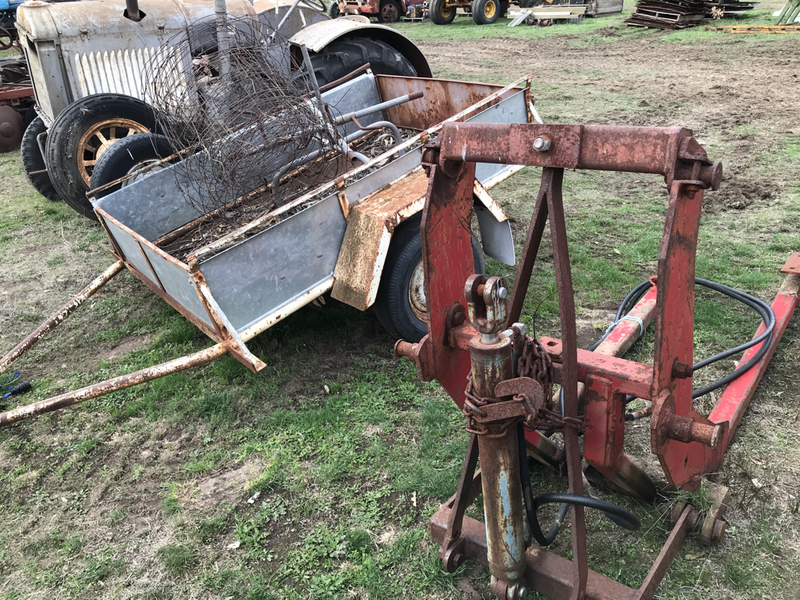 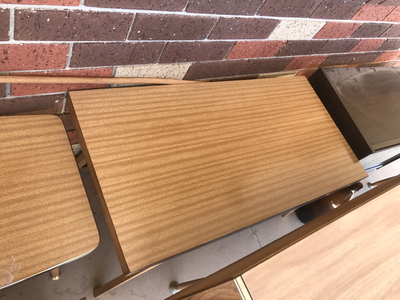 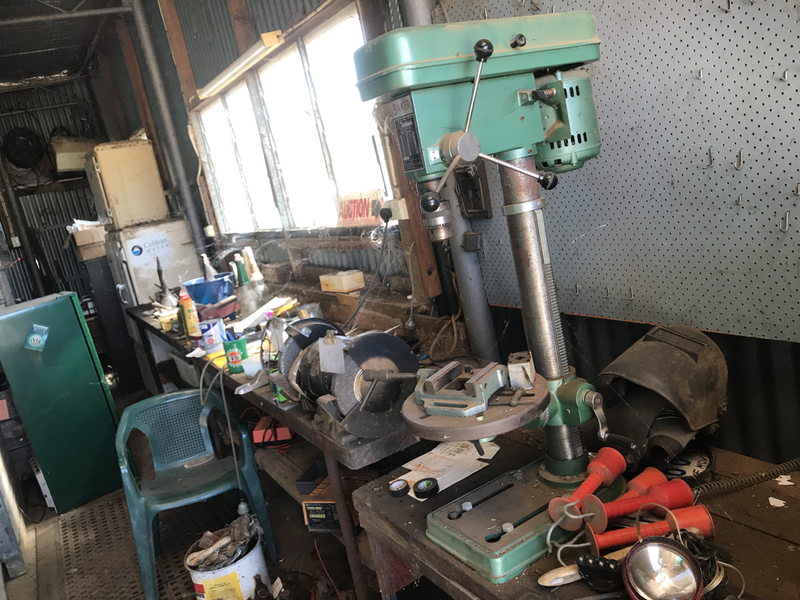 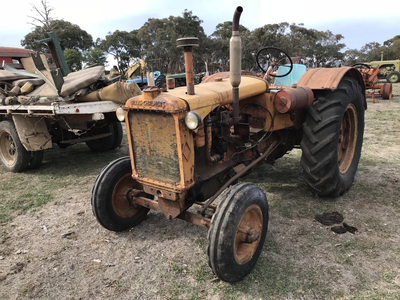 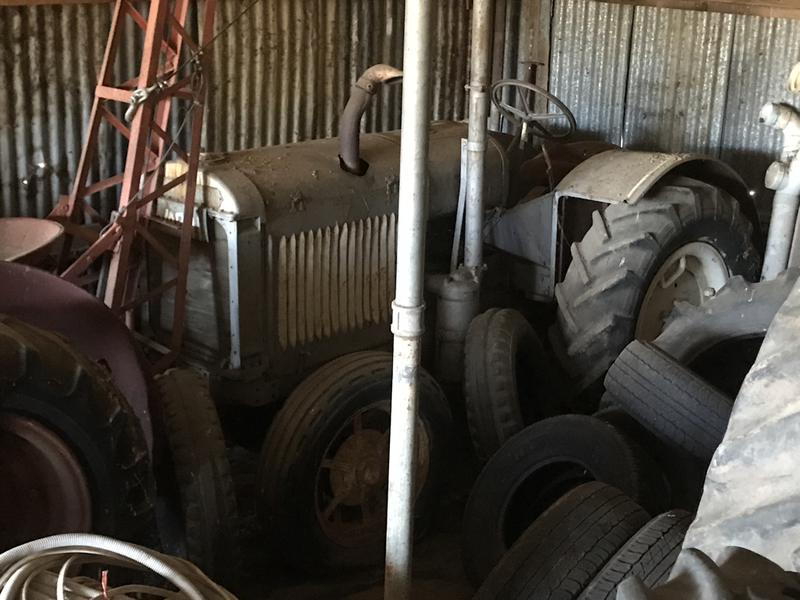 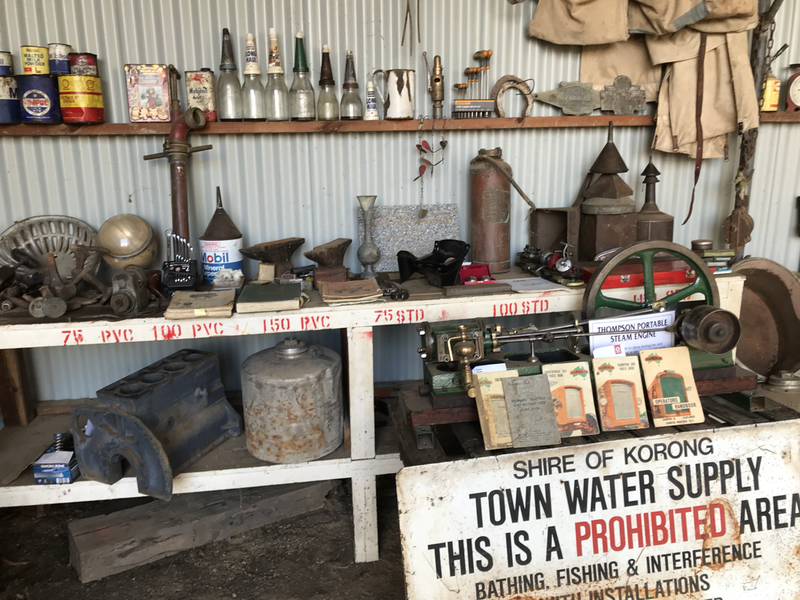 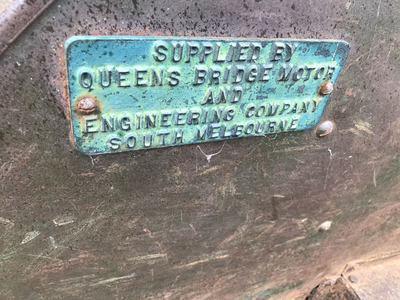 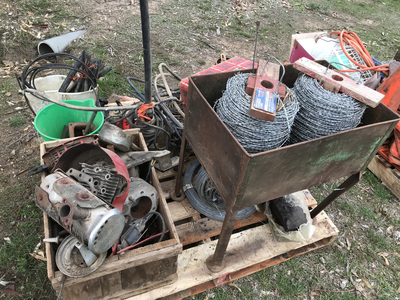 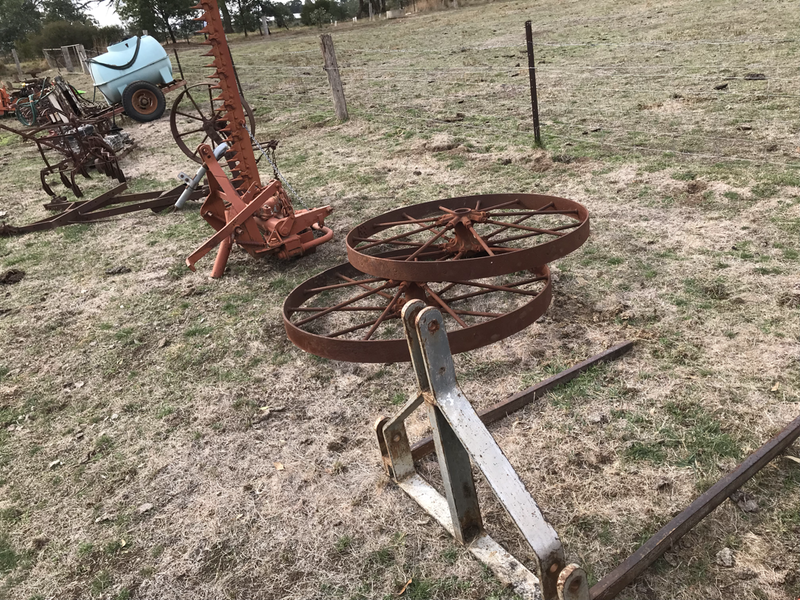 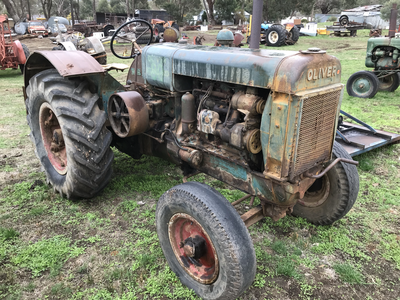 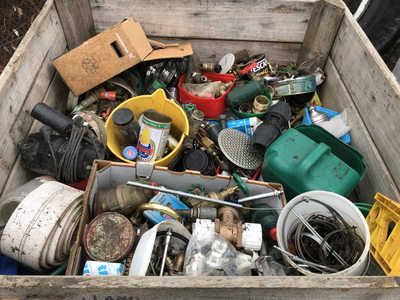 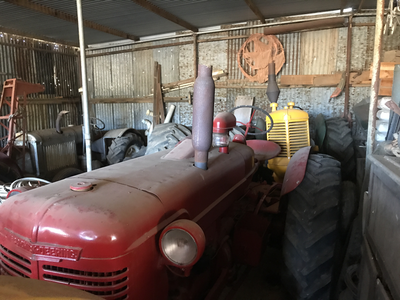 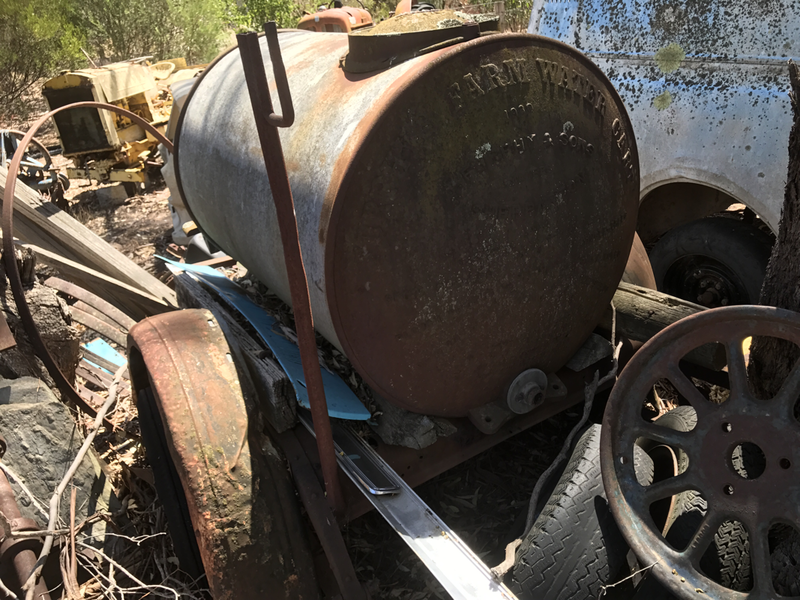 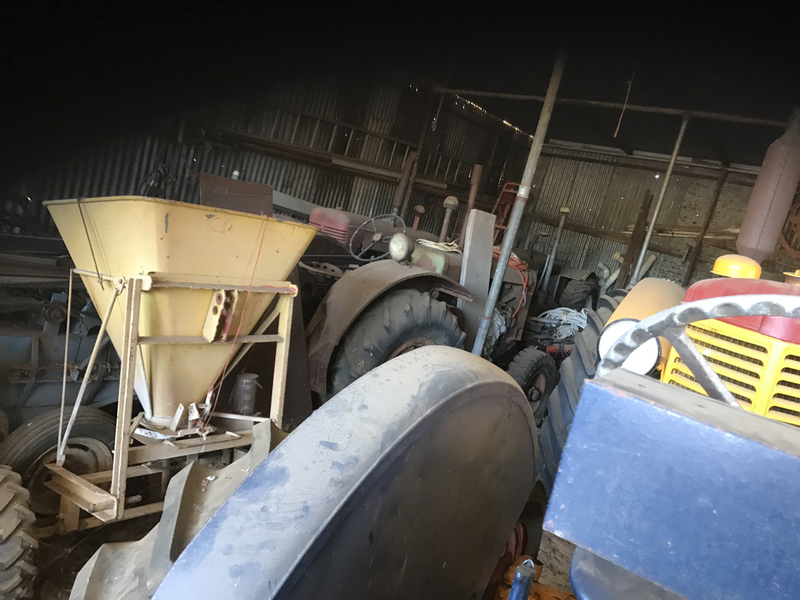 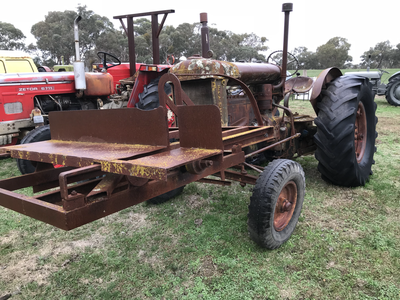 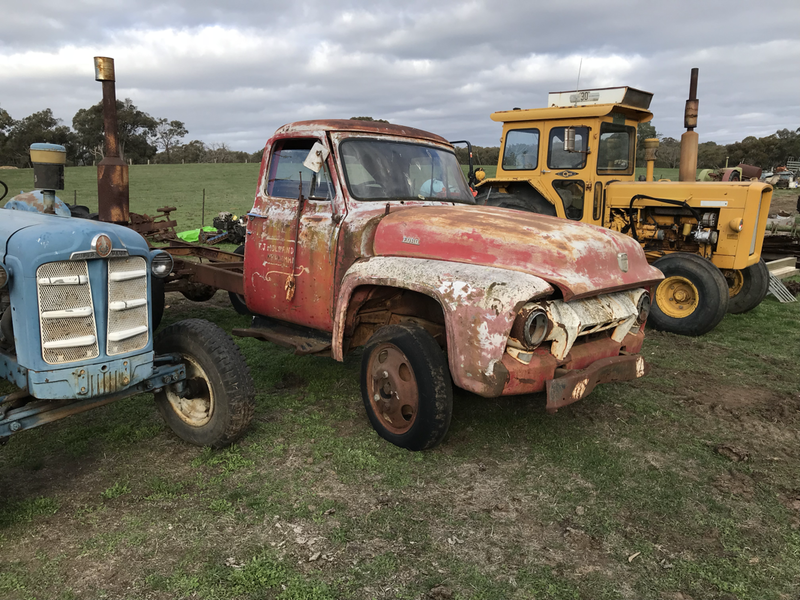 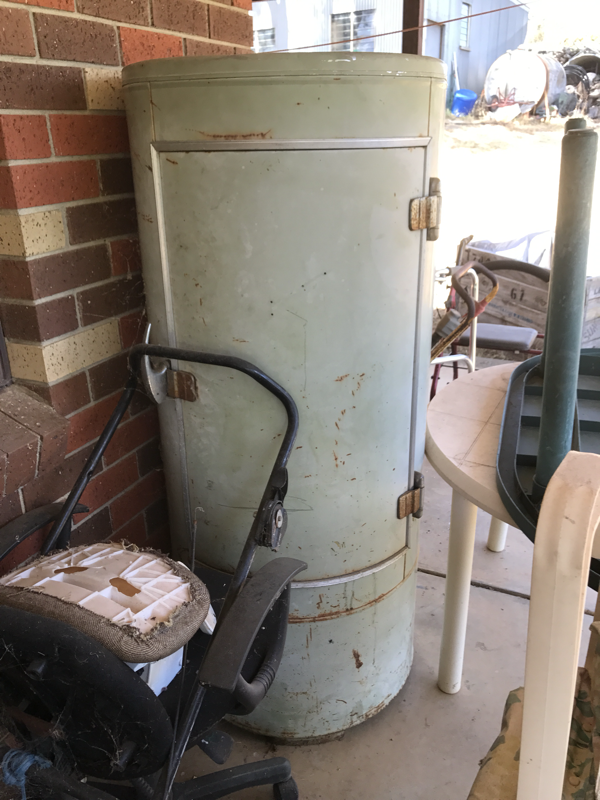 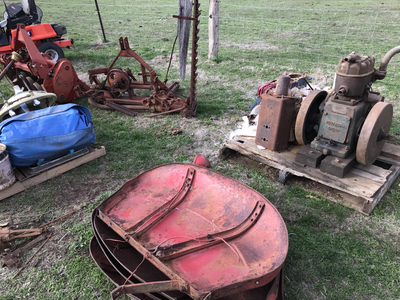 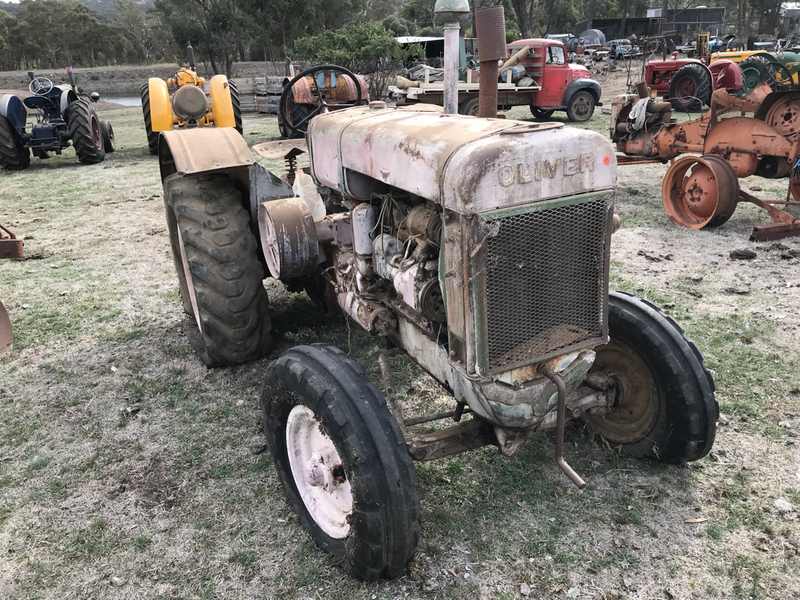 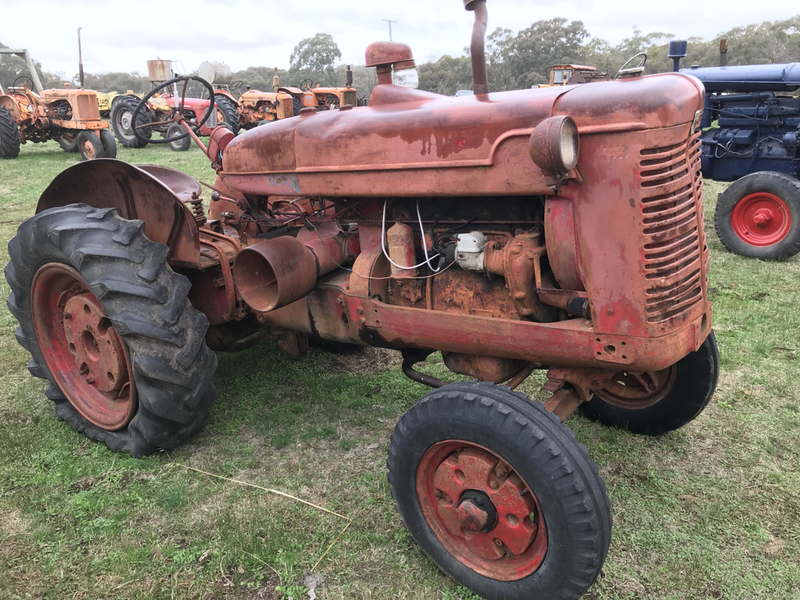 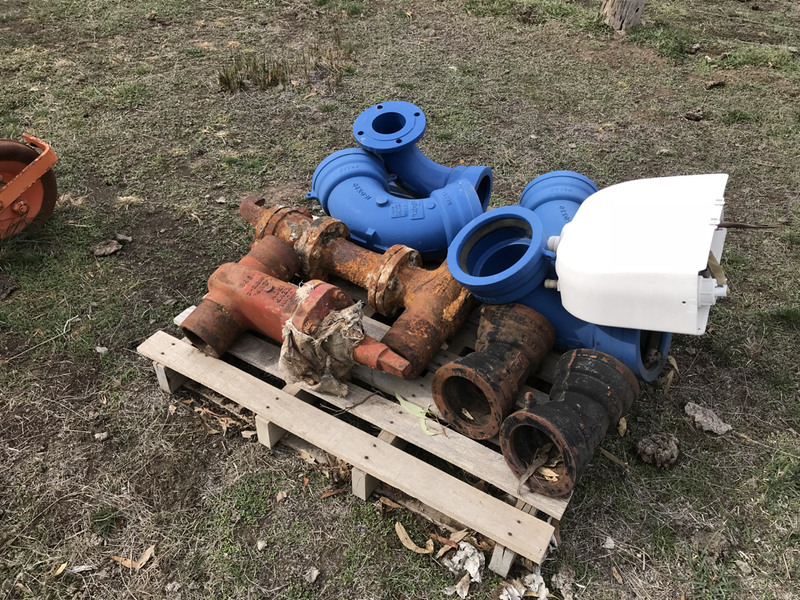 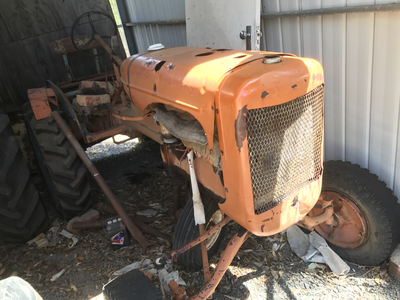 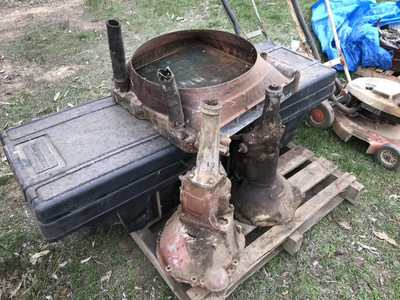 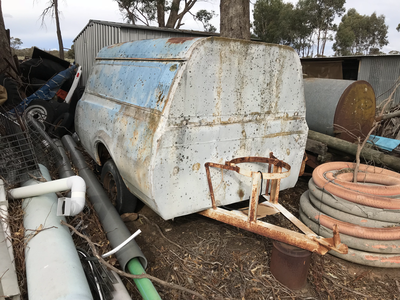 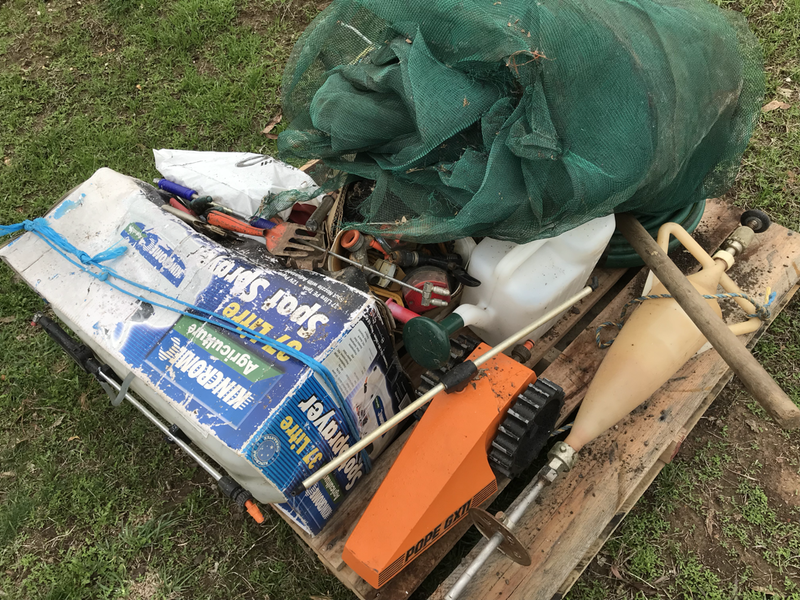 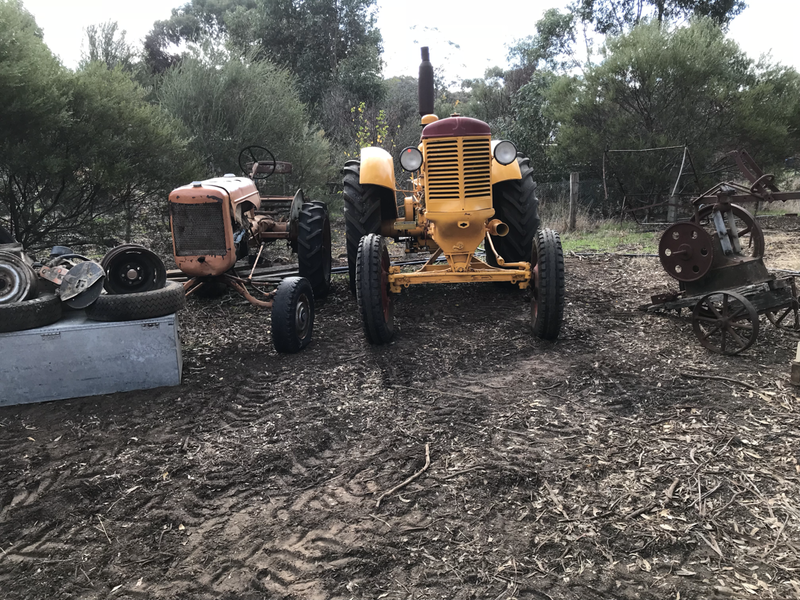 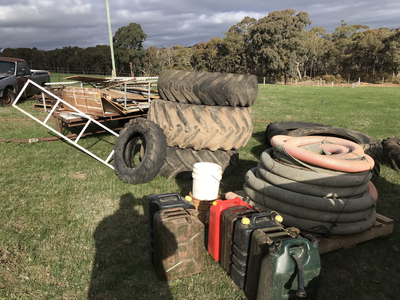 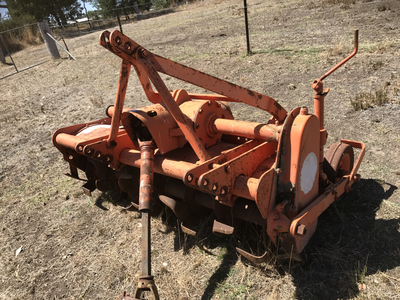 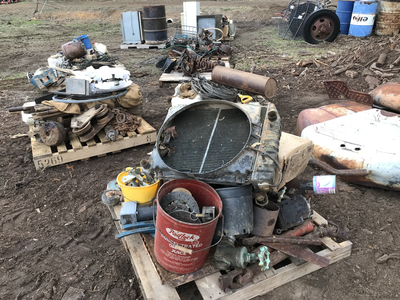 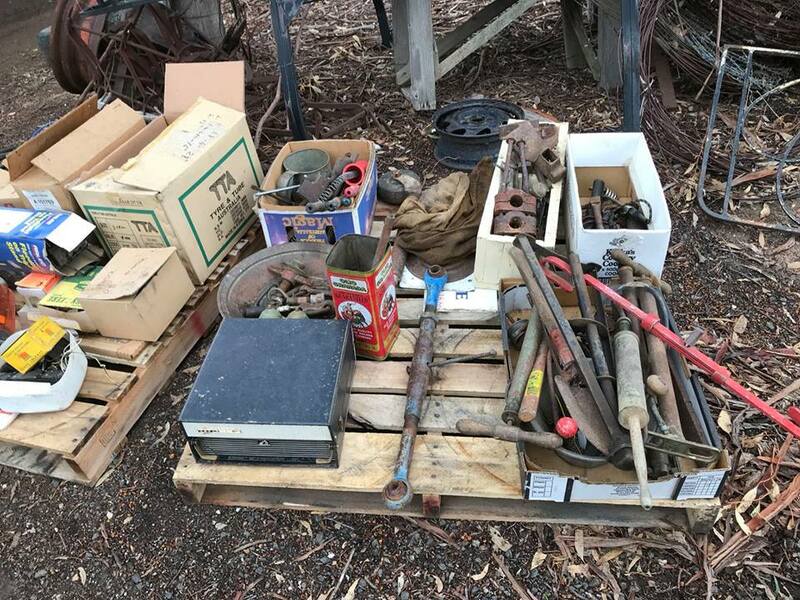 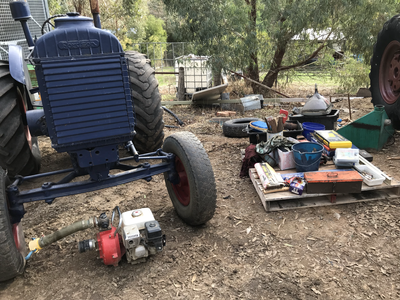 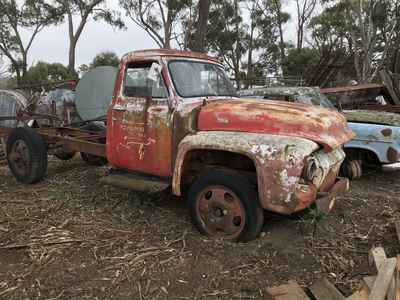 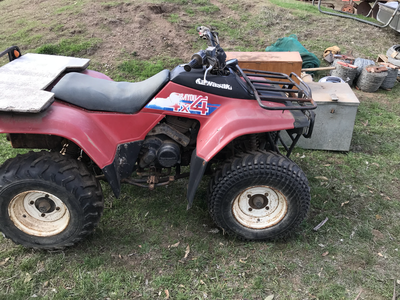 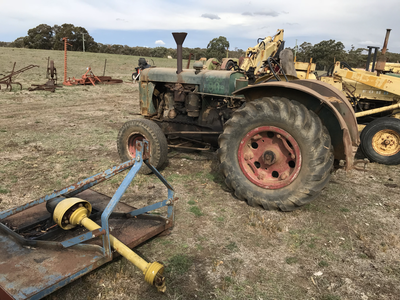 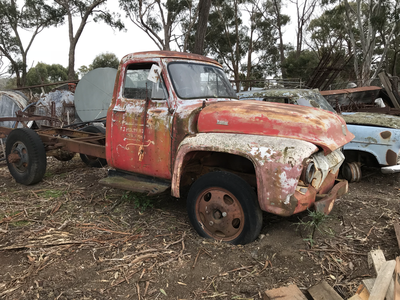 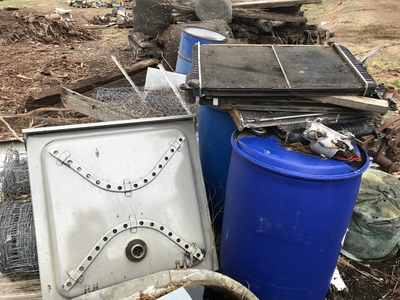 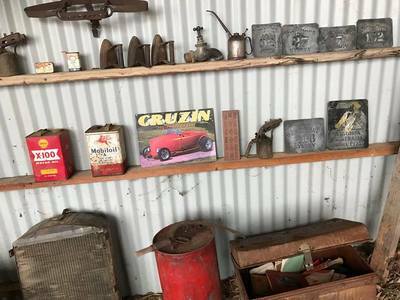 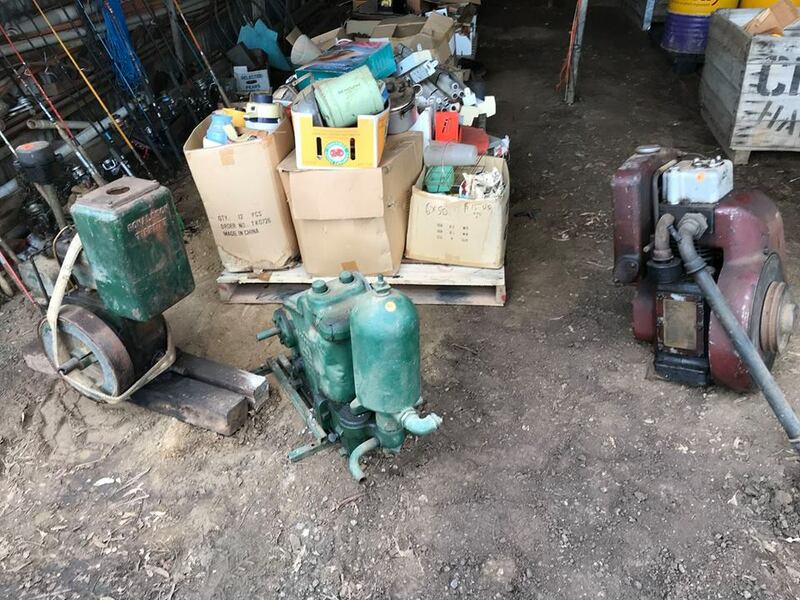 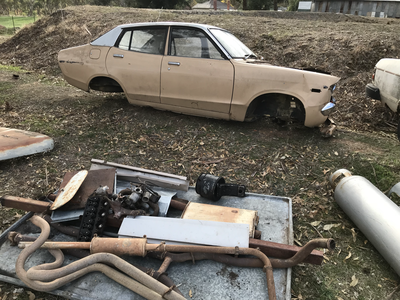 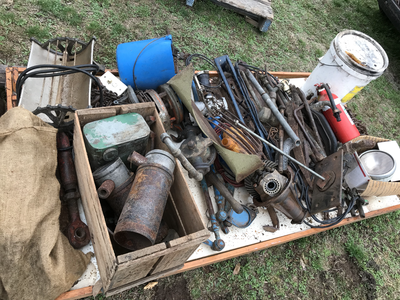 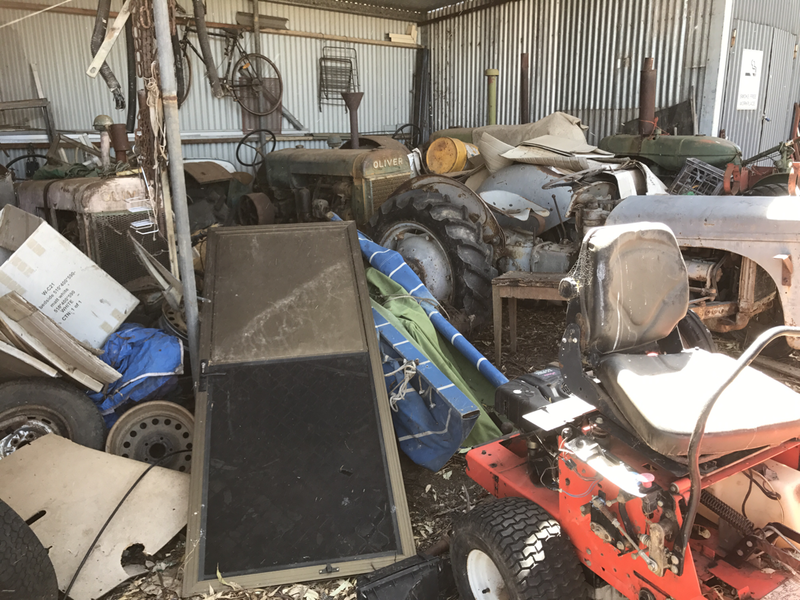 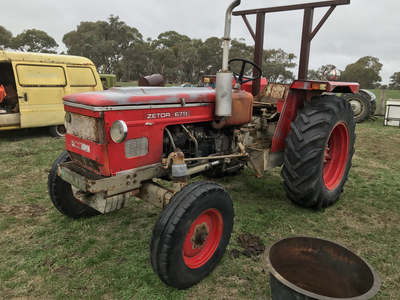 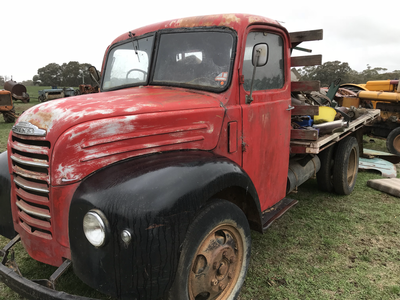 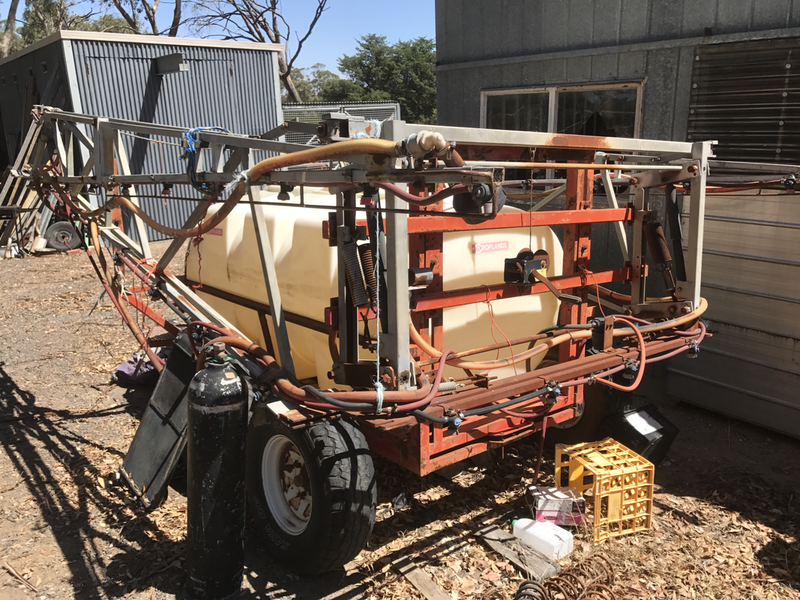 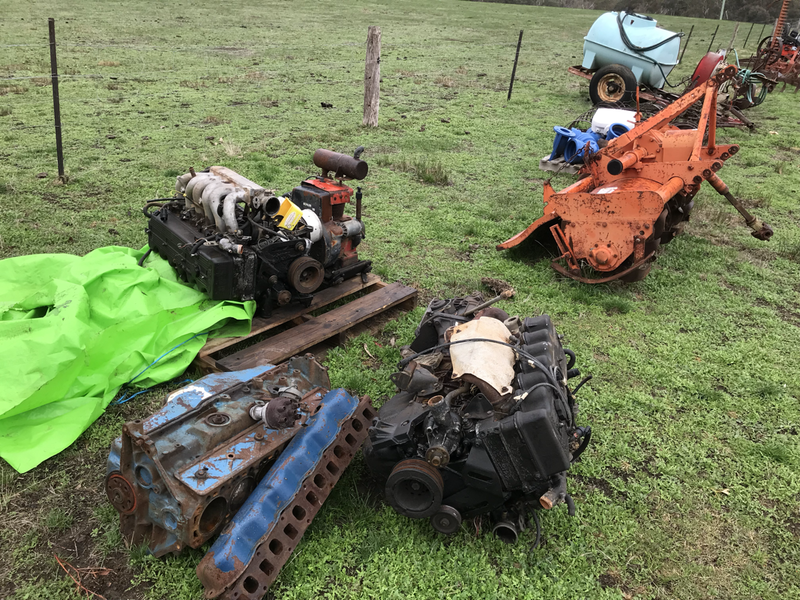 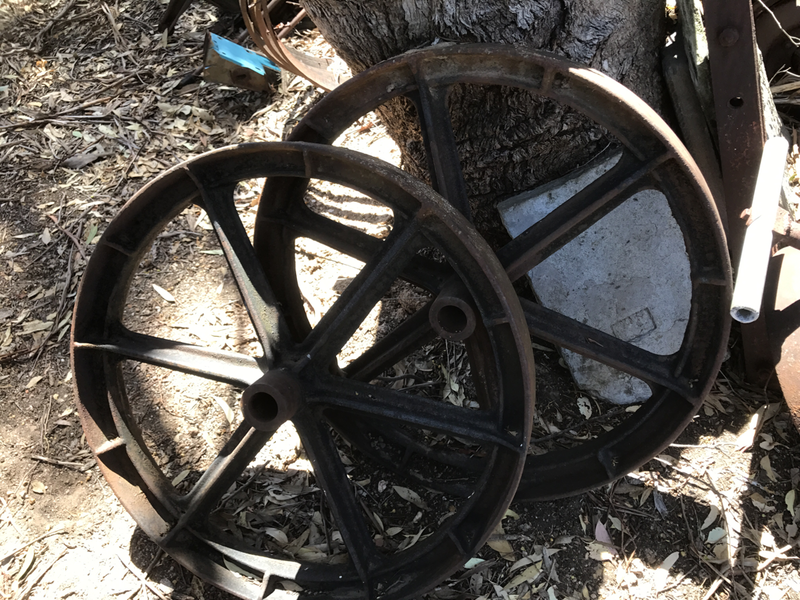 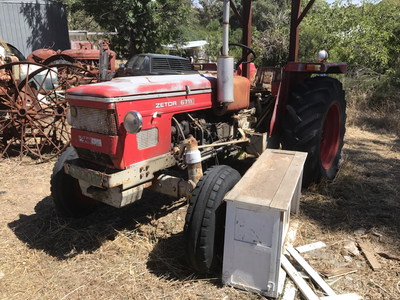 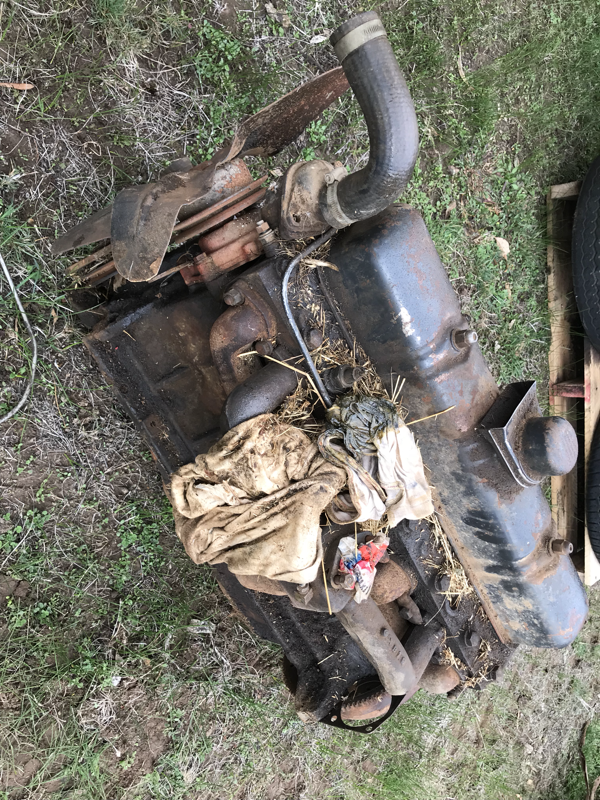 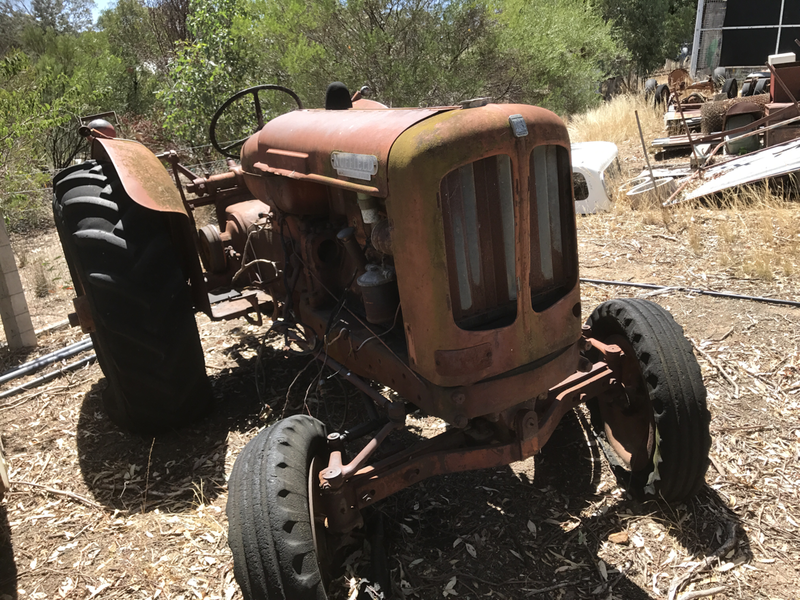 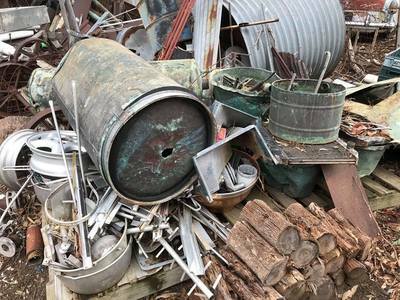 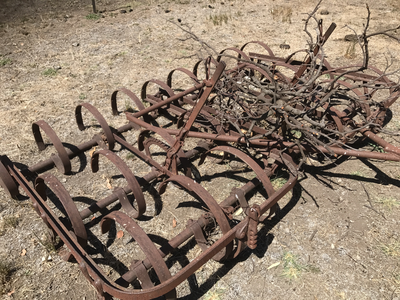 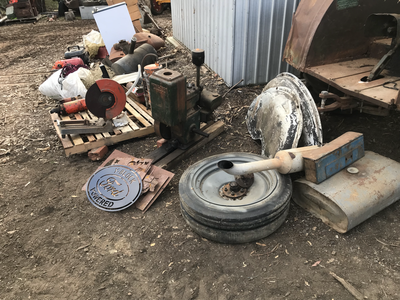 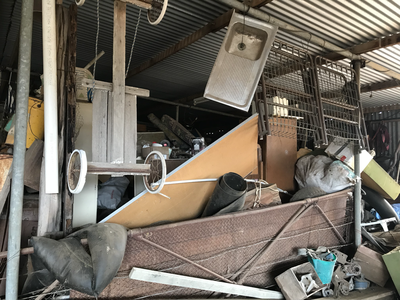 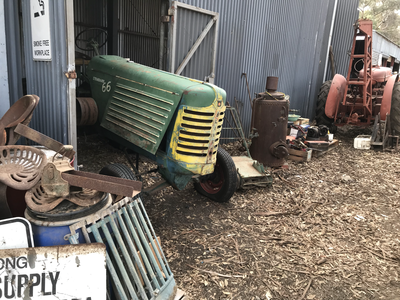 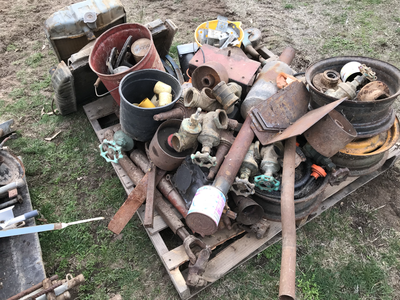 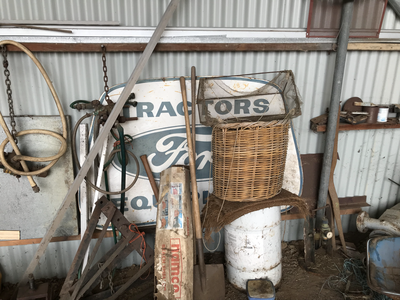 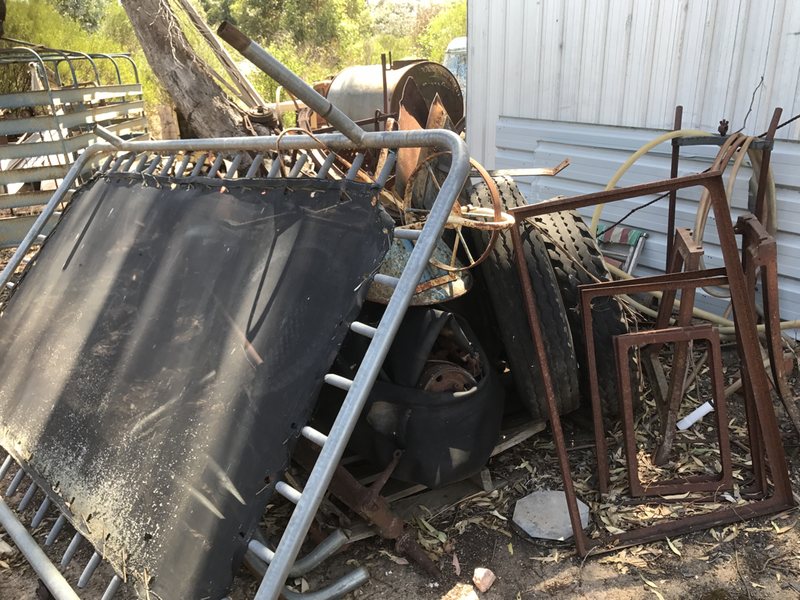 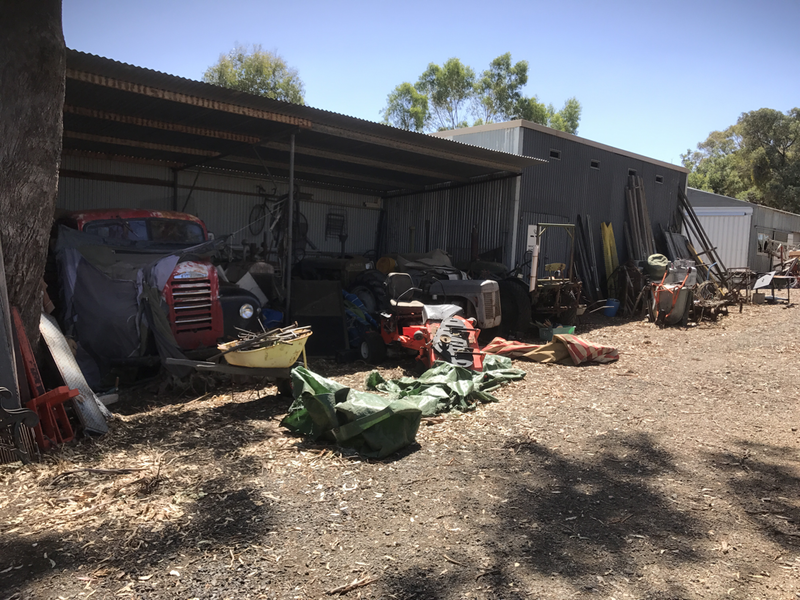 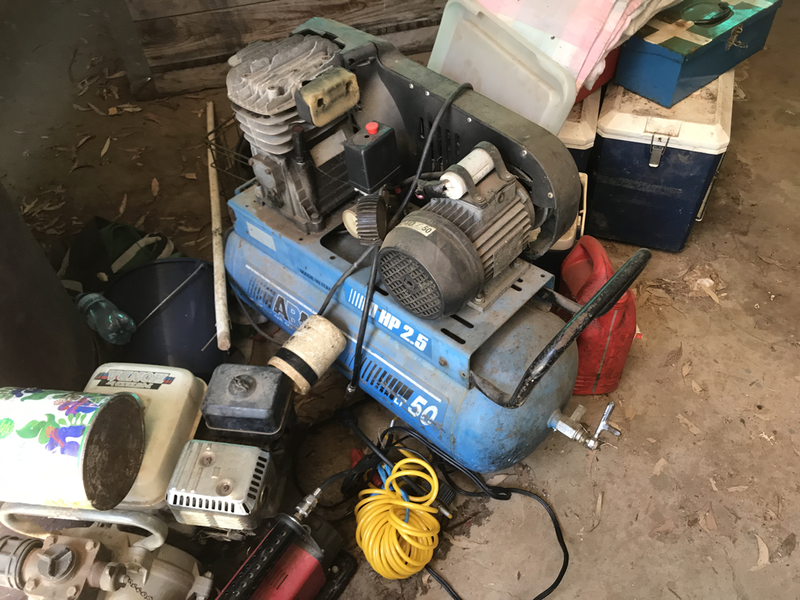 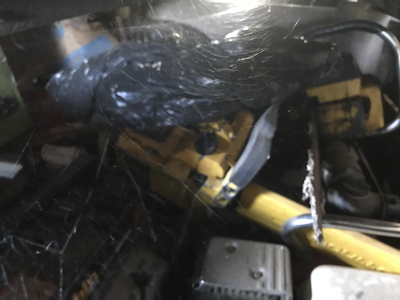 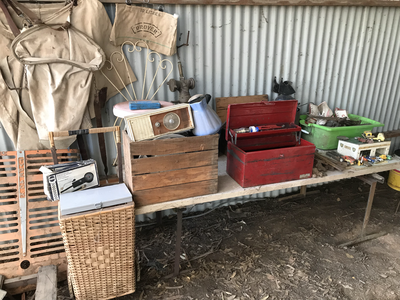 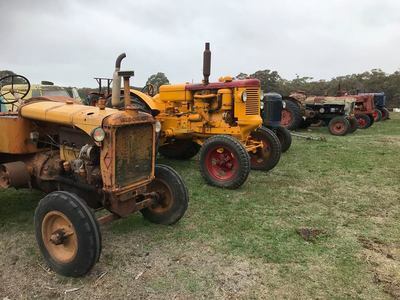 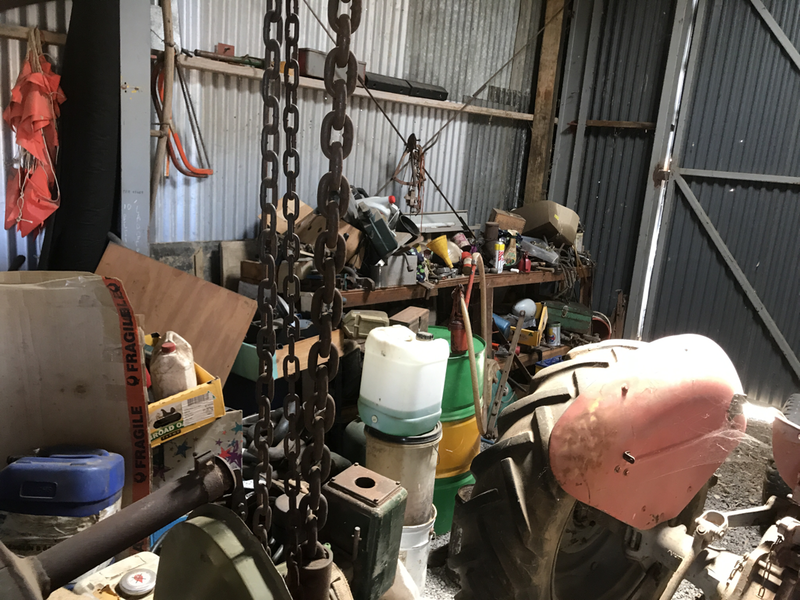 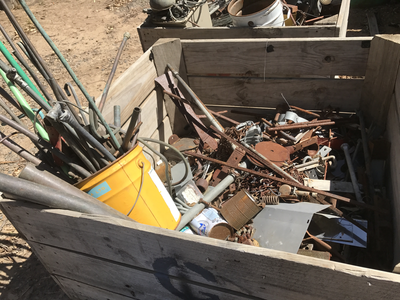 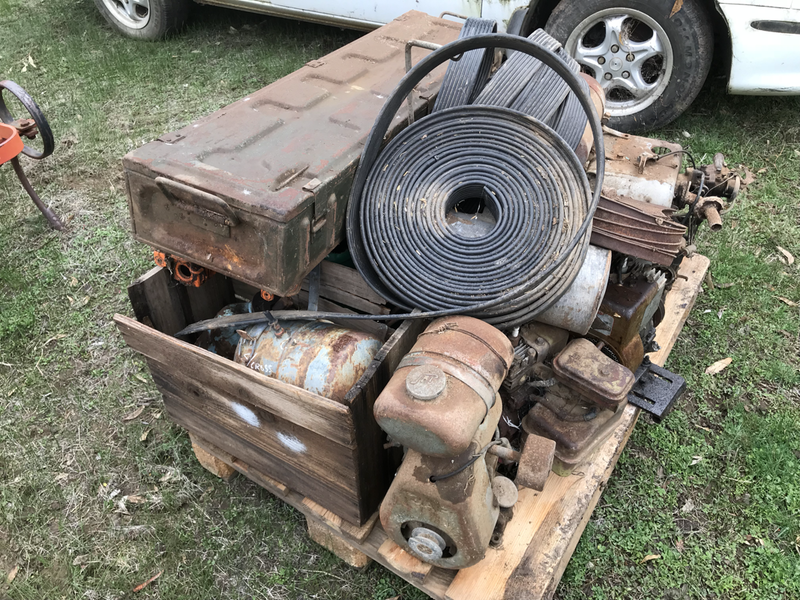 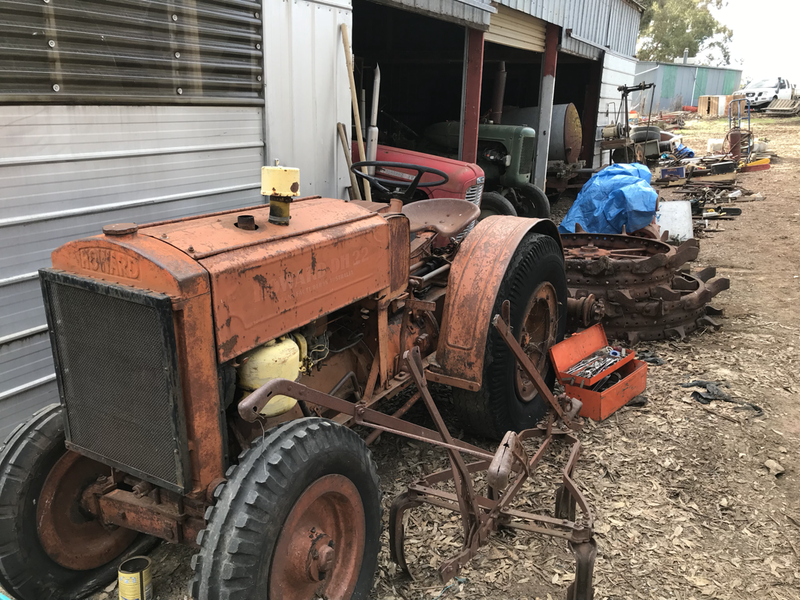 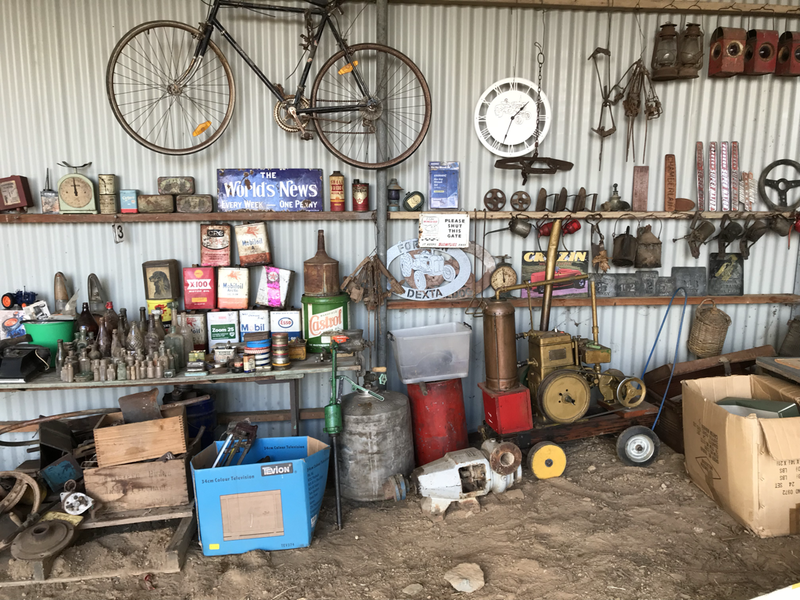 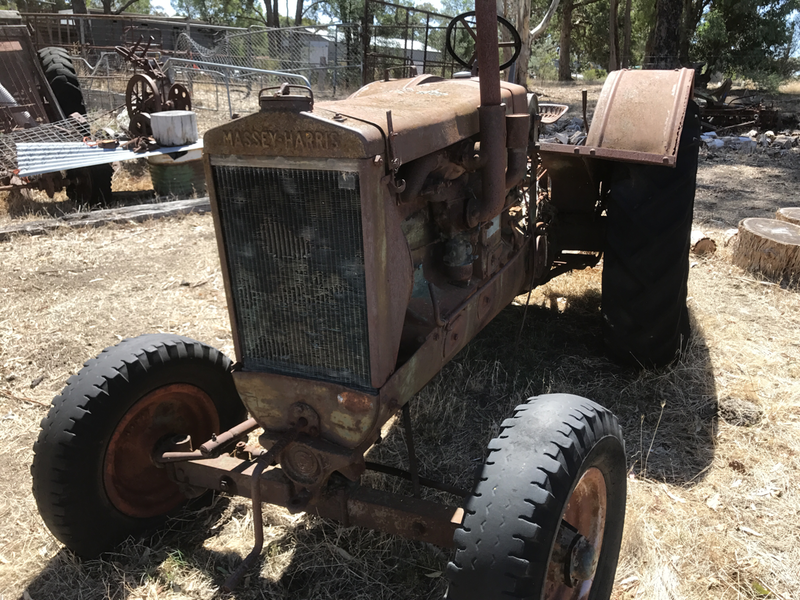 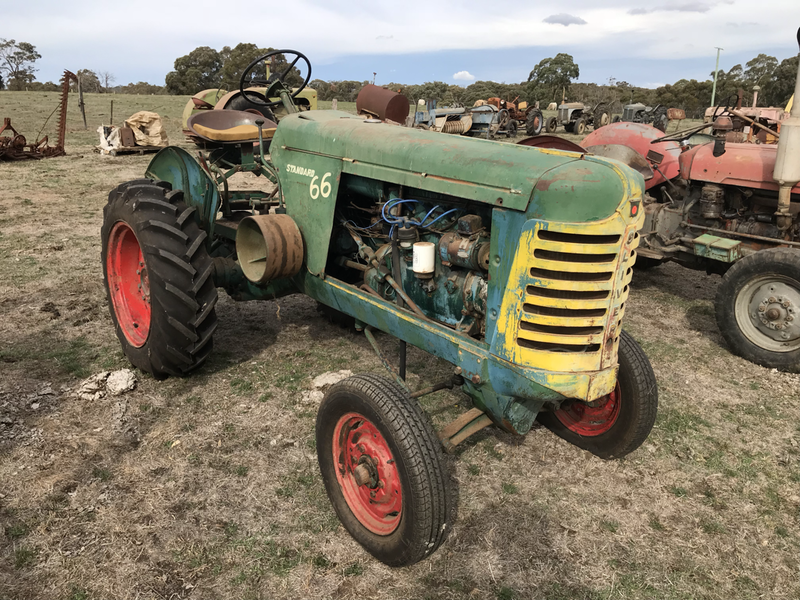 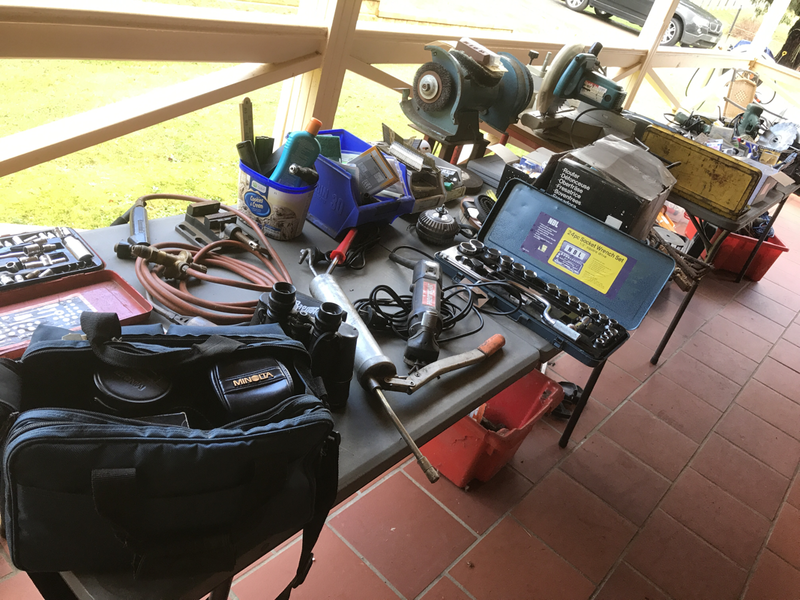 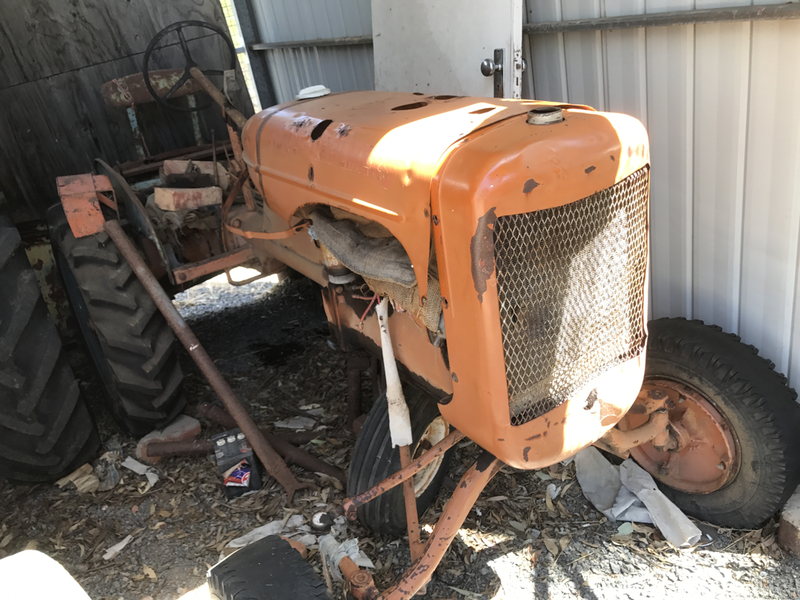 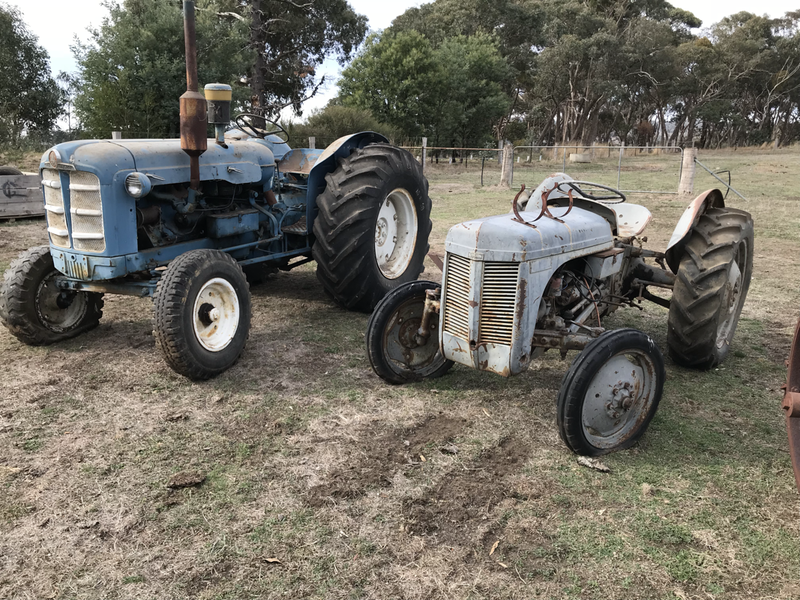 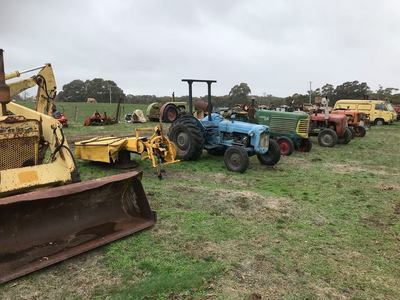 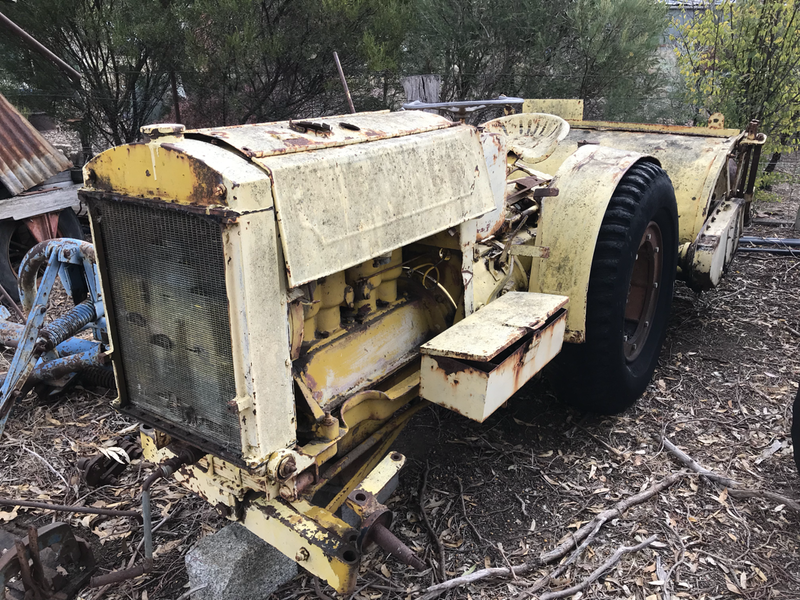 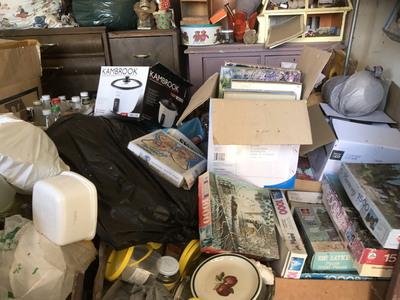 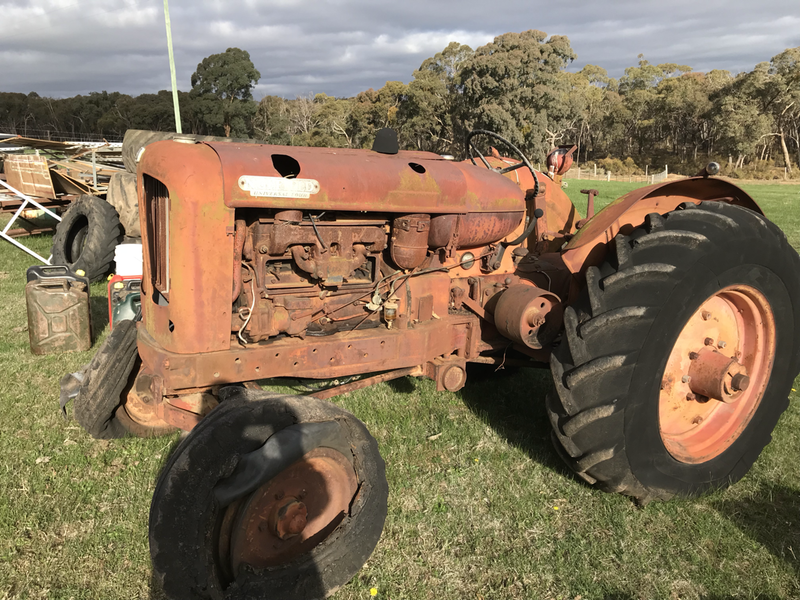 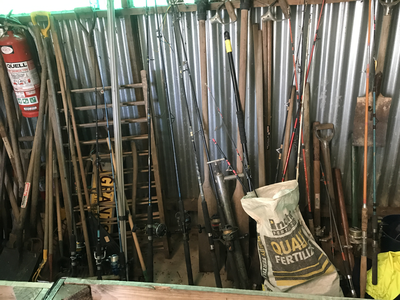 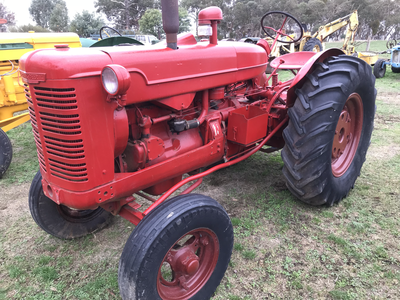 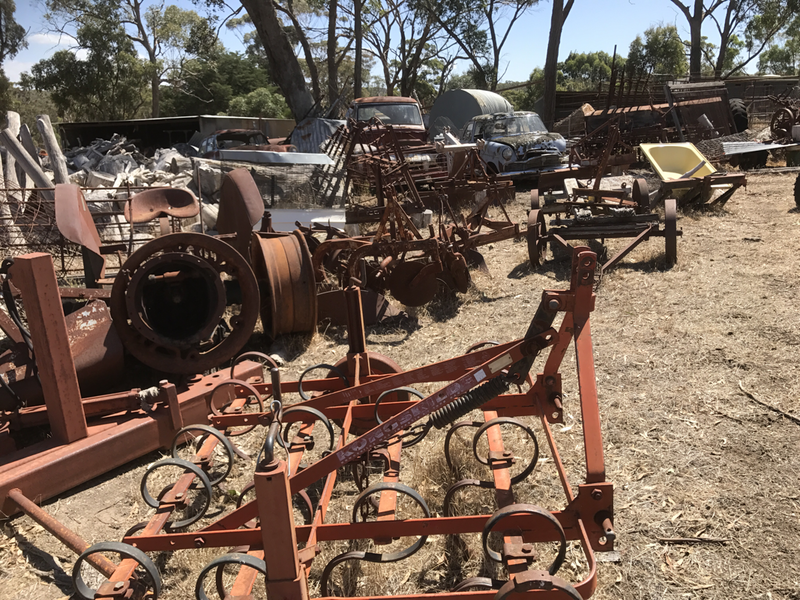 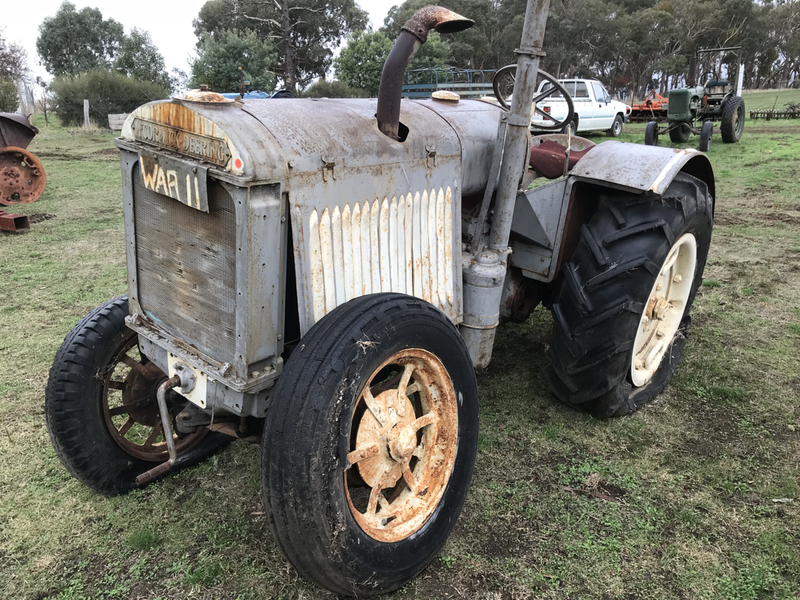 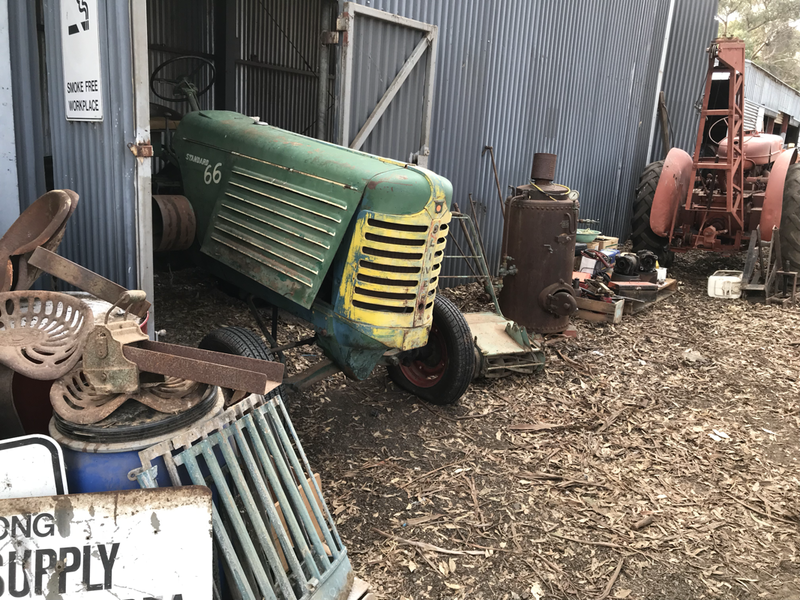 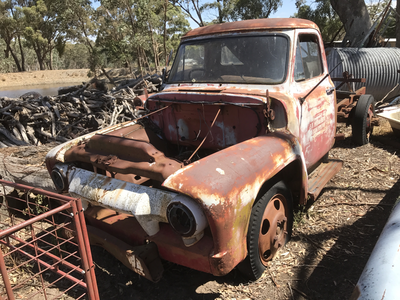 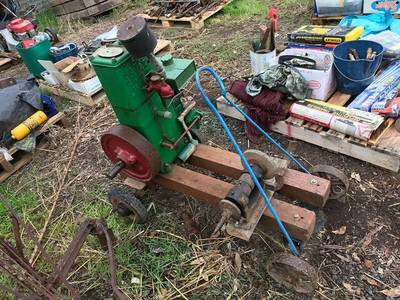 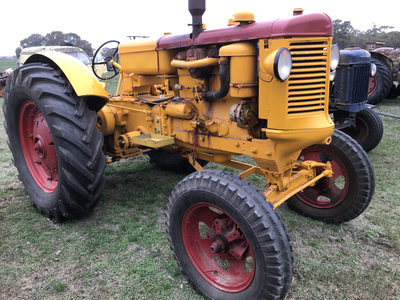 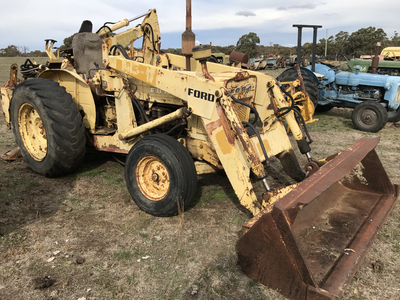 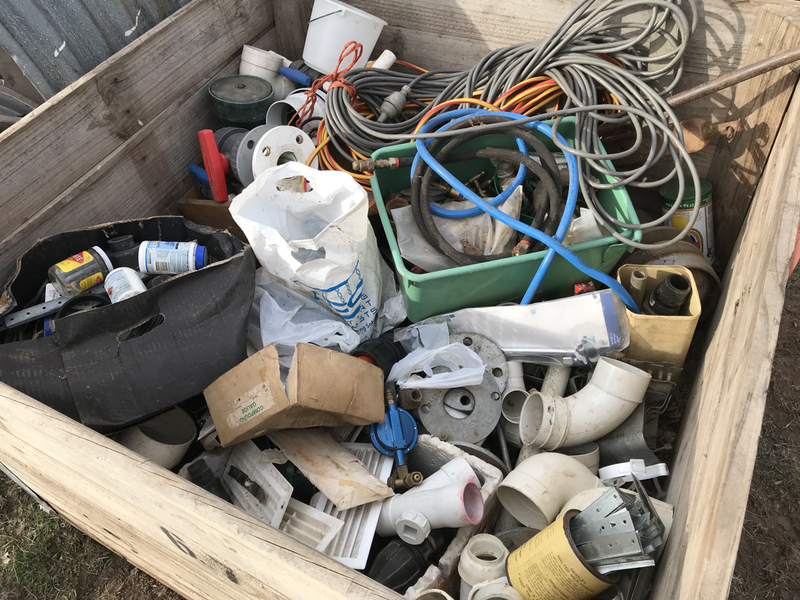 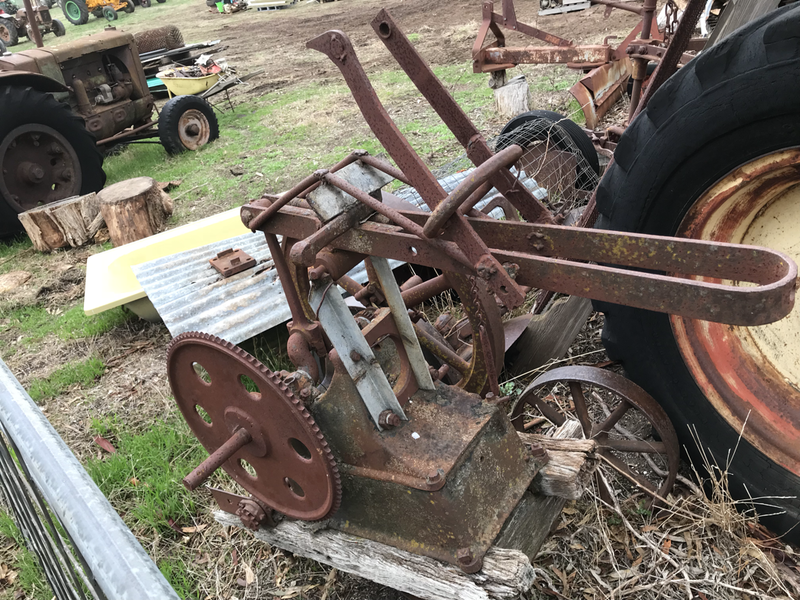 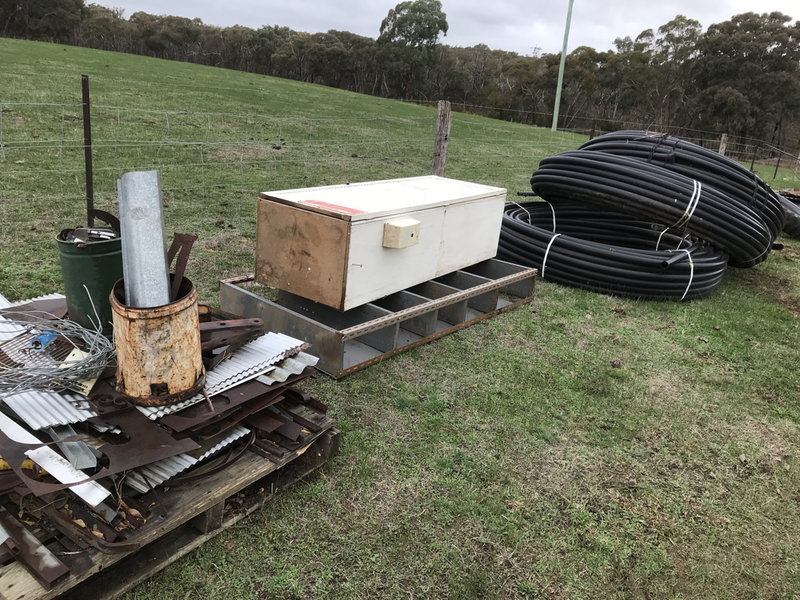 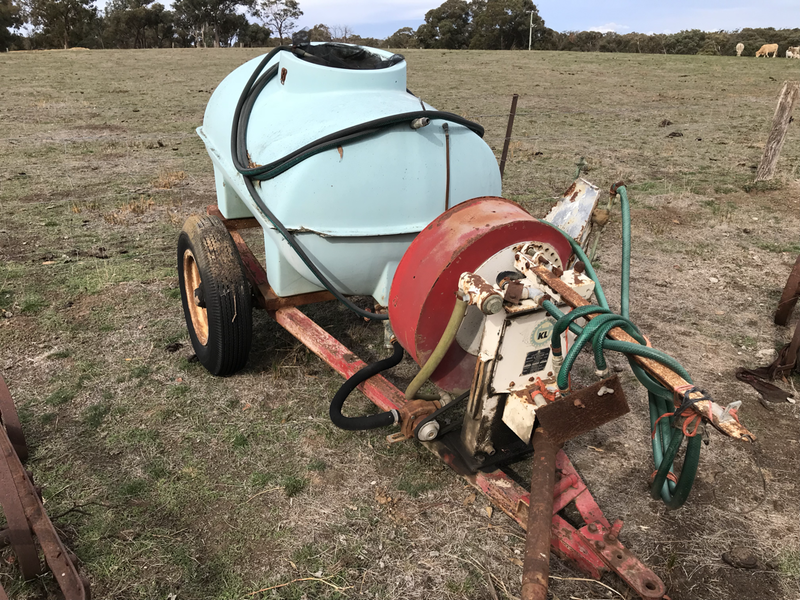 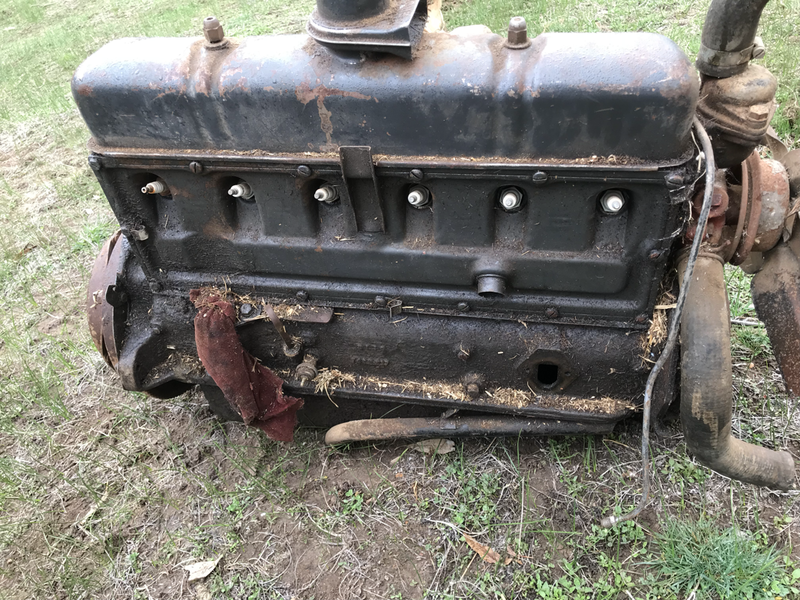 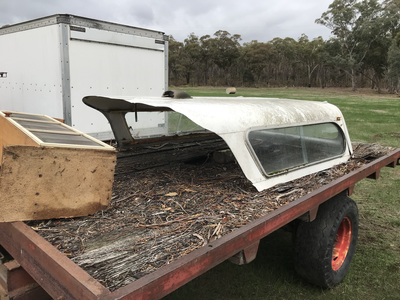 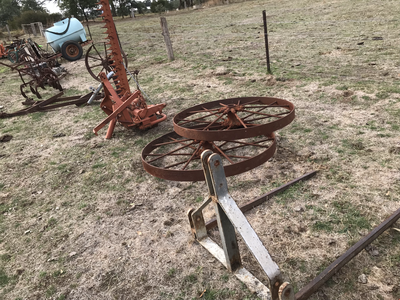 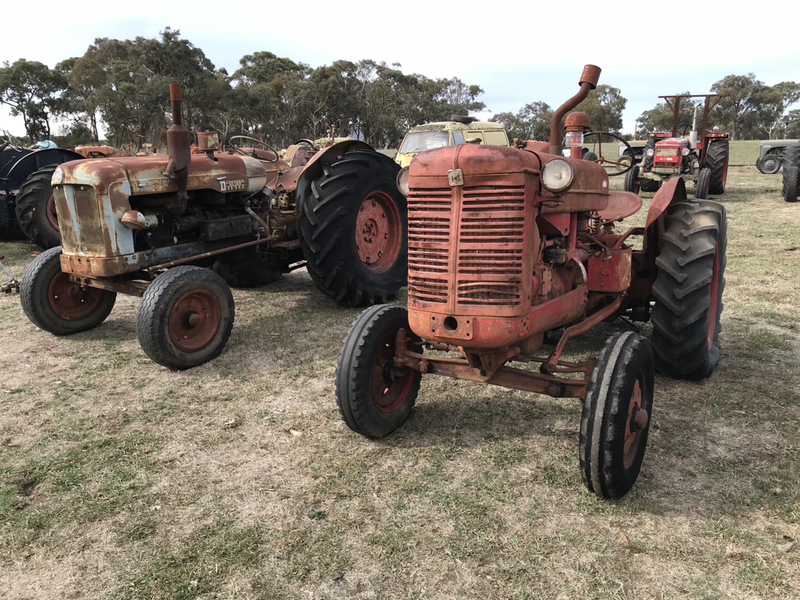 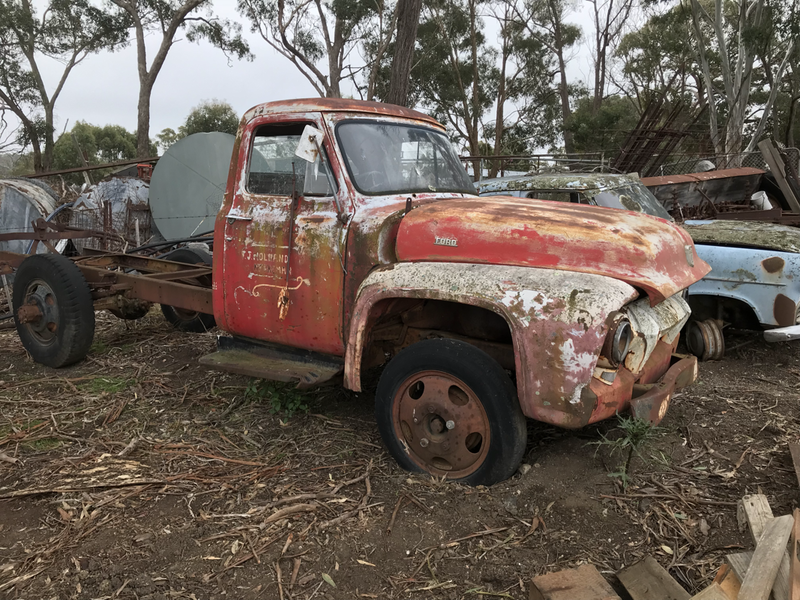 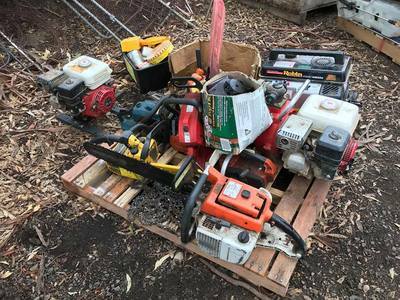 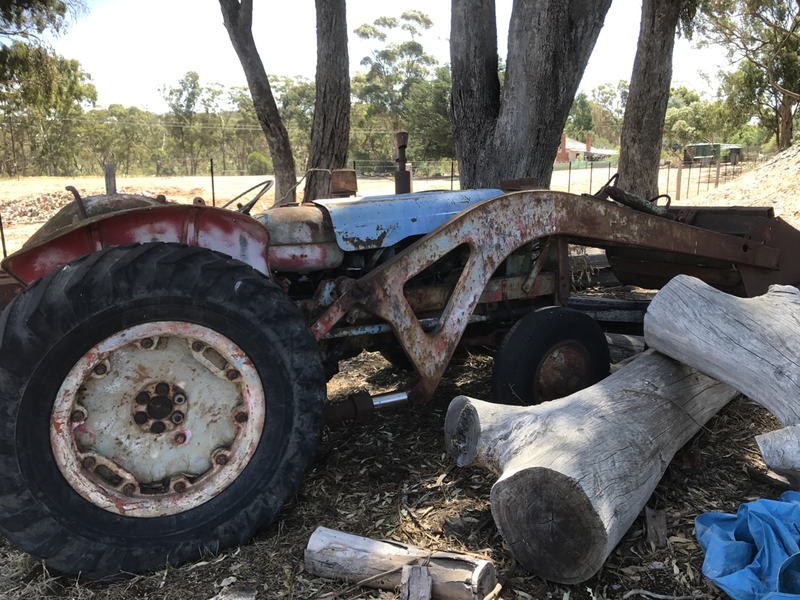 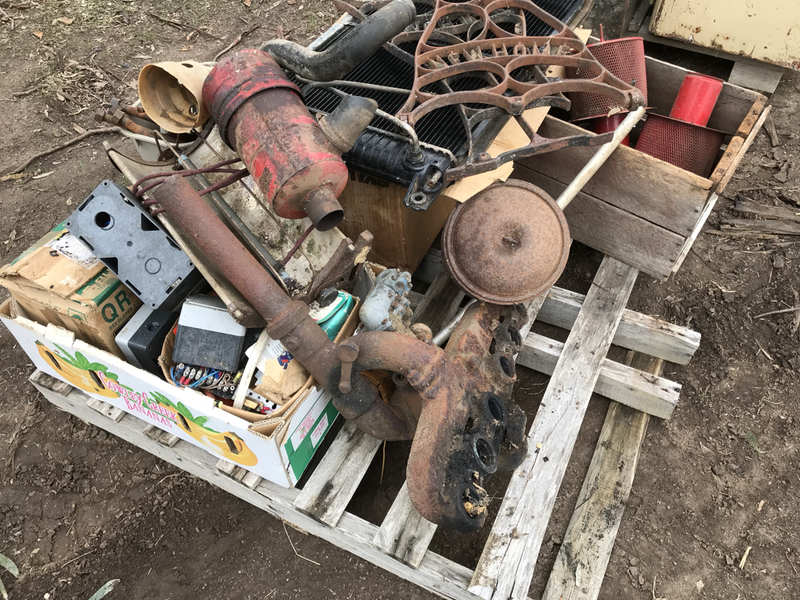 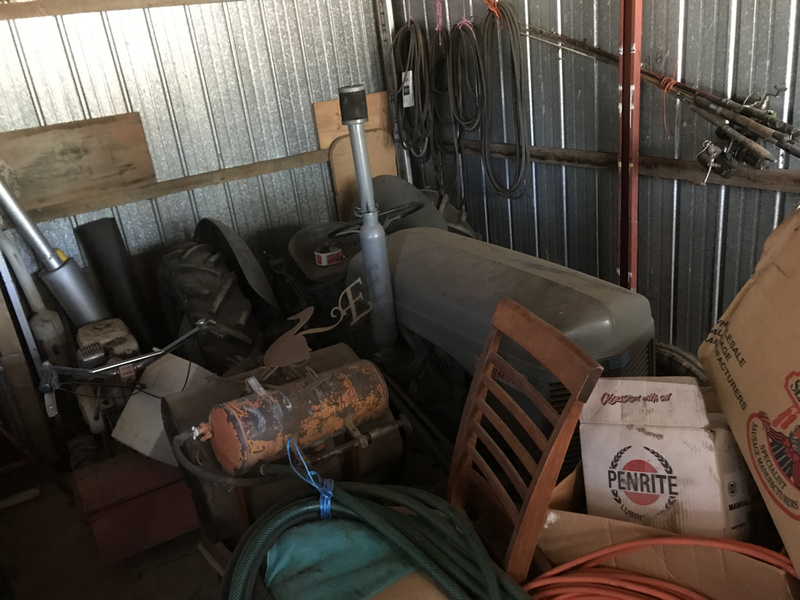 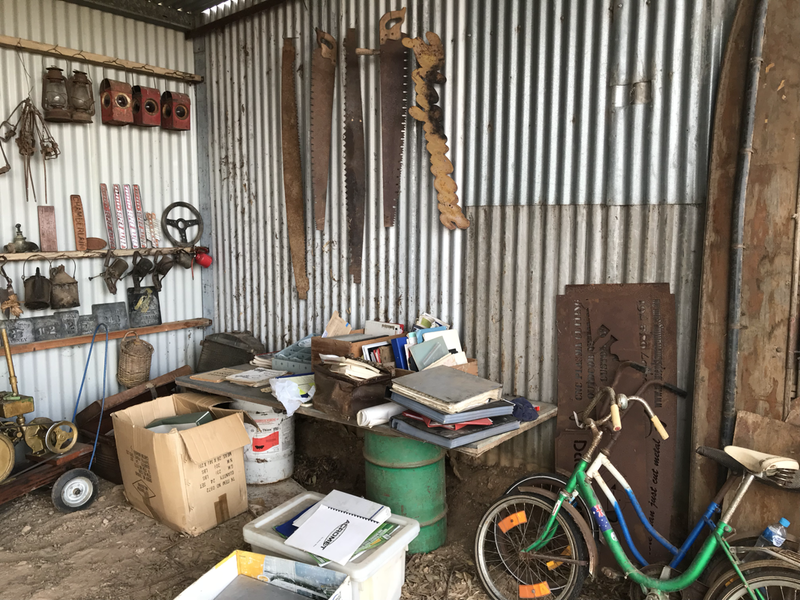 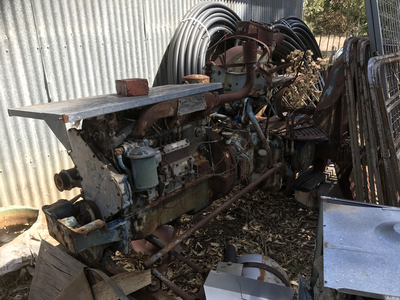 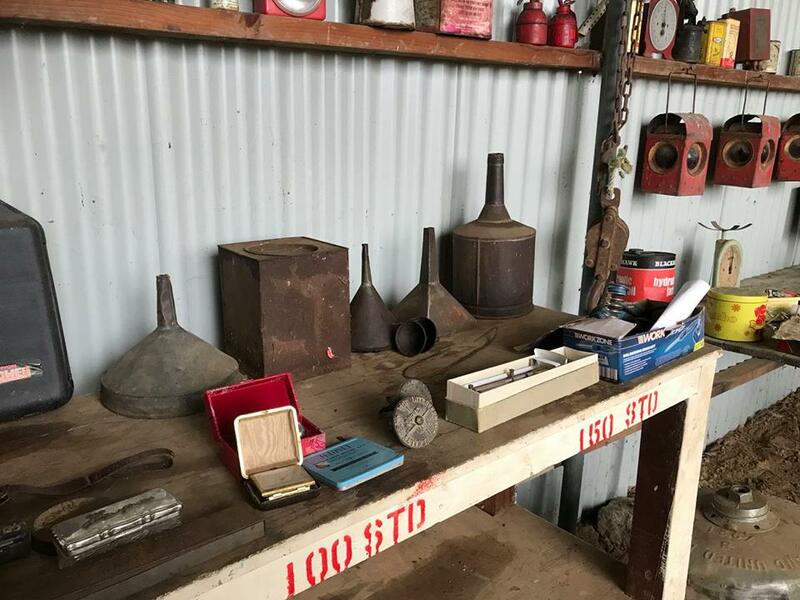 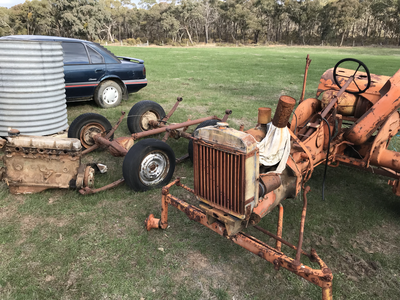 Just anything that was Collectable – 40 Tractors, Parts & Parts & more parts – Zephyr, Ford Truck, Pumps, Stationary Engines, Furphy tank, Steel wheels, & so much more! 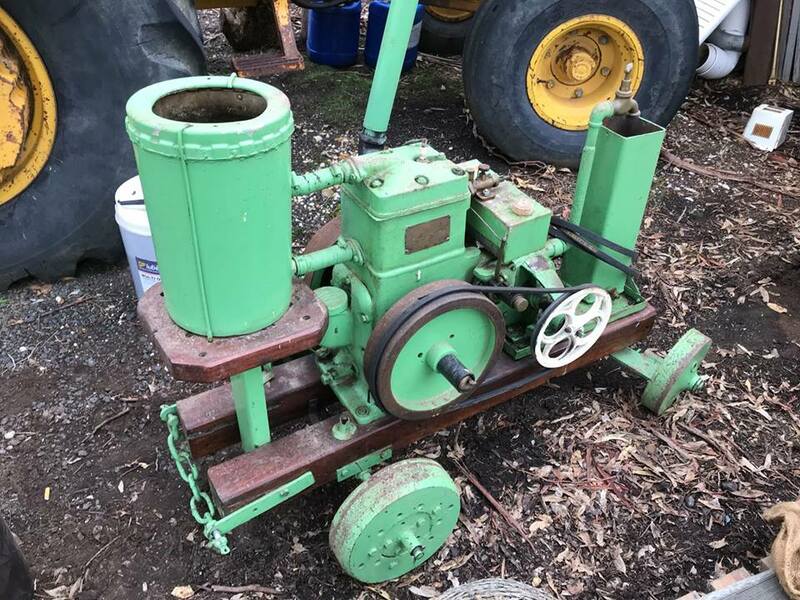 Circa 1900 Steam Engine ex Thompson’s of Castlemaine (very unique & rare), DEX Case PTO 3615281, Twin City UTS x2, W6 American, Dexter diesel E2, E27N Fordson, W30 McCormick original tin exhaust, Oliver 80 1275, Allis-Chalmers EB, Fordson Super Major with folks, DH22.3524, Massey Harris 25 70692, Fordson Major M.Moore loader, Howard DH22 3998, Three Church petrol Ferguson 1958 two stage clutch, 670 Chamberlain, 6100 Chamberlain 96HP, Leyland 154, Oliver 50, Nuffield Universal, 1962 Fordson Super Major Ivory wheels, WD Allis-Chalmers original lift adjustable wheels, Allis-Chalmers C, 1955 Fordson Major diesel raised PTO, E27N Fordson, AWD6 International Cast chassis, Ferguson 3 cyl diesel , Fordson P6 with linkage 1950, D270 Allis-Chalmers tool bar, Allis-Chalmers U 1952 plated P.J. 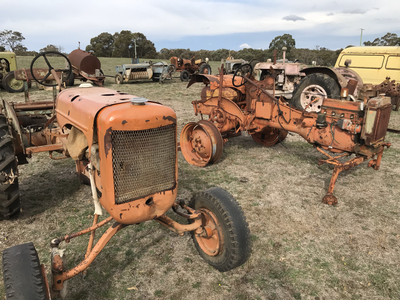 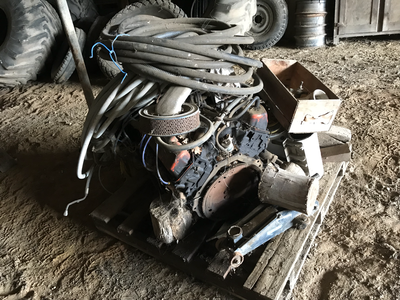 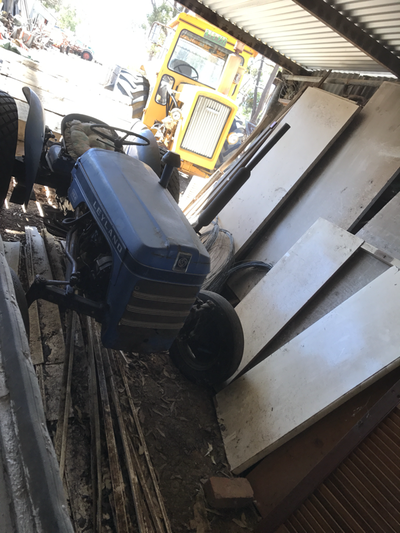 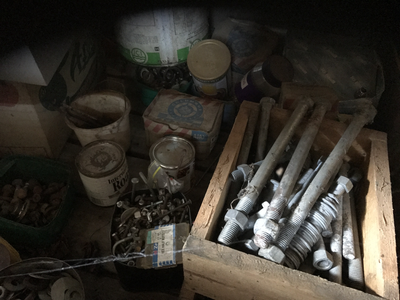 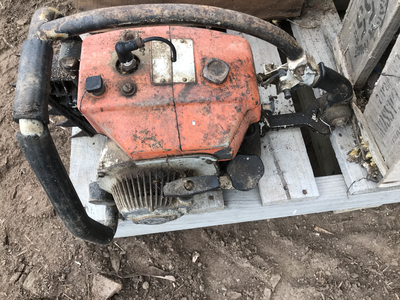 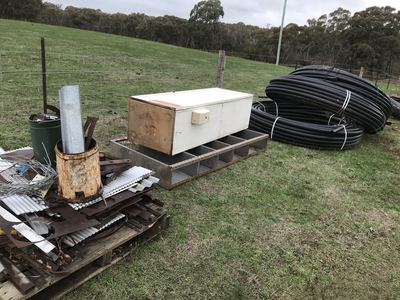 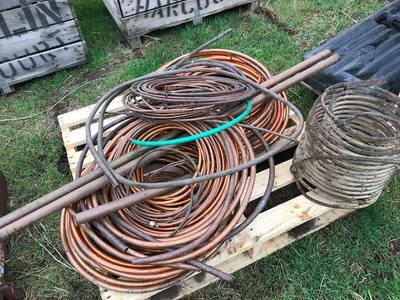 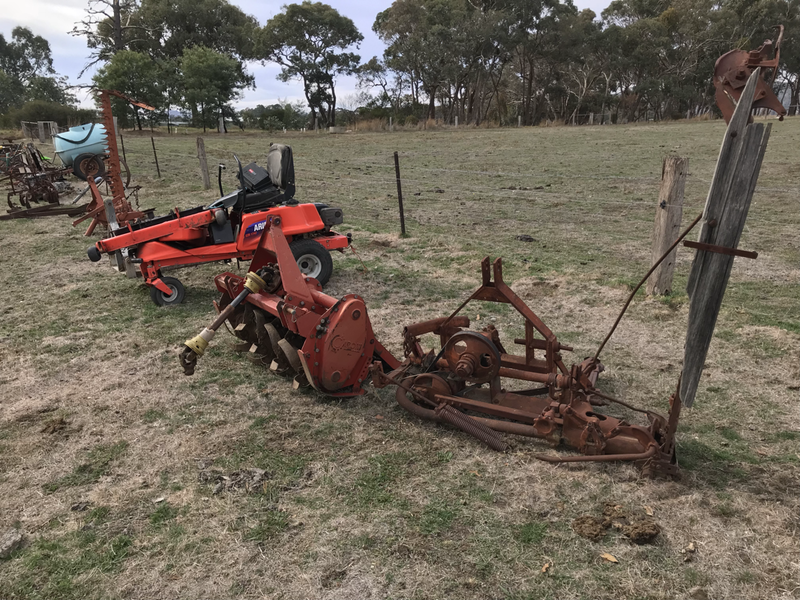 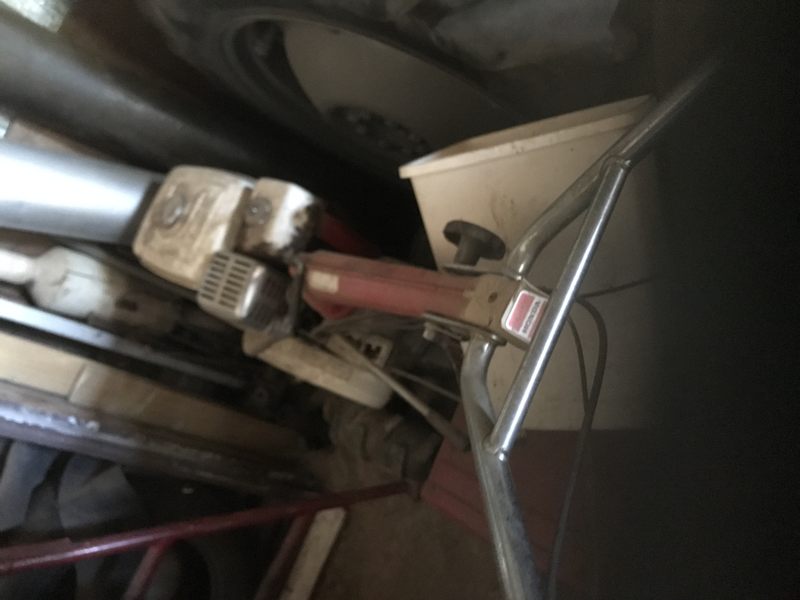 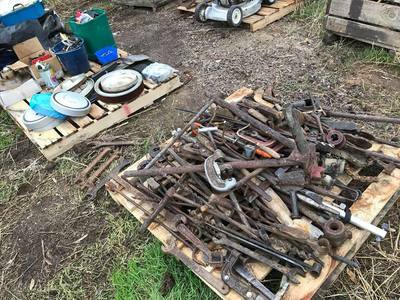 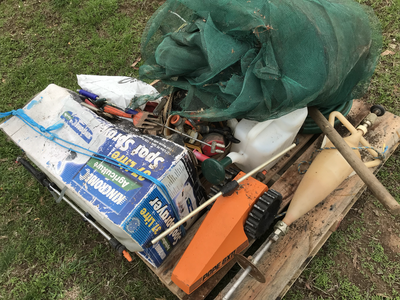 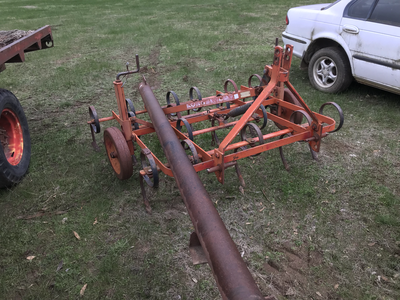 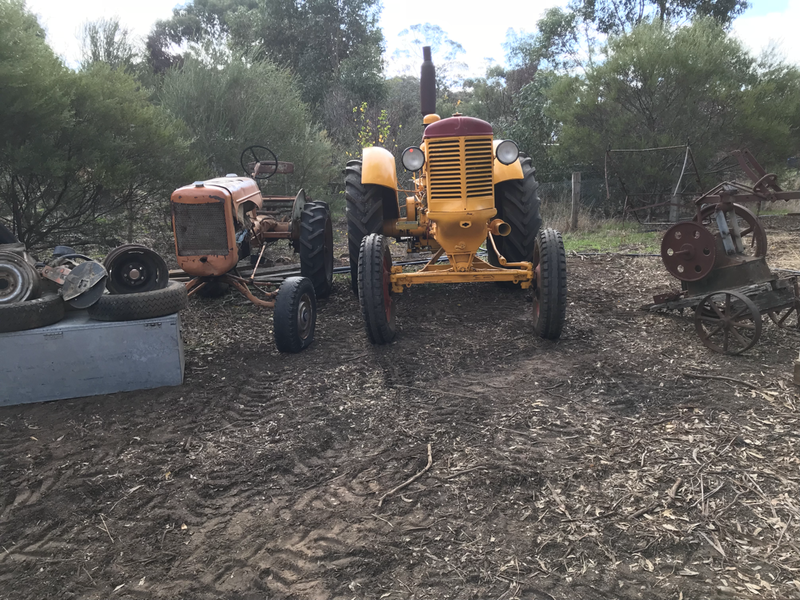 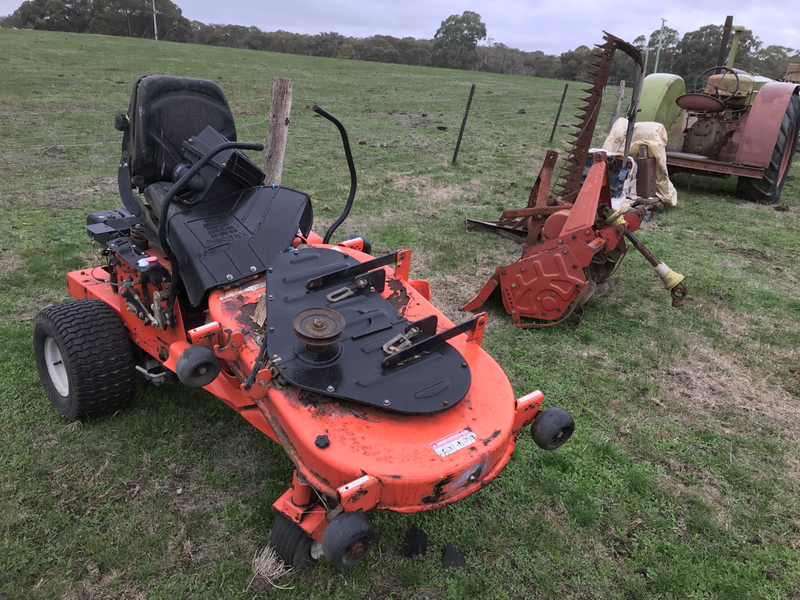 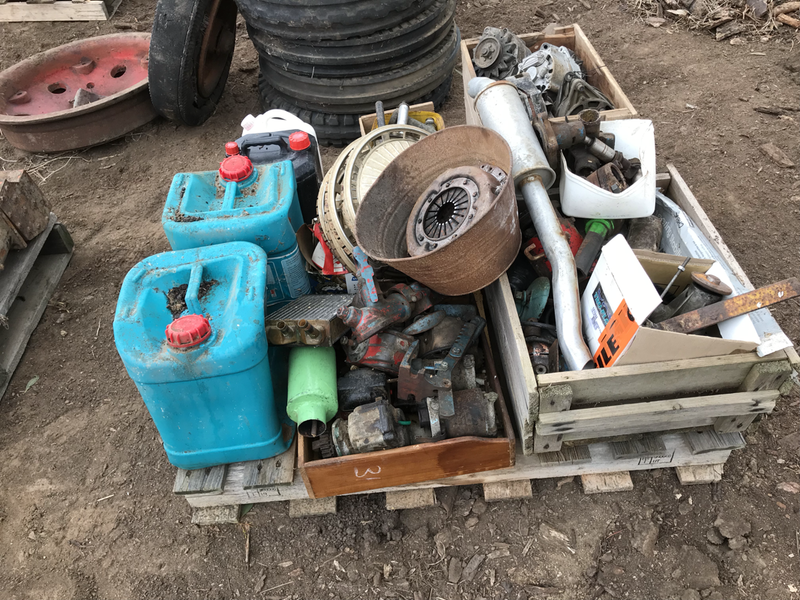 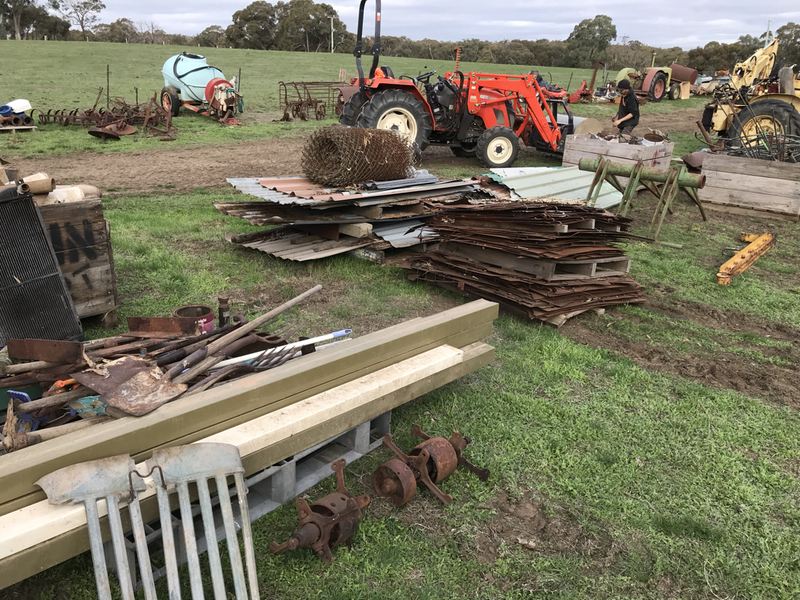 Taylor Wagga, Allis-Chalmers U, Zetor 6711, Ford 3000 F/E B/Hoe 1969, Allis-Chalmers & incomplete & shed of tractor spares of all types. 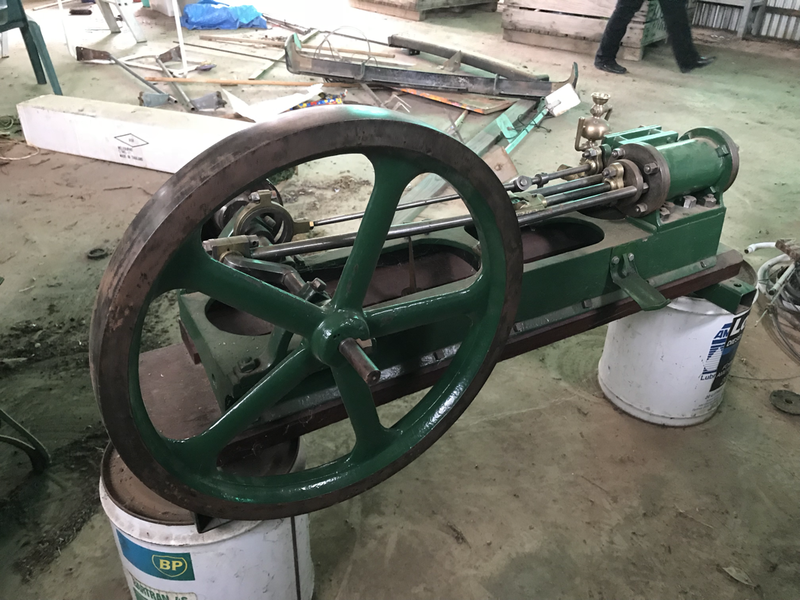 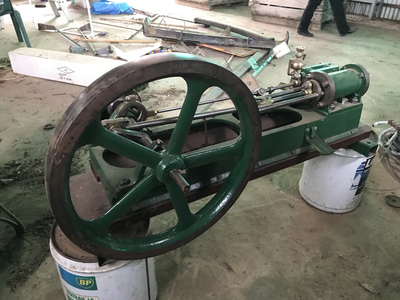 Fordson dates are approximate only and Full description on our website & catalogue closer to auction. 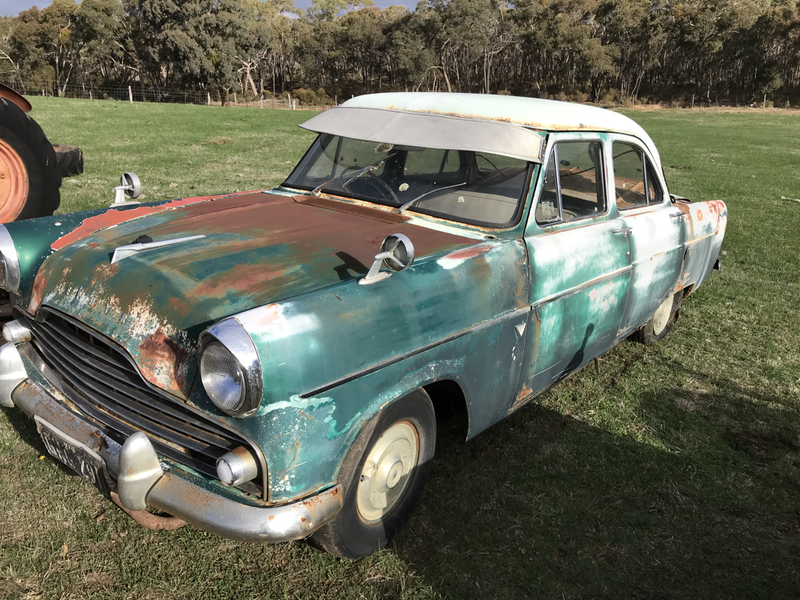 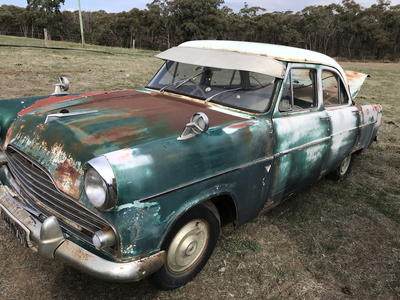 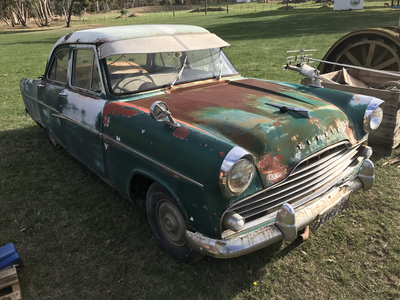 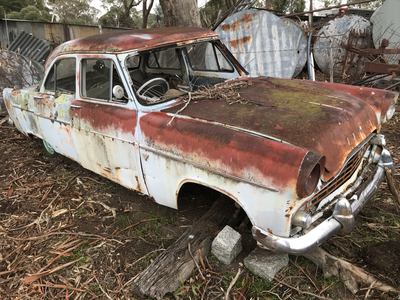 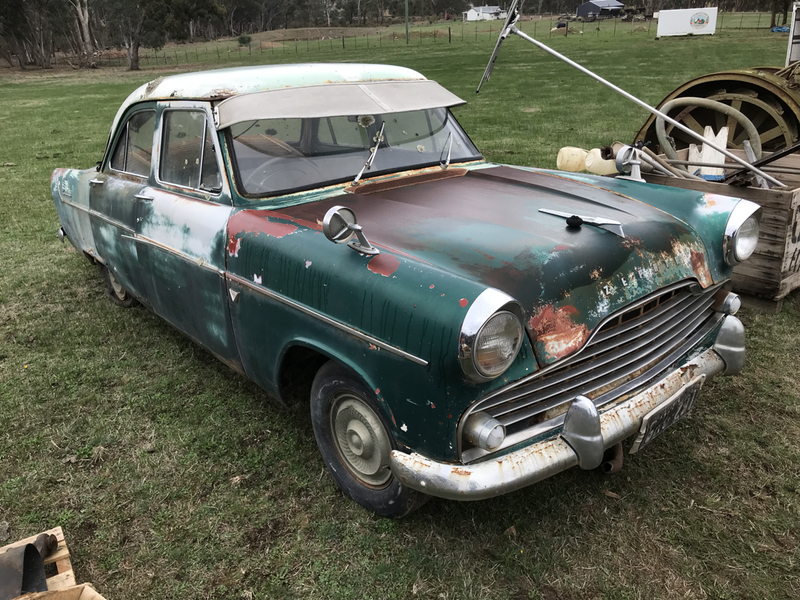 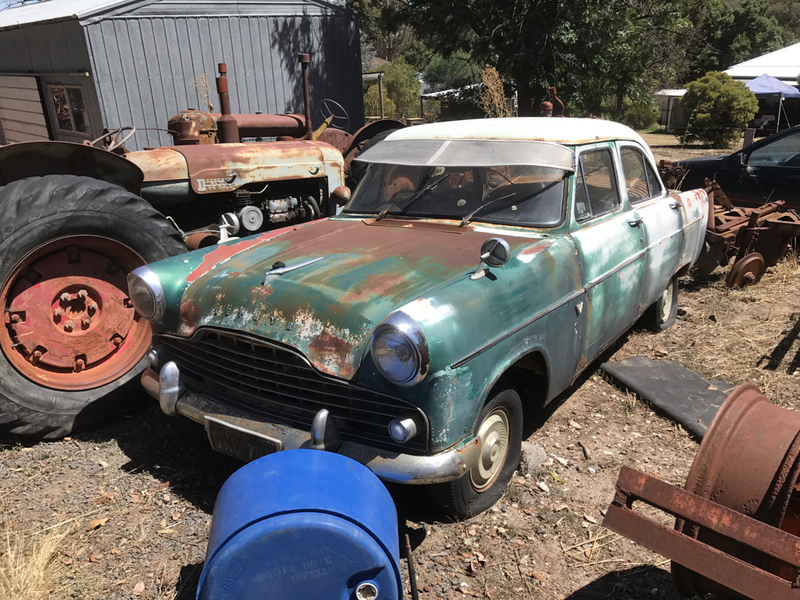 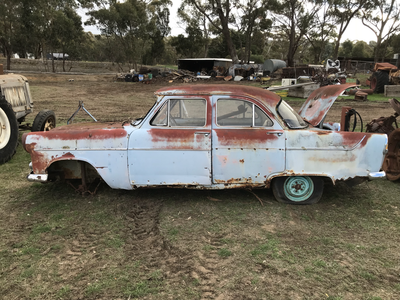 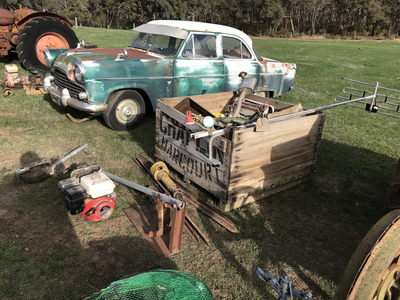 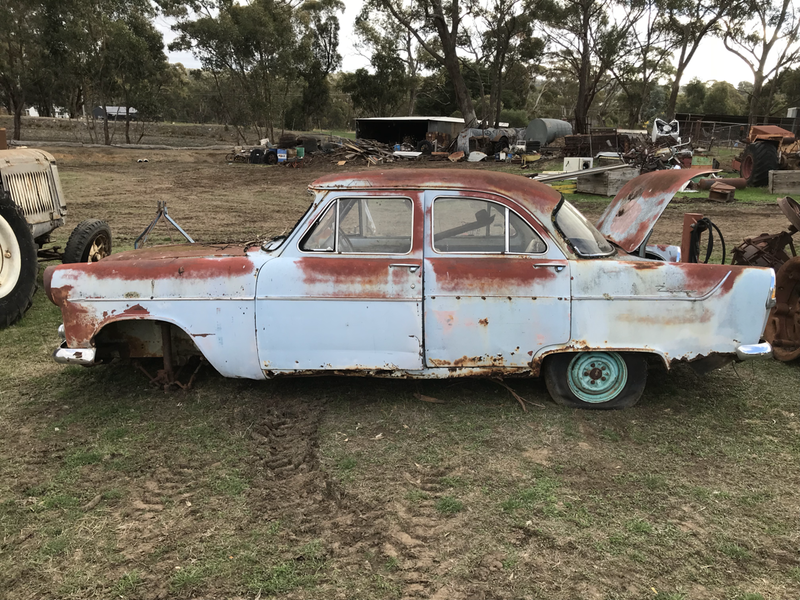 Ronaldson Tipet, Record, Roseberry, Wosley, Phelps Magnet, Moffat Virtue, Cooper Shearing plant, Southern cross P.AA 4HP, Lots of stationary engines, Pumps of all descriptions & Parts & Bits & Pieces, 1954 Ford truck Cab cassis great cab, 1956 Zephyr sedan complete car x Aunty’s car & also another one almost complete, 1953 Themes 21 Stud crab dist local Barker’s Creek truck, P6 Perkins, 1994 Falcon Futura, E2200 Van, Gemini, Falcon, Commodore UTE, Other cars, all of the above Motors, S/motors, Generators, Panels, Grills, Guards, Electrical, Chassis, Wheels – too much to mention! 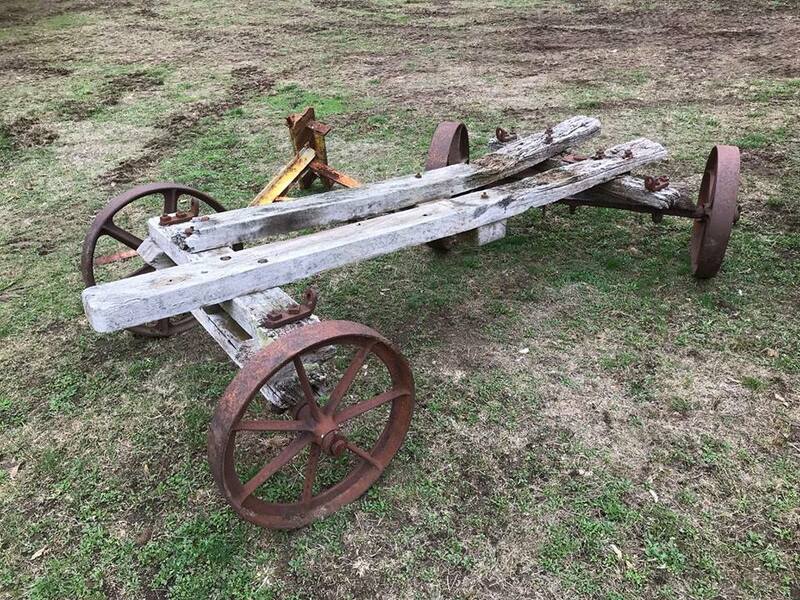 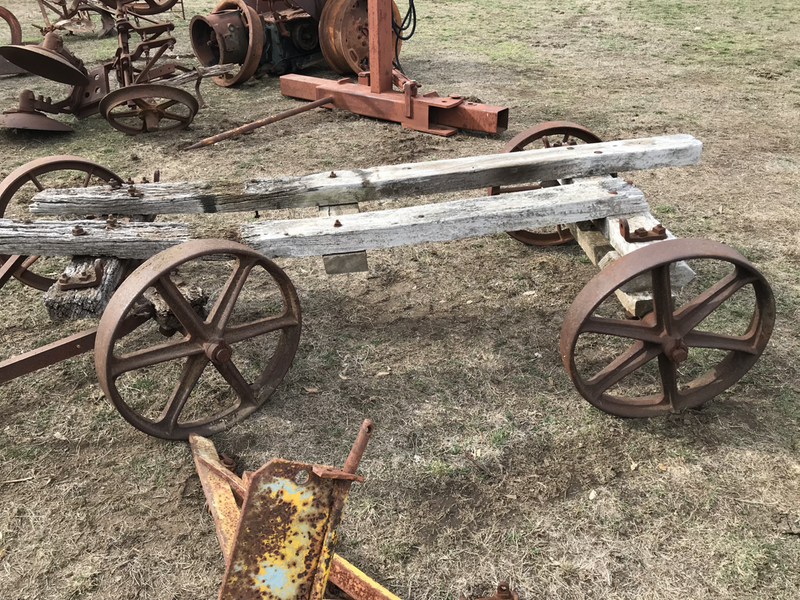 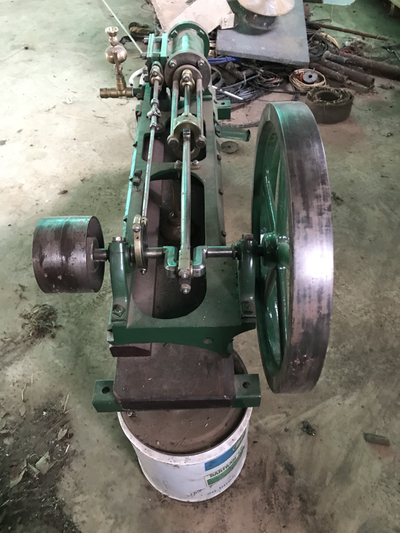 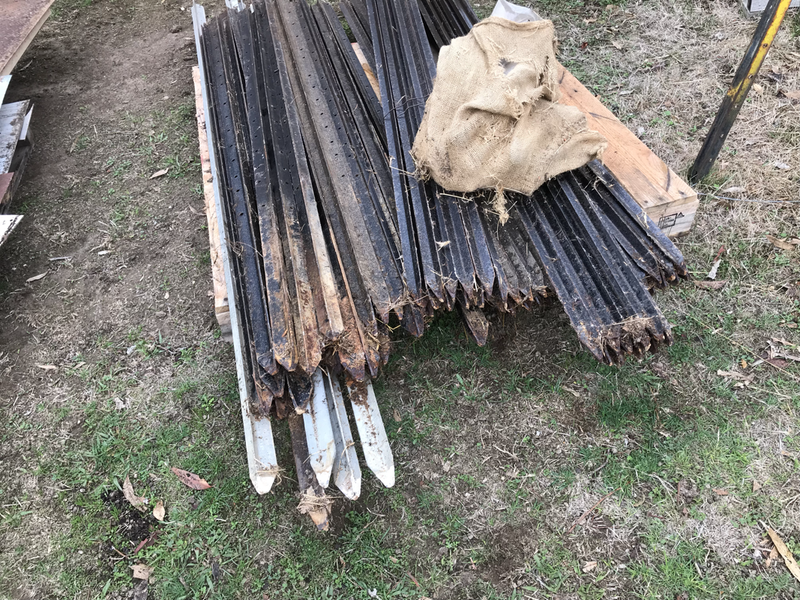 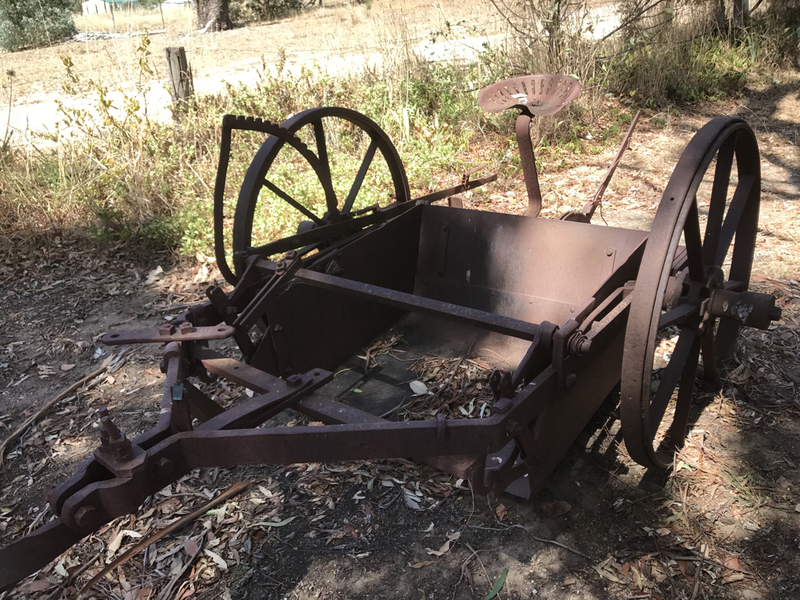 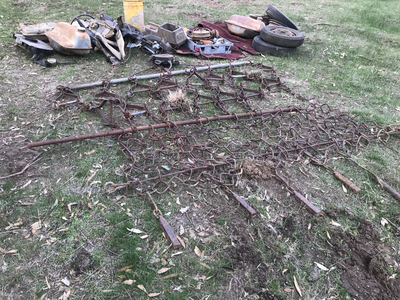 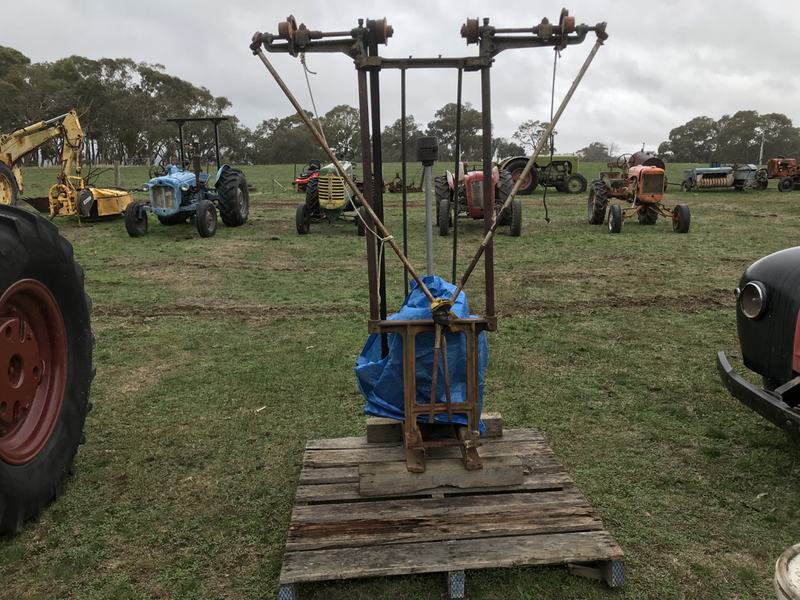 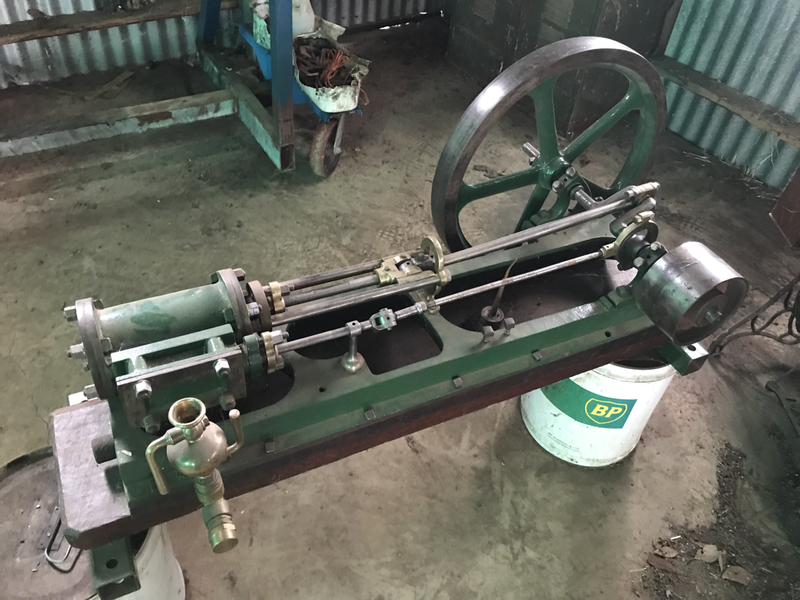 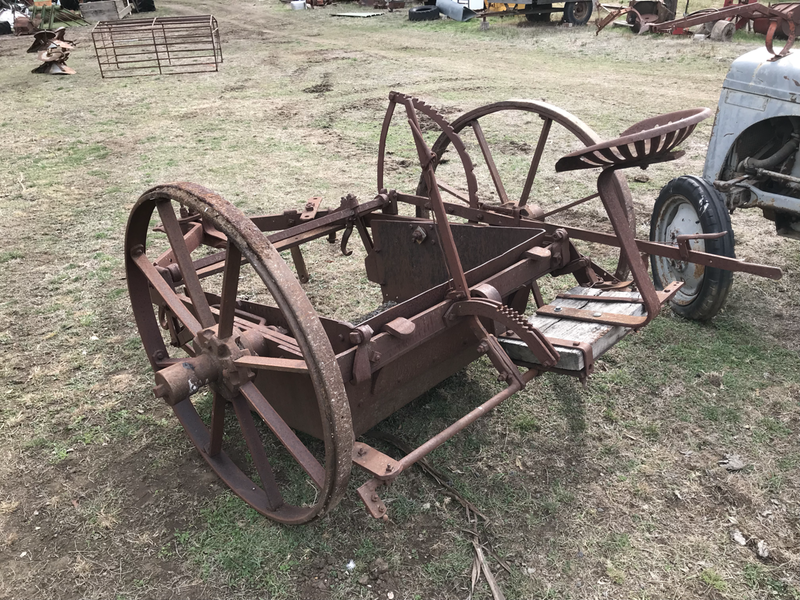 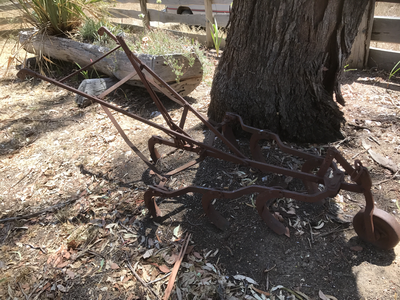 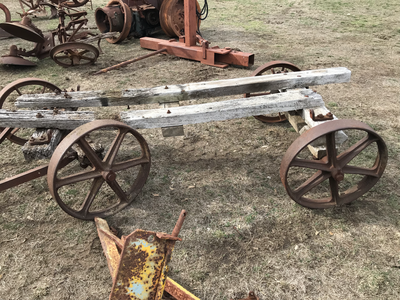 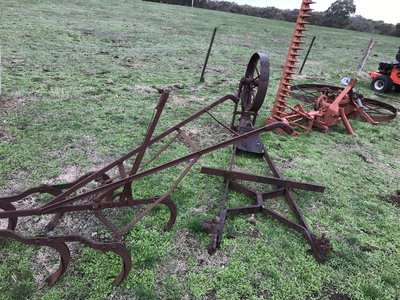 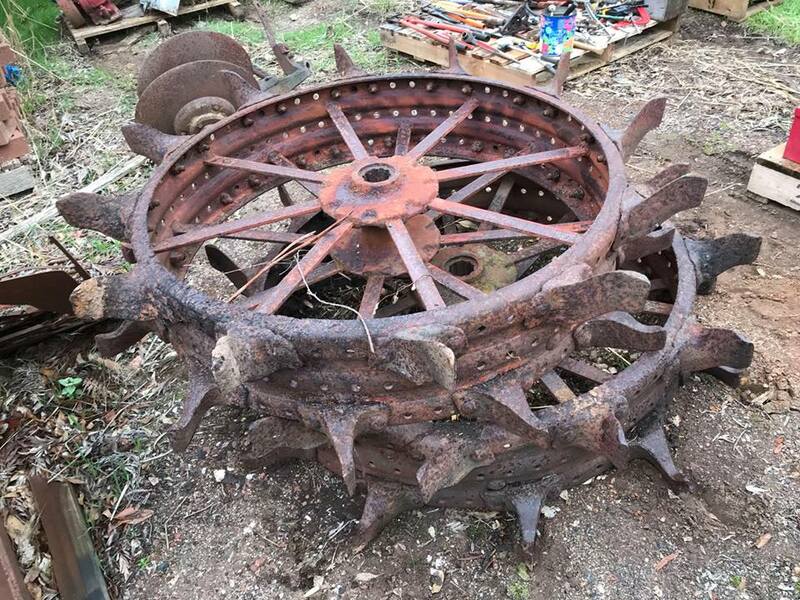 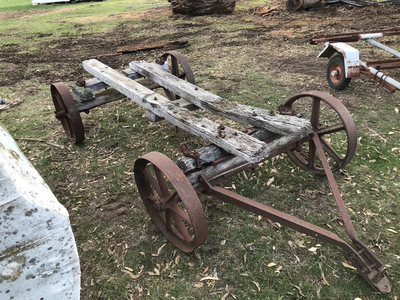 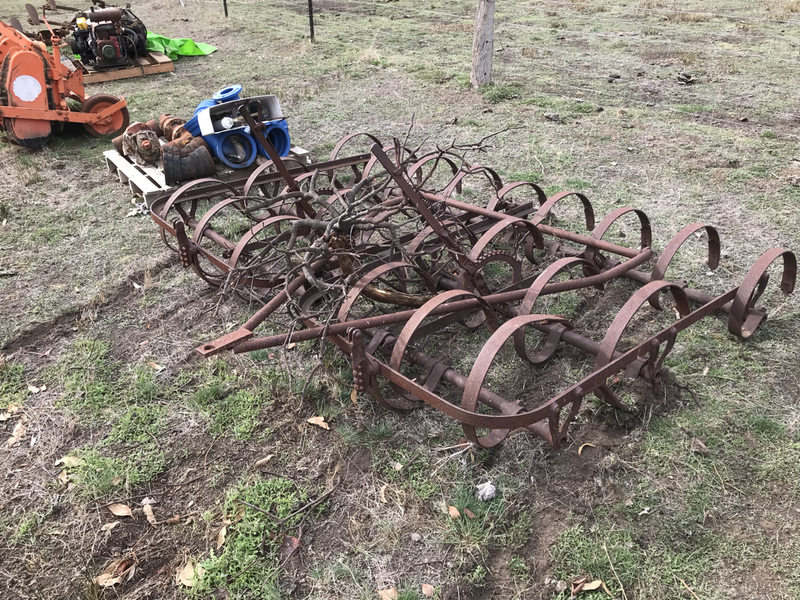 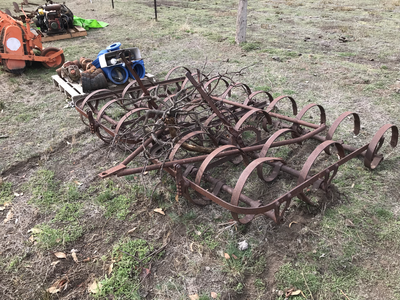 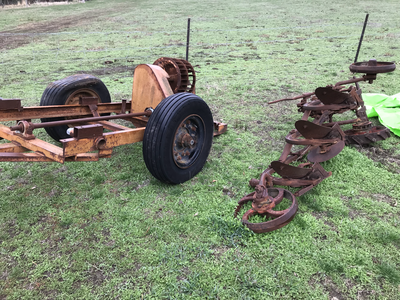 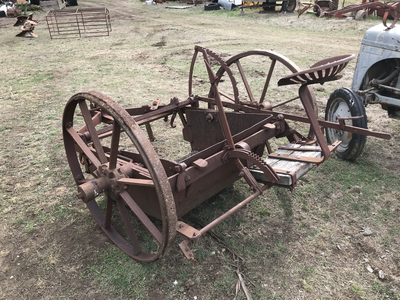 1930 Furphy ends, Wheels, Axles, Lots of steel wheels, Horse drawn, Ploughs, Harrows, Mowers, Shave plough, Chandler plough, Blitz Wheels, Side valve V8, Morris bits, VW bits, HK , Falcon, Whippet, Slashers, Early wooden barrel trailer & stationary engine, Rotary hoe, Mullboard plough, Very early horse drawn & very early farming gear, Petrol & Elec stationary all types of engines, Clev 351 eng, at this stage yet to be unpacked parts, stock & more to be listed. CI, Blacksmith made items, Workshop, Oil bottles, 4x4 Kawasaki m/bike, Trailers, all types of everything. 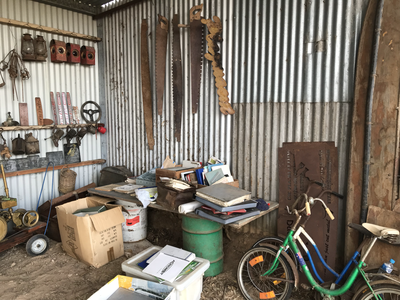 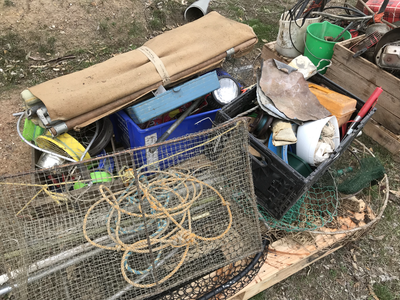 Again just so much of one mans life of collecting, hoarding and scrimping & storing & rack & pack sheds & sheds. 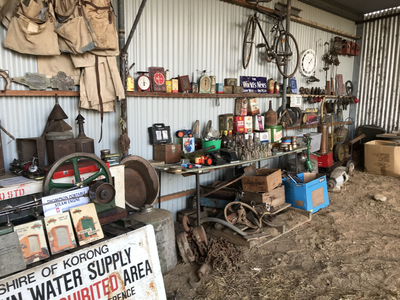 Watch our website grow with pic gallery. 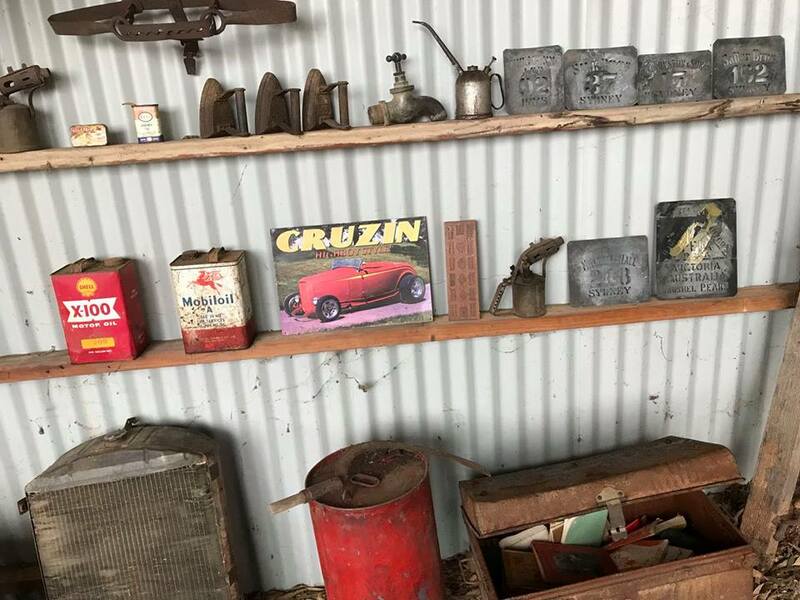 LIKE us on Facebook & Subscribe to our email list for more info.